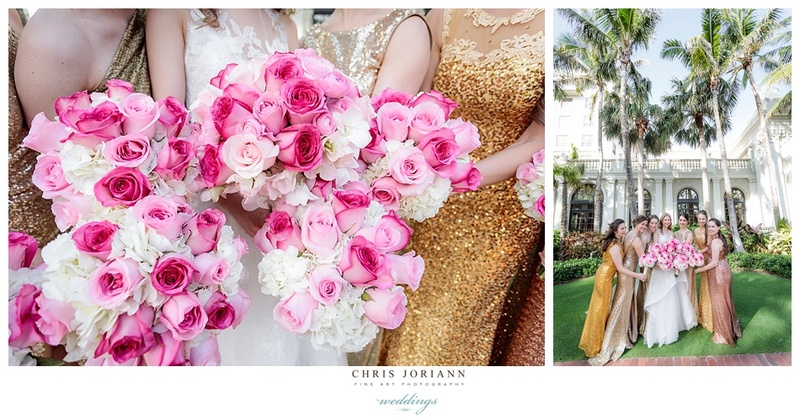 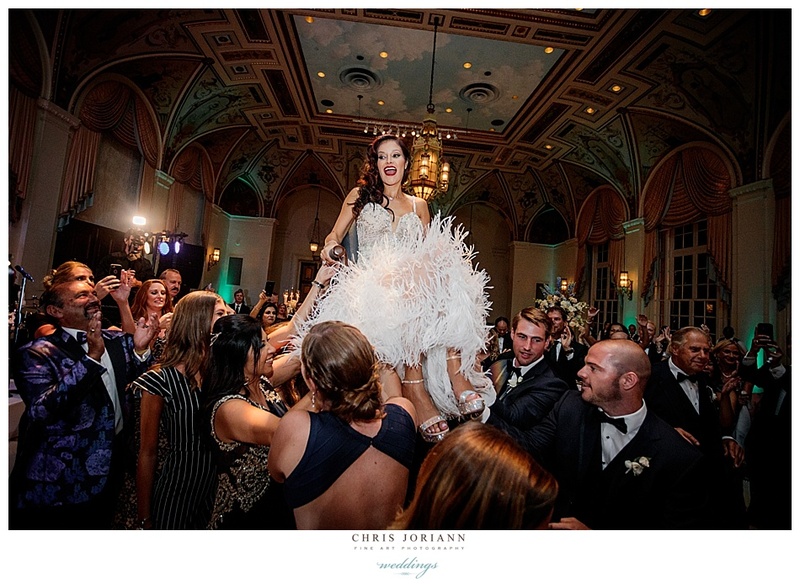 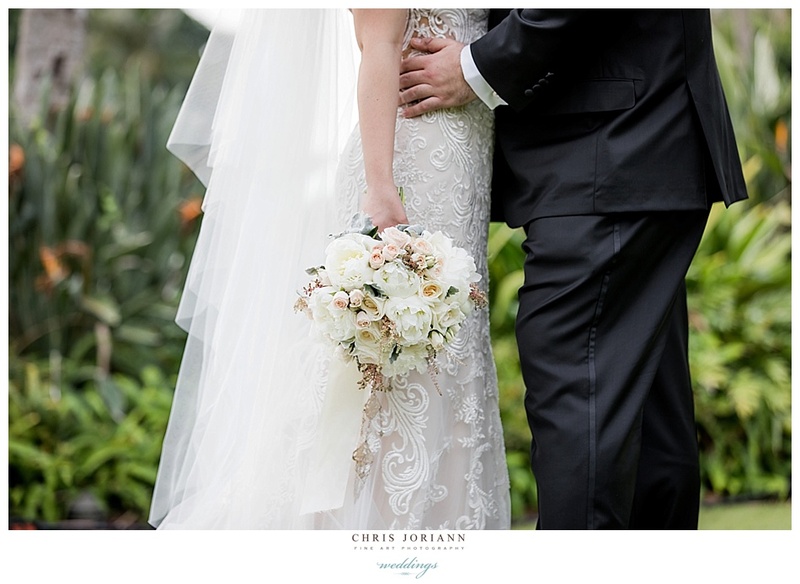 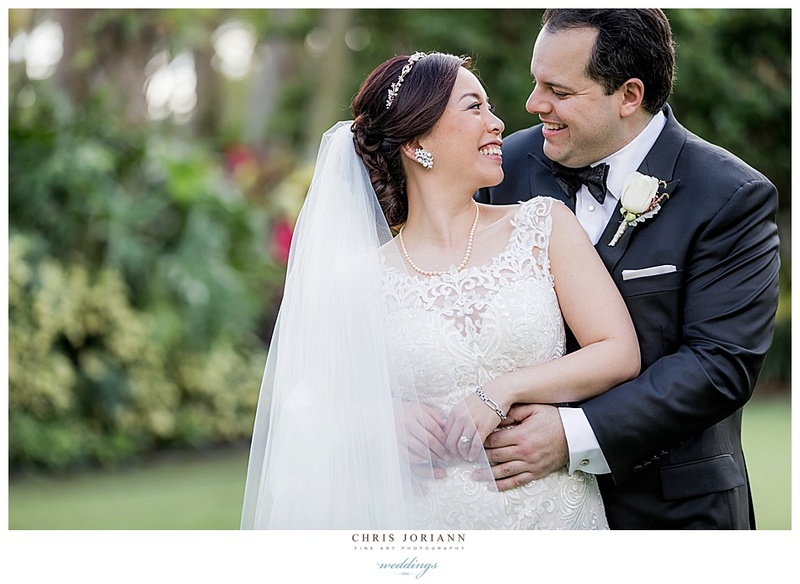 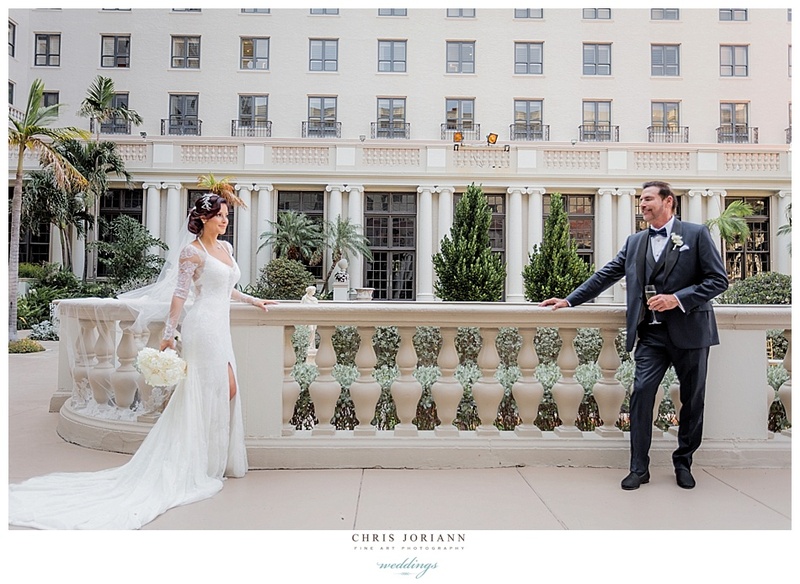 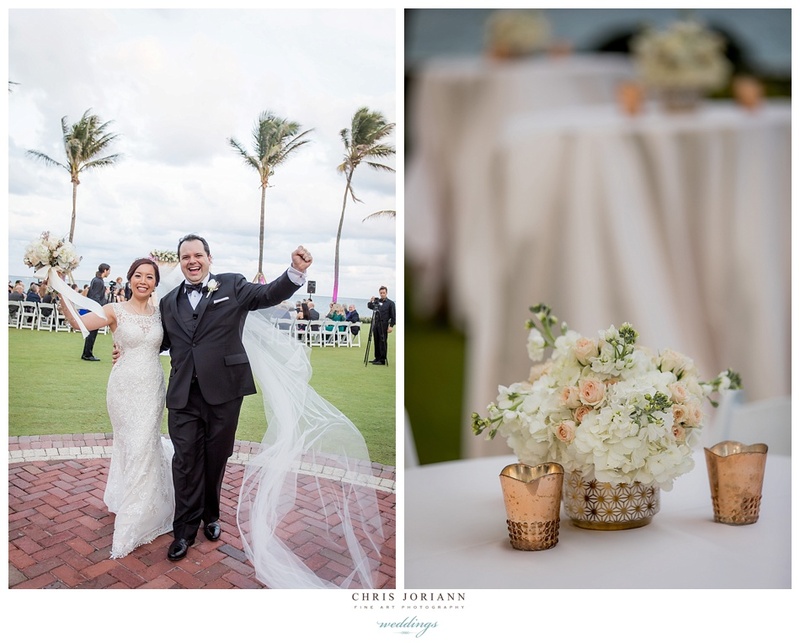 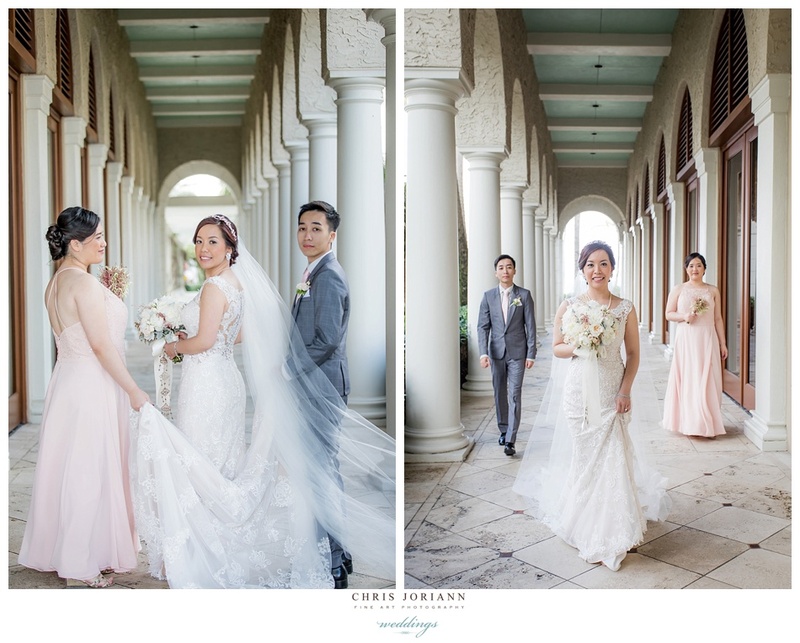 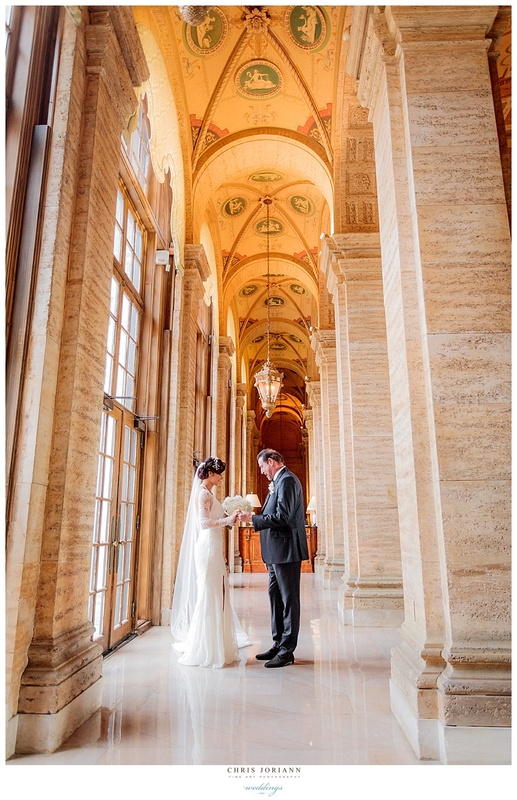 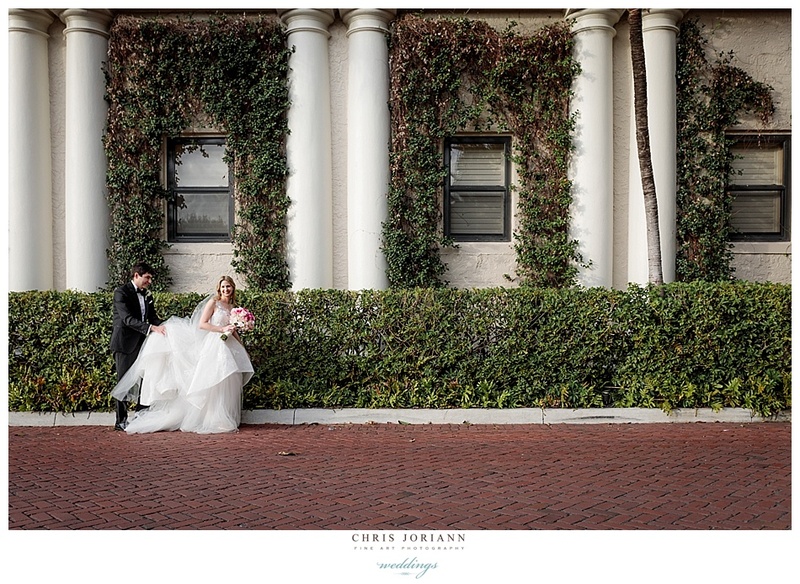 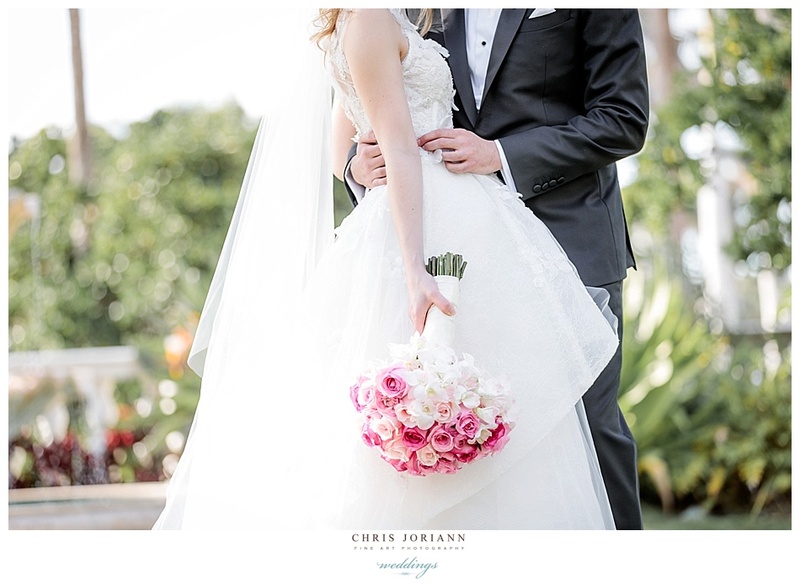 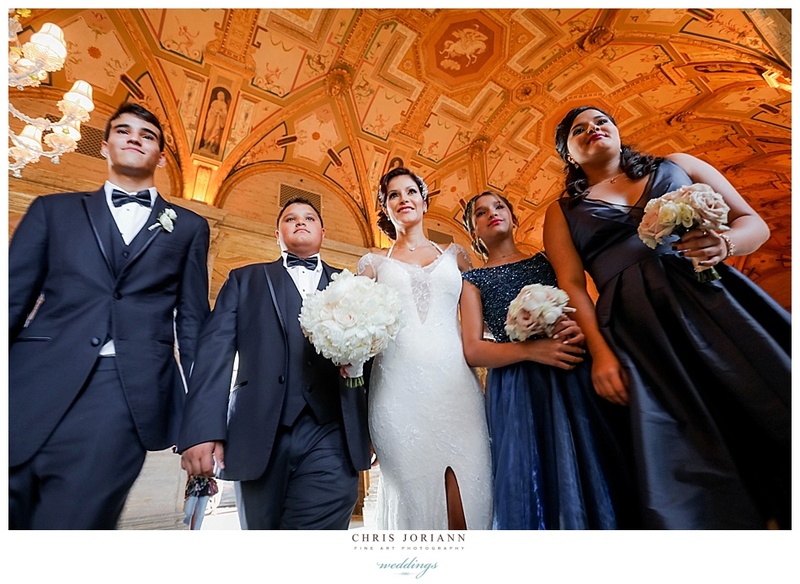 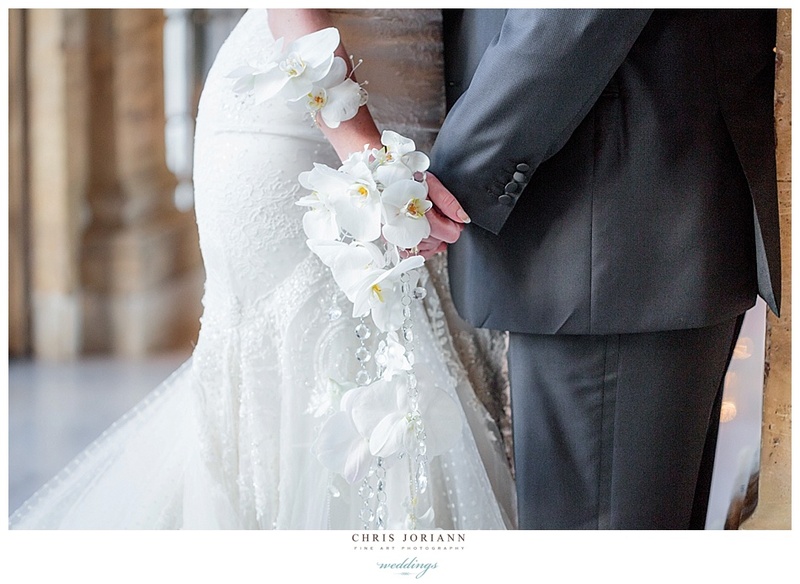 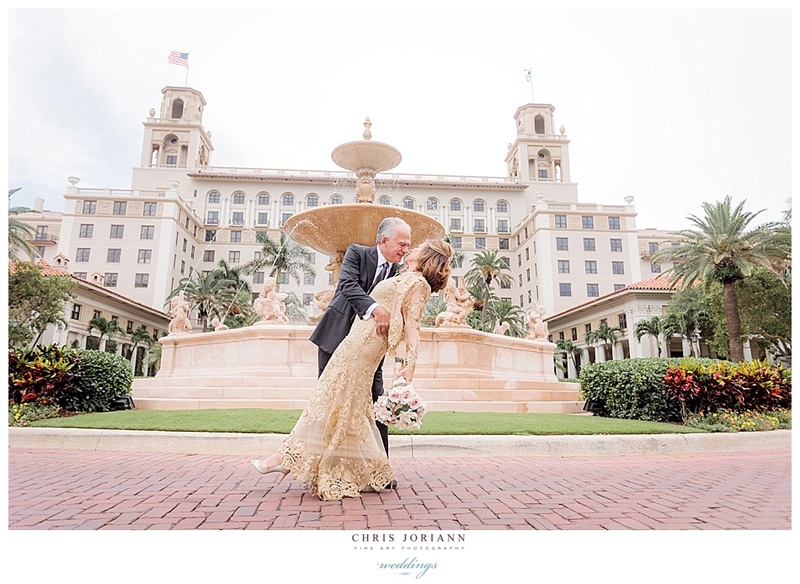 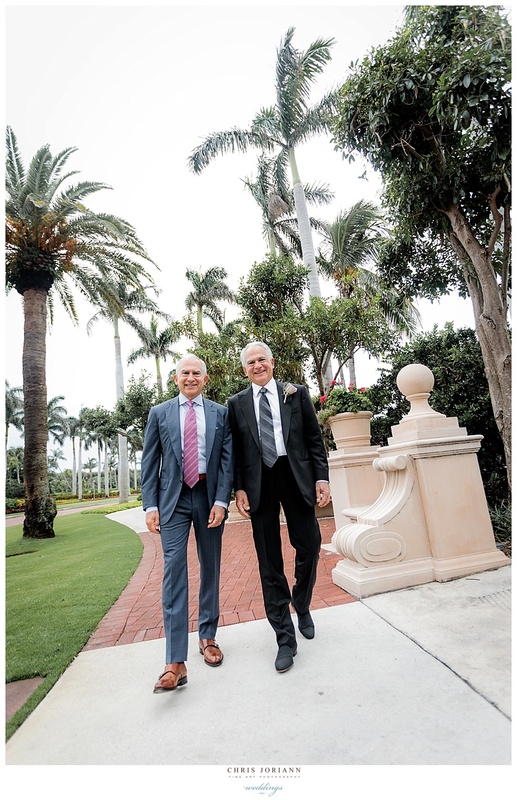 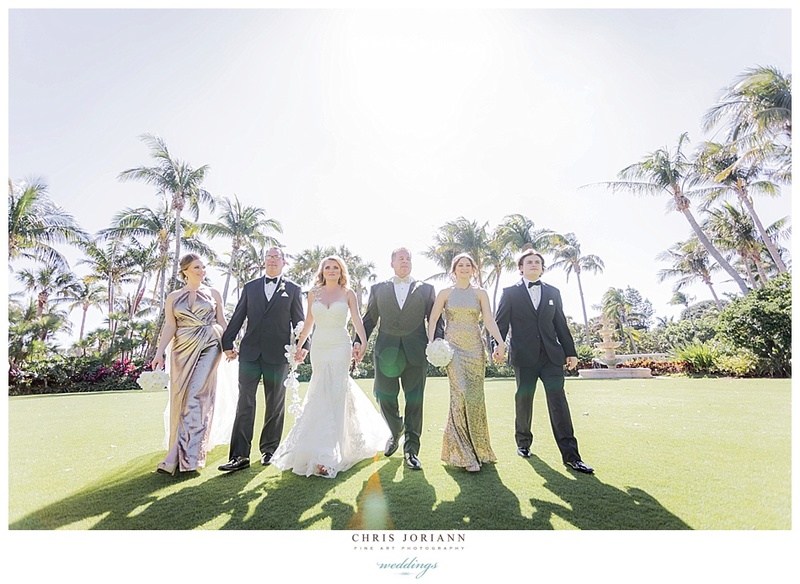 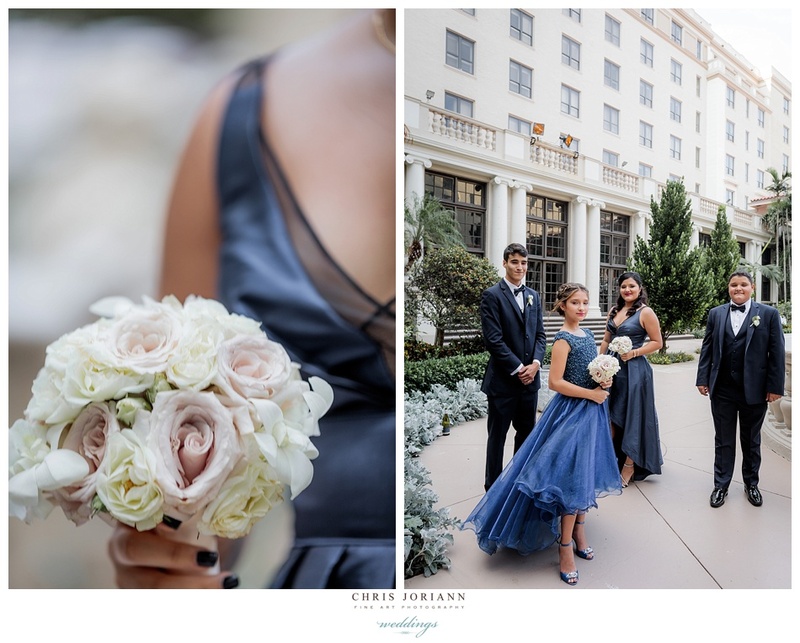 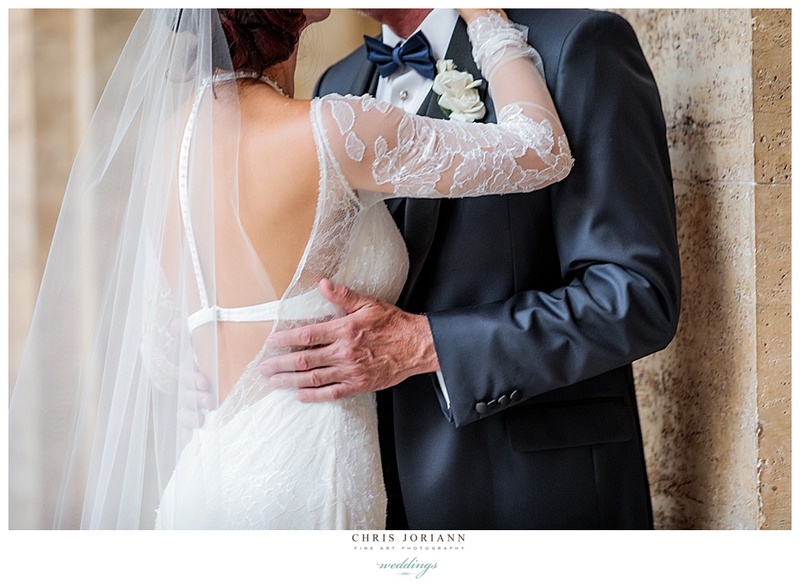 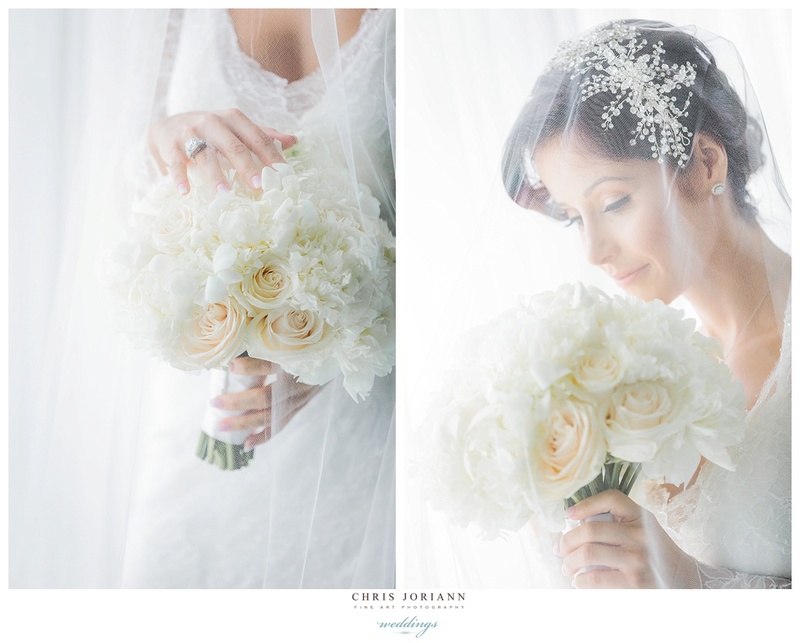 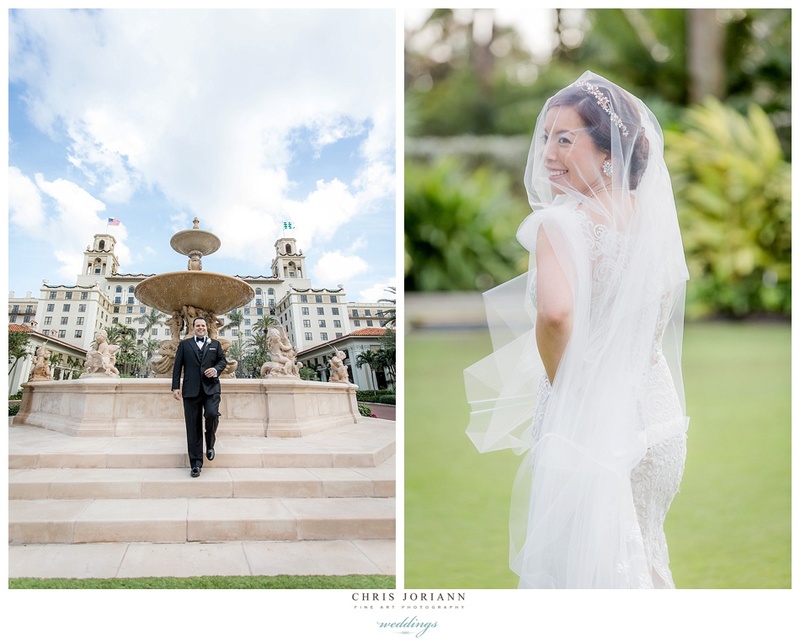 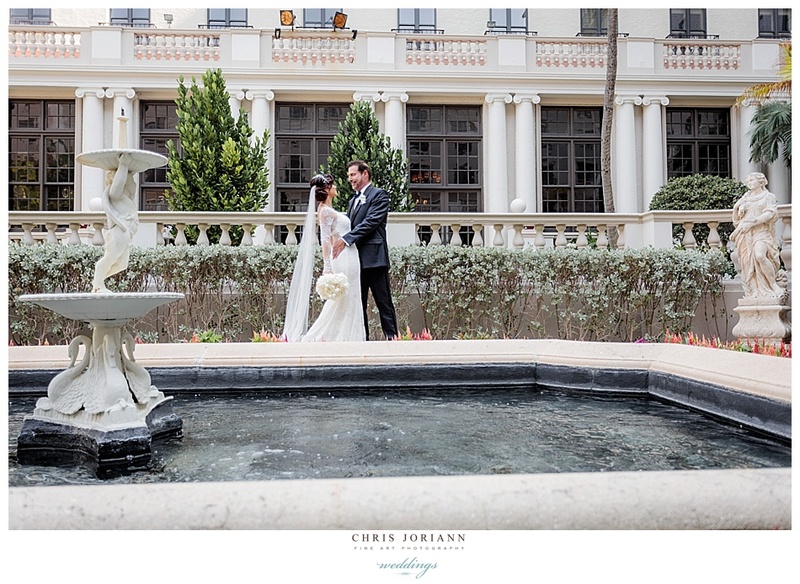 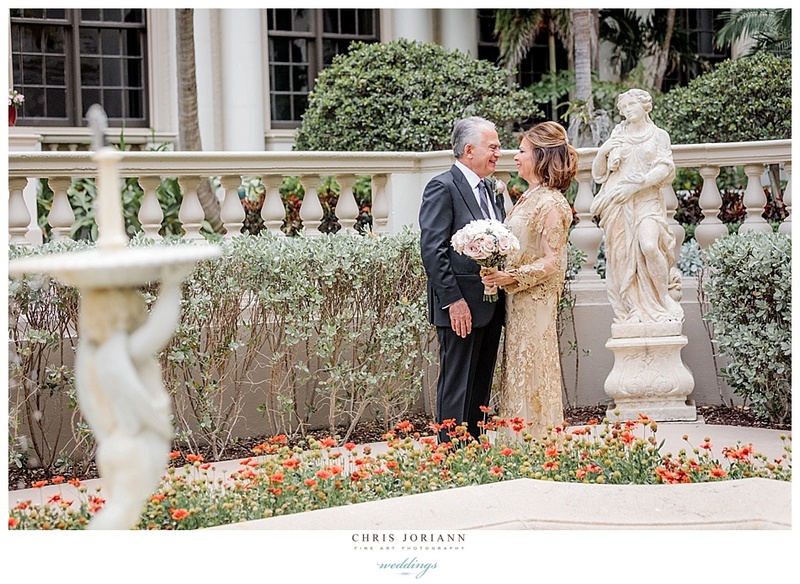 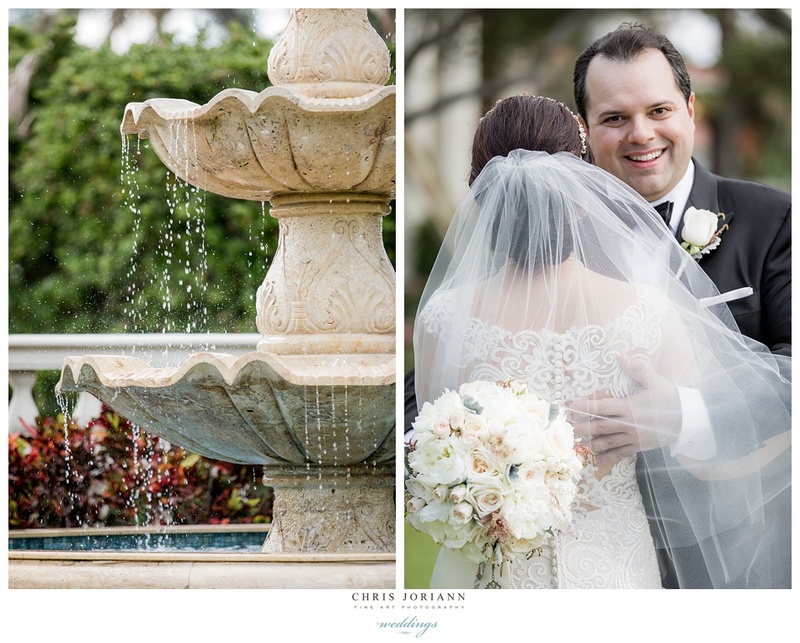 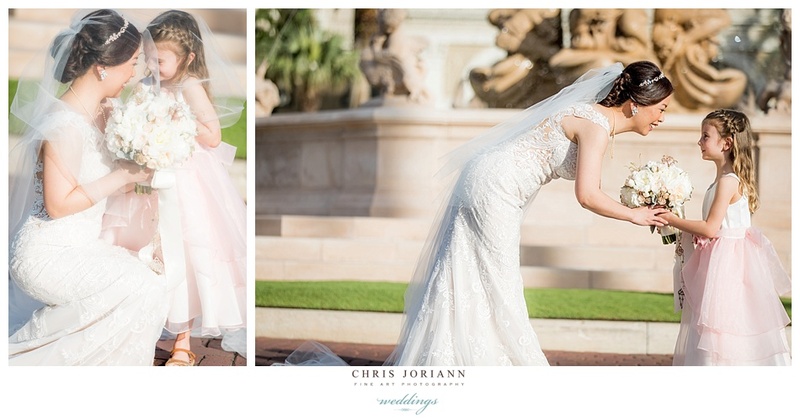 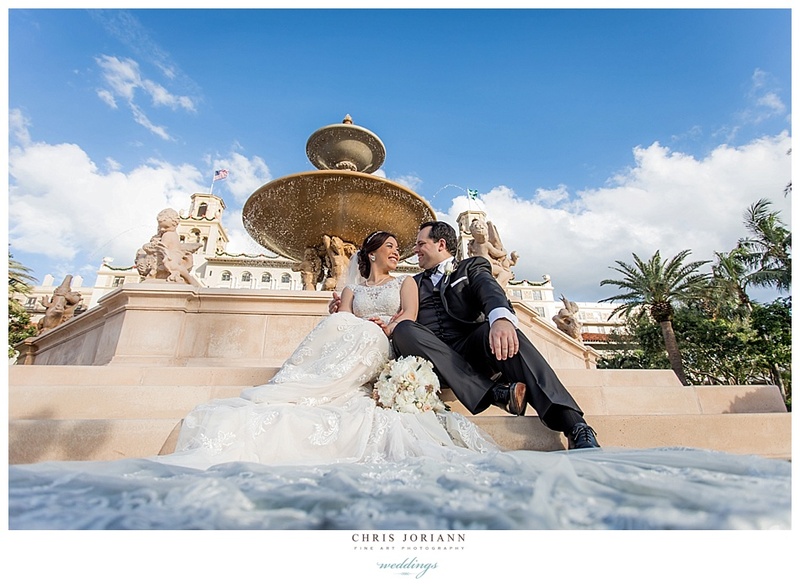 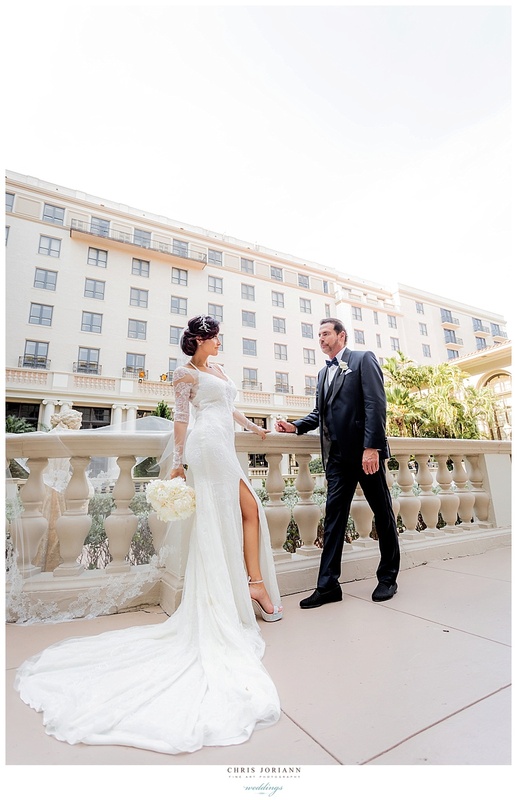 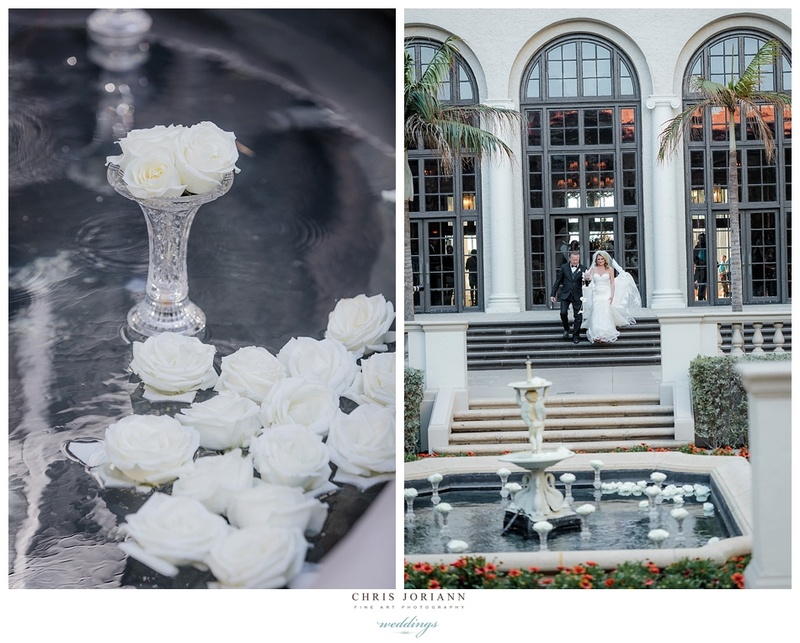 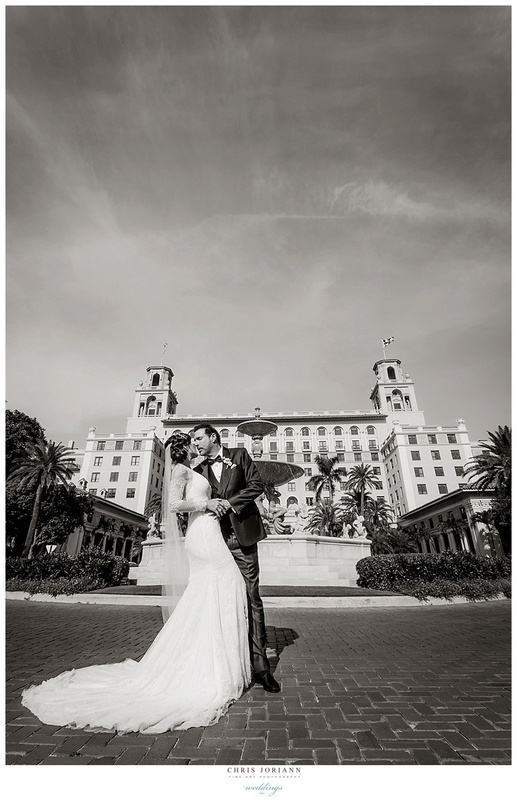 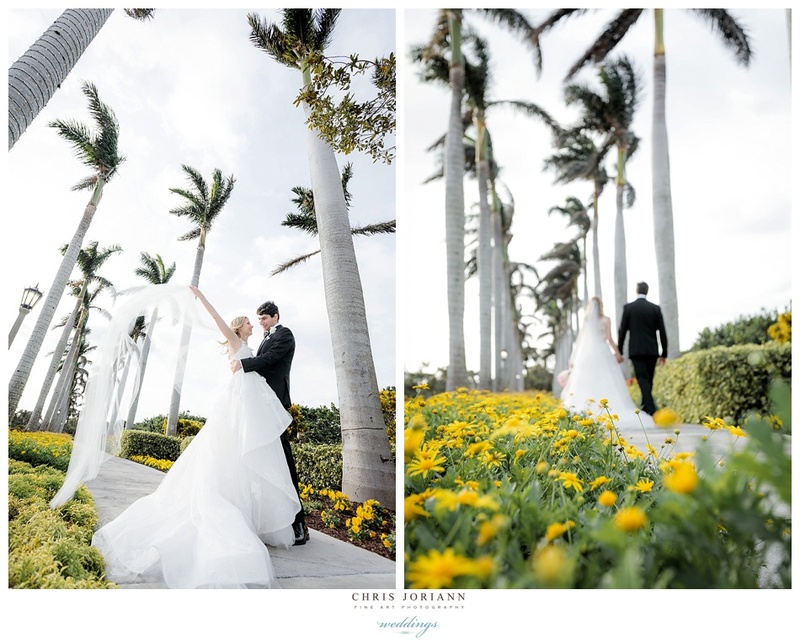 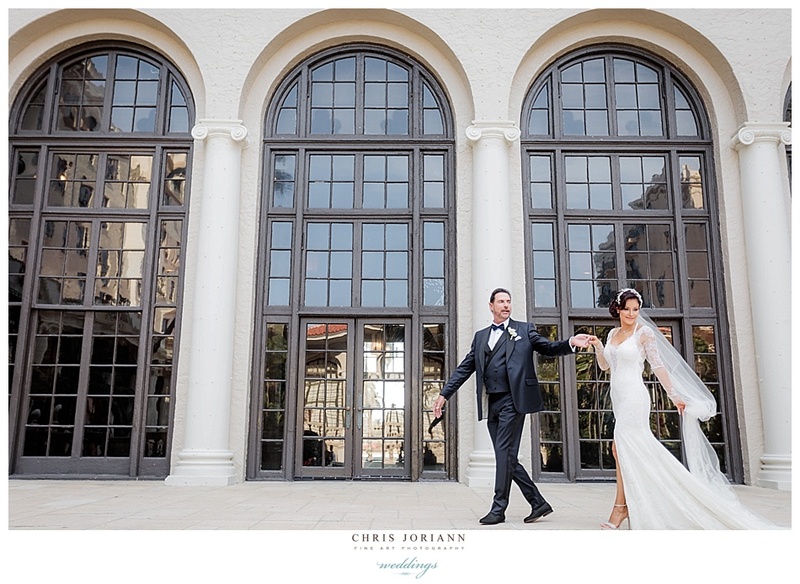 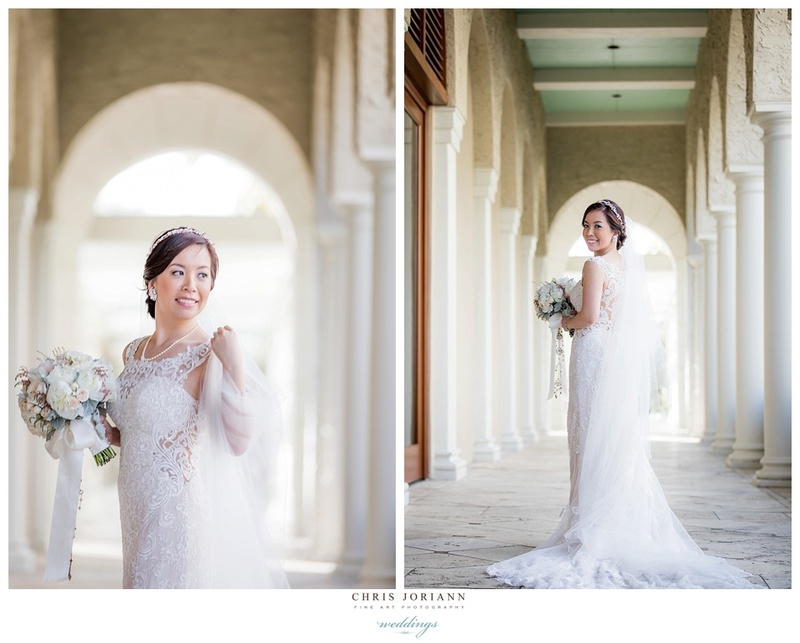 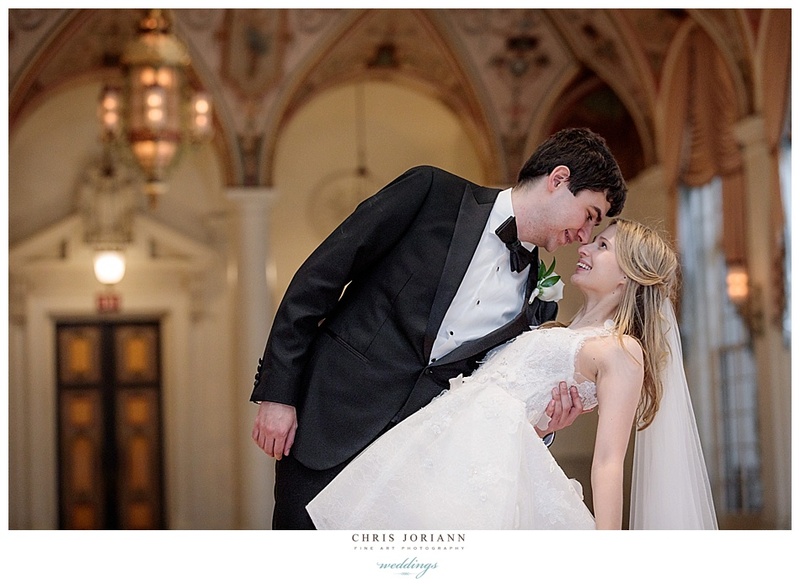 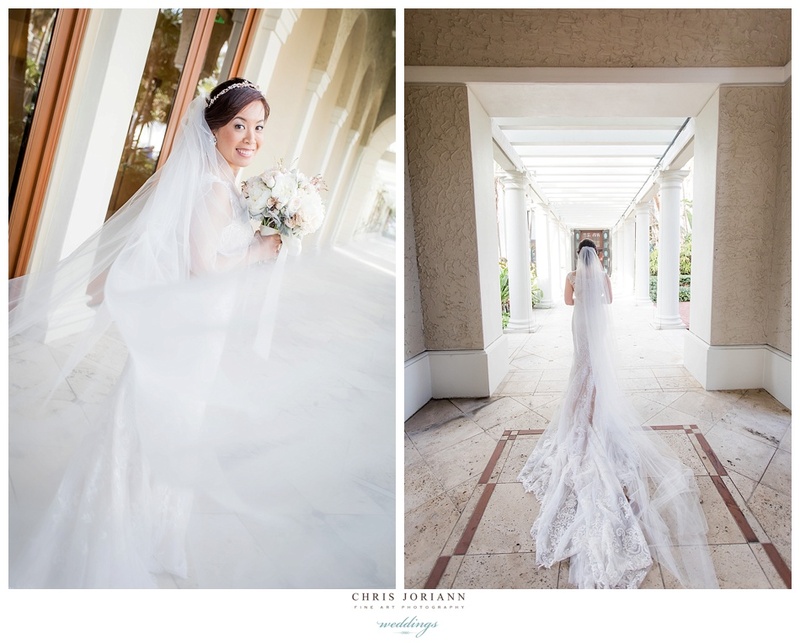 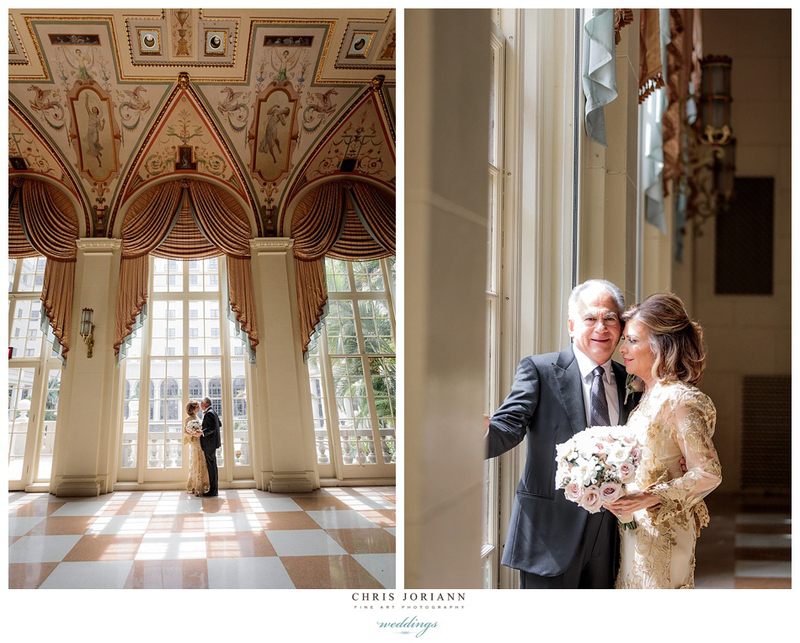 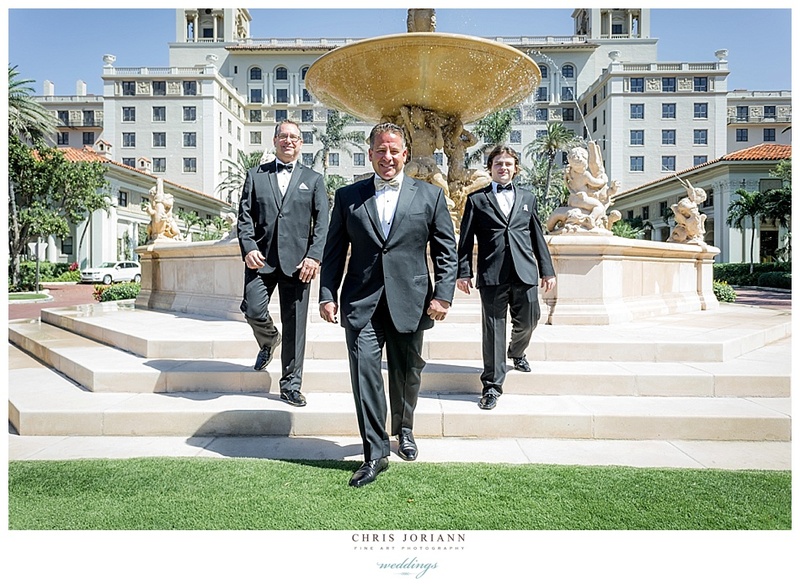 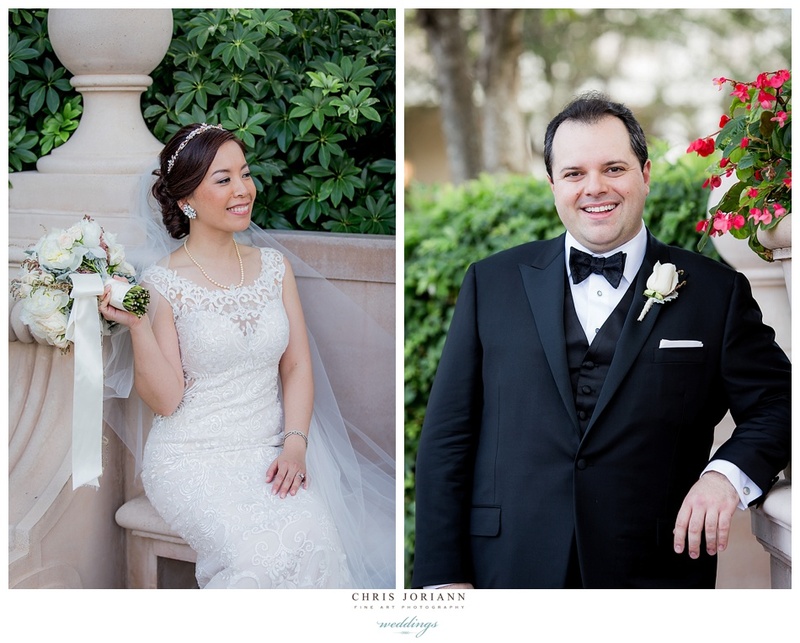 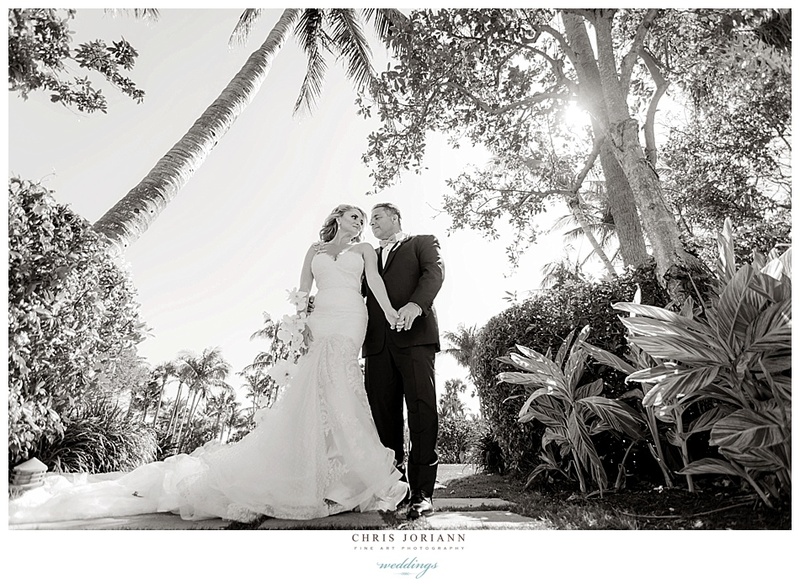 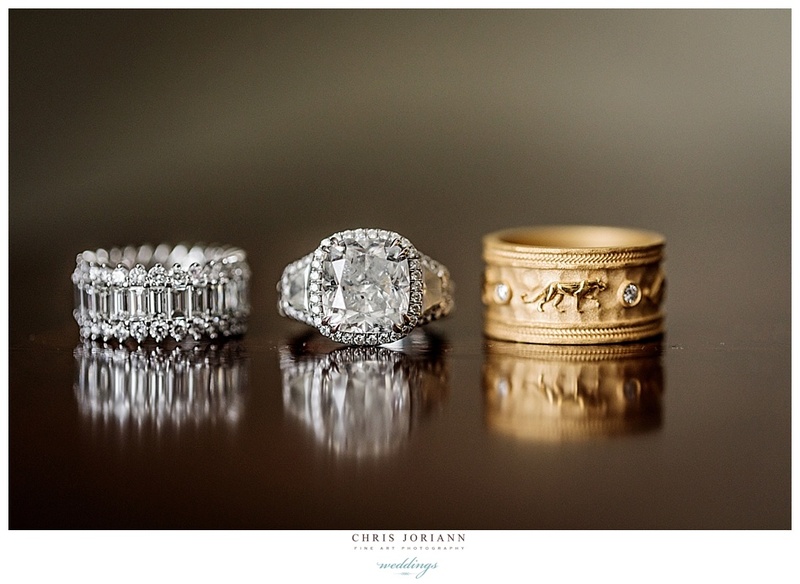 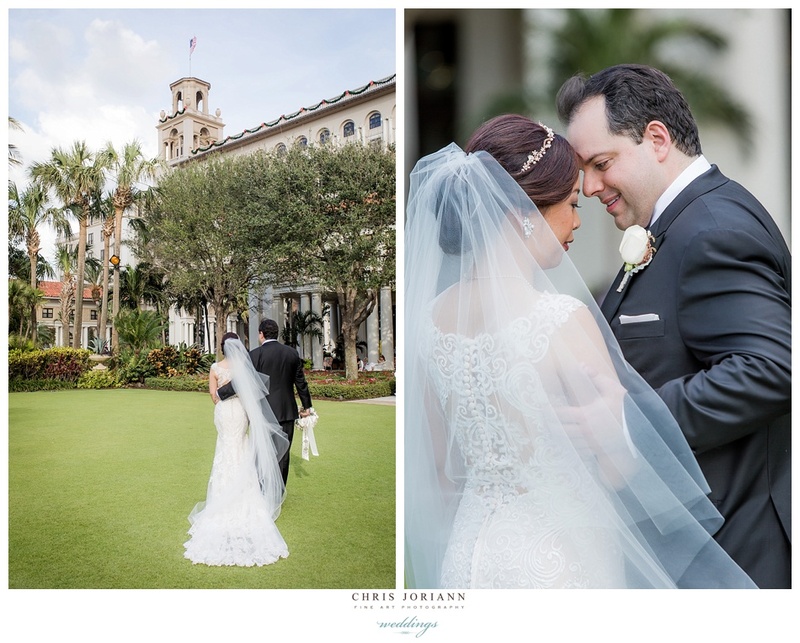 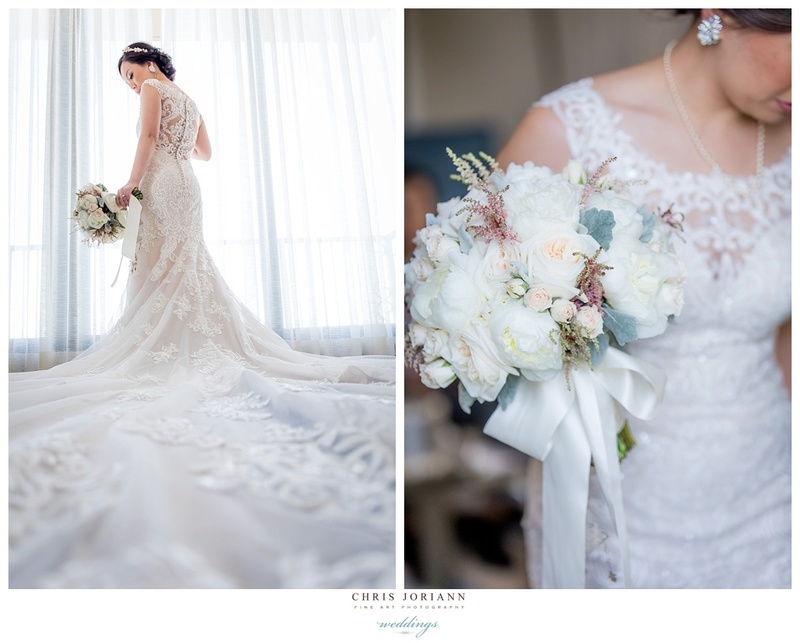 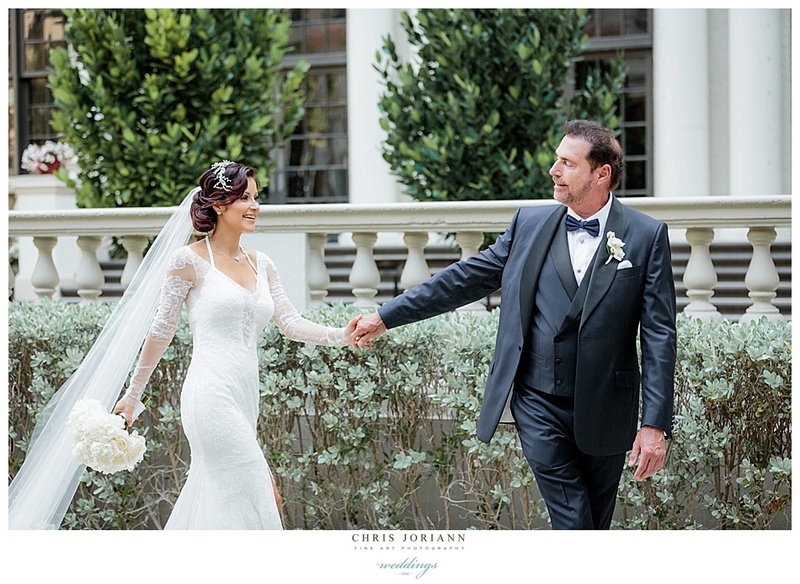 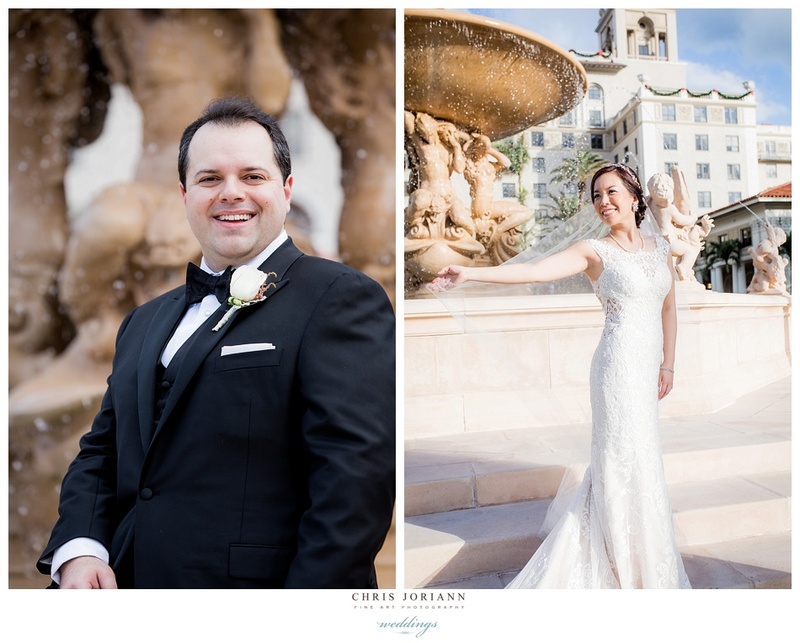 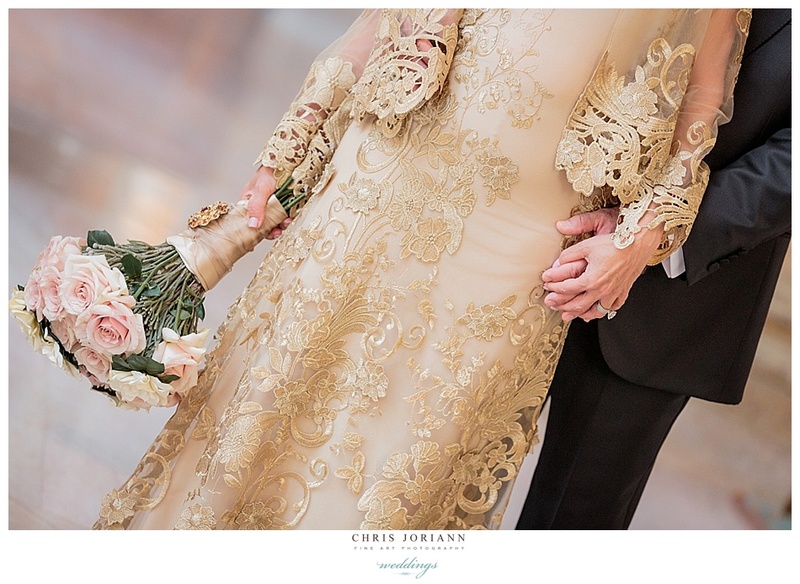 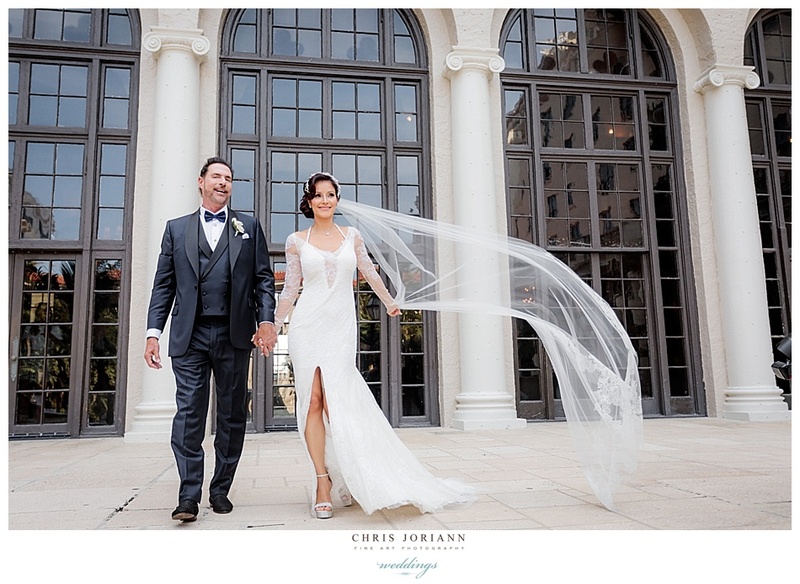 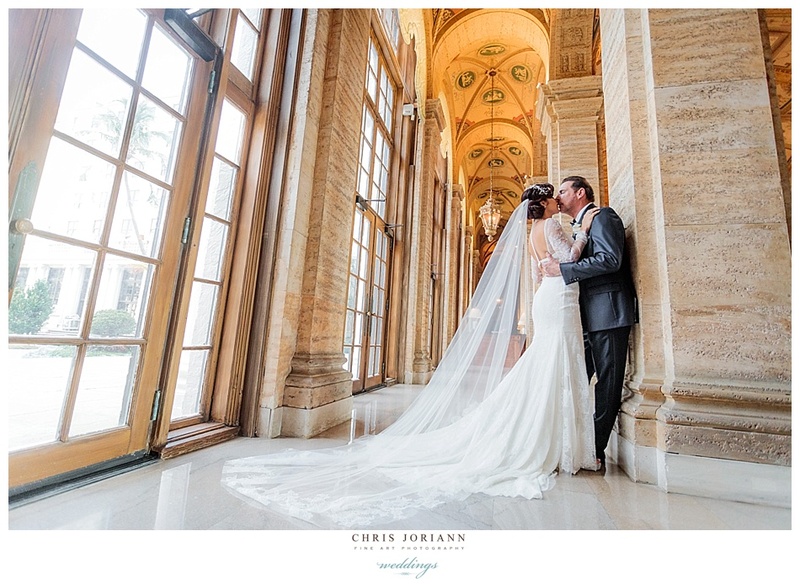 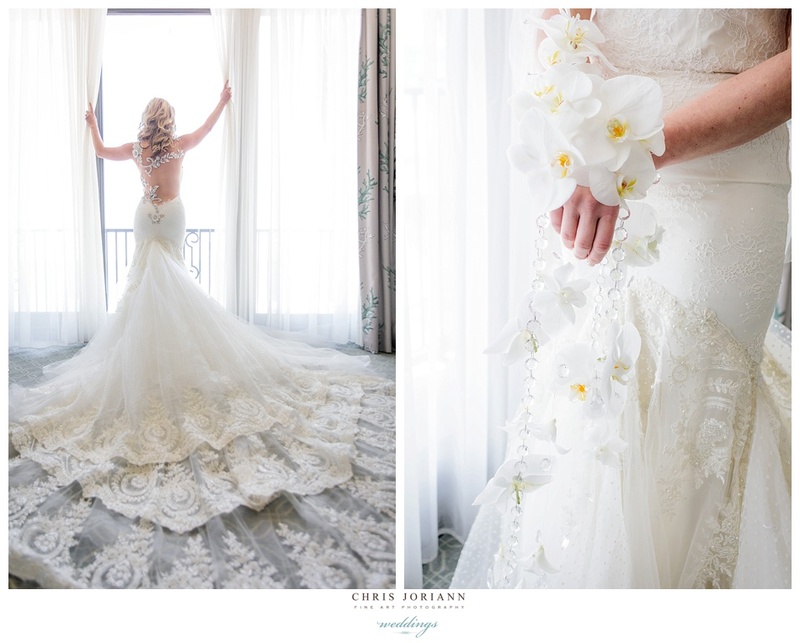 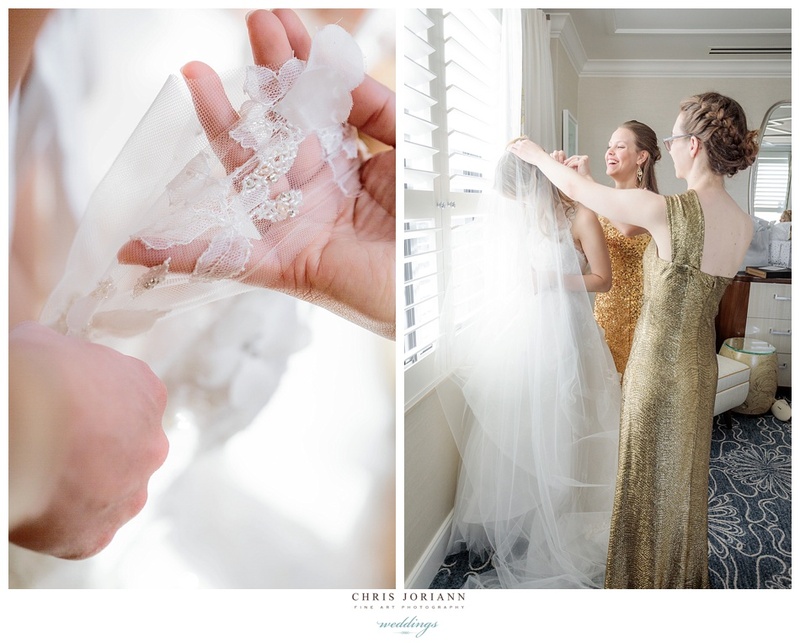 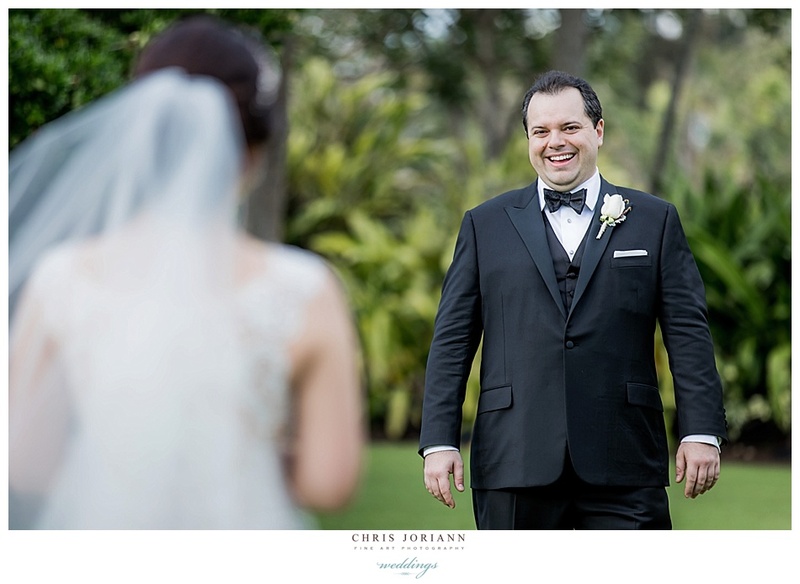 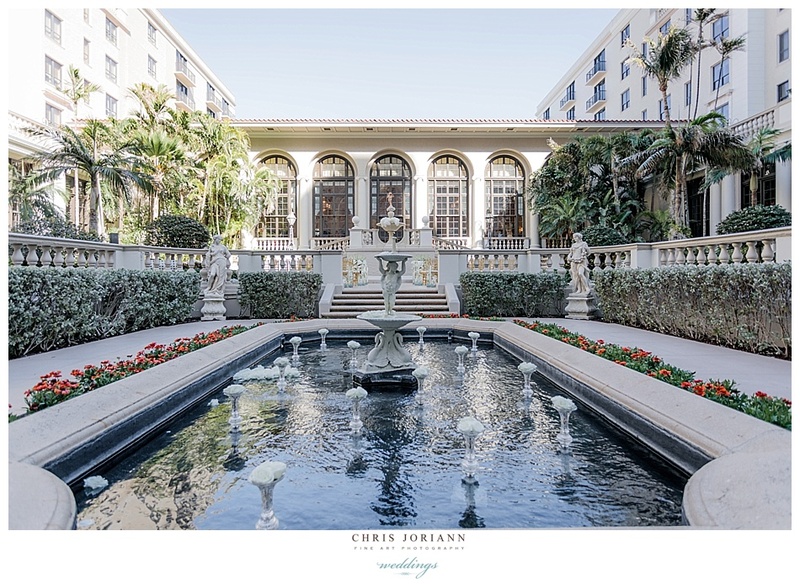 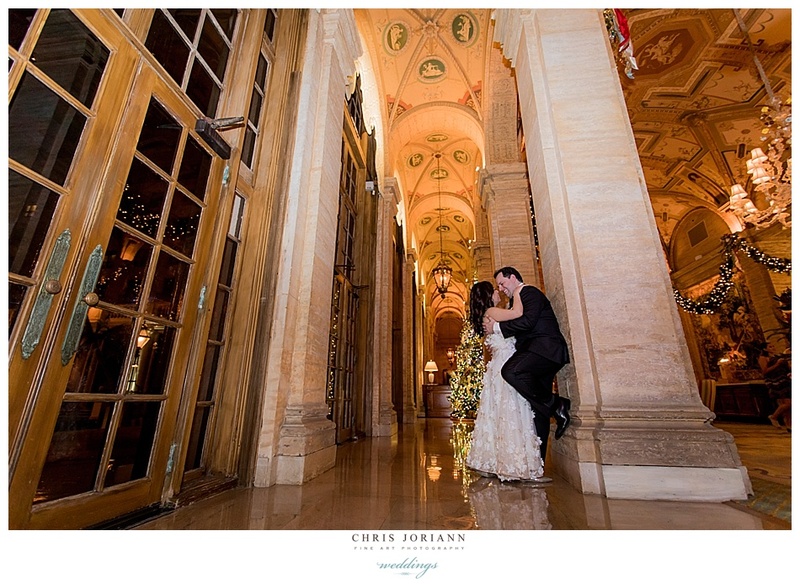 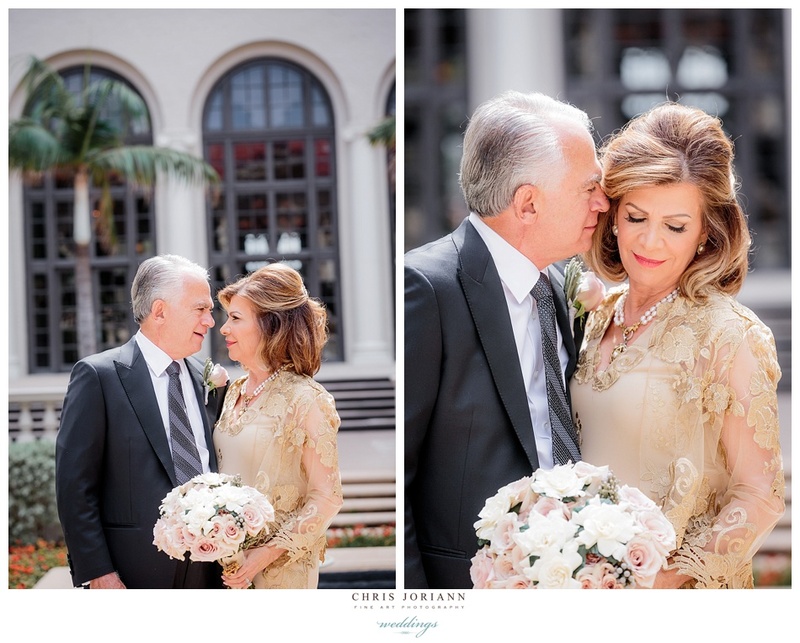 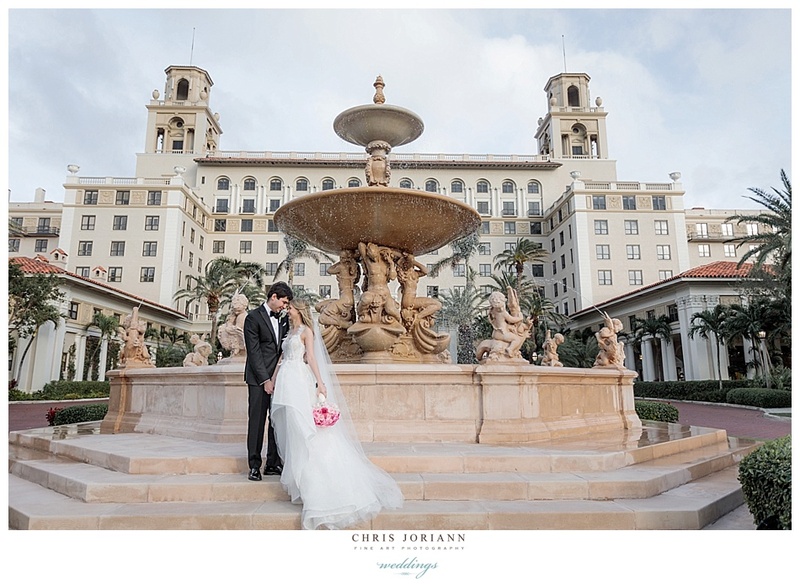 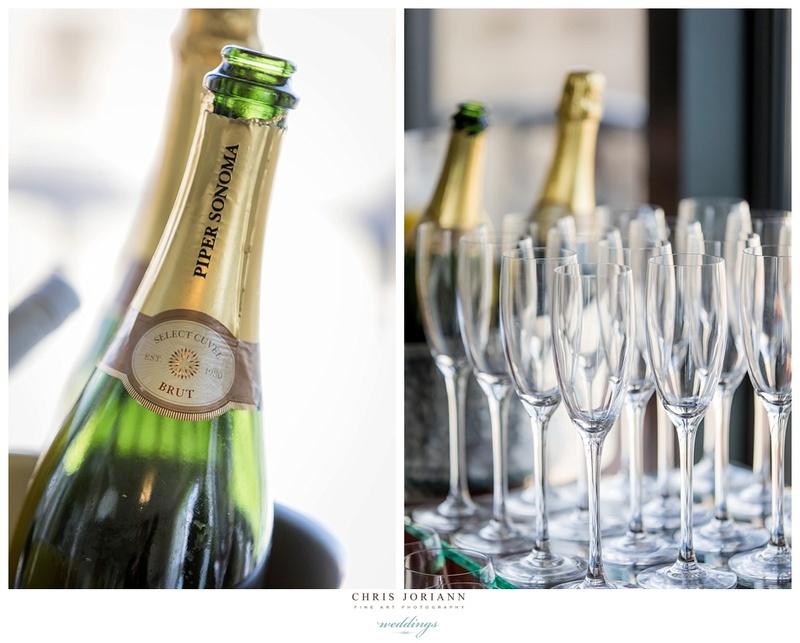 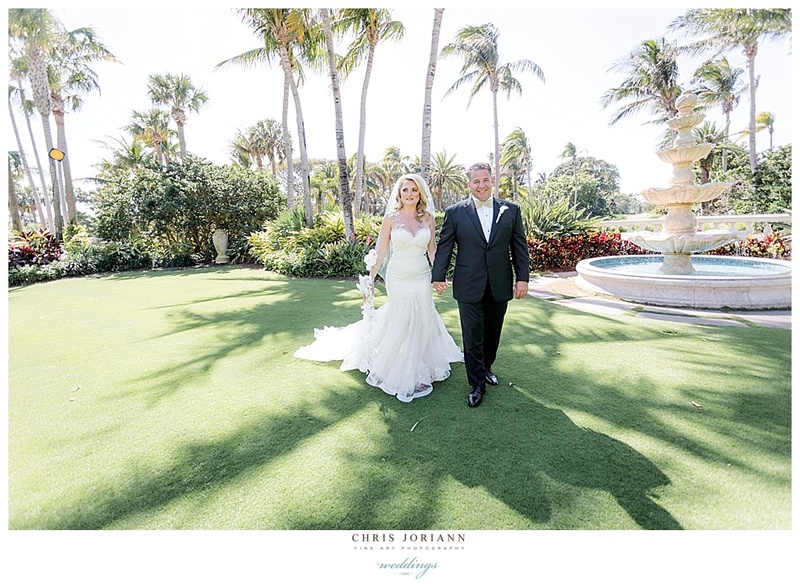 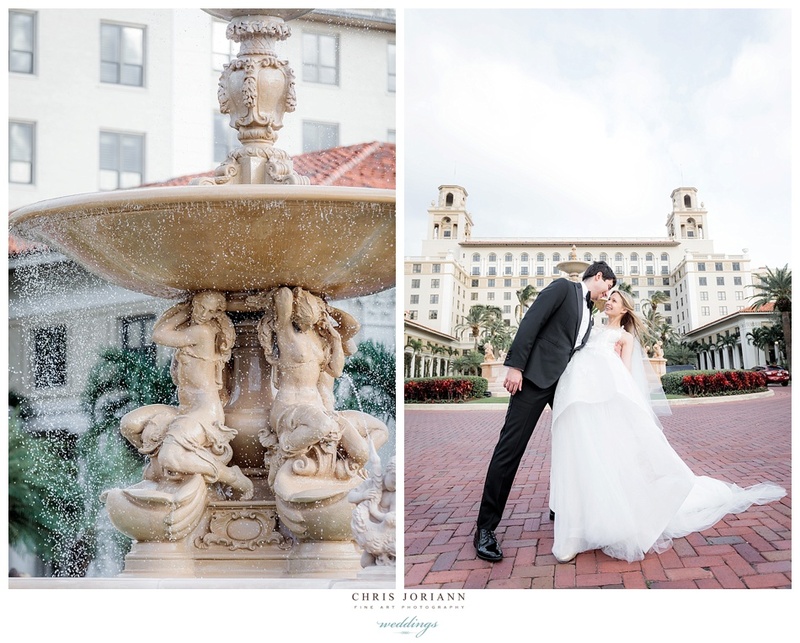 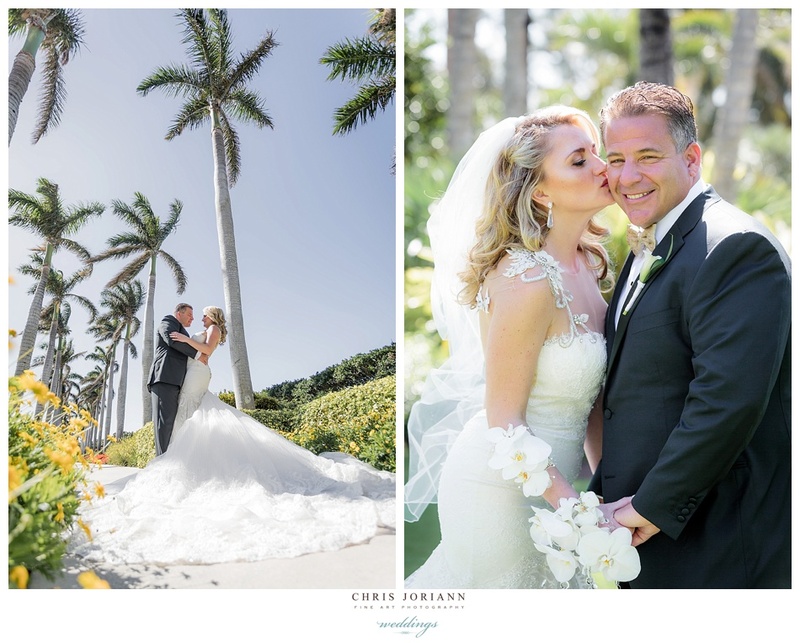 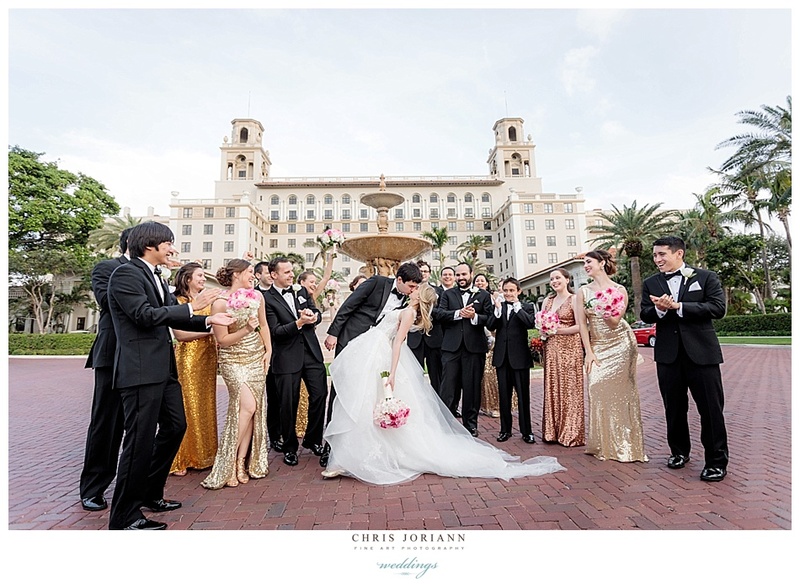 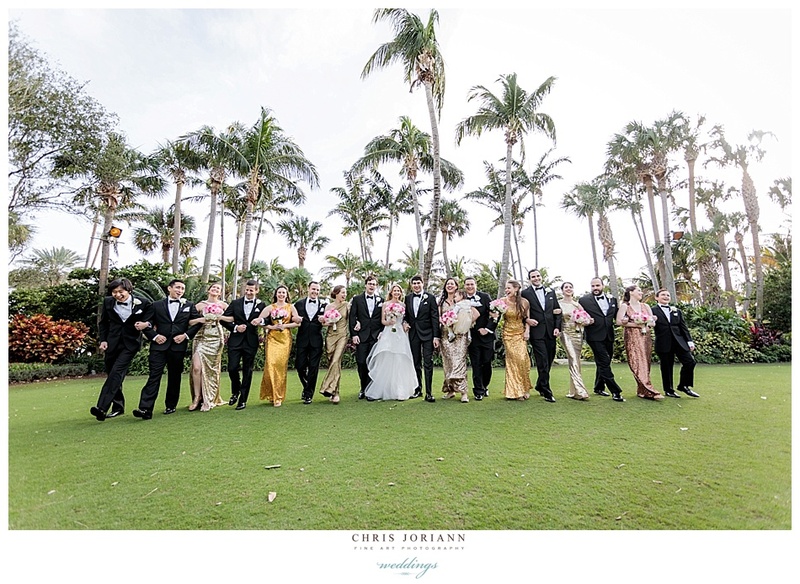 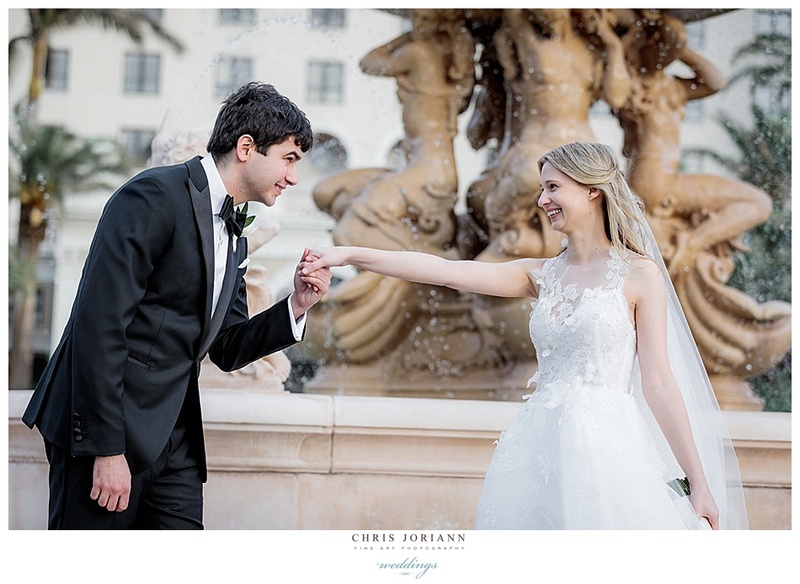 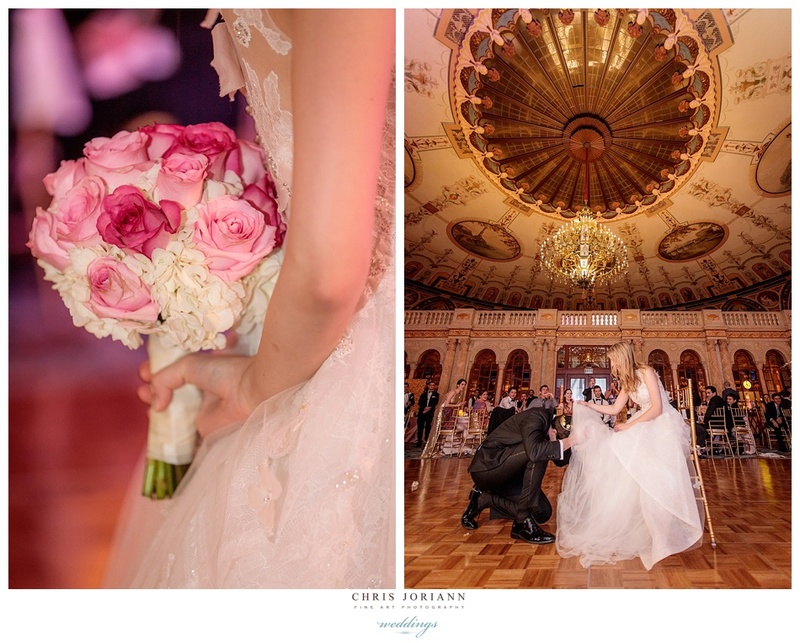 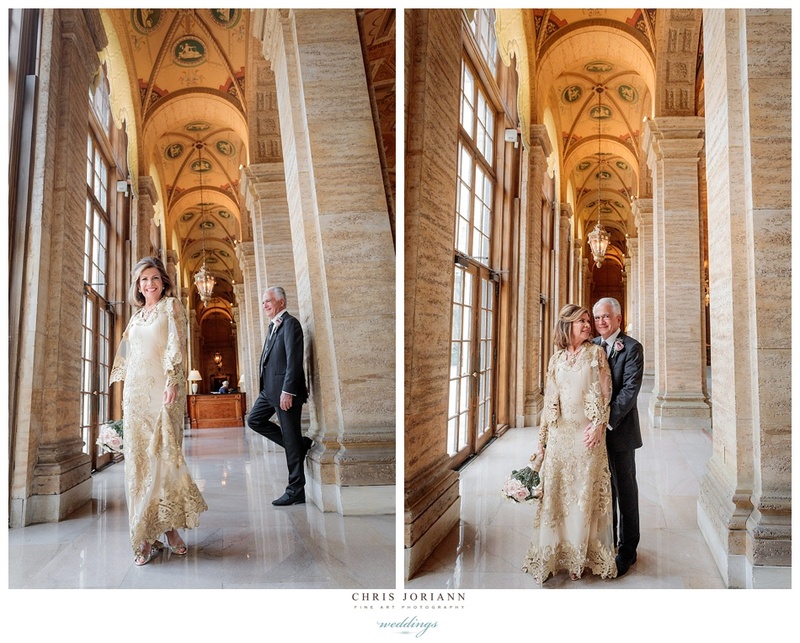 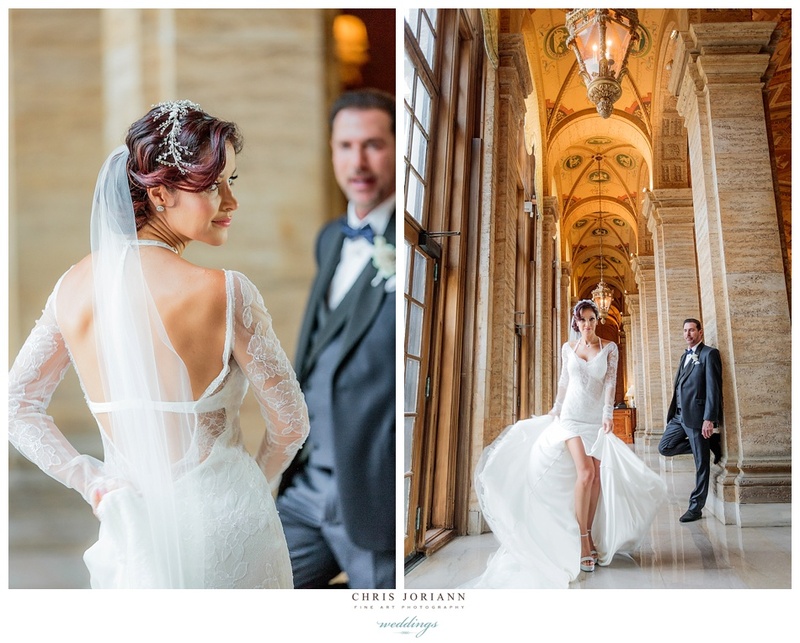 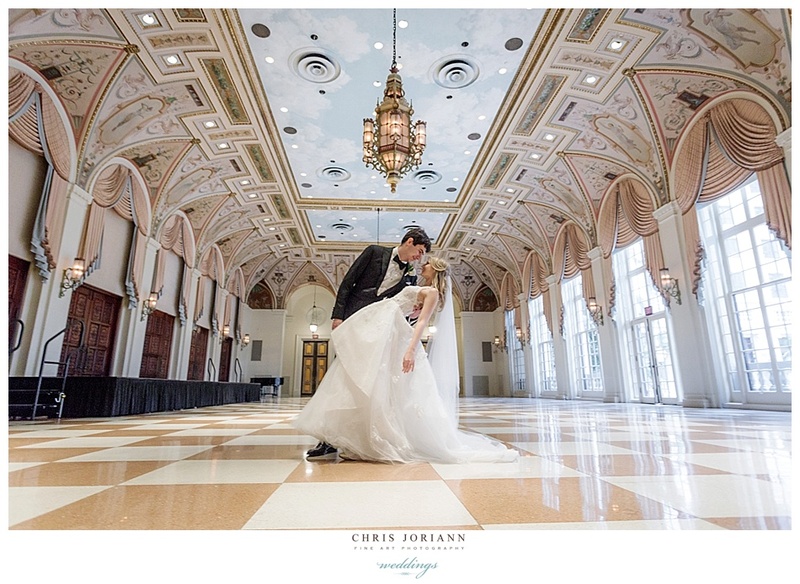 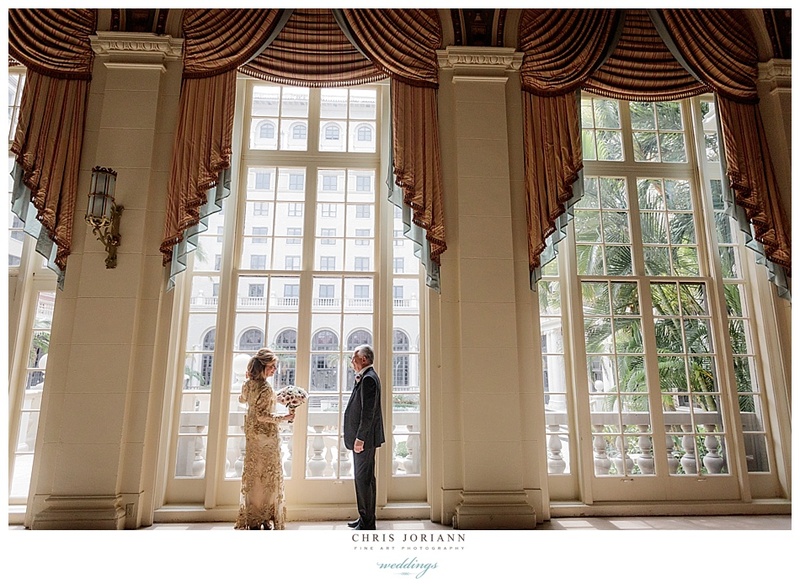 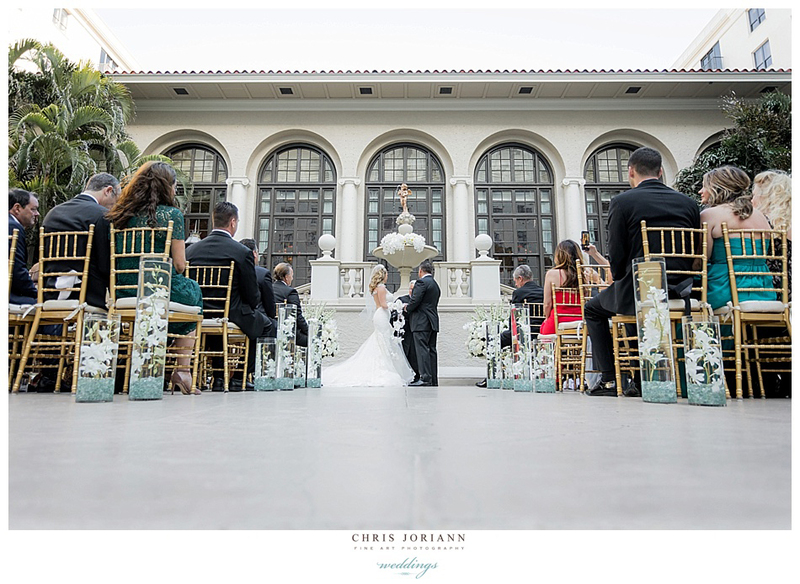 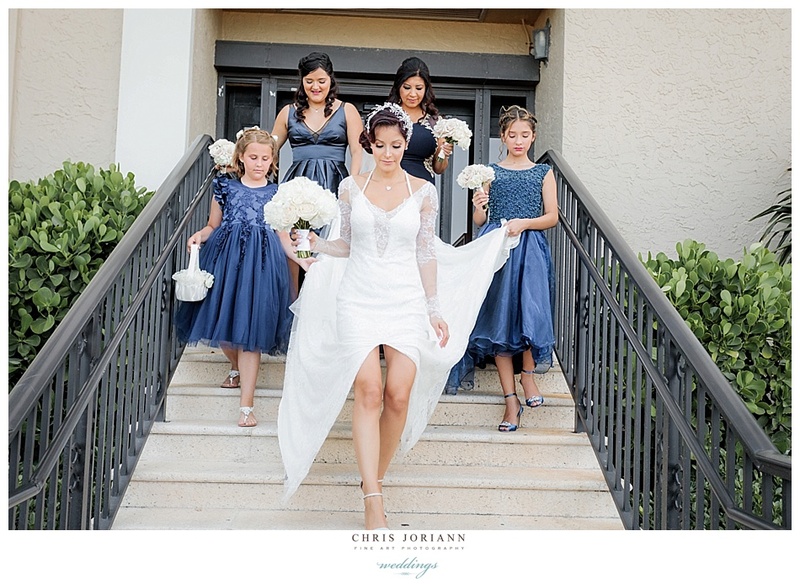 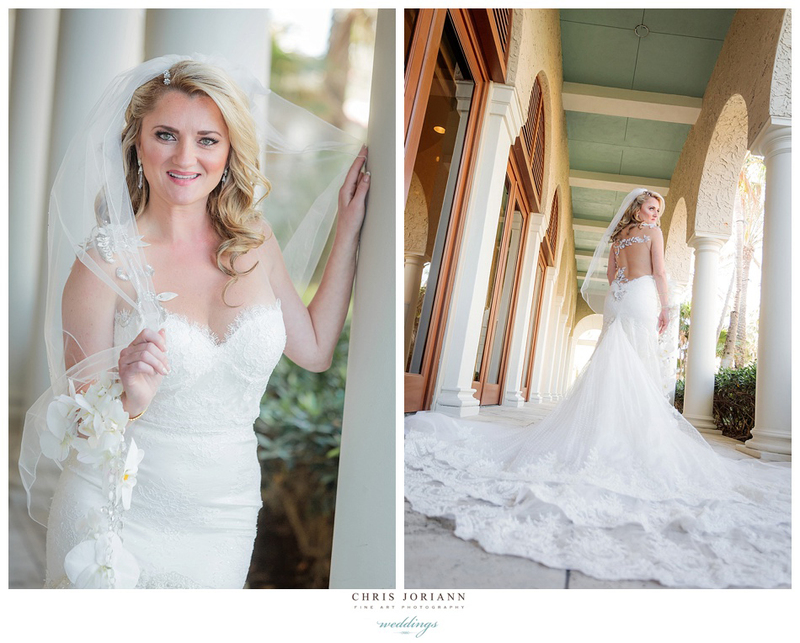 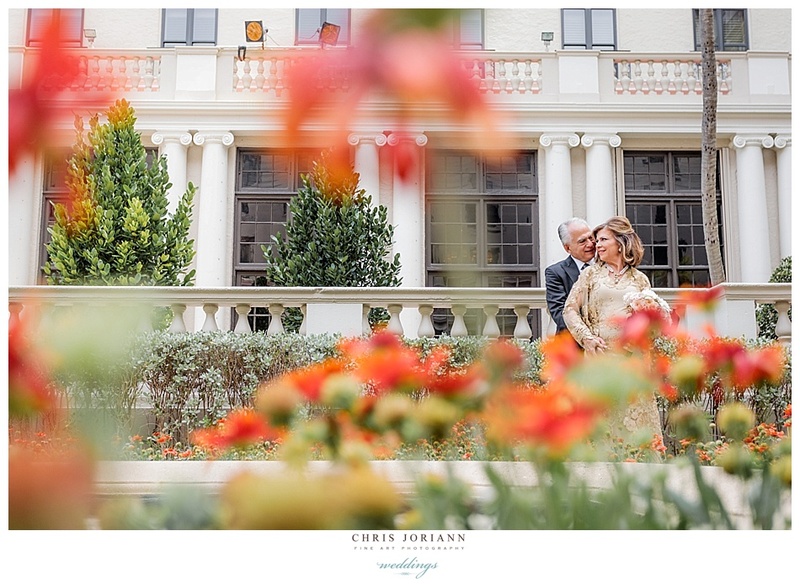 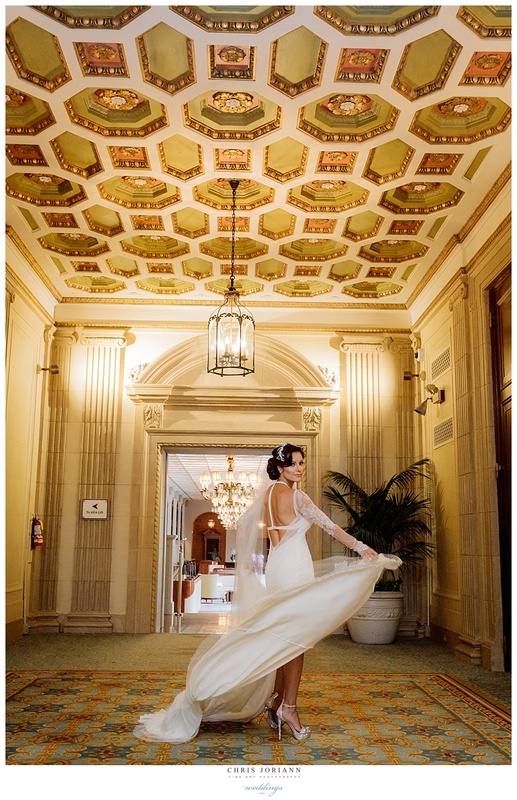 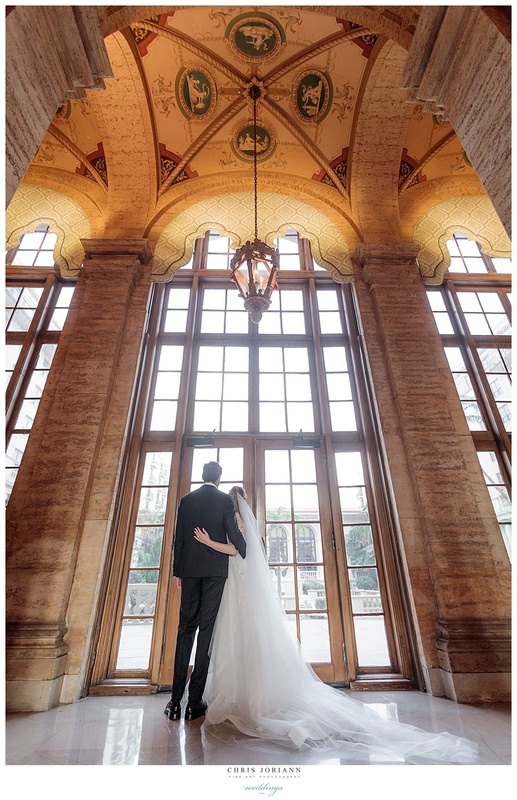 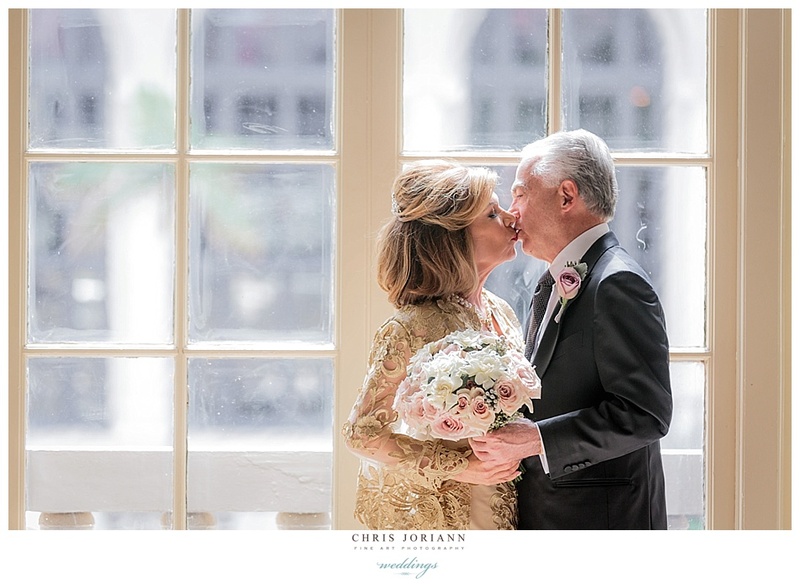 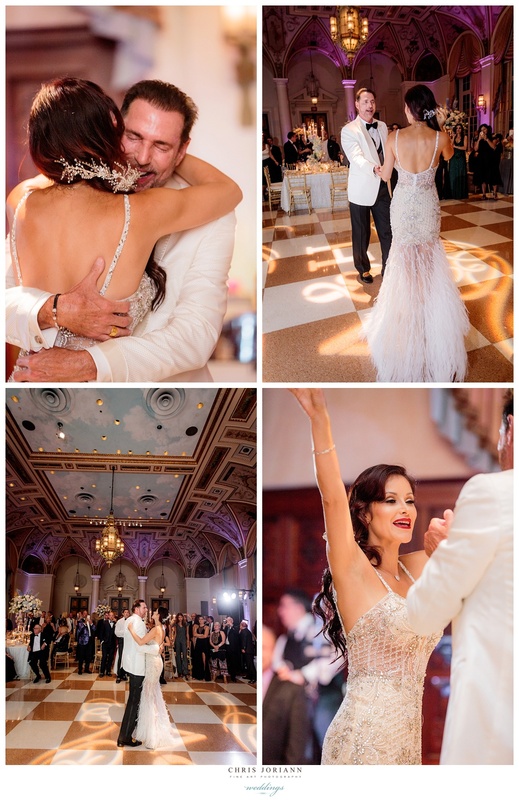 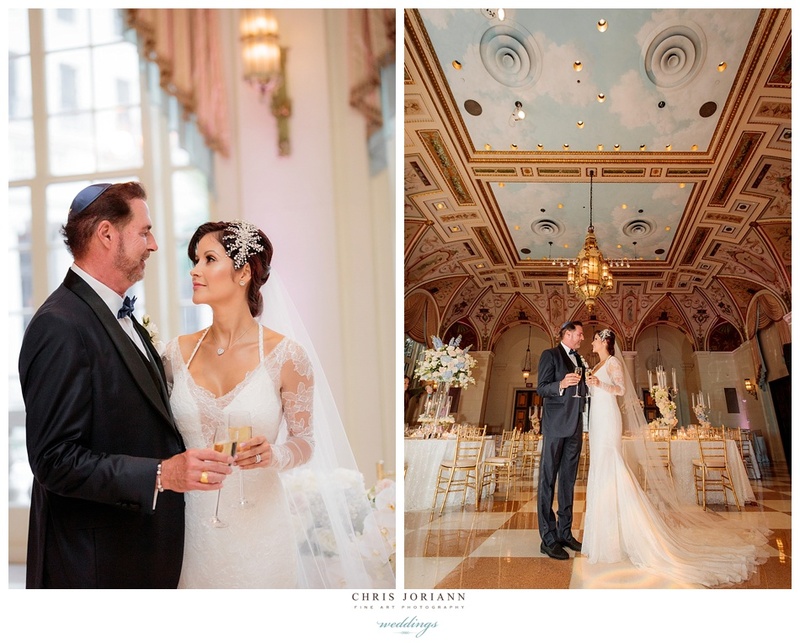 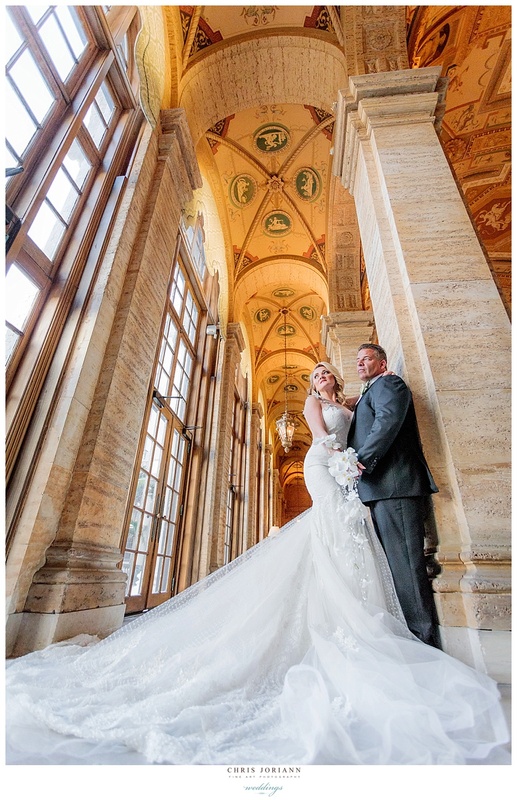 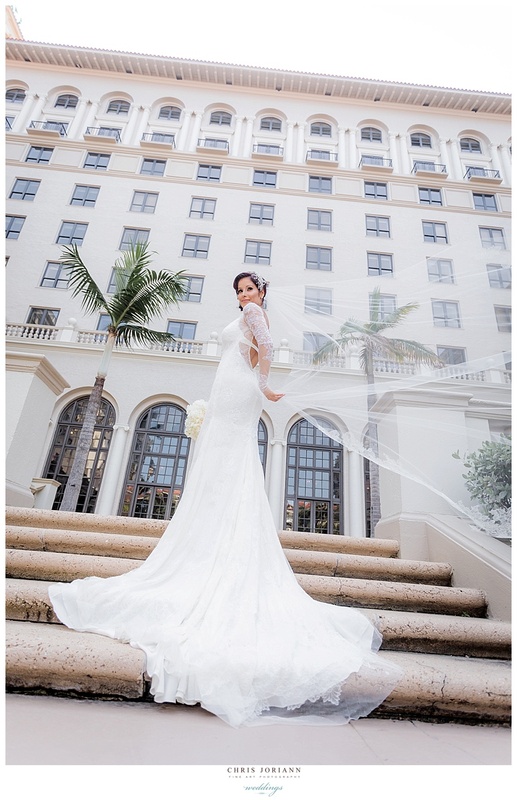 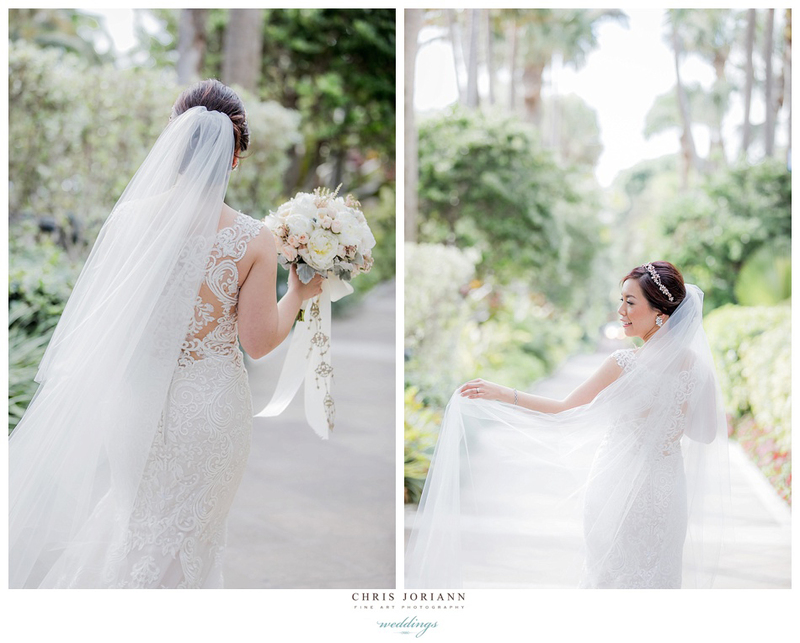 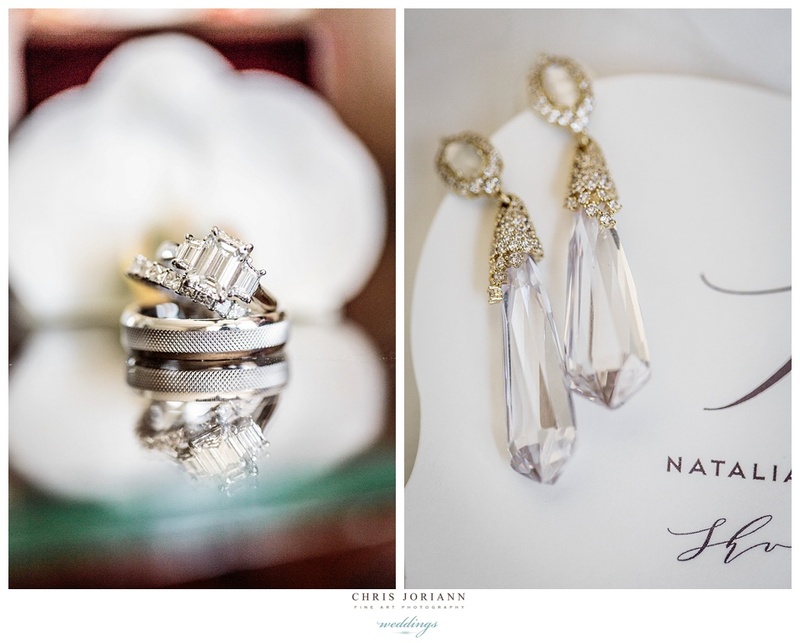 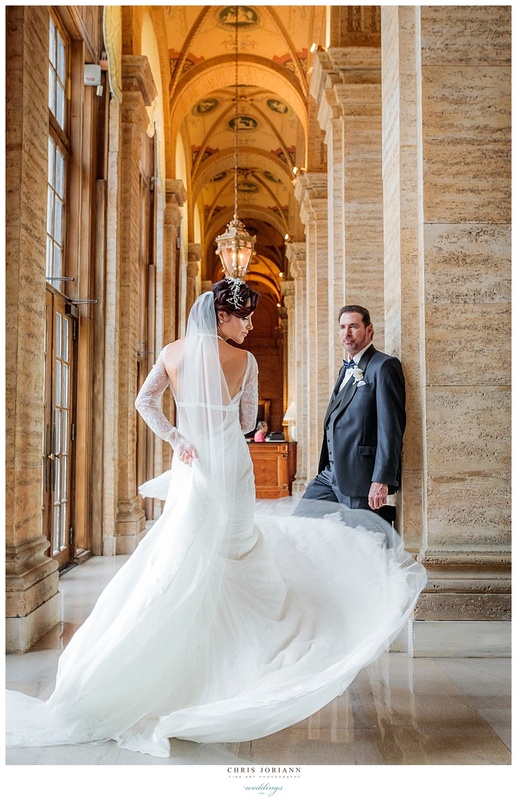 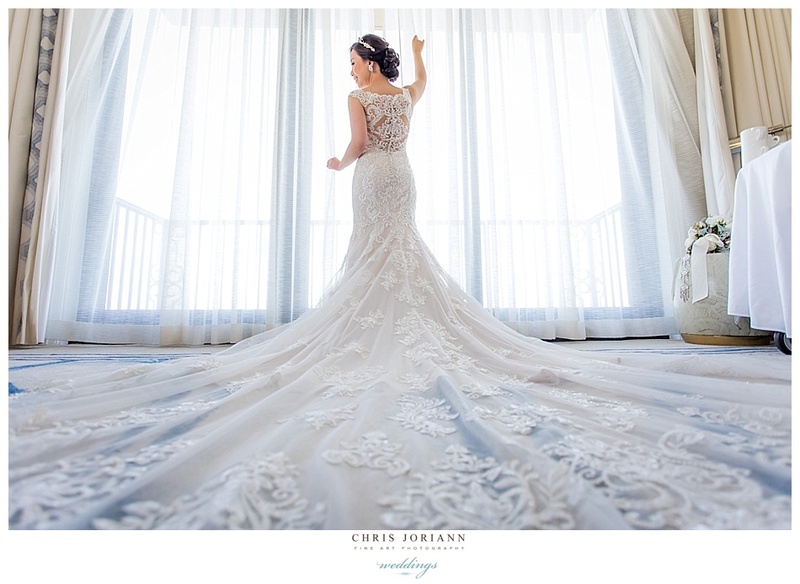 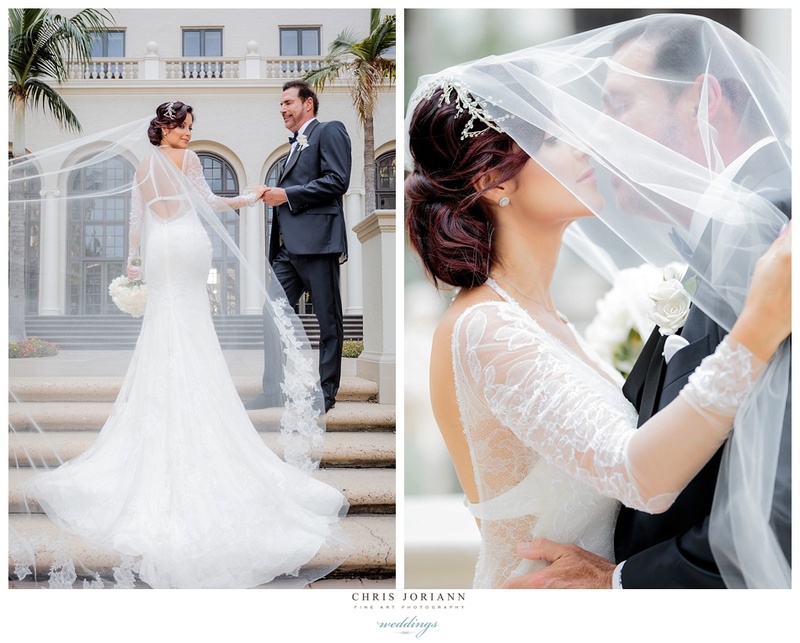 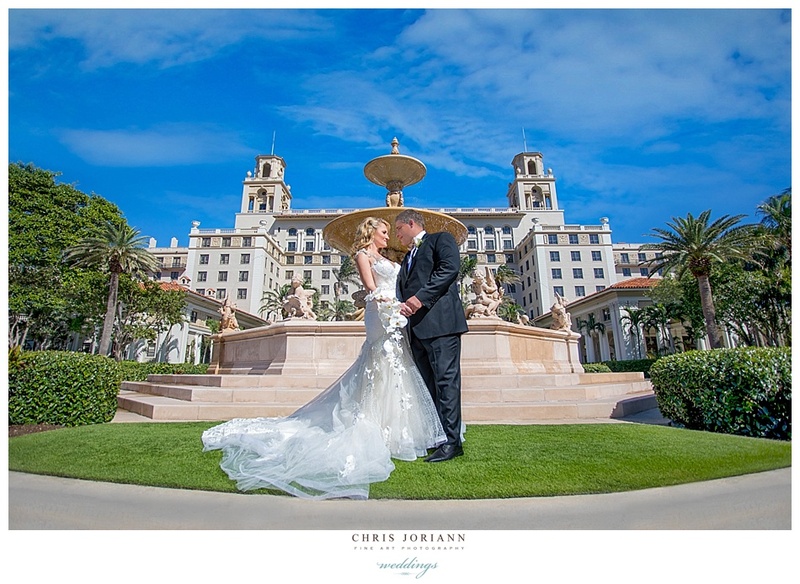 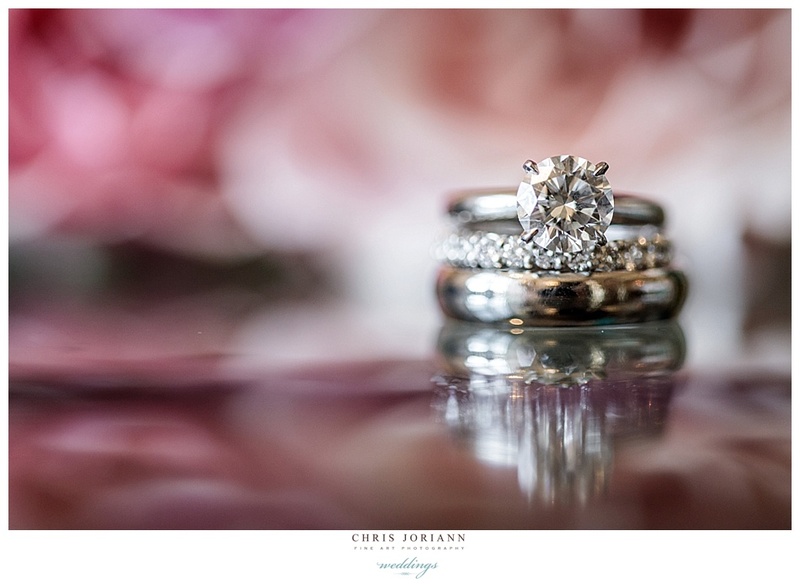 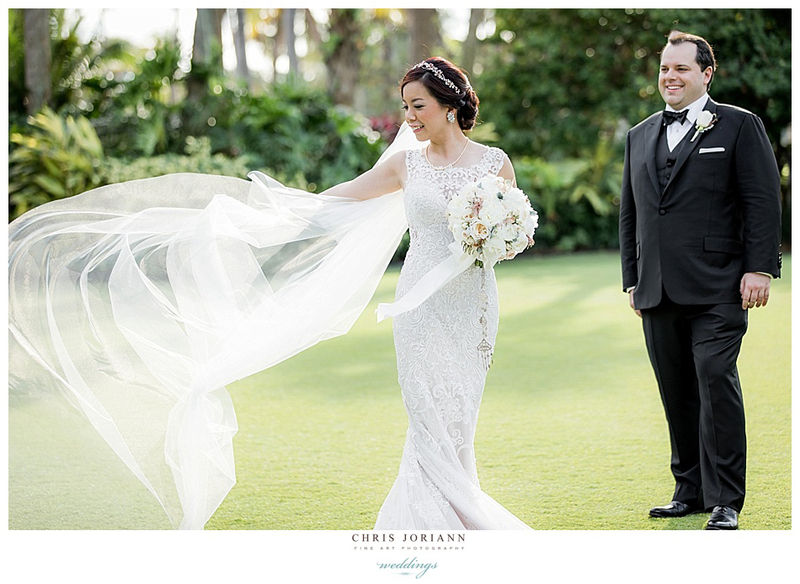 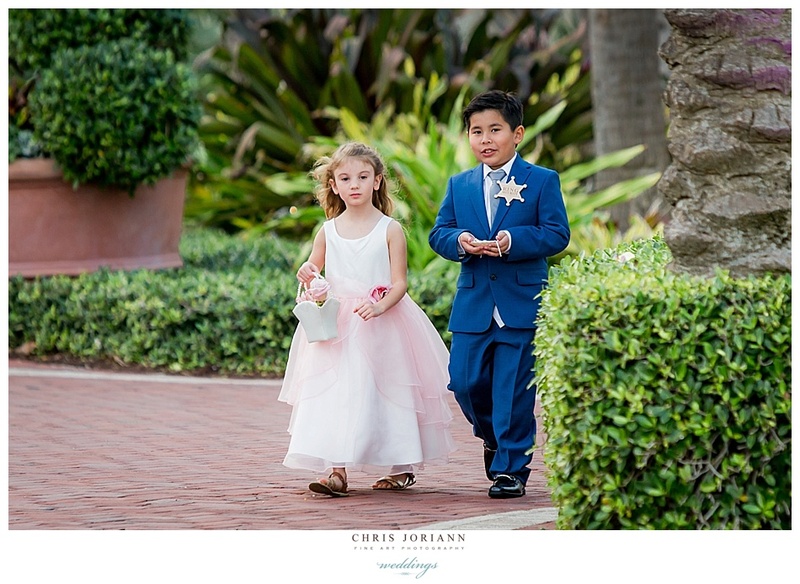 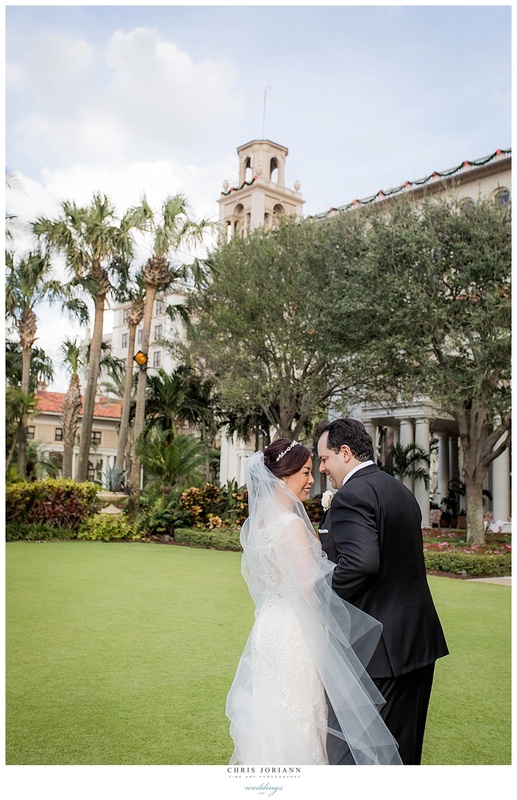 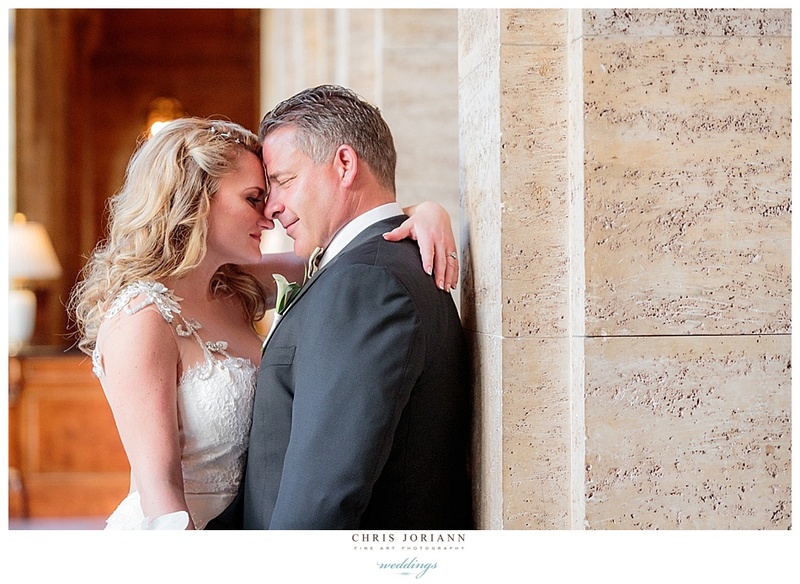 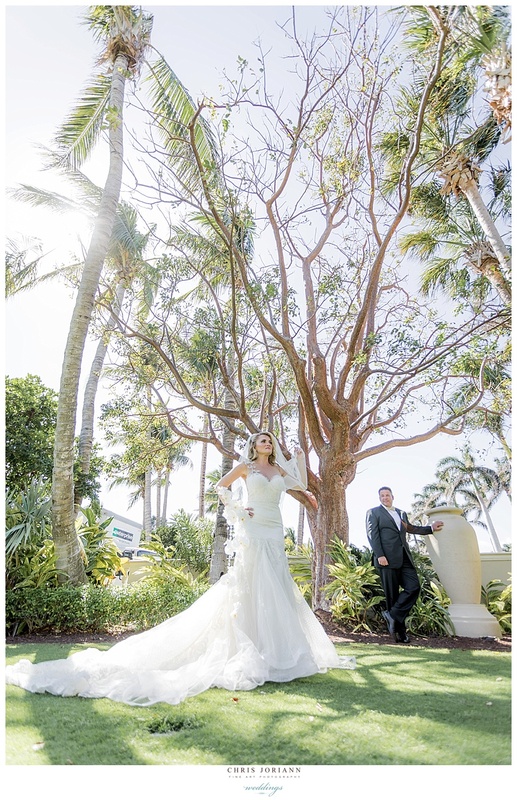 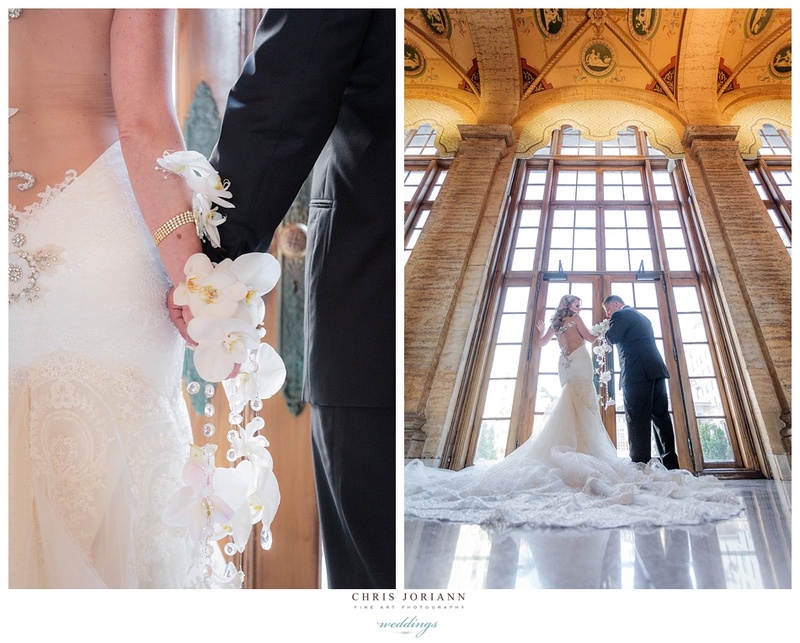 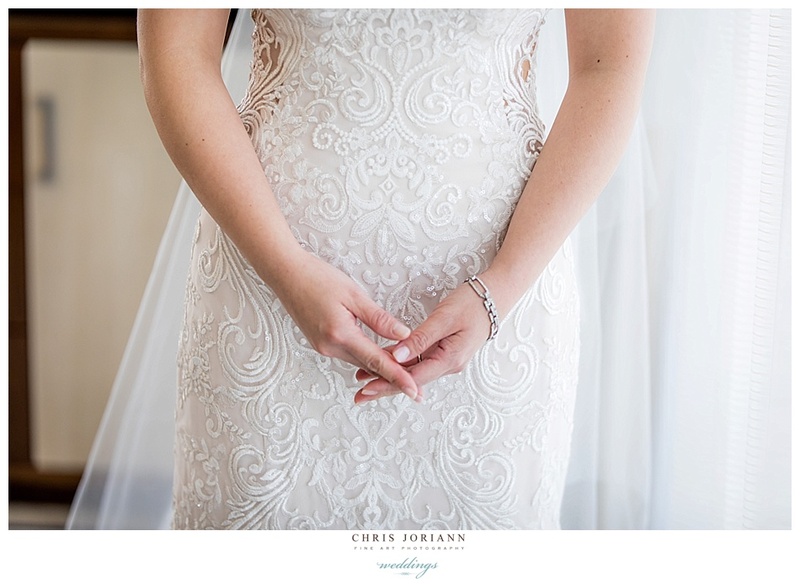 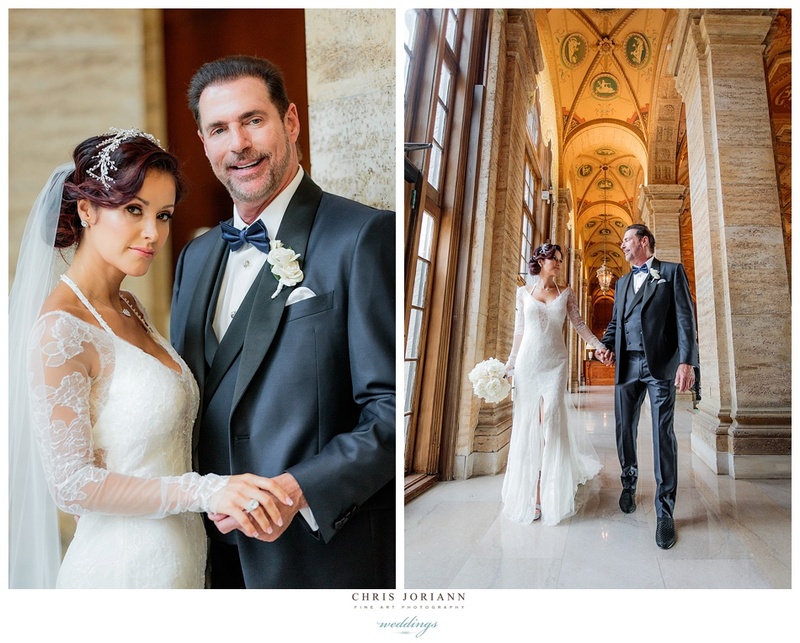 Natalia + Scott’s Palm Beach wedding was held at The Breakers. 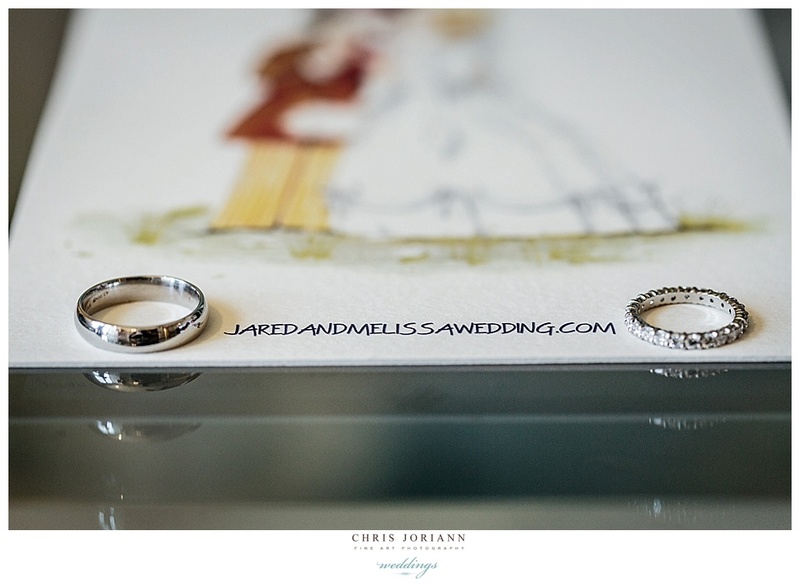 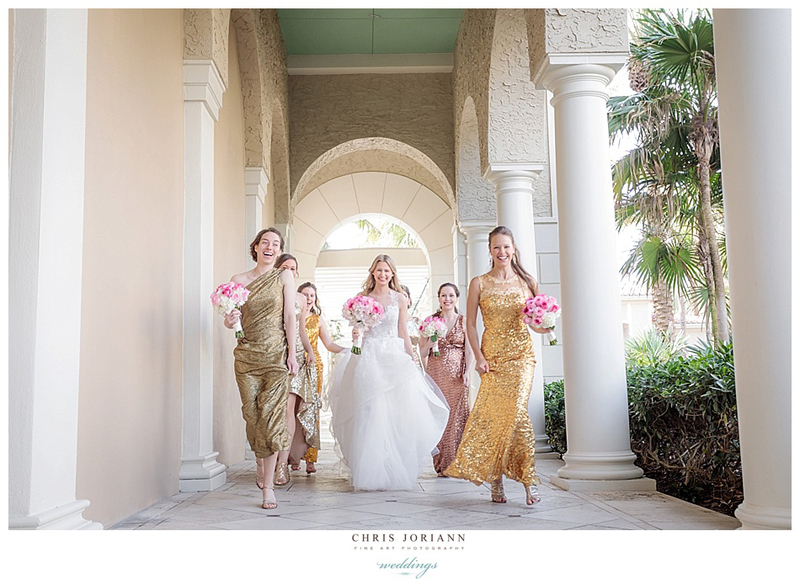 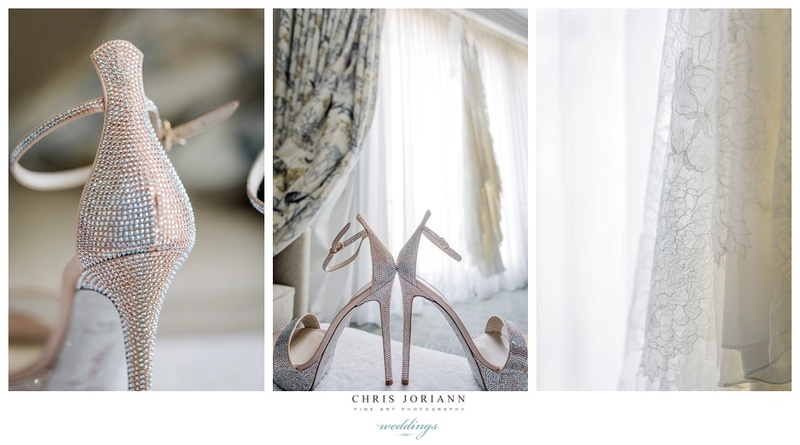 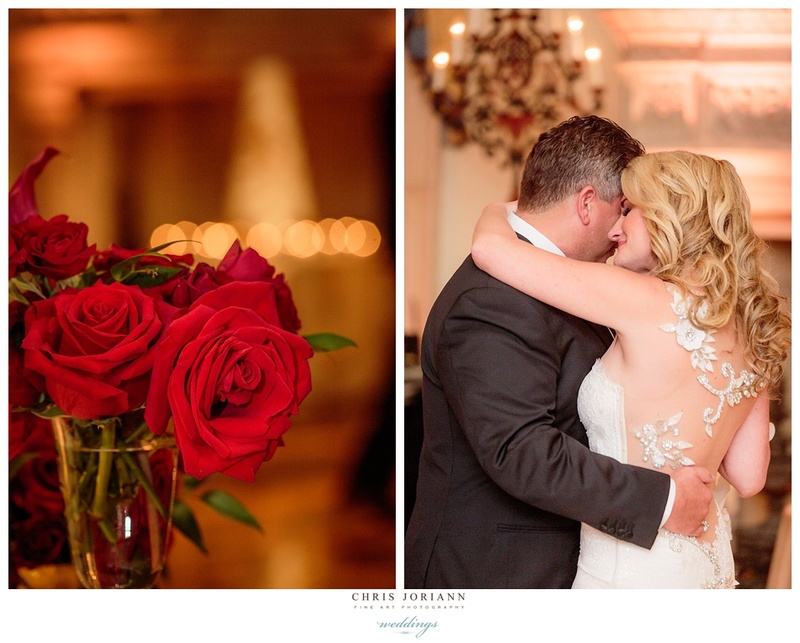 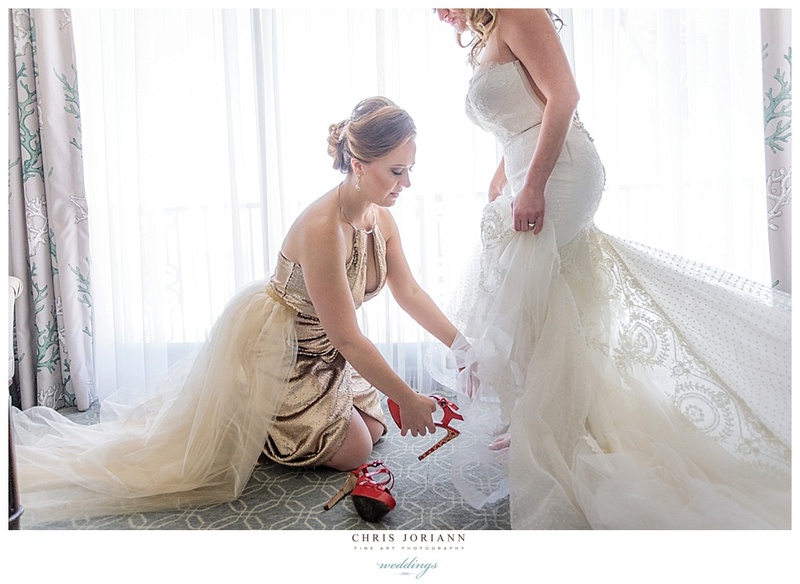 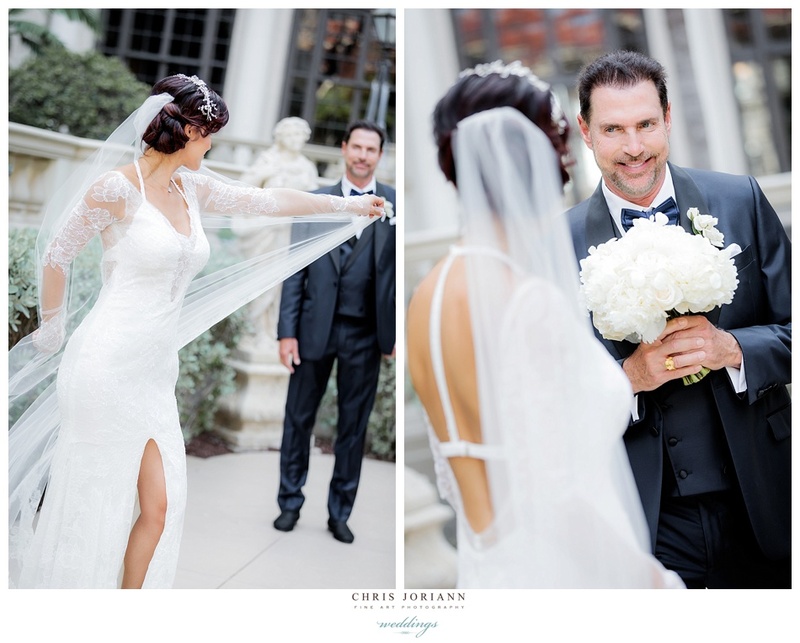 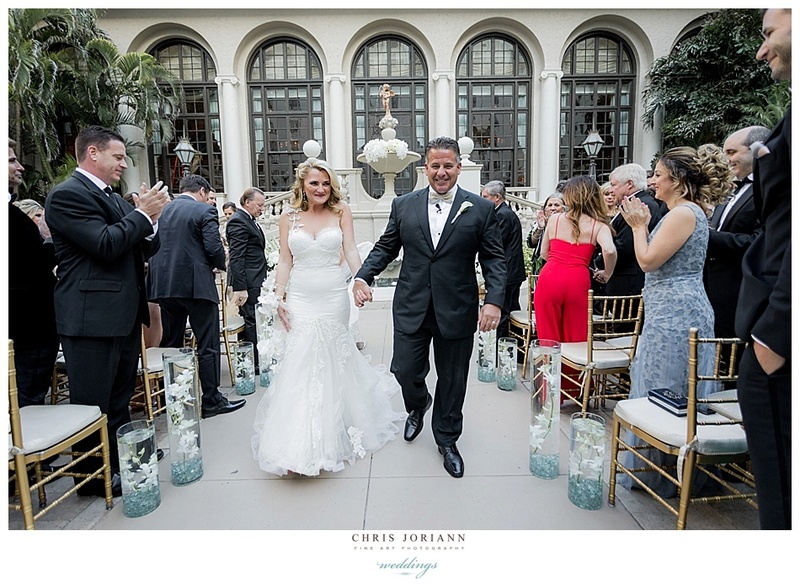 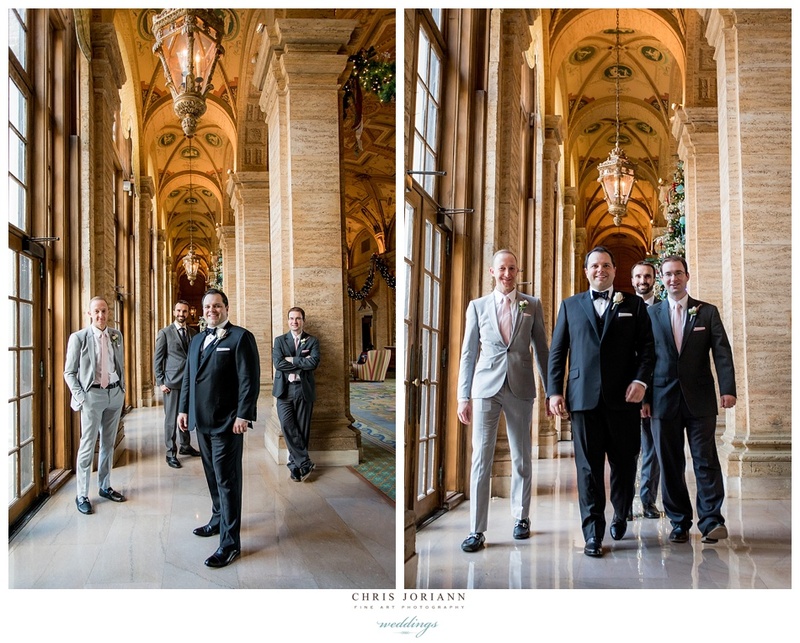 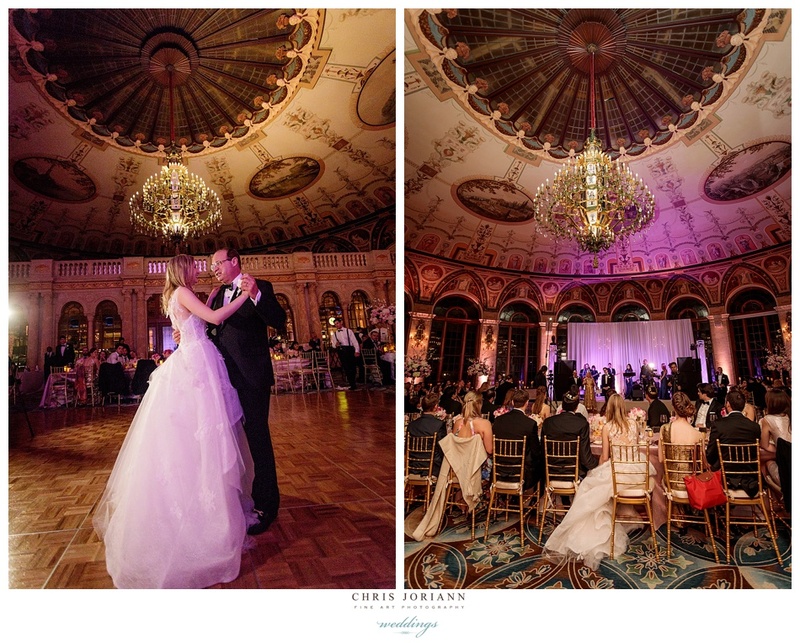 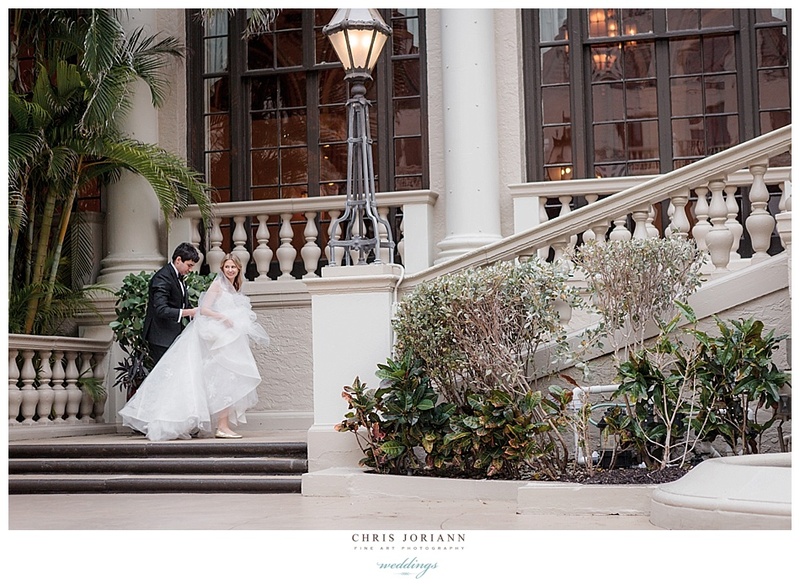 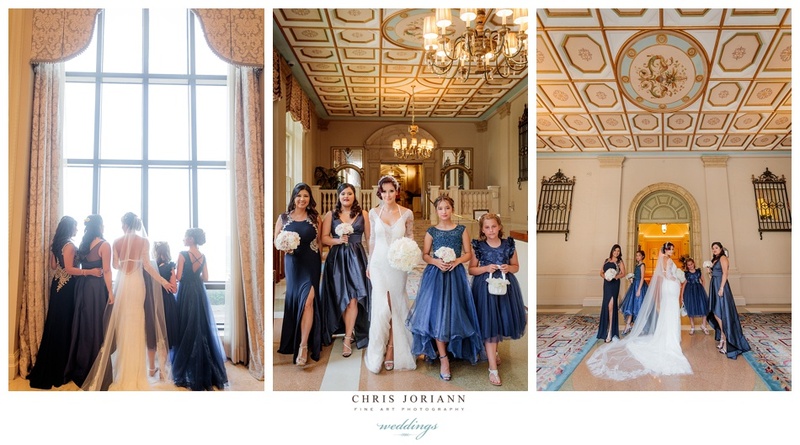 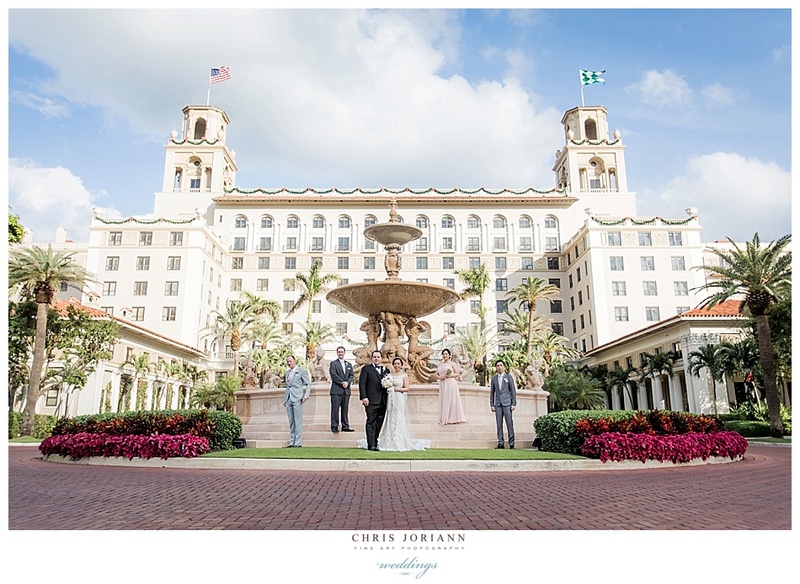 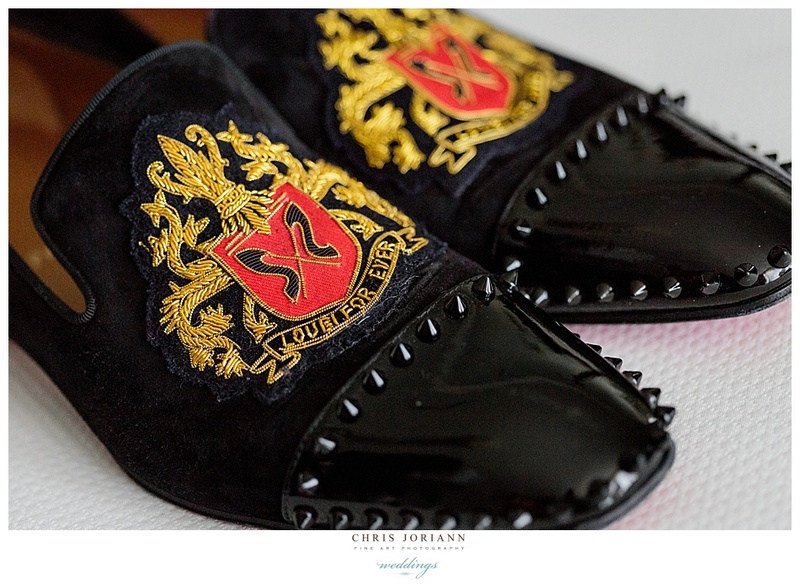 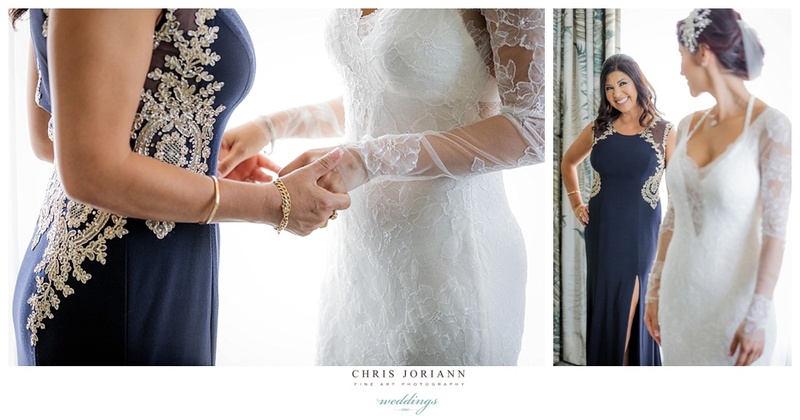 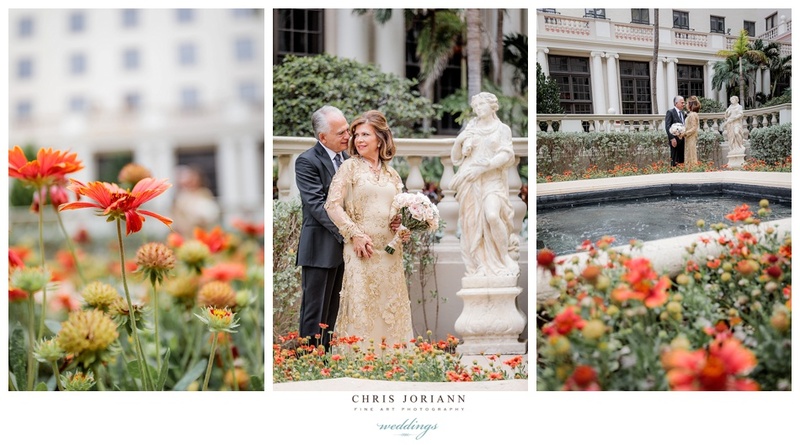 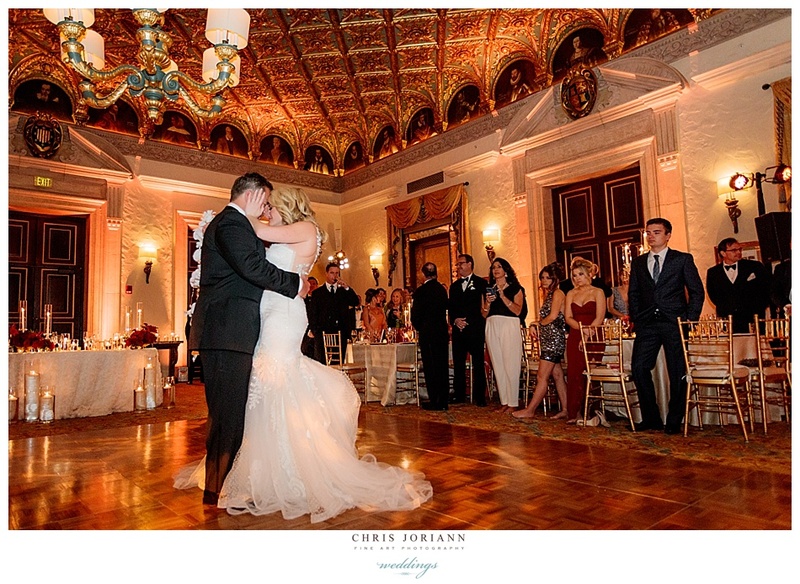 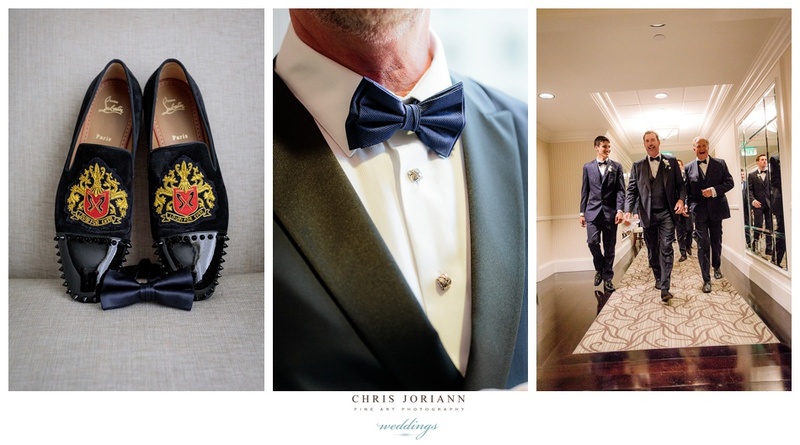 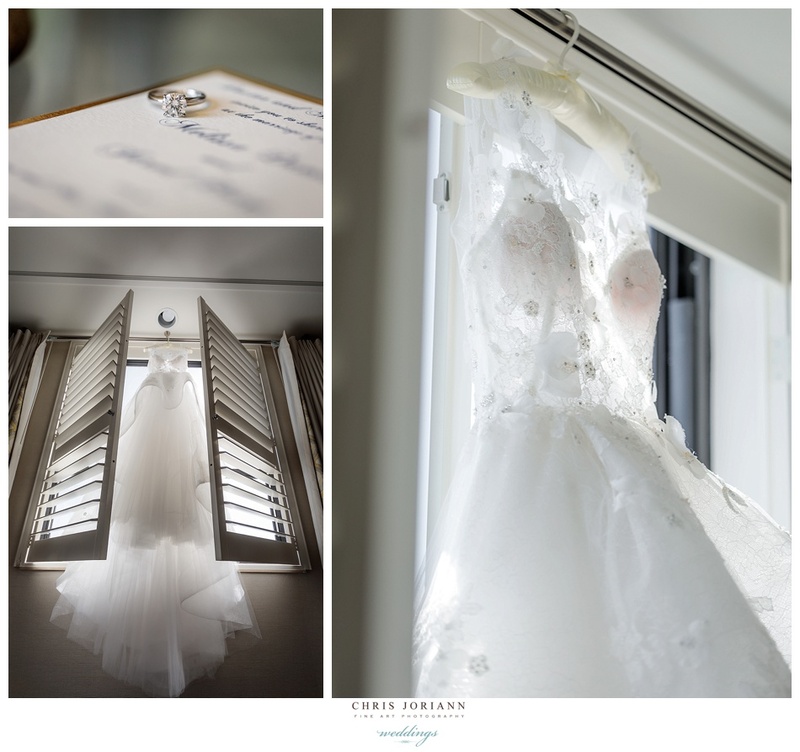 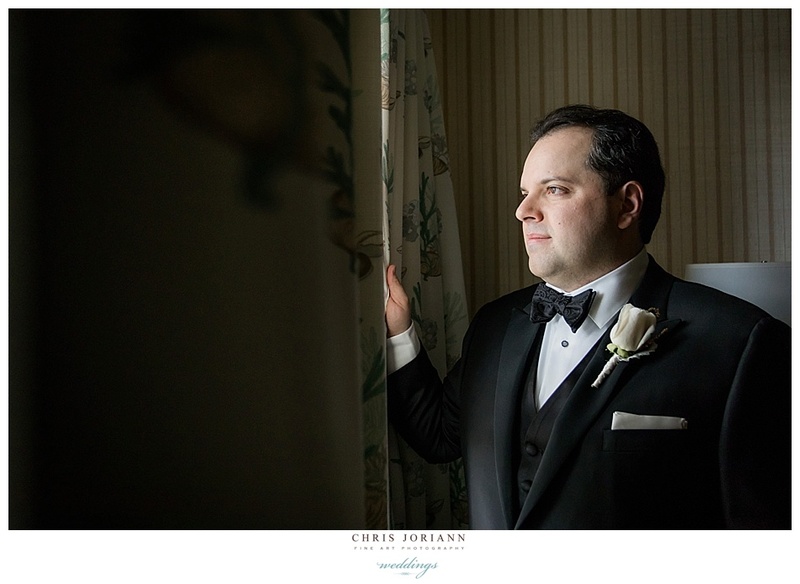 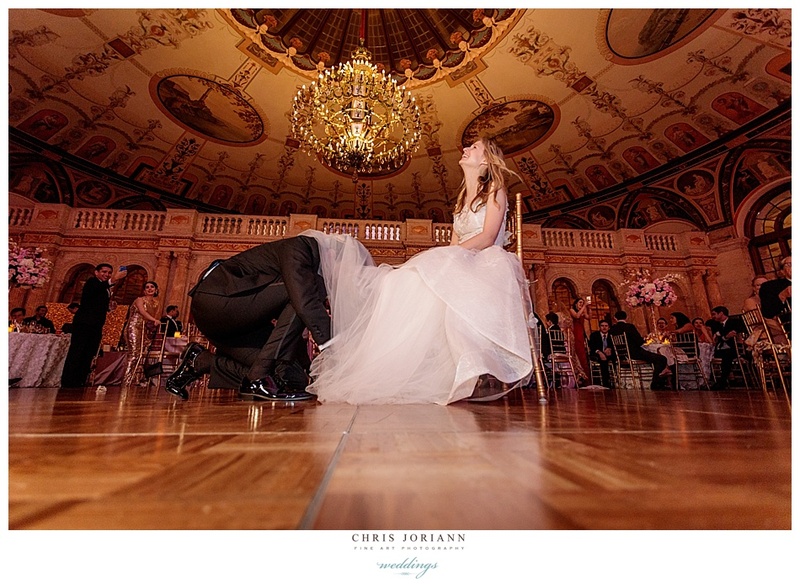 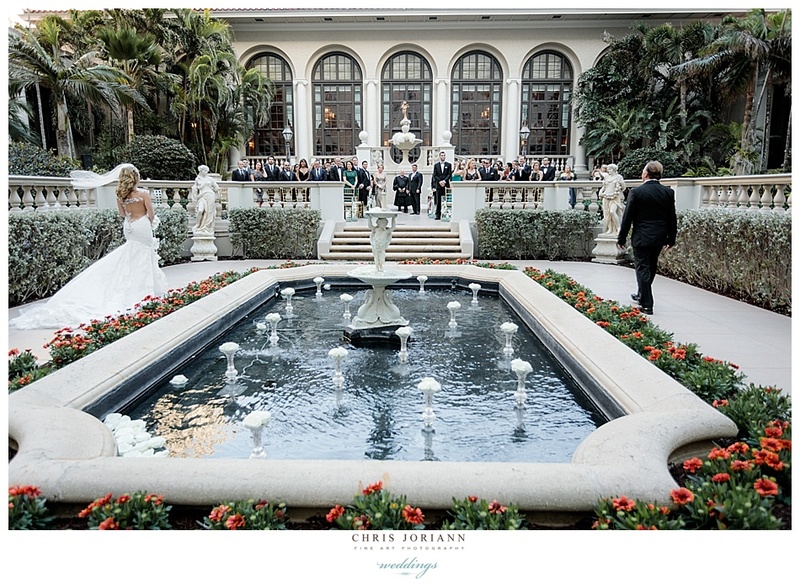 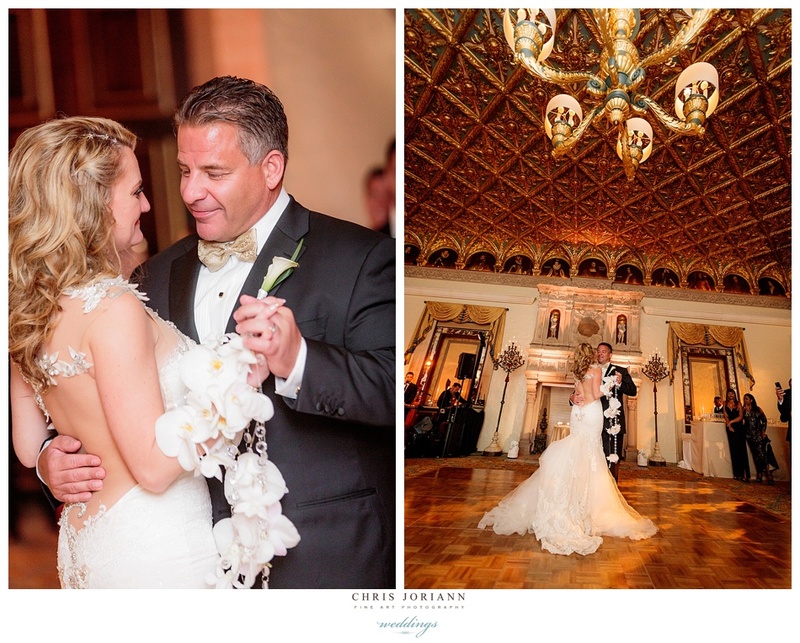 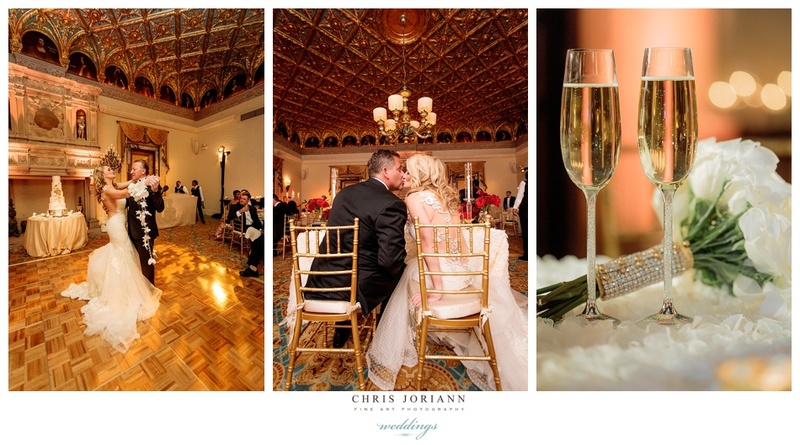 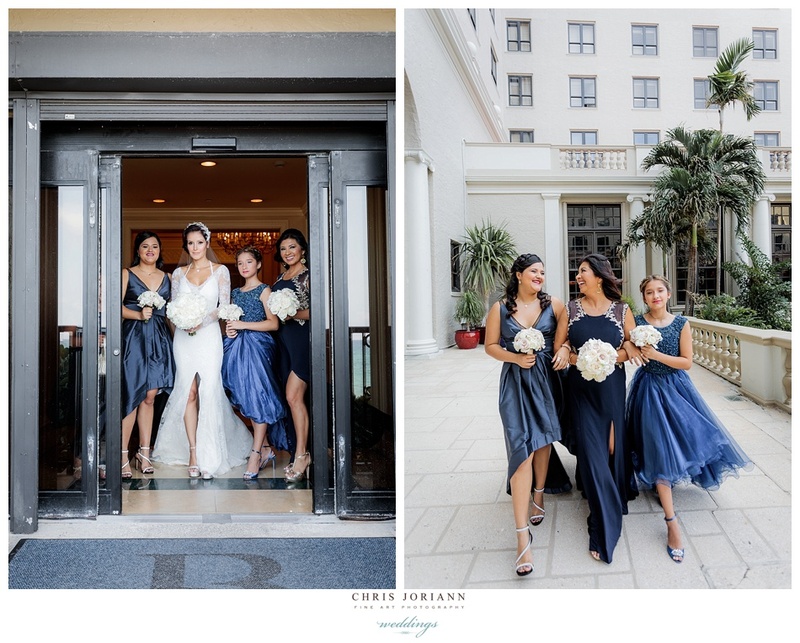 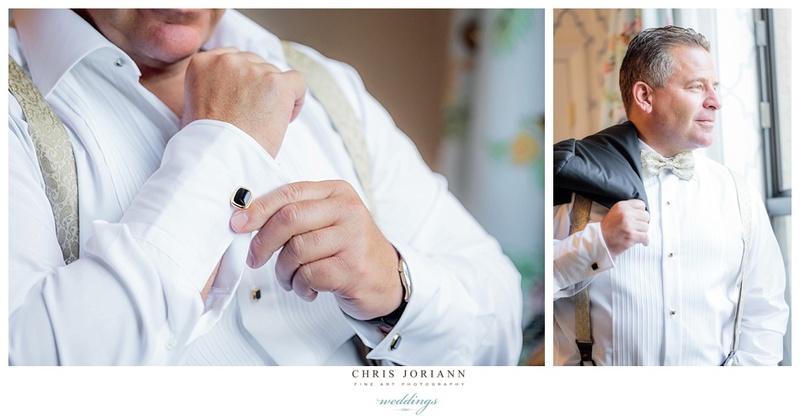 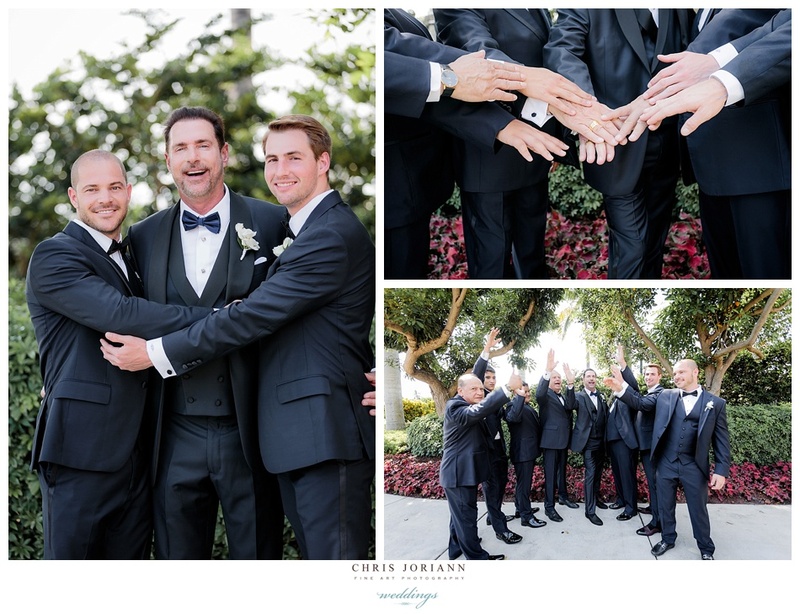 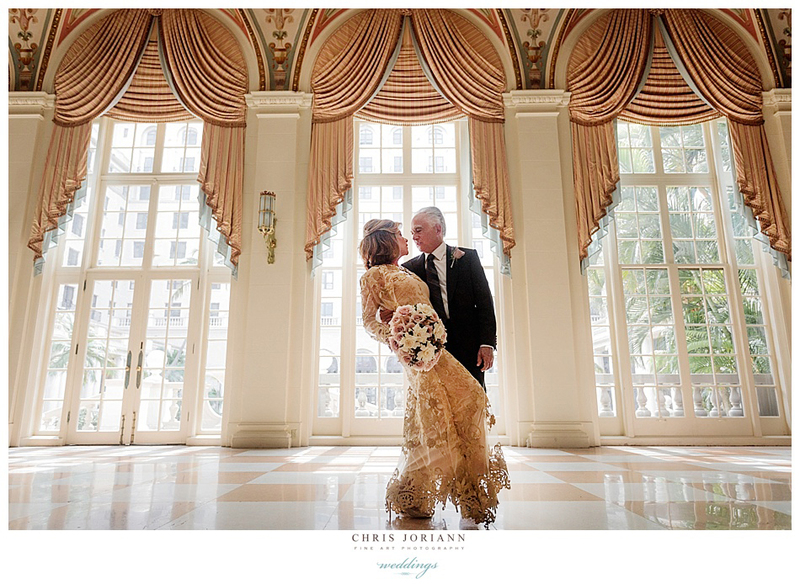 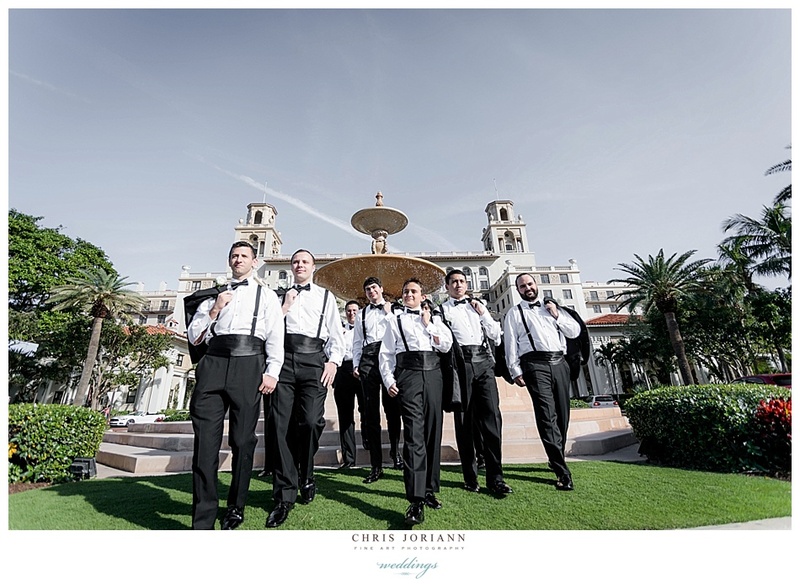 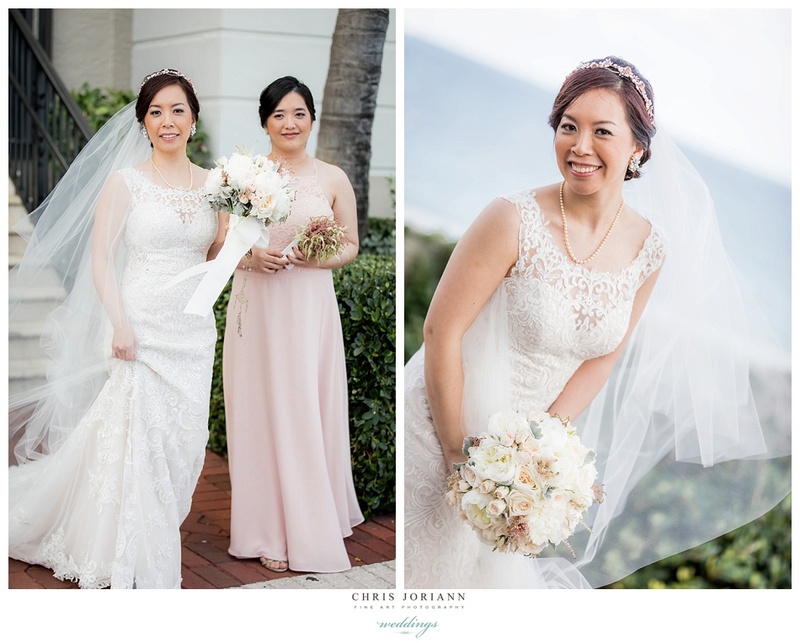 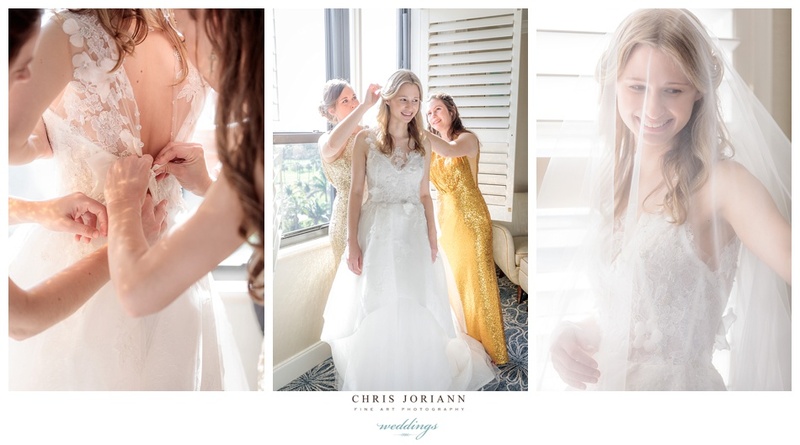 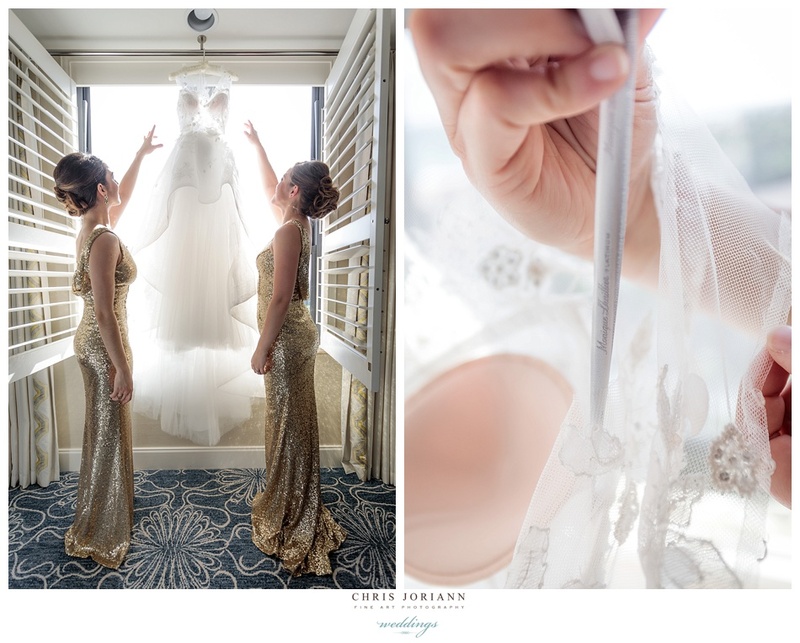 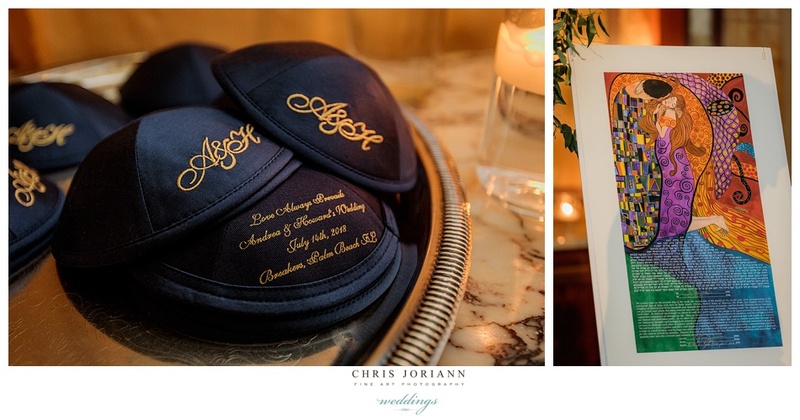 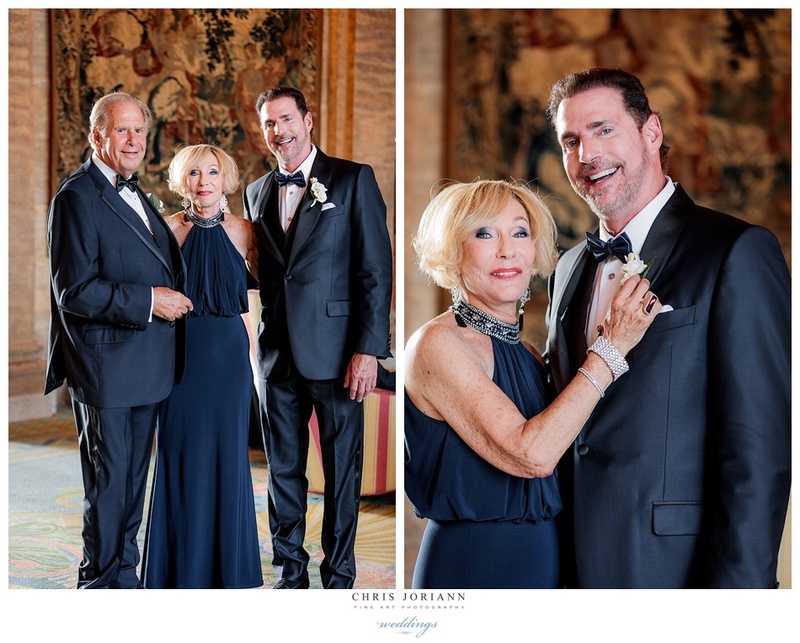 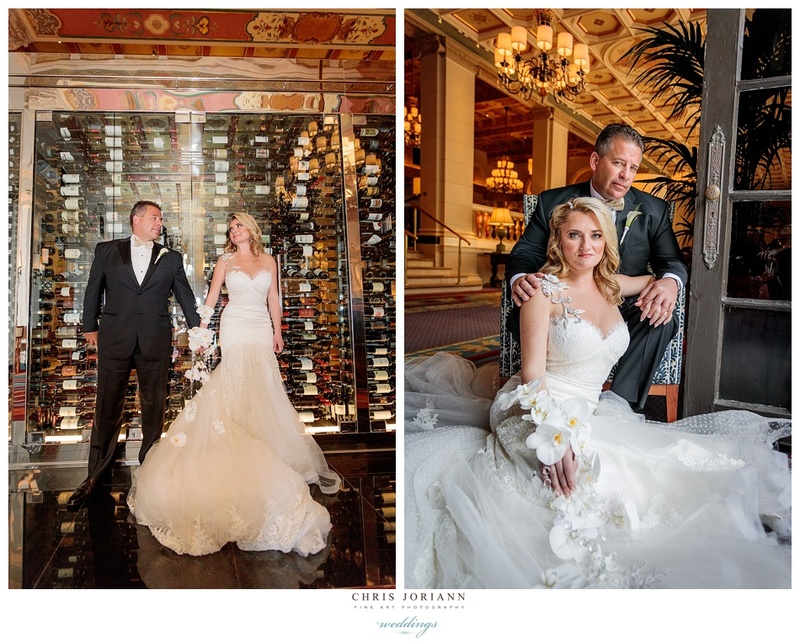 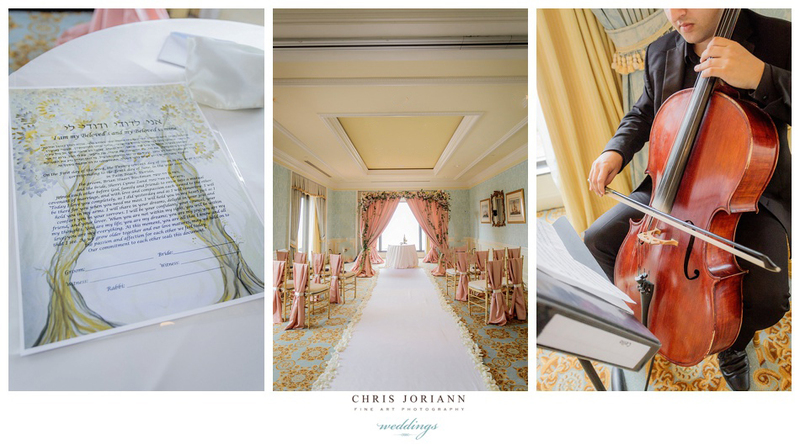 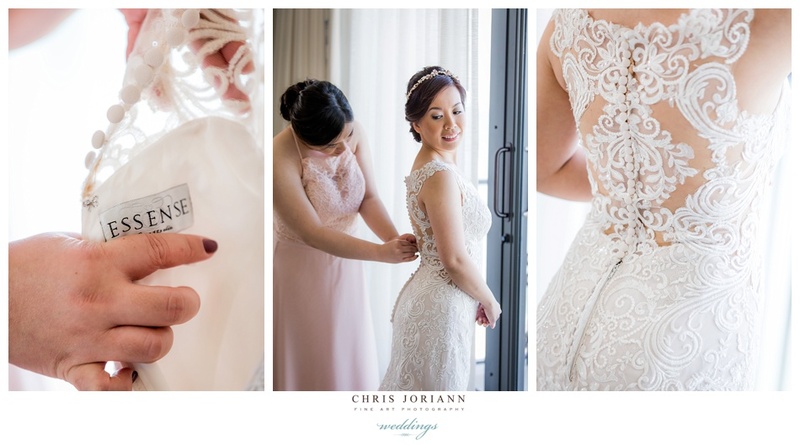 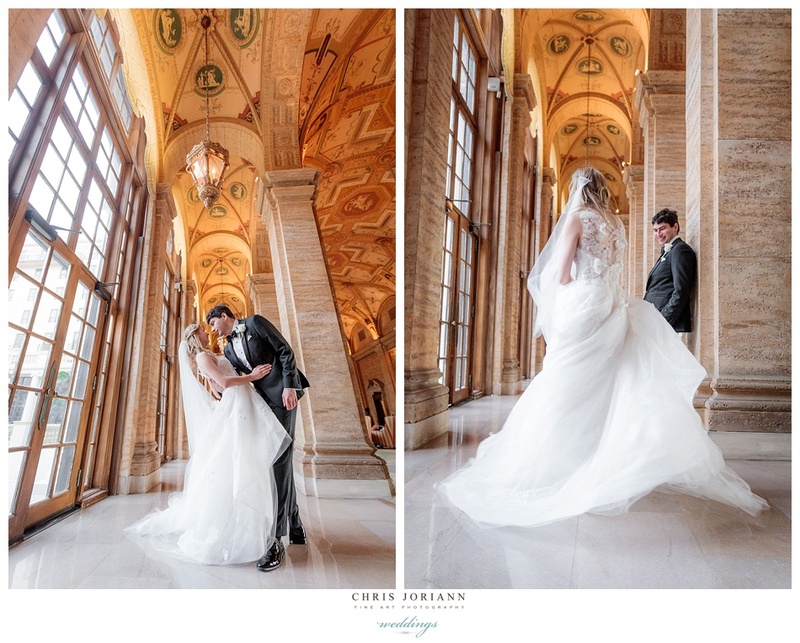 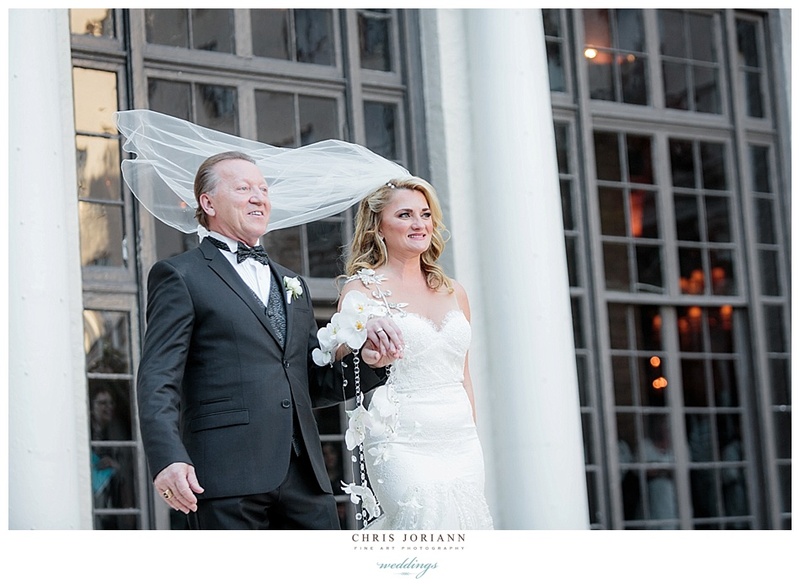 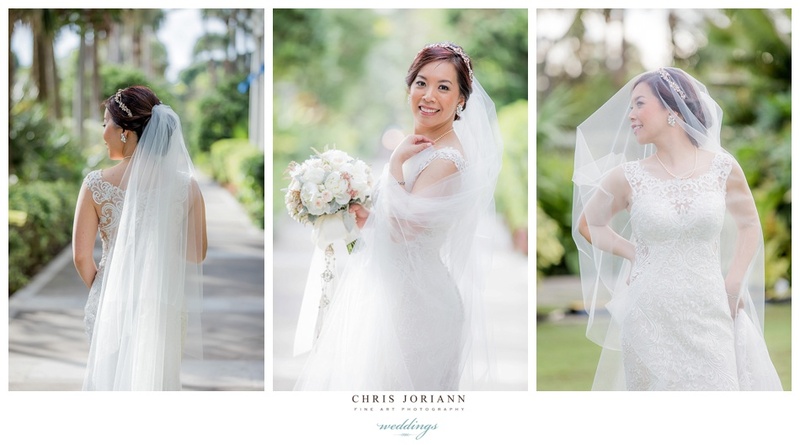 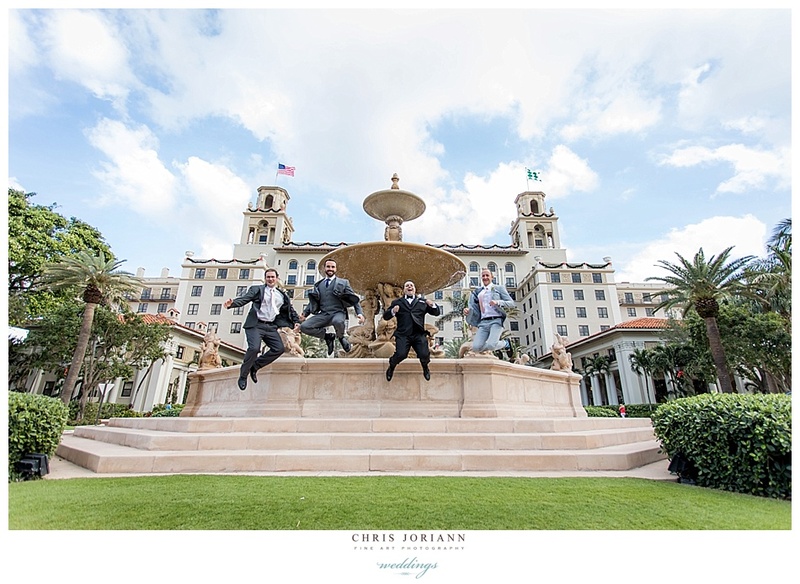 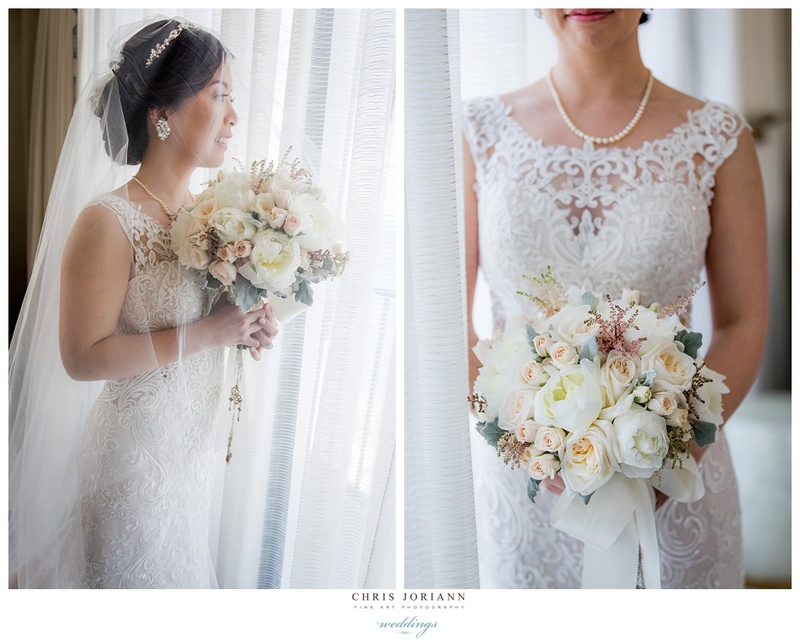 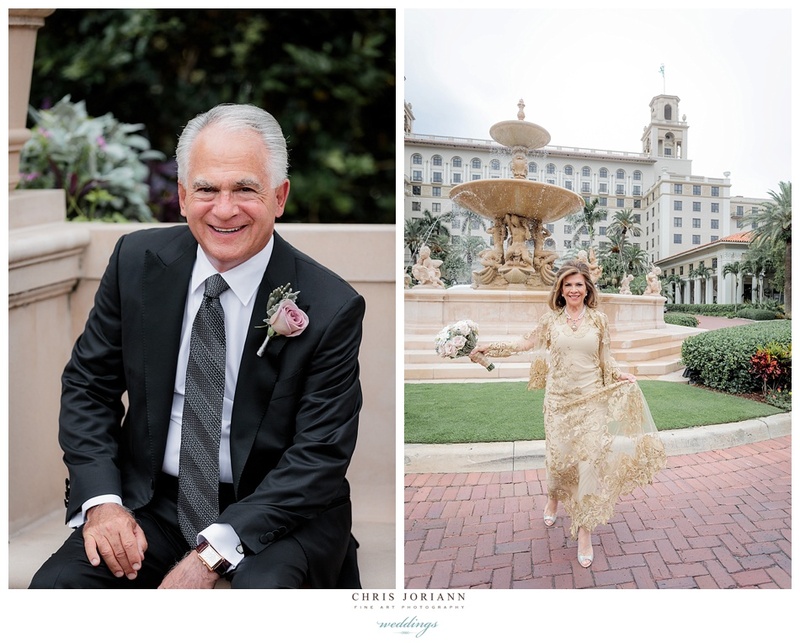 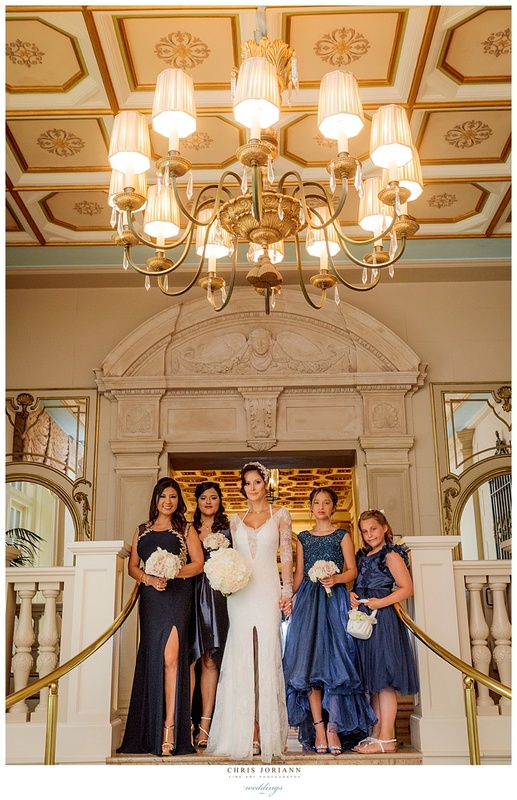 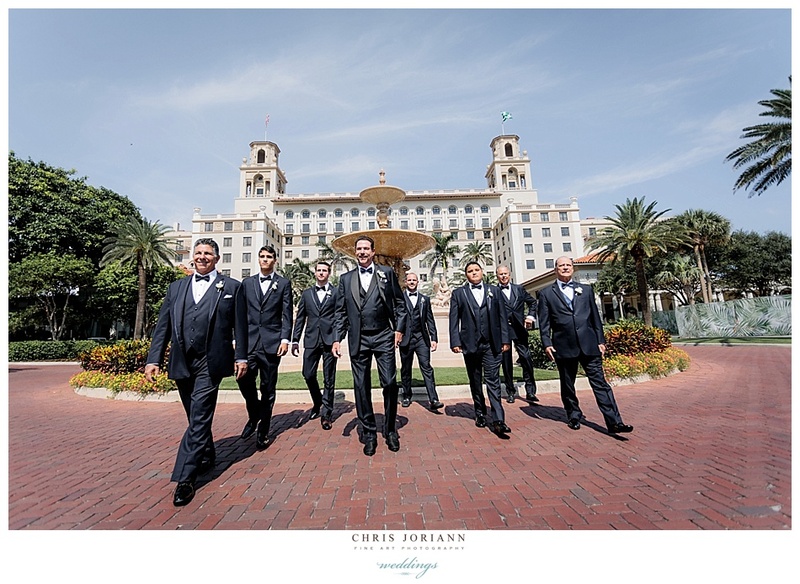 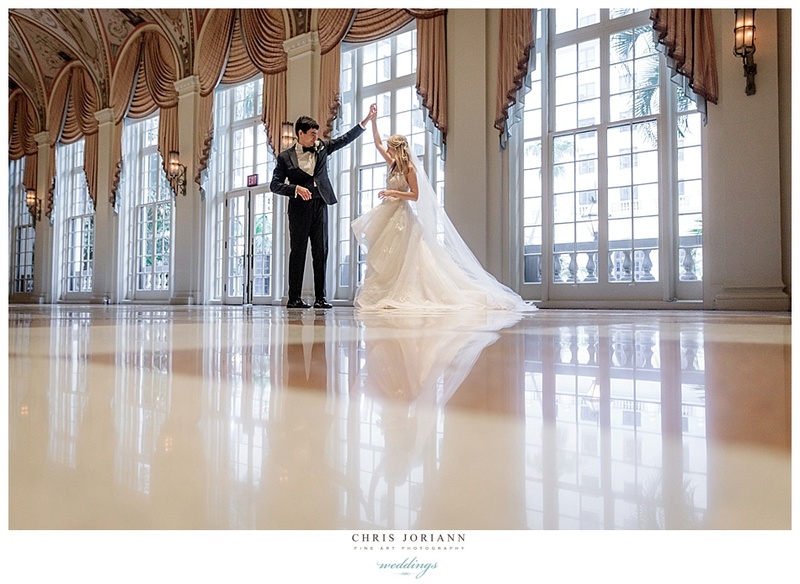 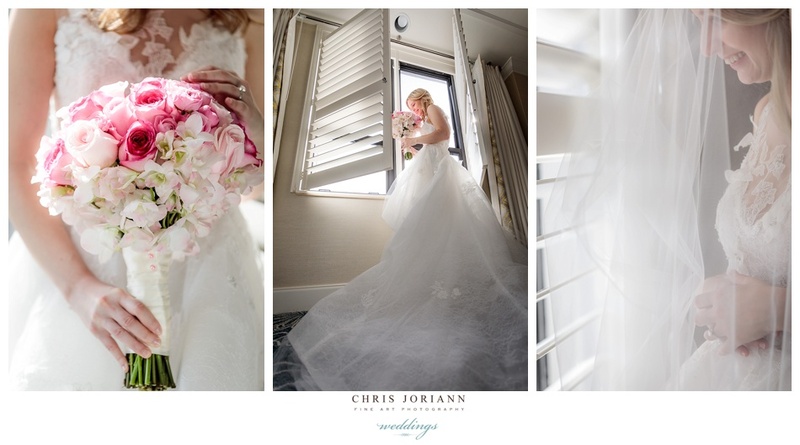 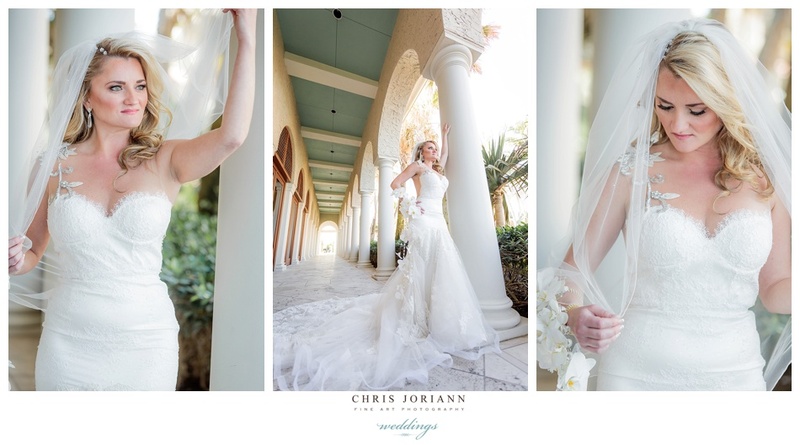 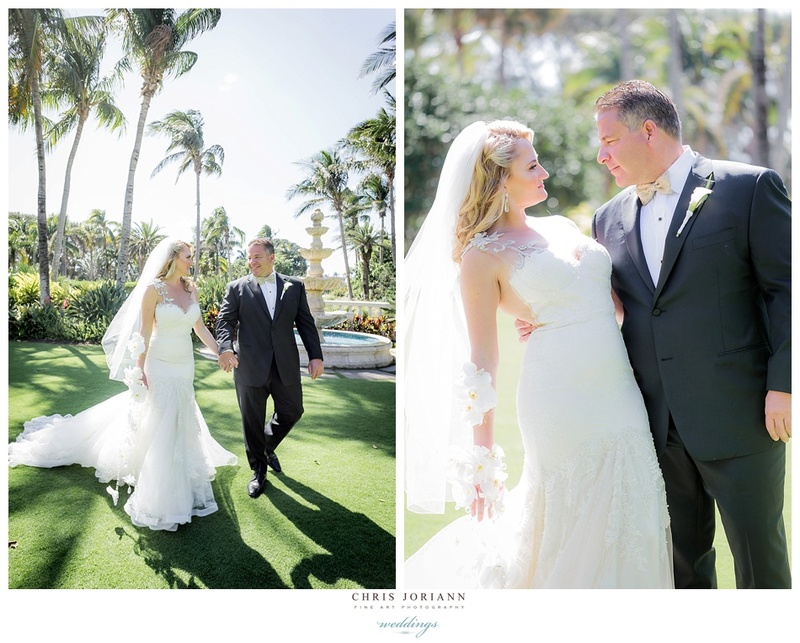 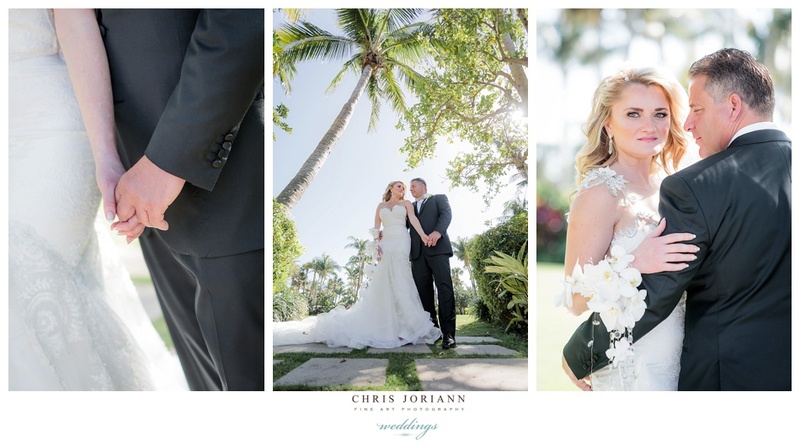 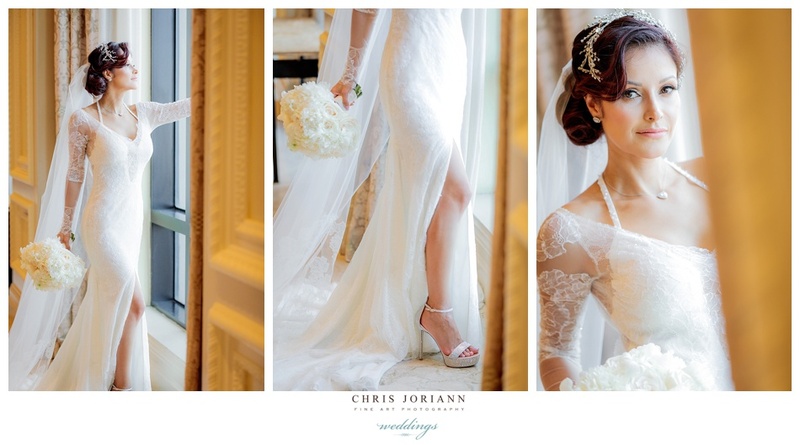 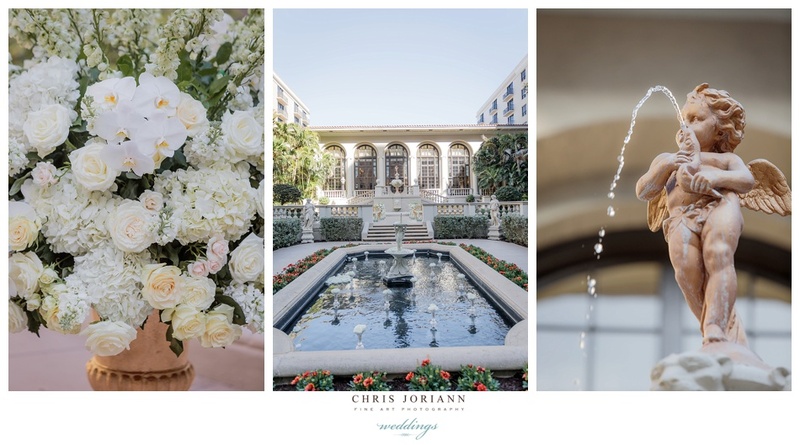 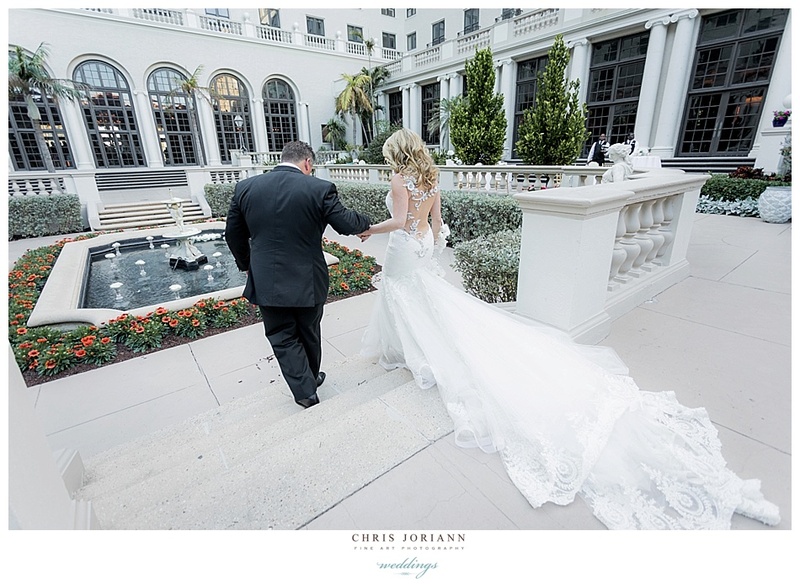 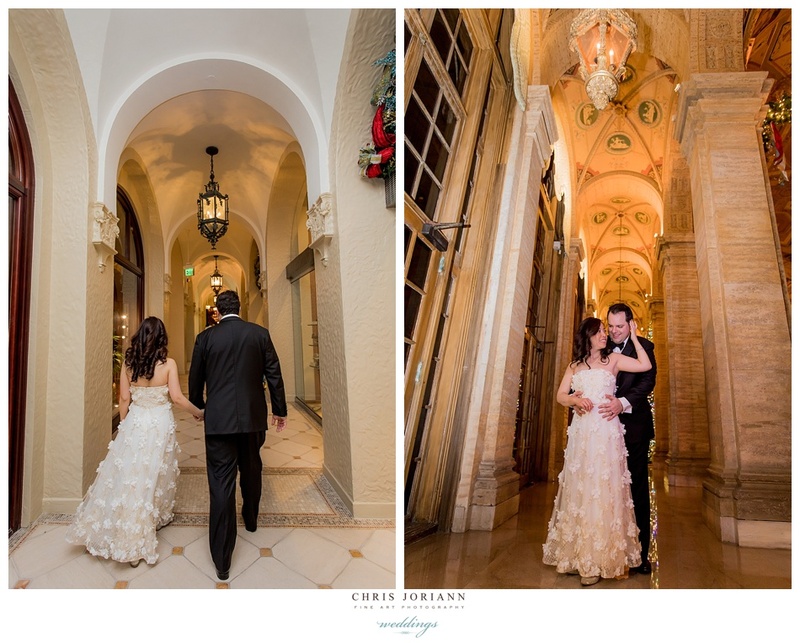 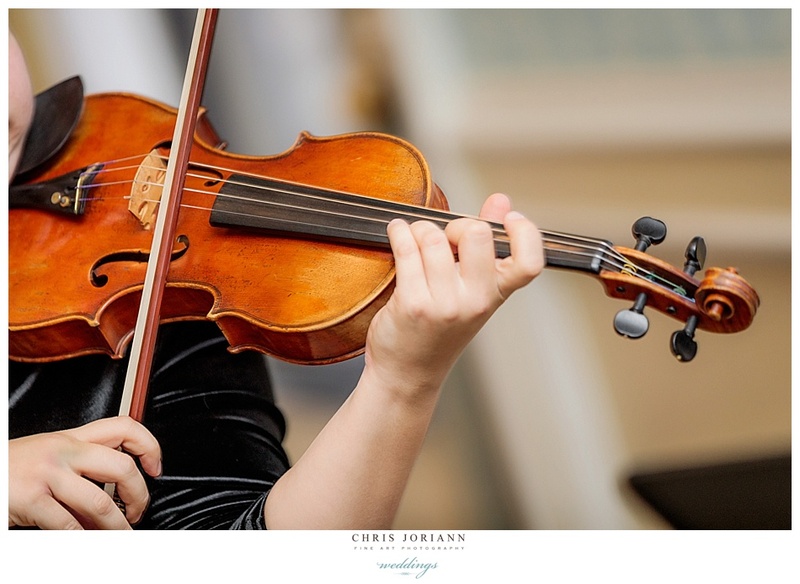 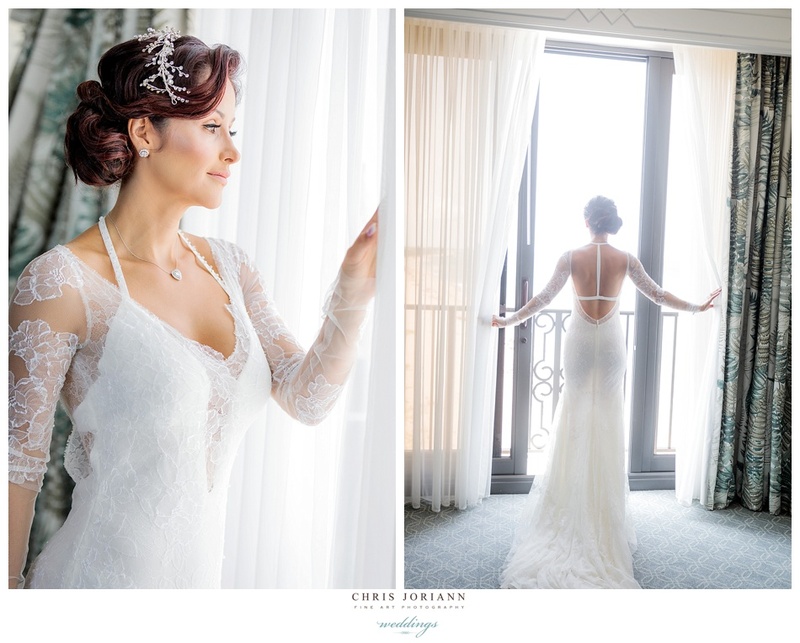 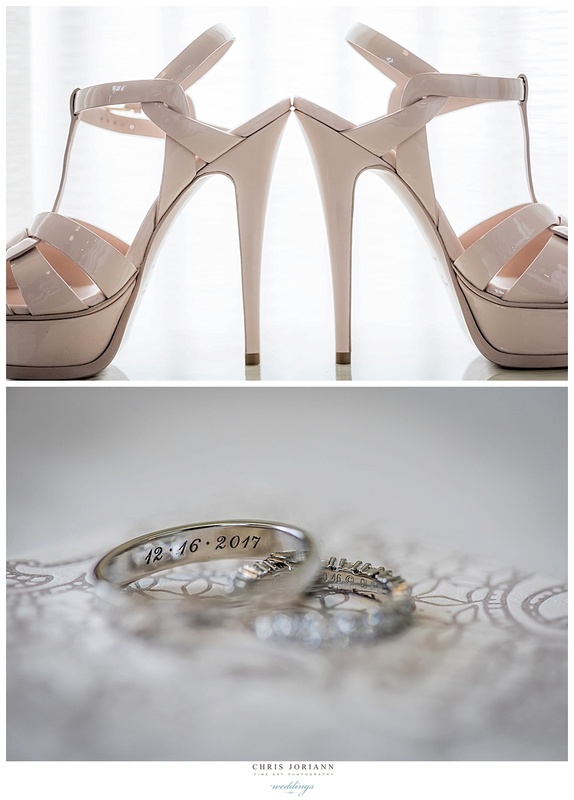 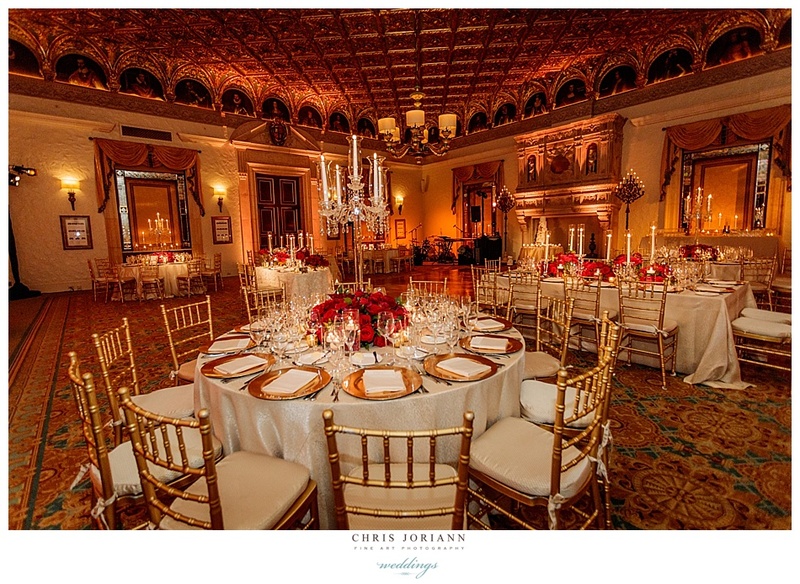 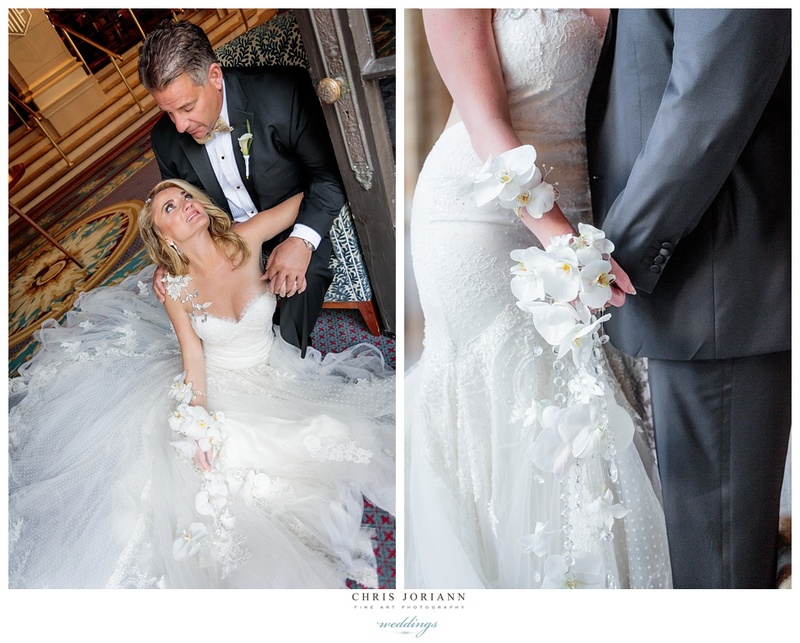 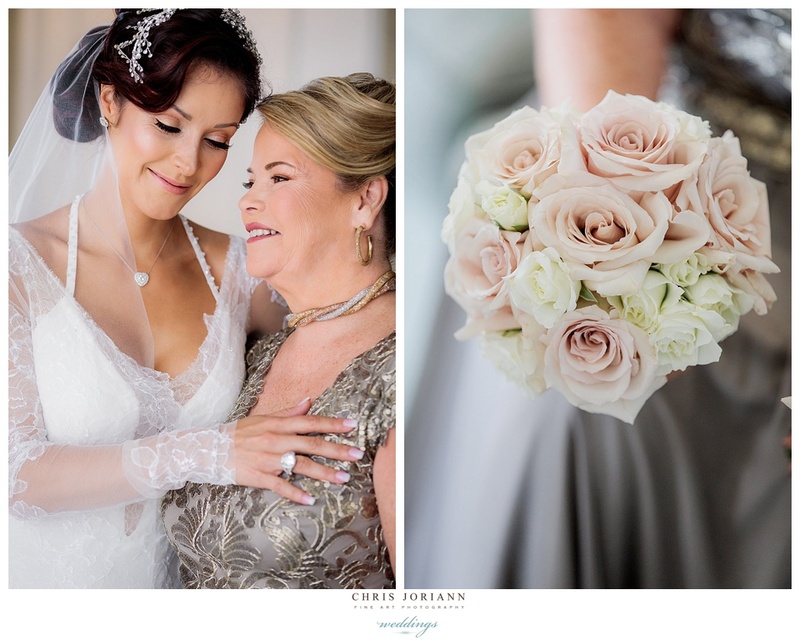 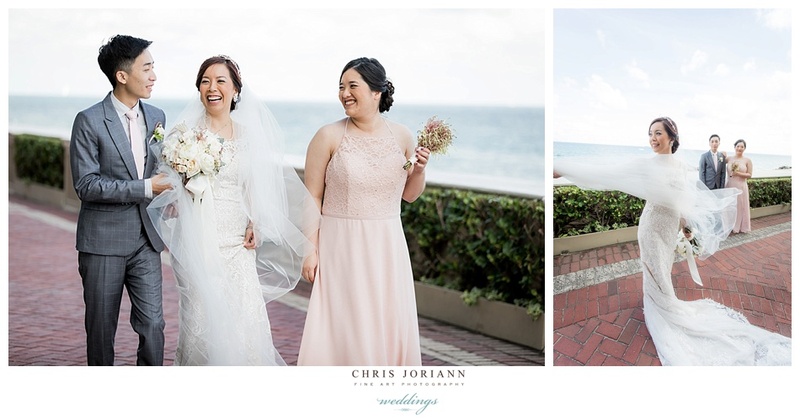 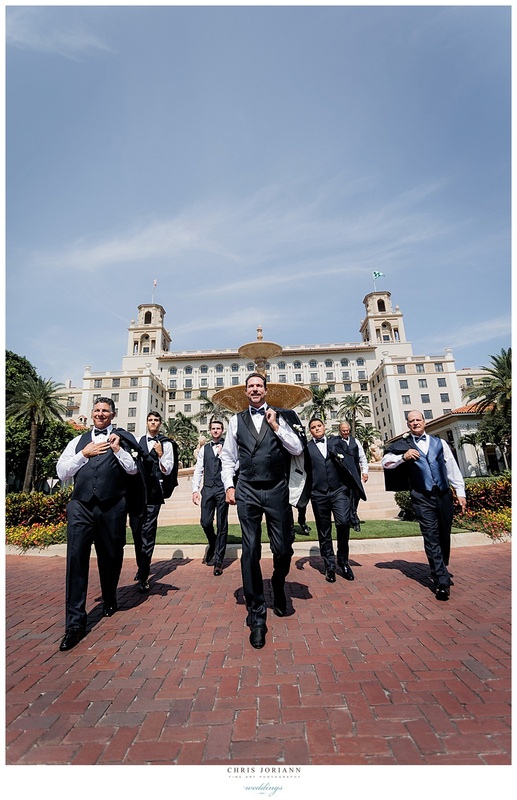 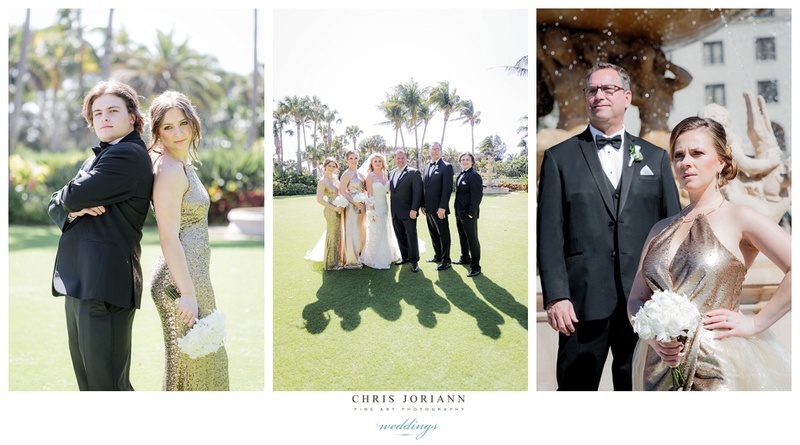 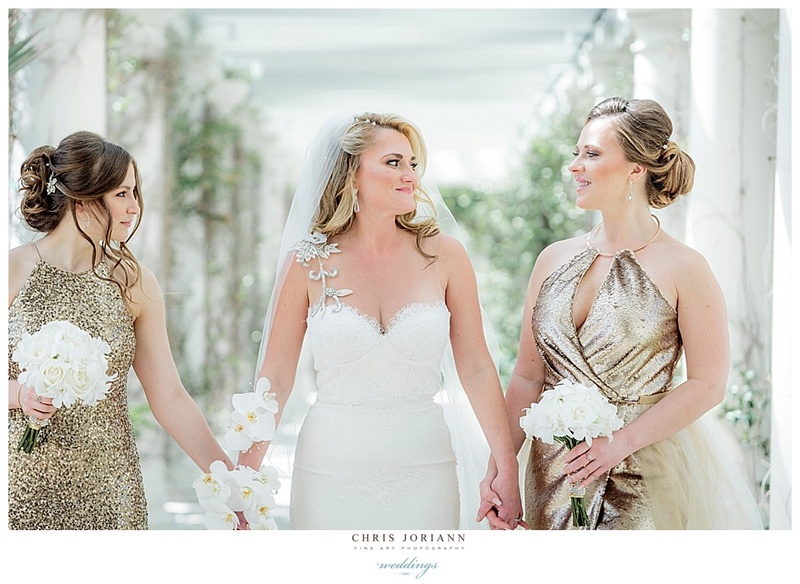 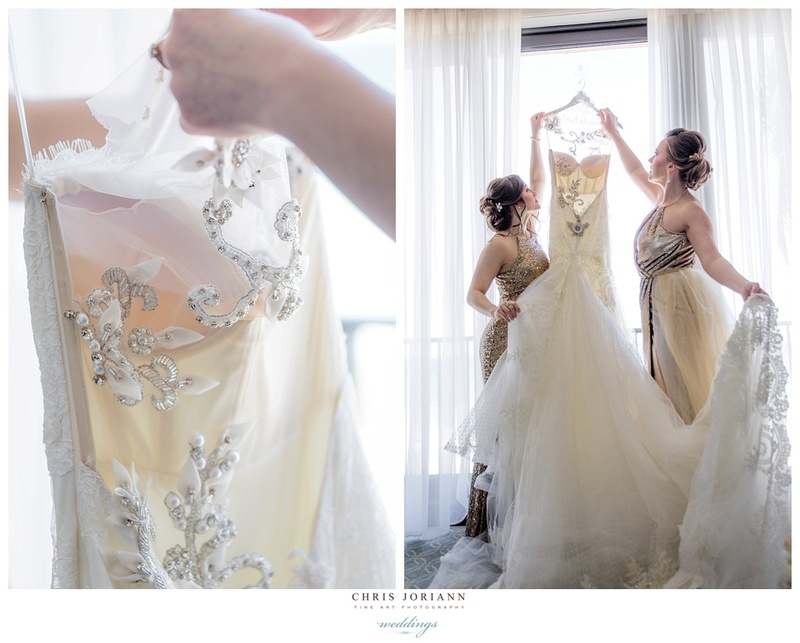 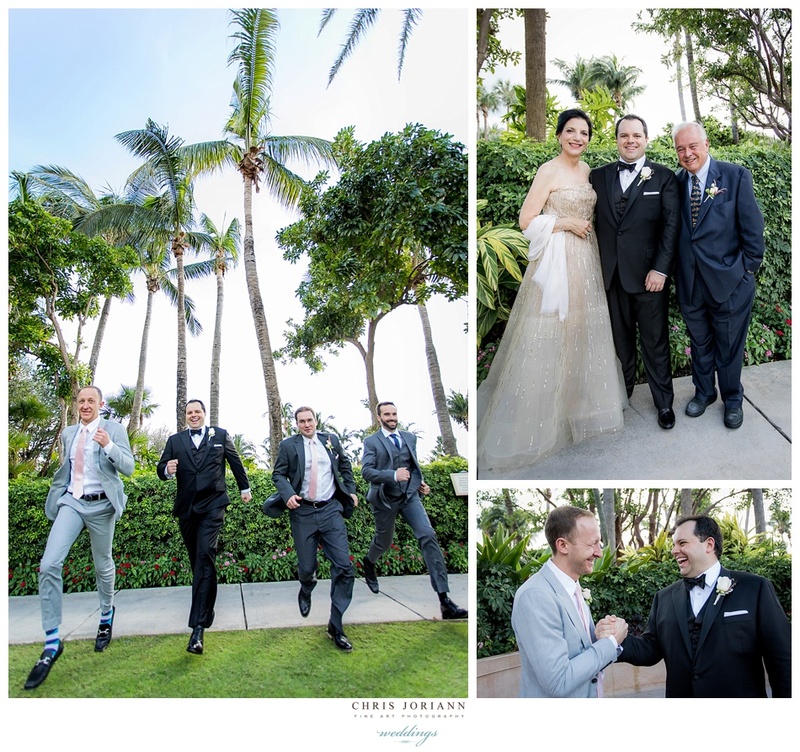 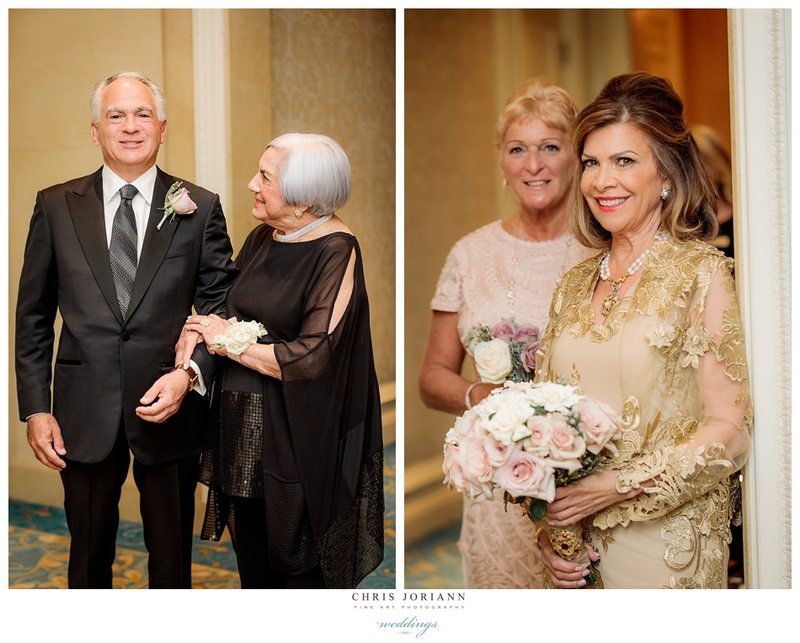 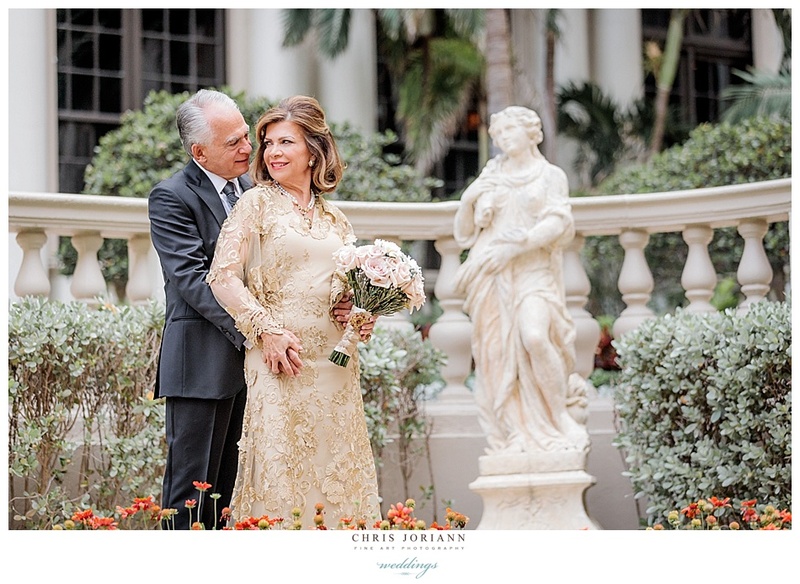 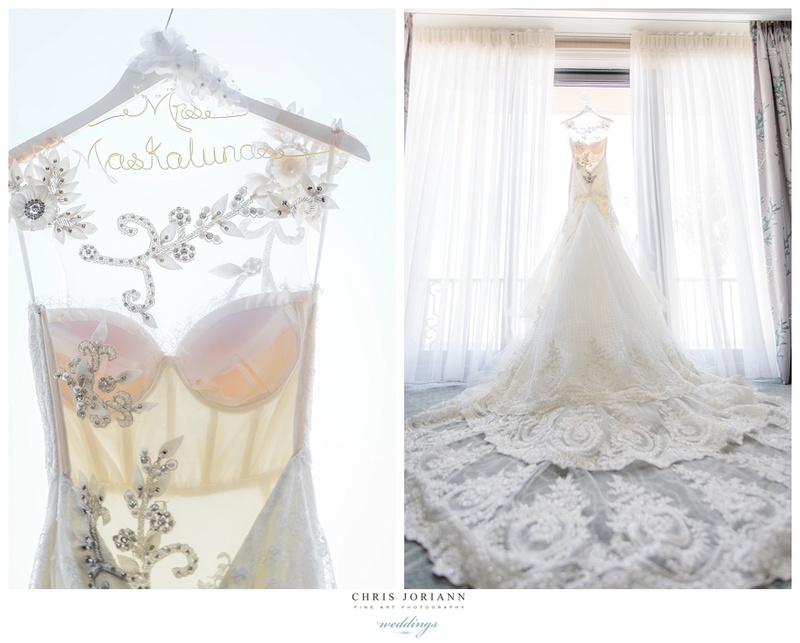 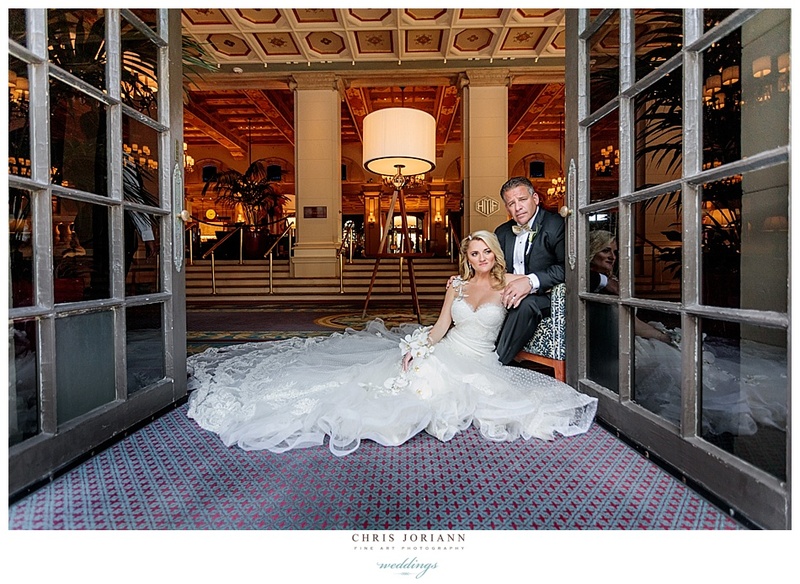 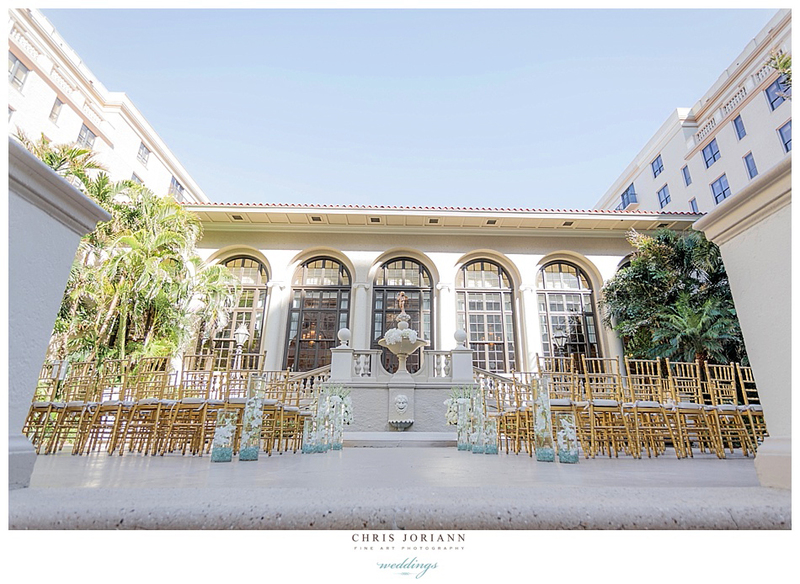 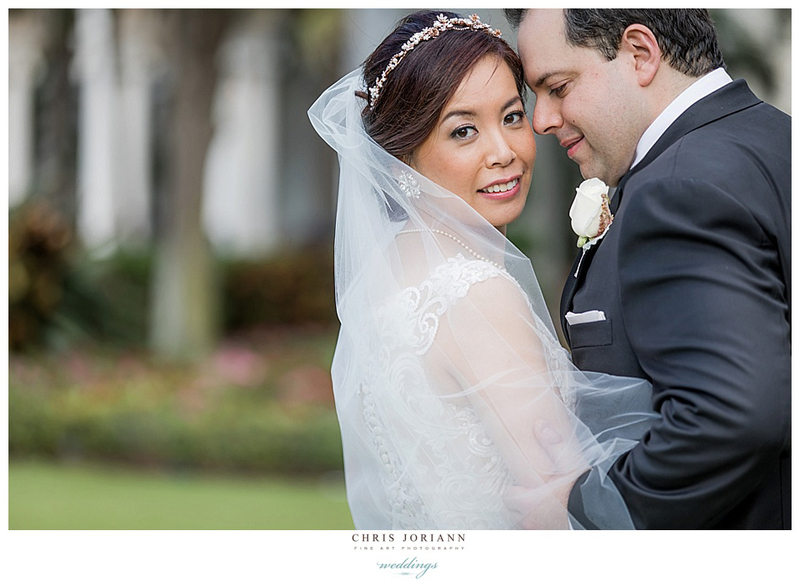 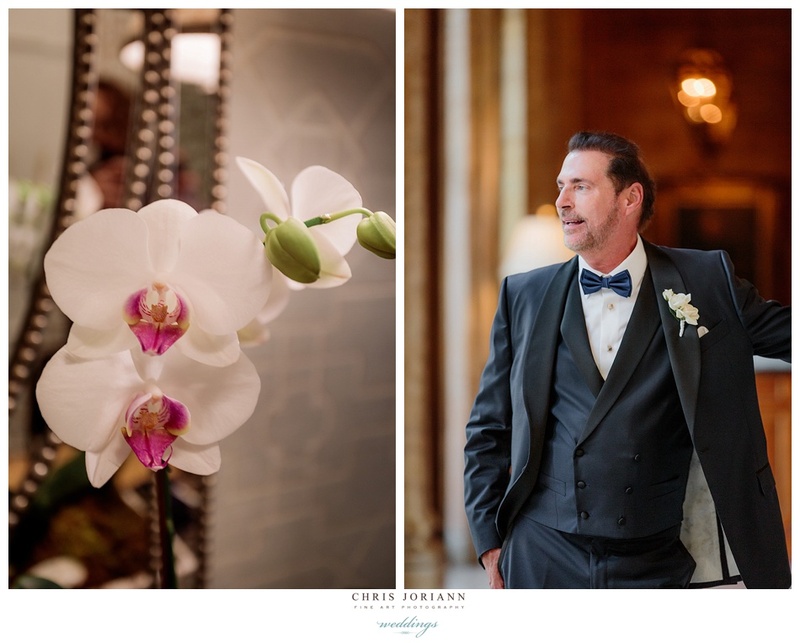 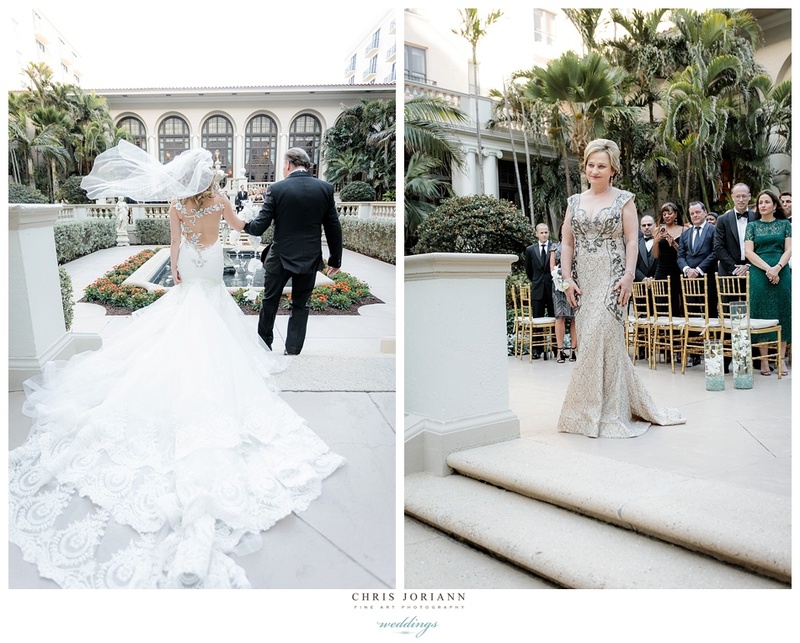 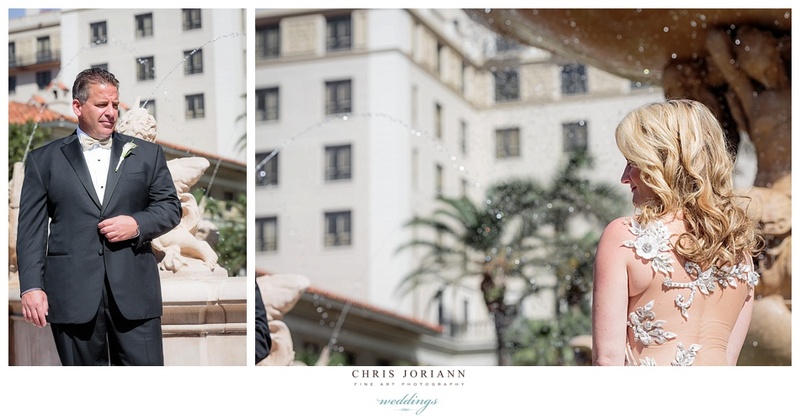 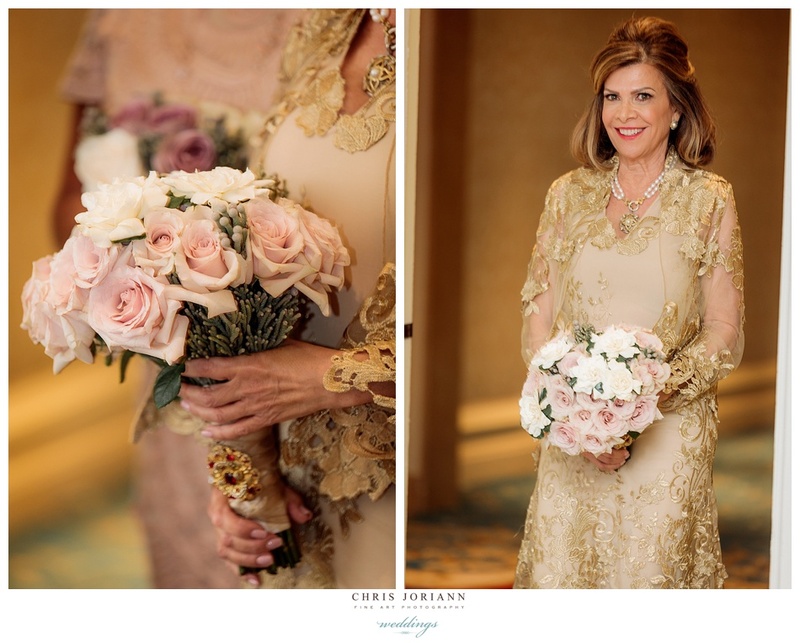 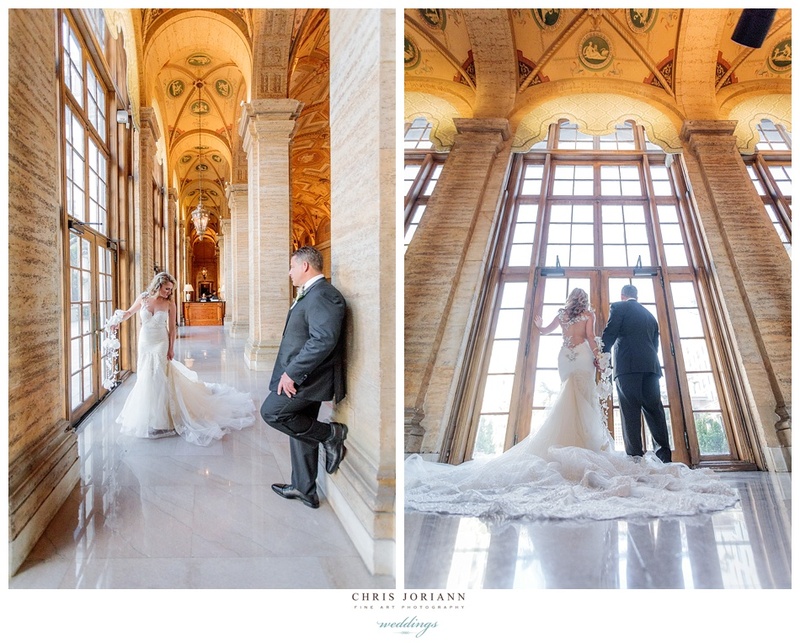 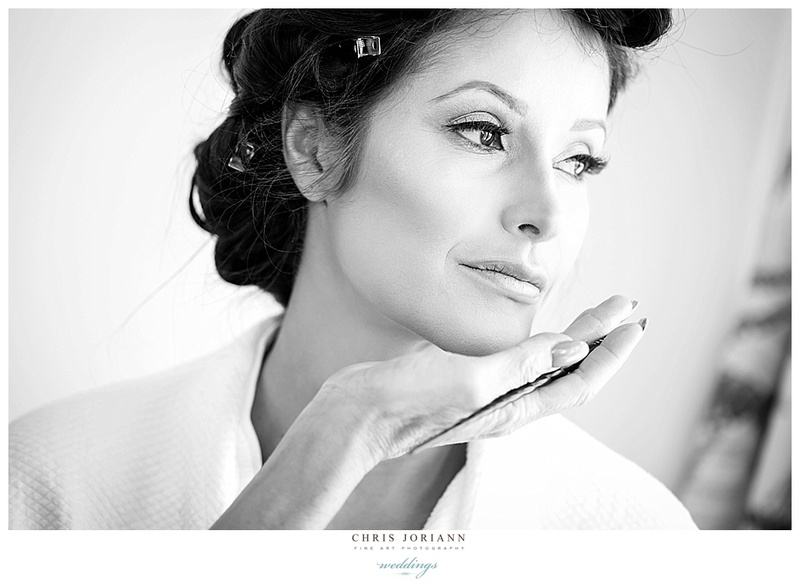 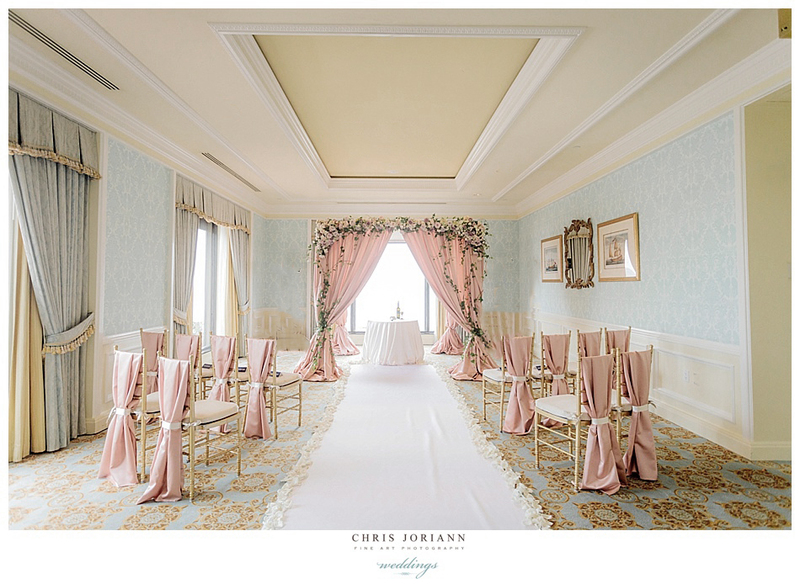 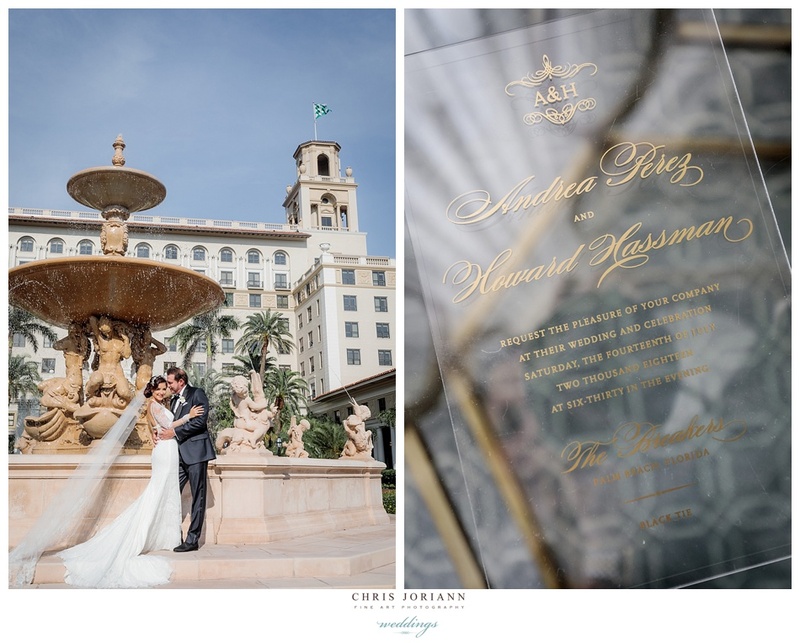 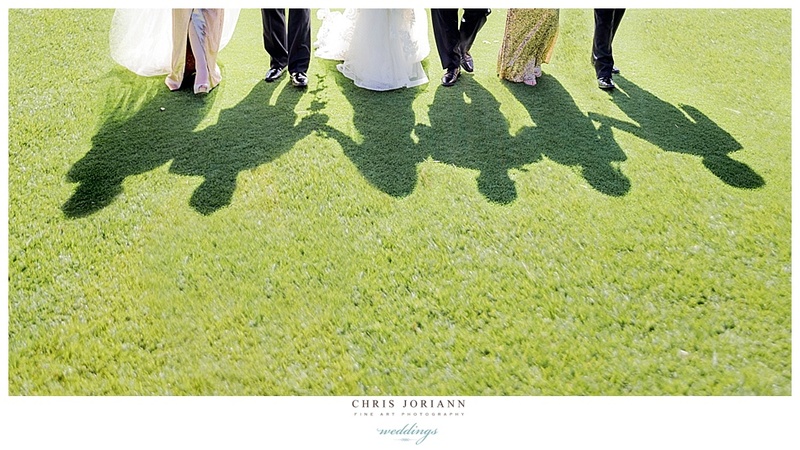 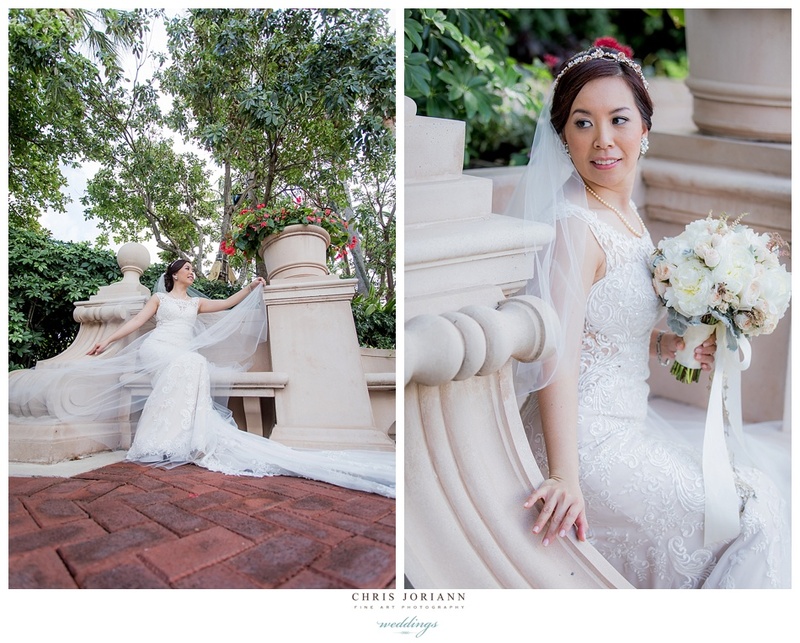 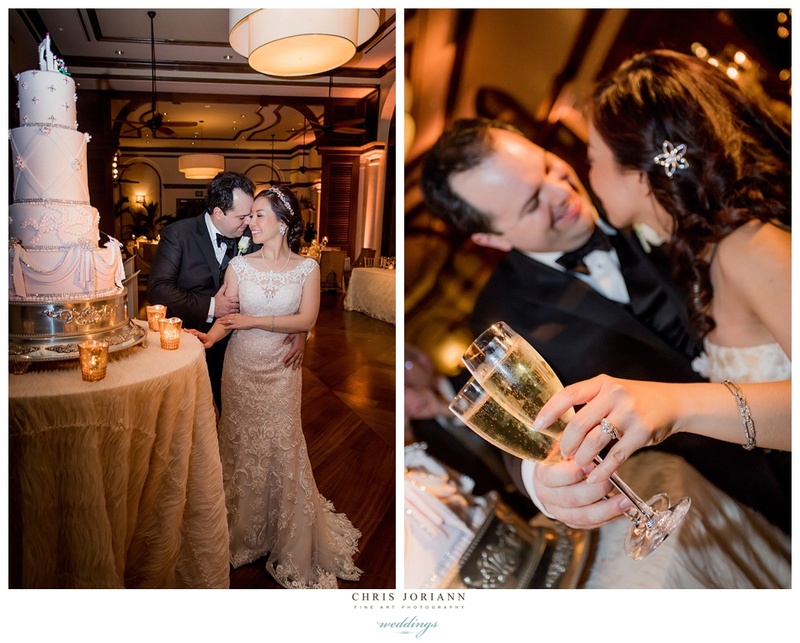 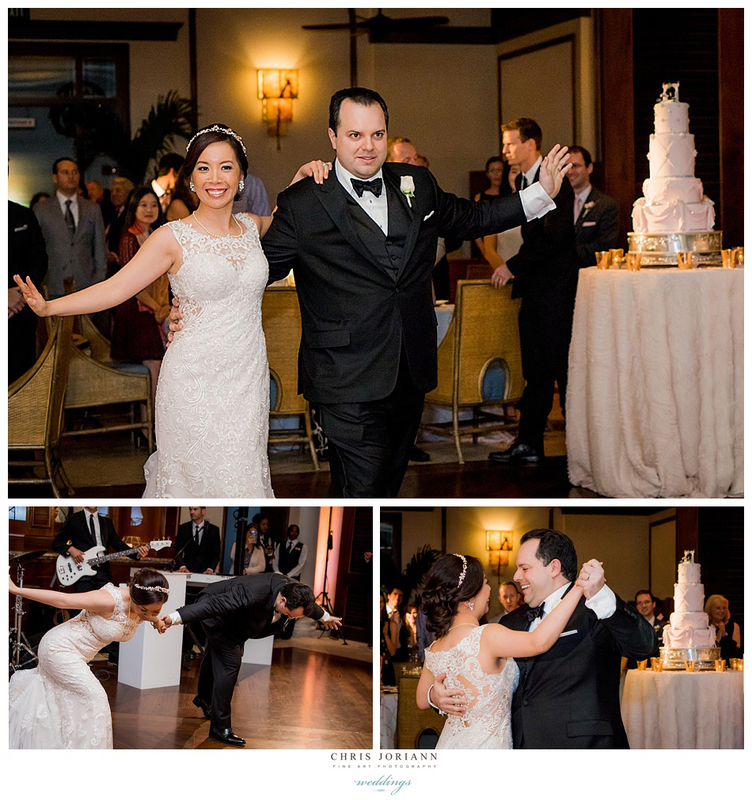 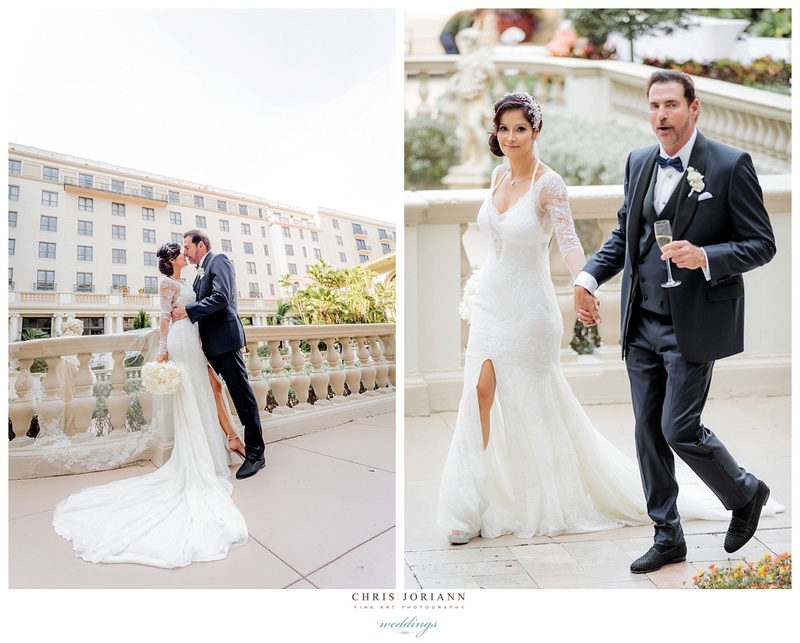 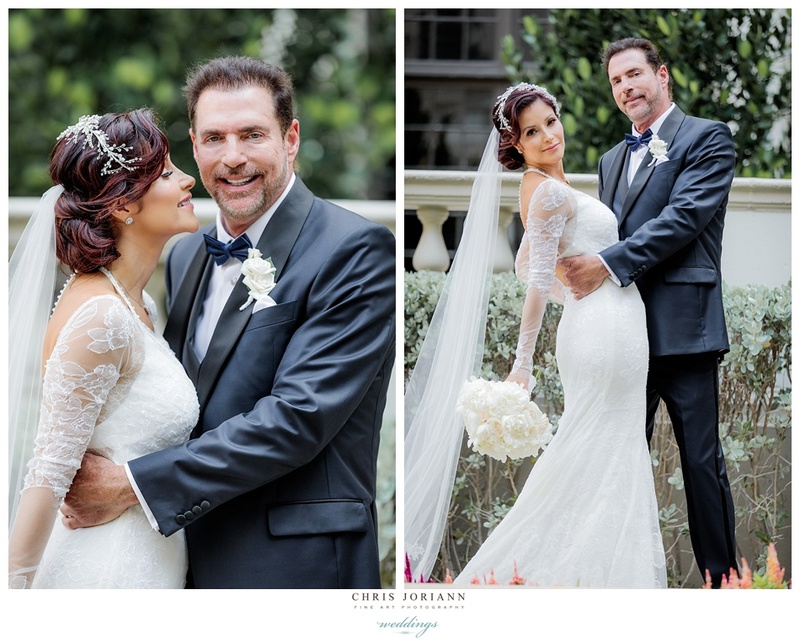 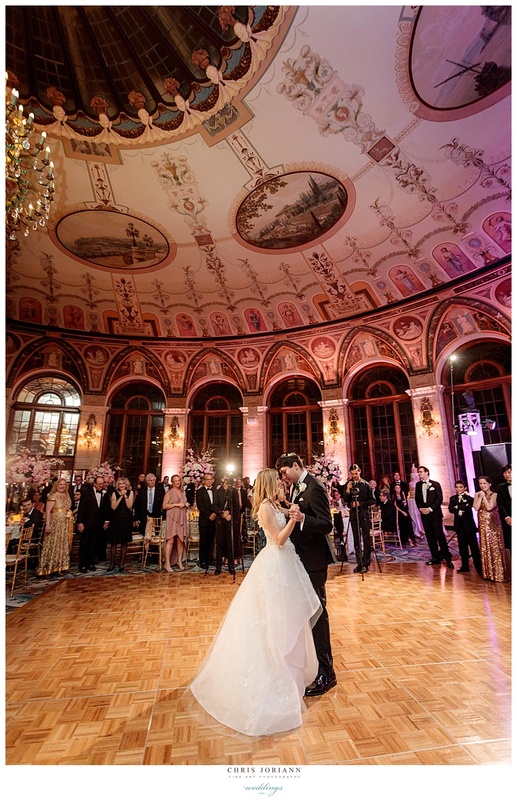 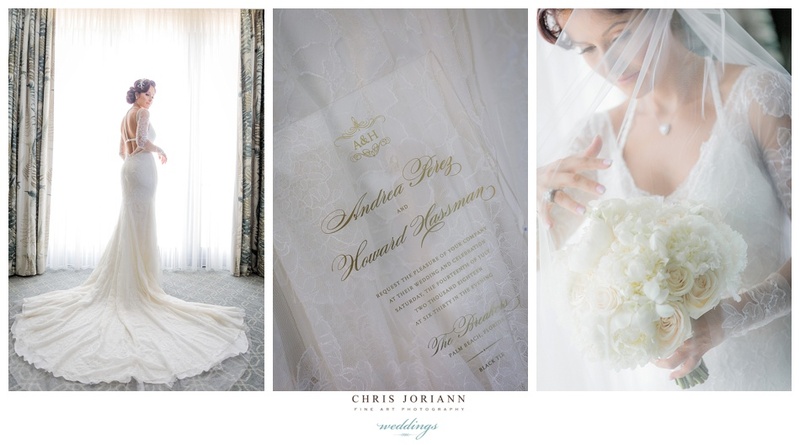 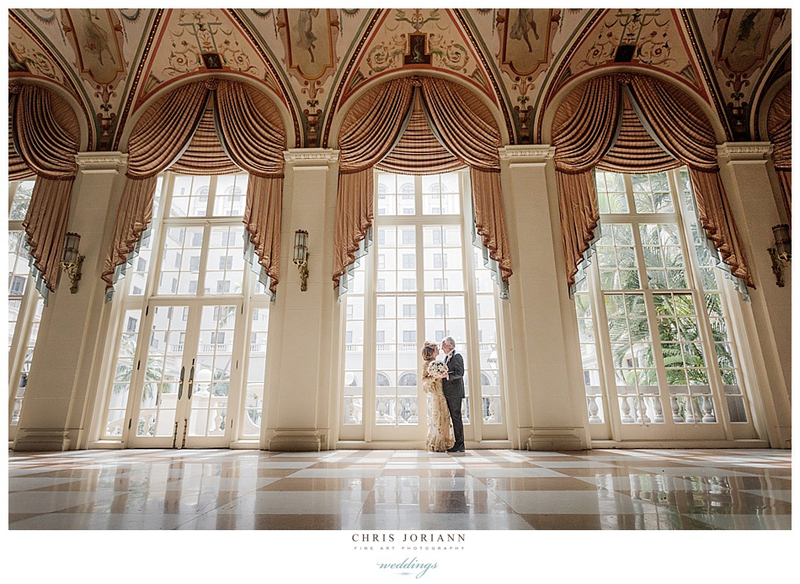 Melissa + Jared’s wedding took place at The Breakers Palm Beach. 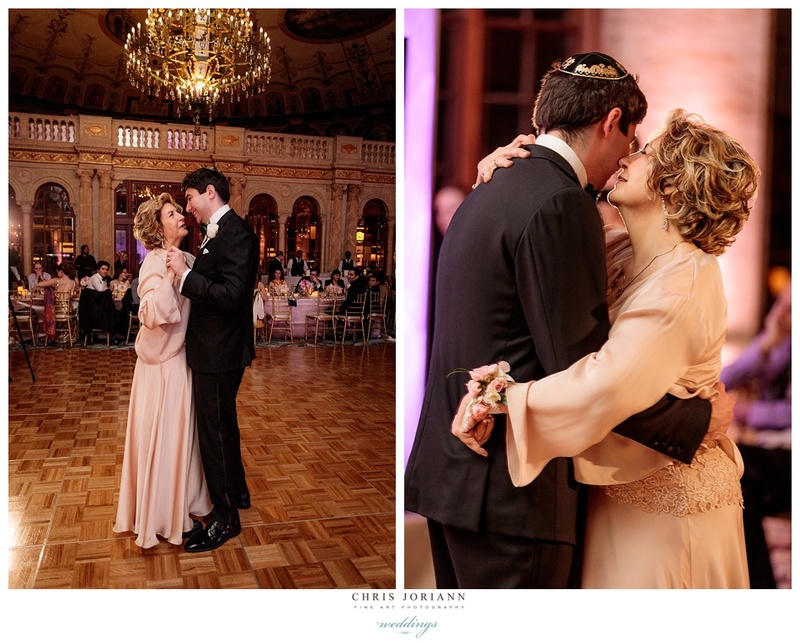 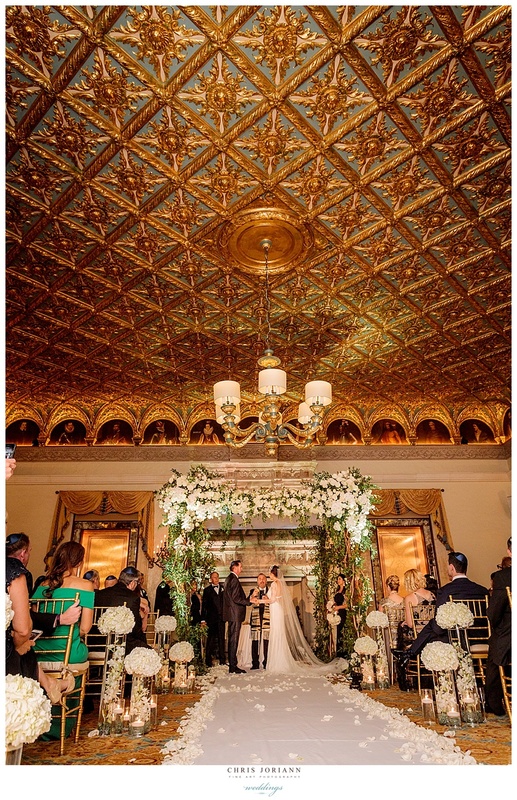 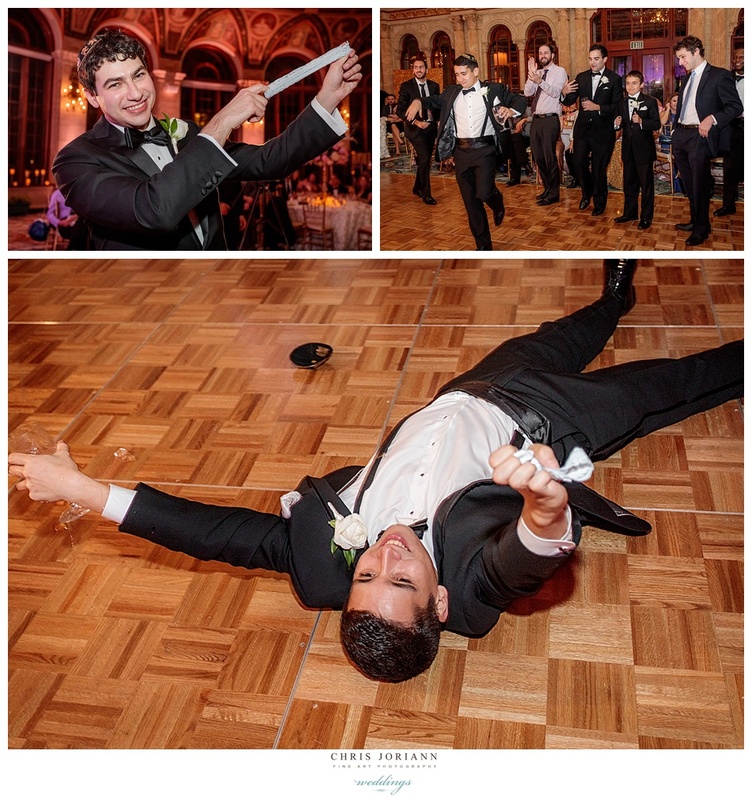 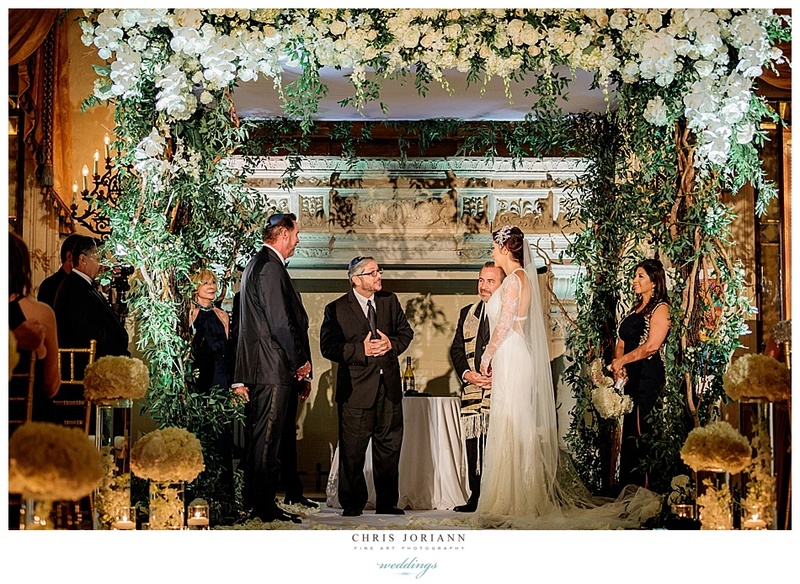 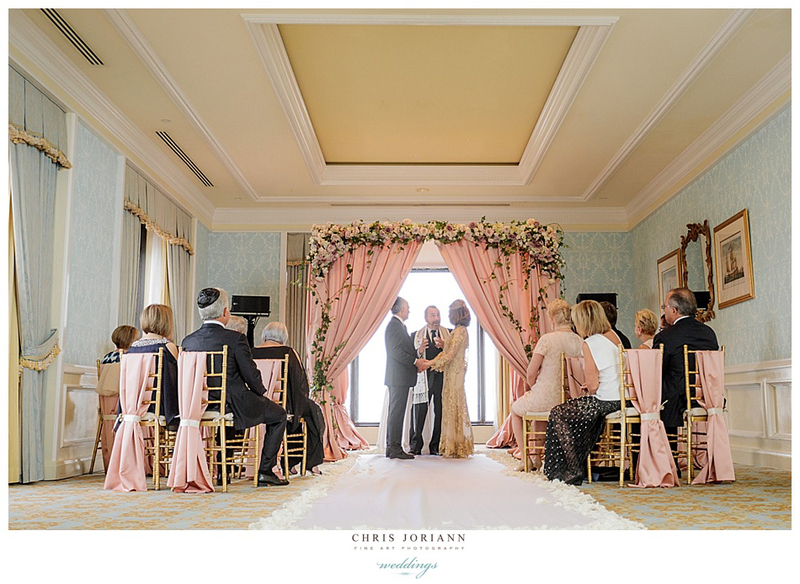 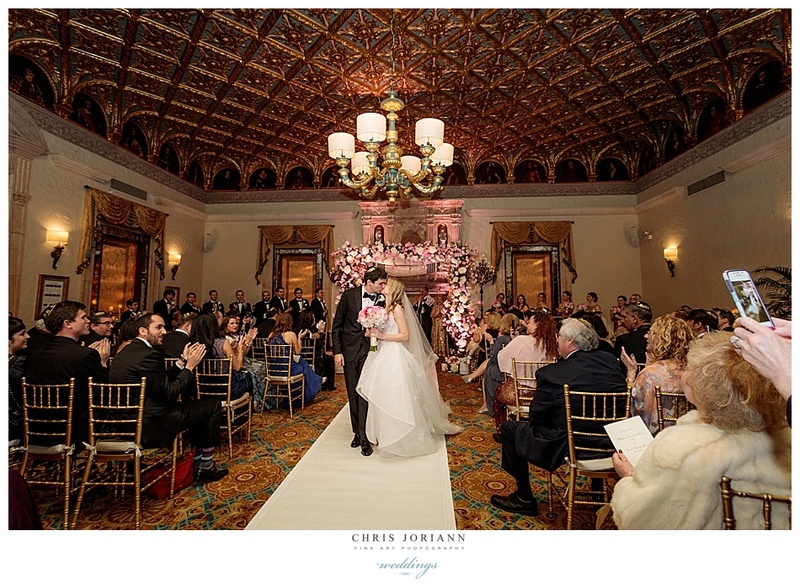 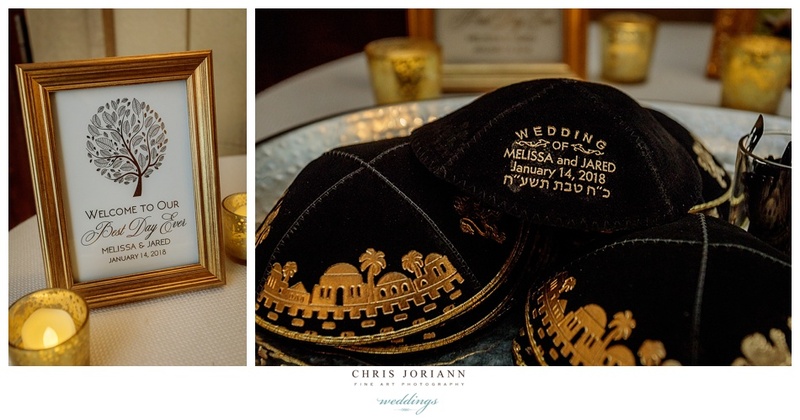 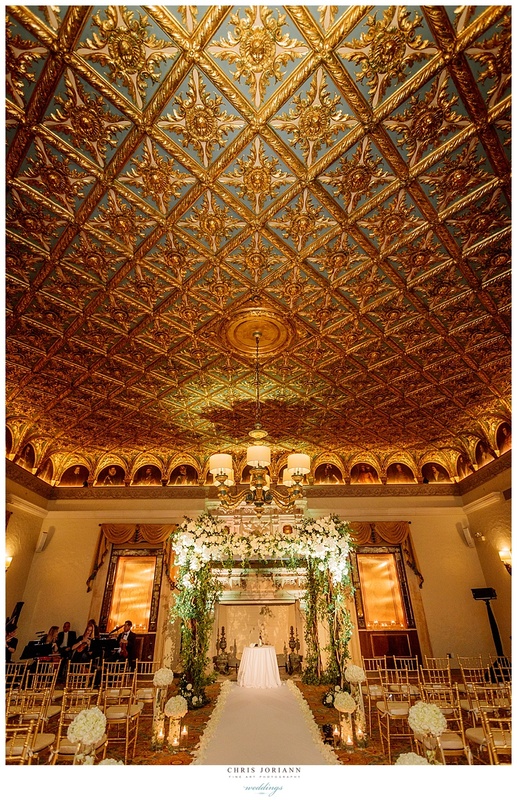 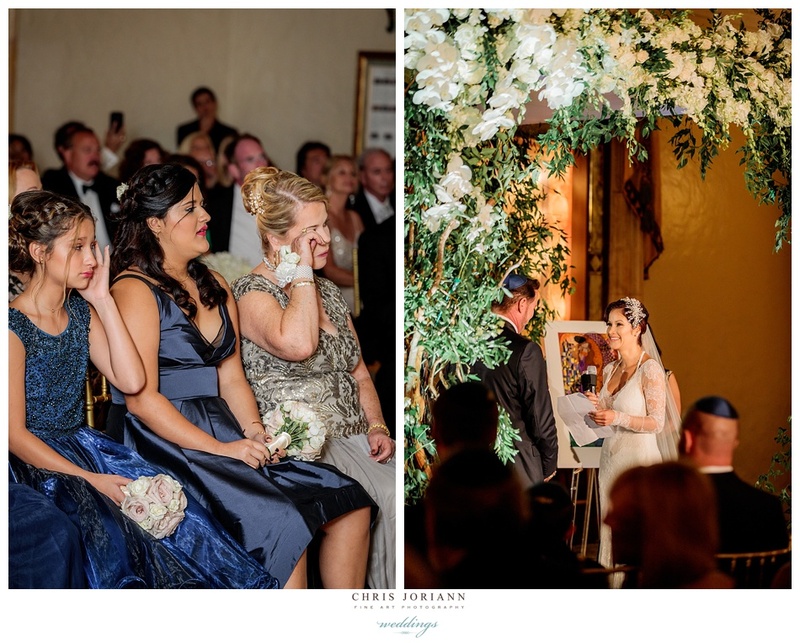 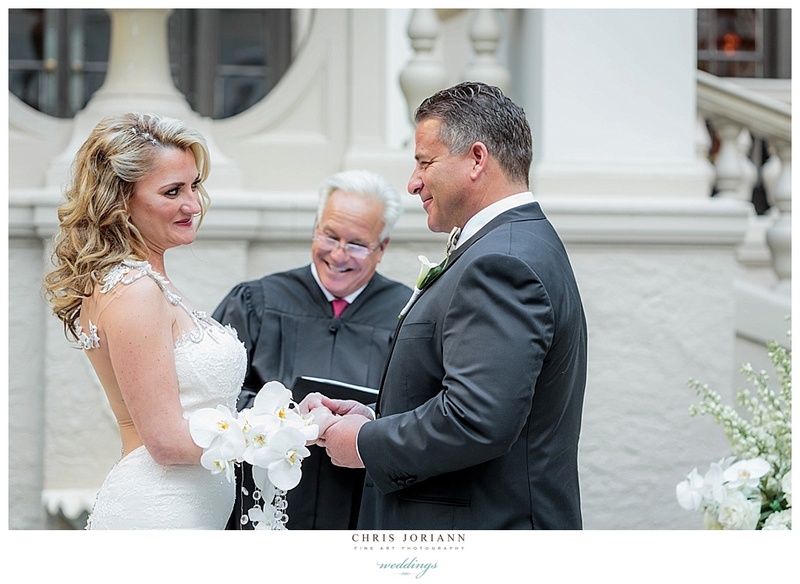 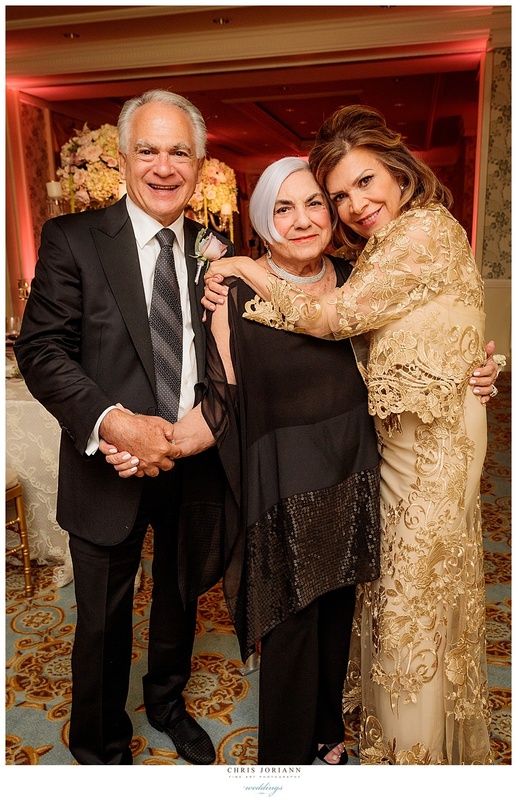 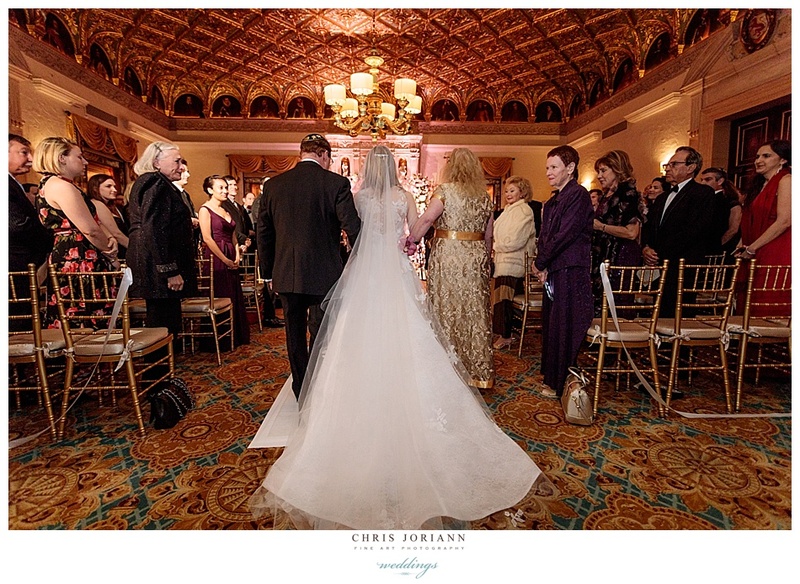 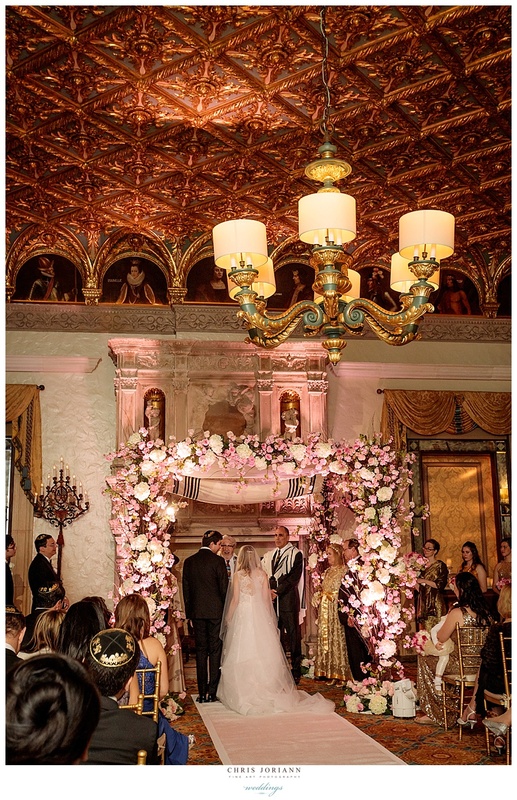 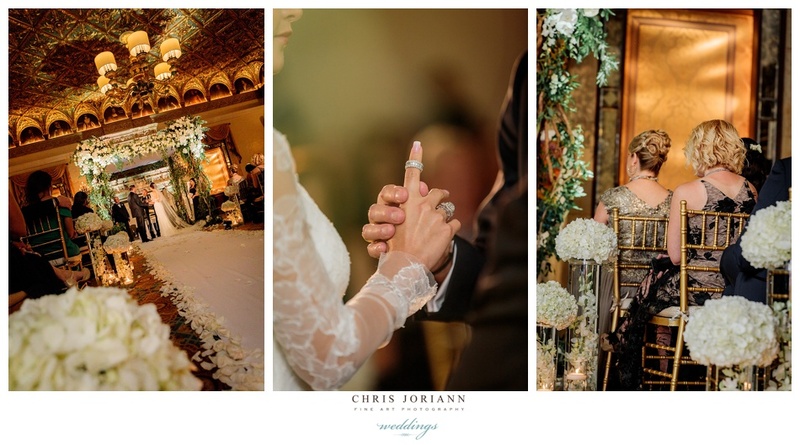 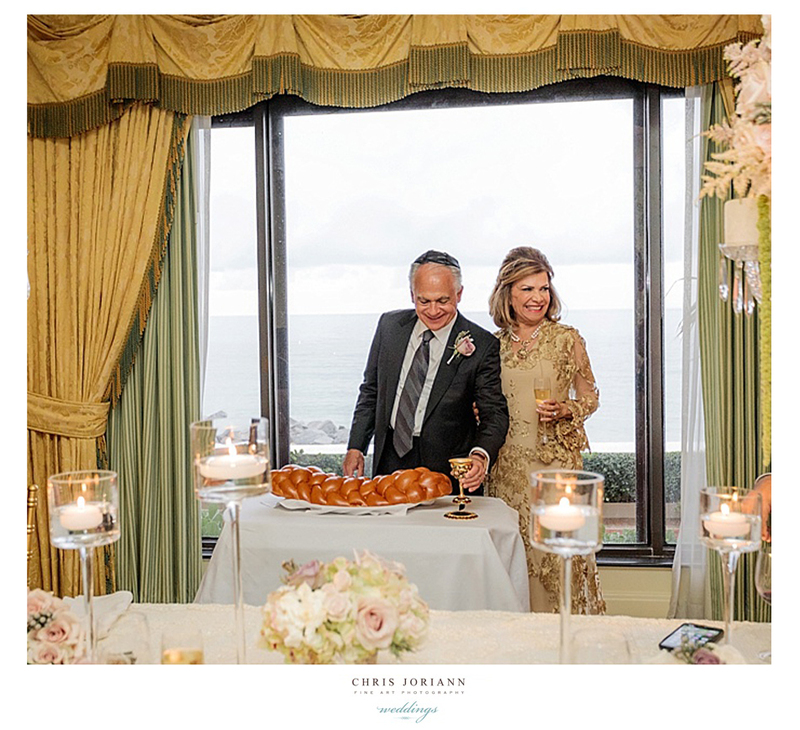 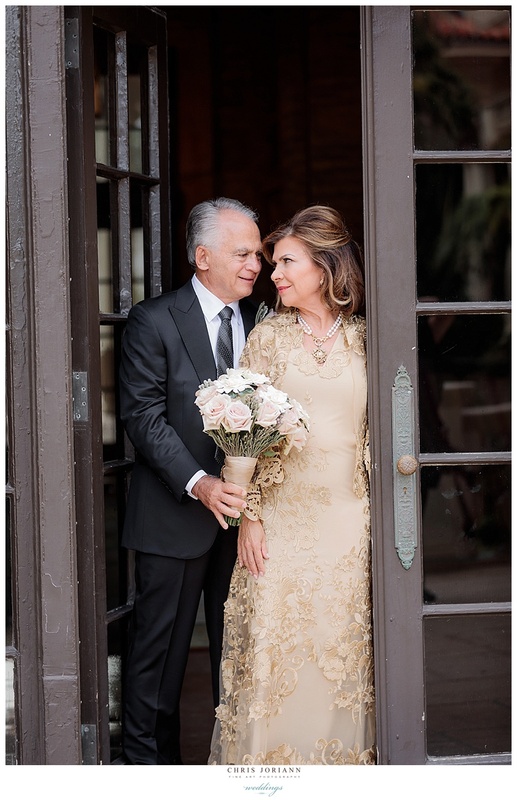 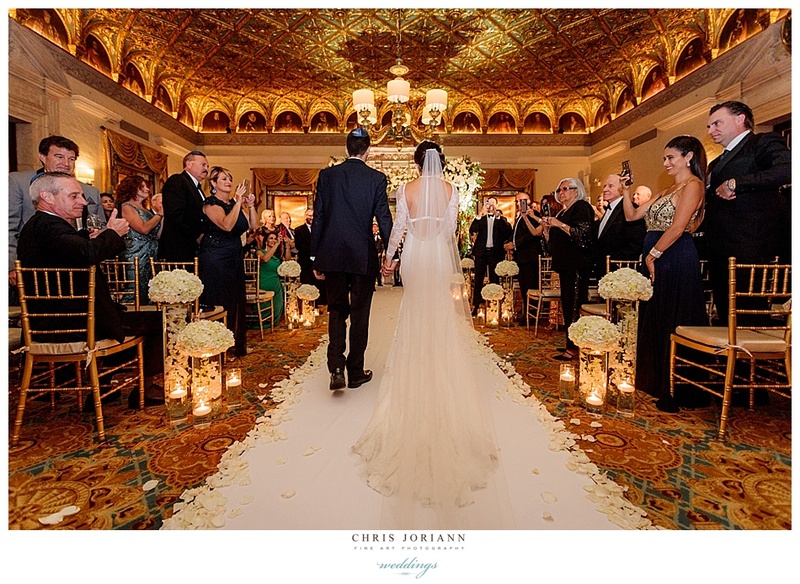 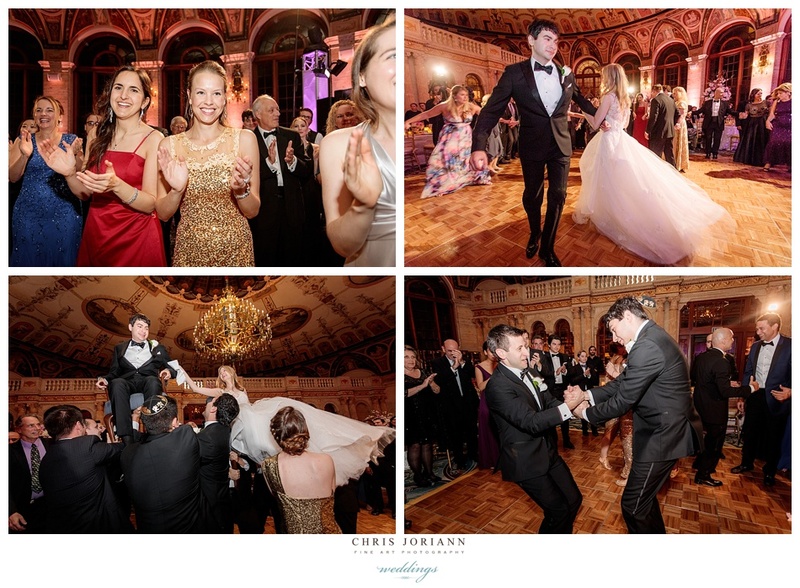 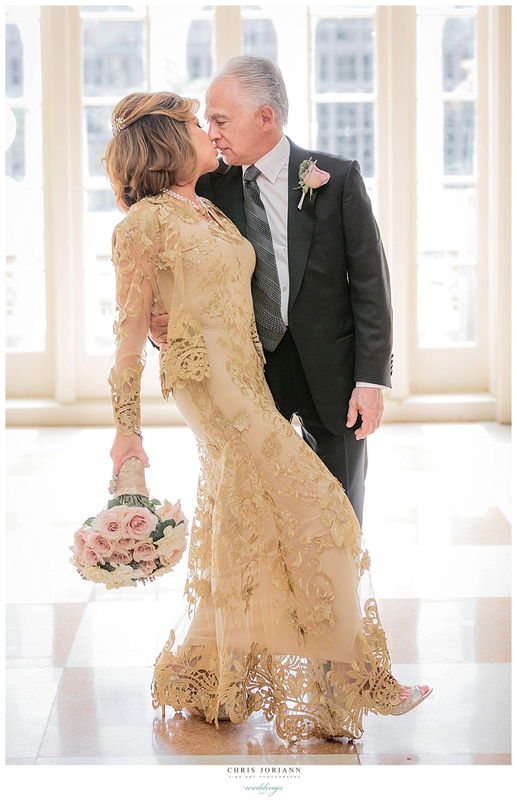 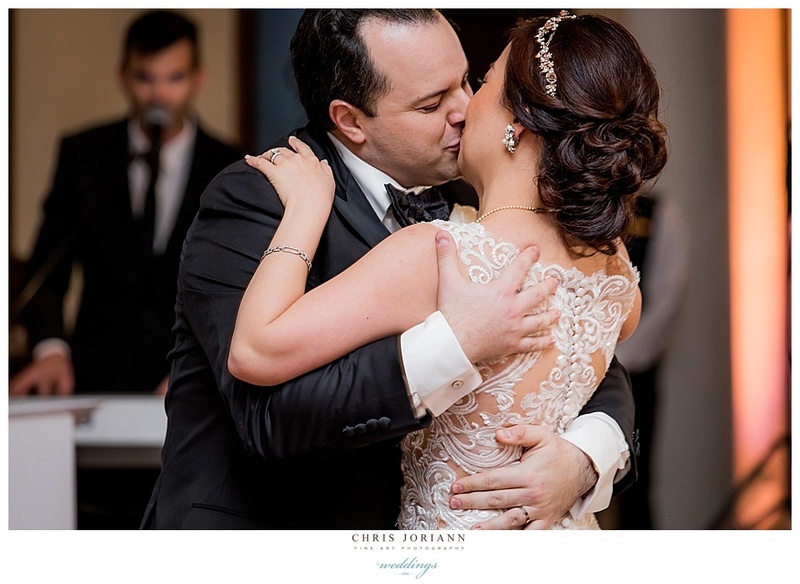 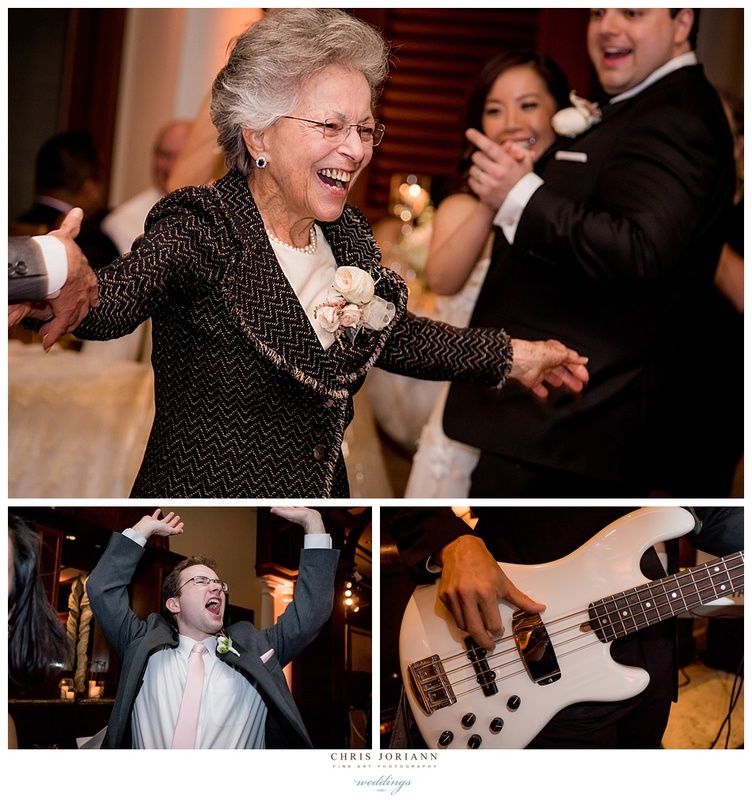 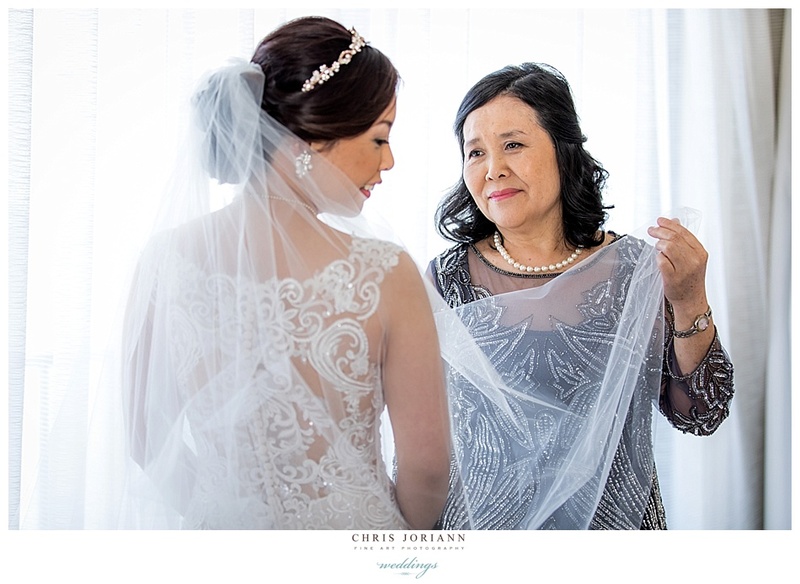 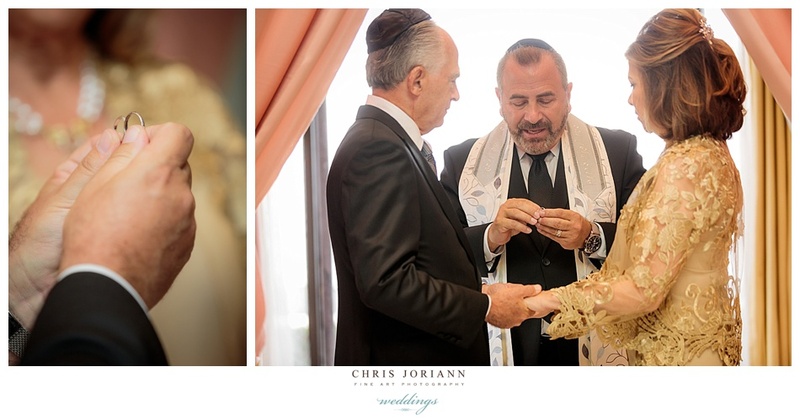 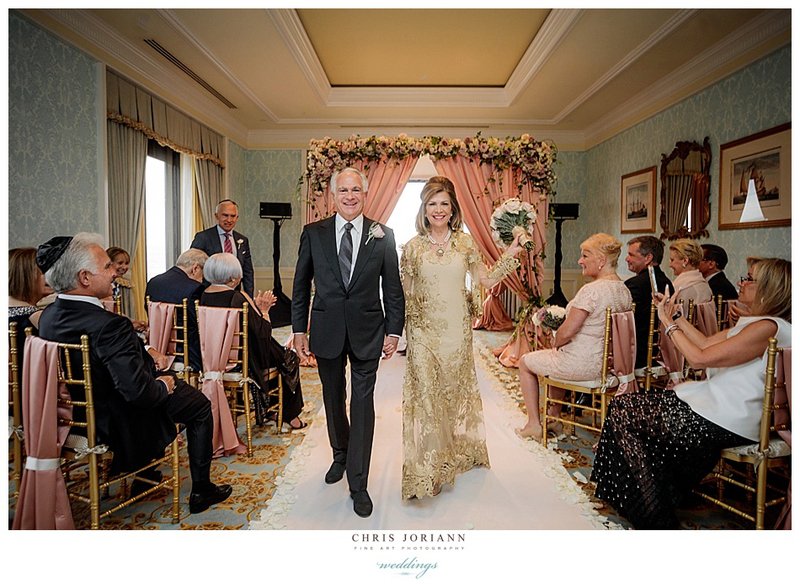 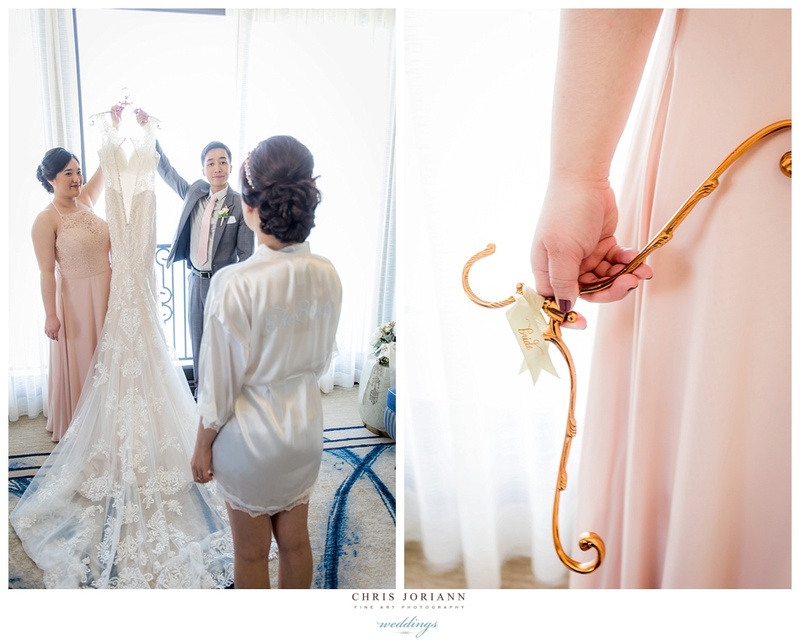 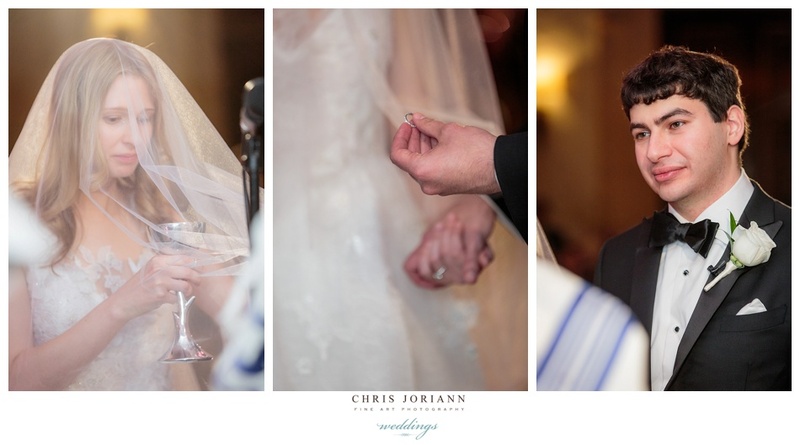 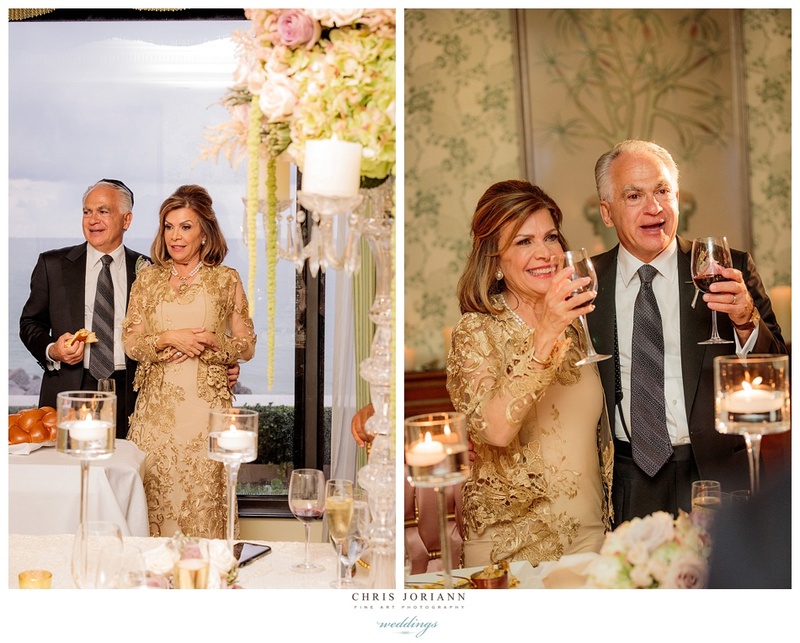 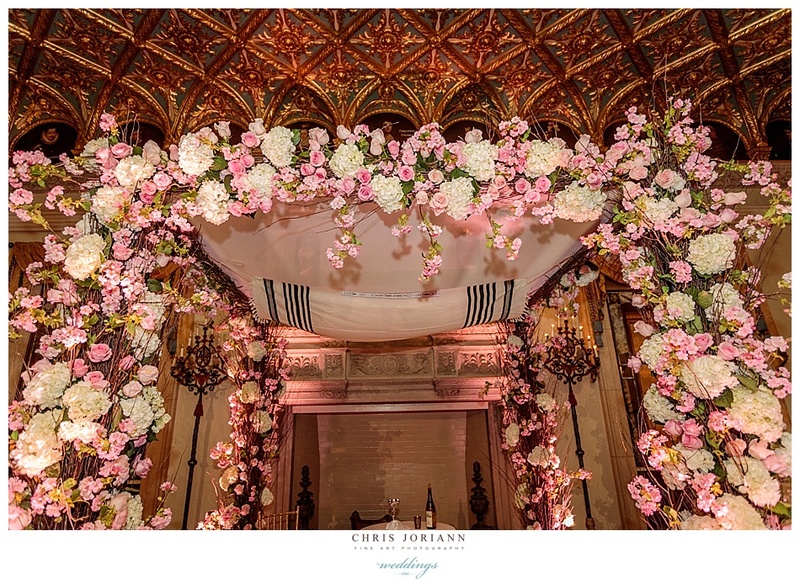 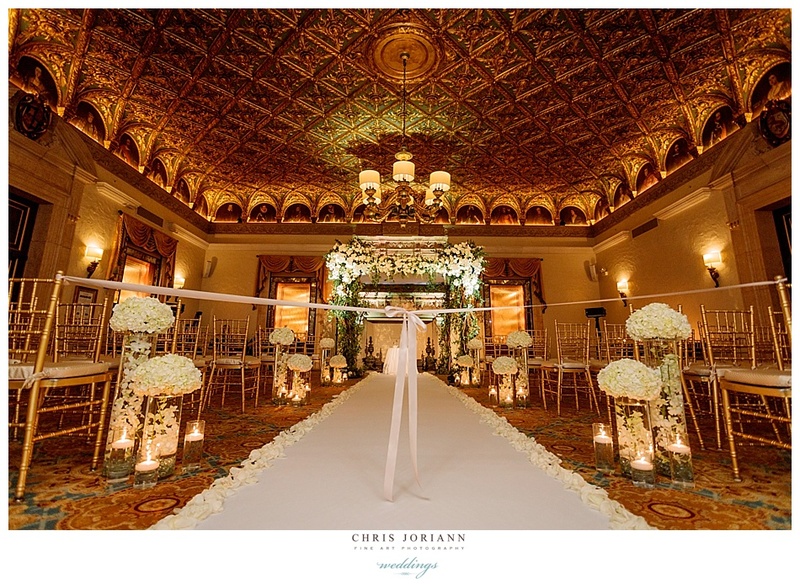 The couple exchanged vows beneath the chuppah in the historic Gold Room in a ceremony surrounded by family and friends. 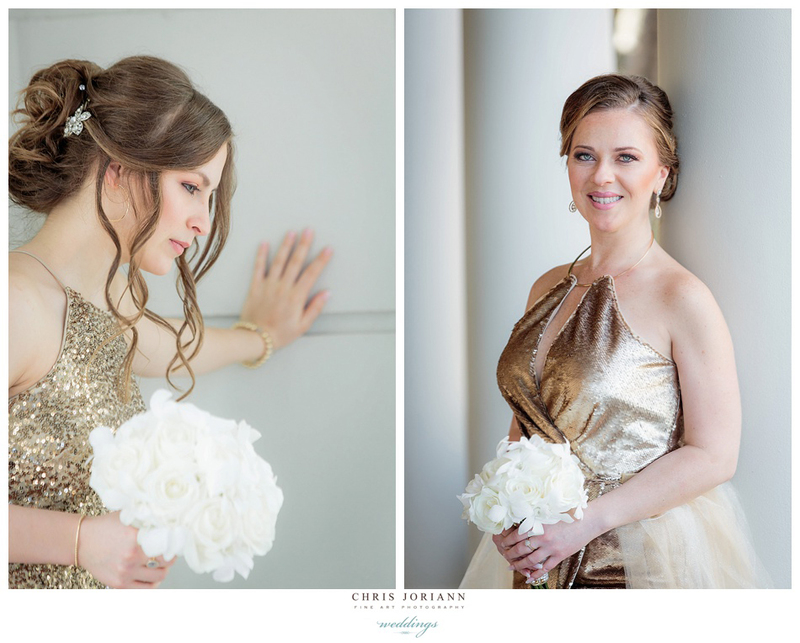 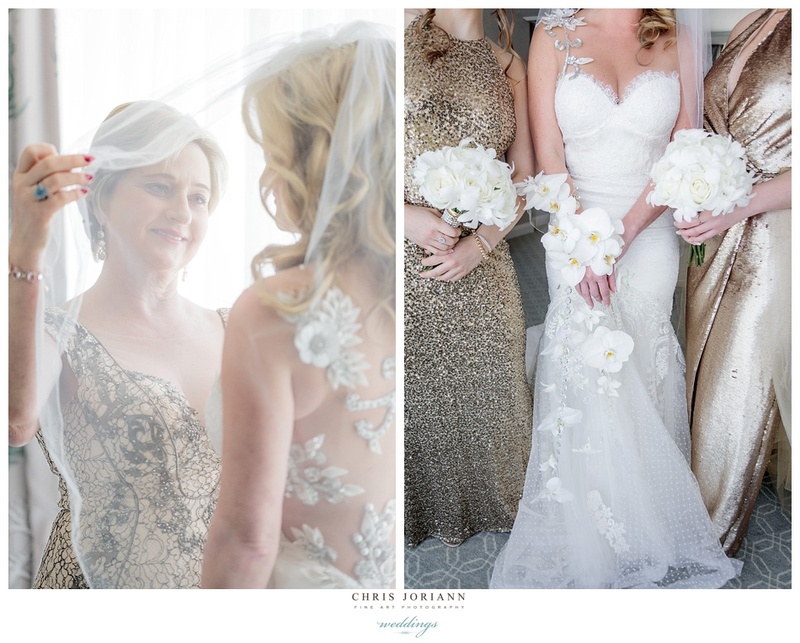 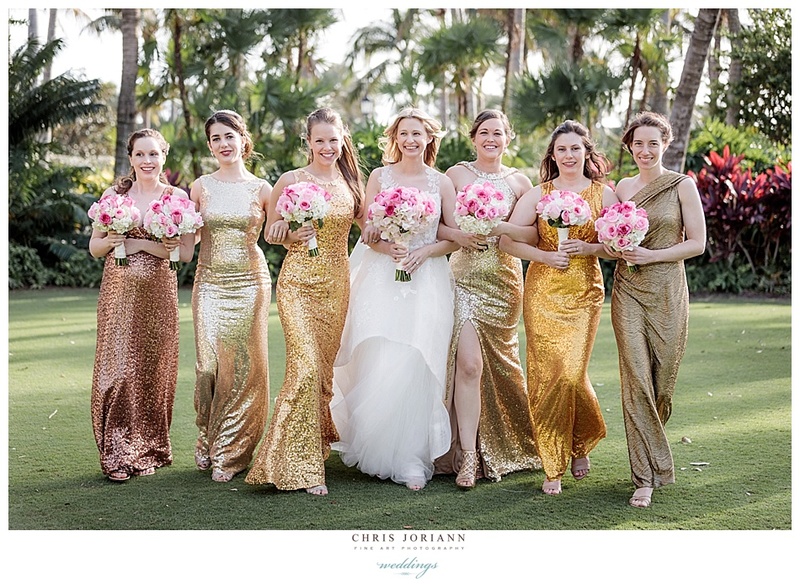 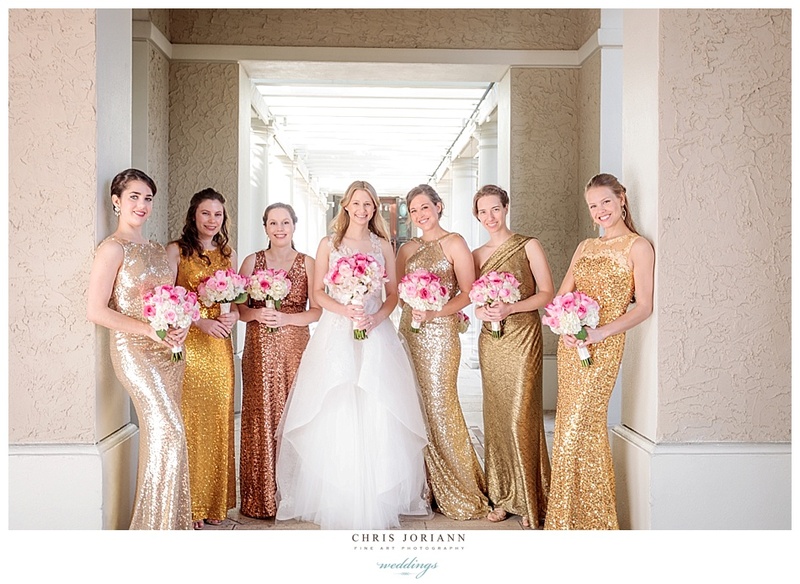 The bride floated down the aisle in a fabulous couture gown by Monique Lhullier, surrounded by bridemaids in various shades and styles of shimmering gold. 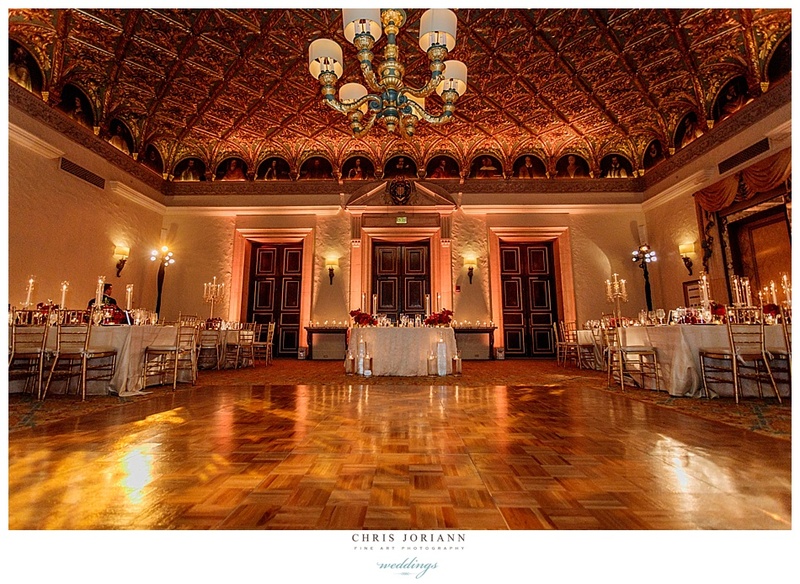 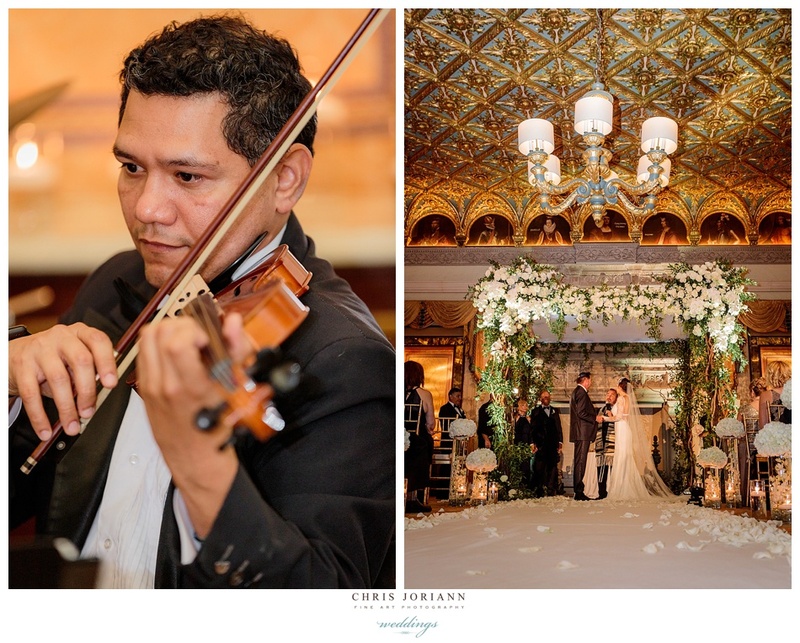 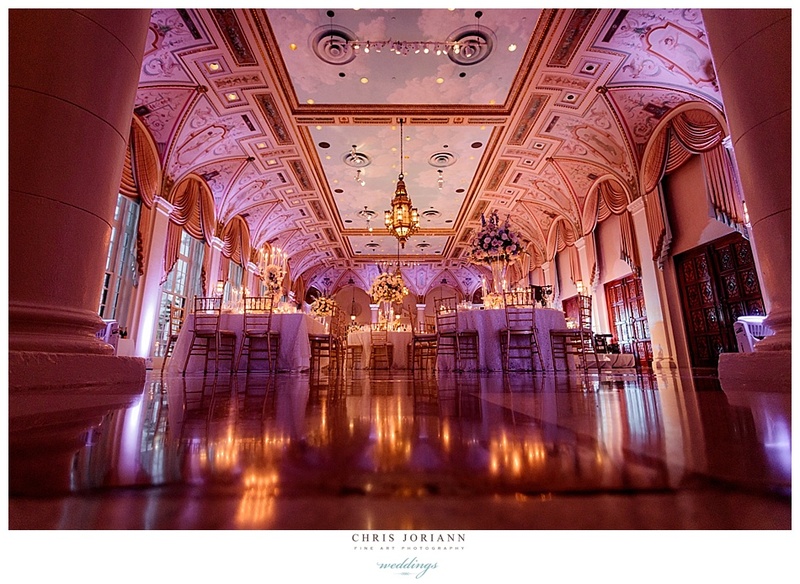 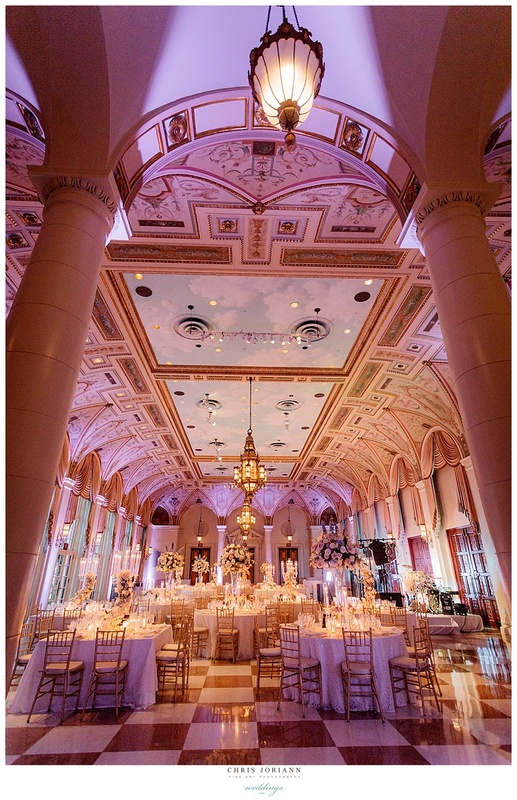 The epic Circle Room, was host to a beautiful reception managed by Sascha LaGreca for The Breakers. 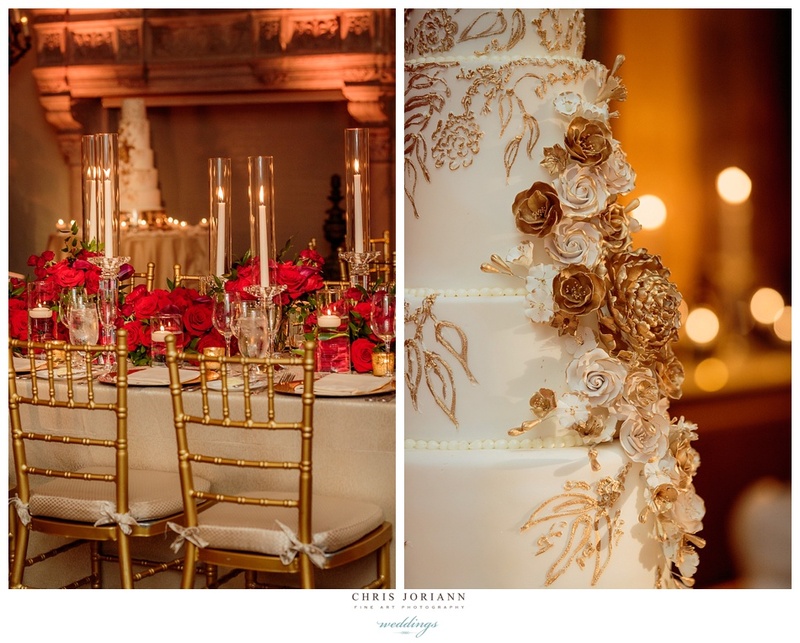 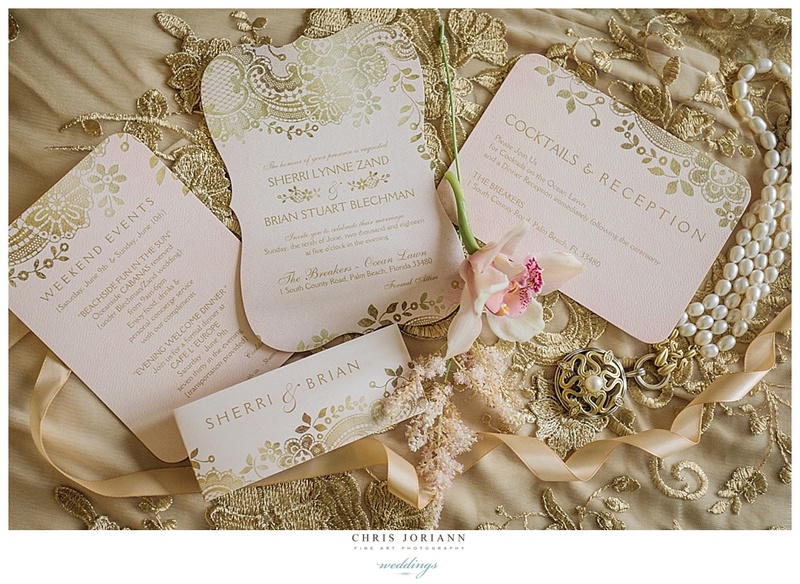 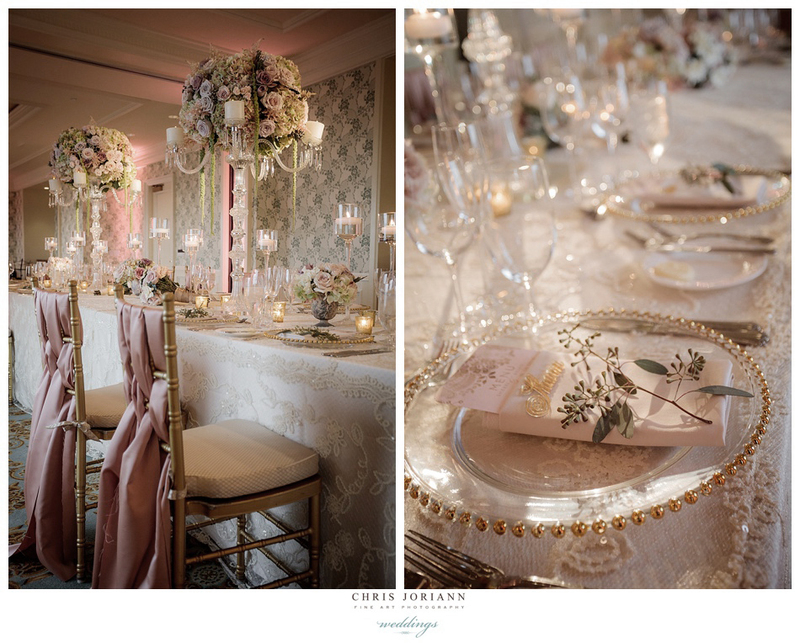 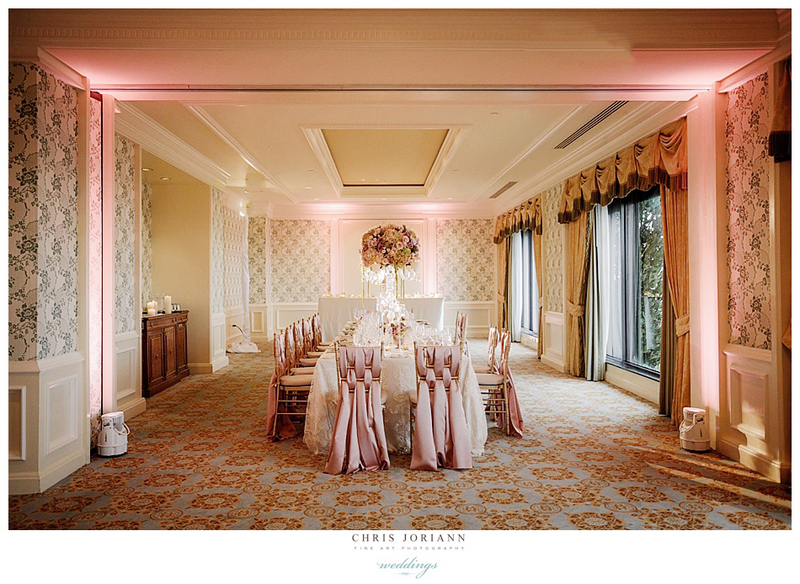 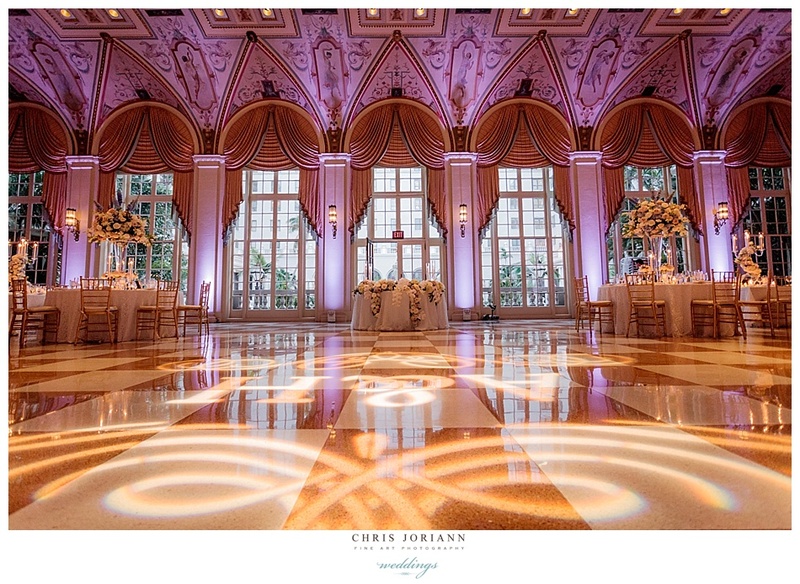 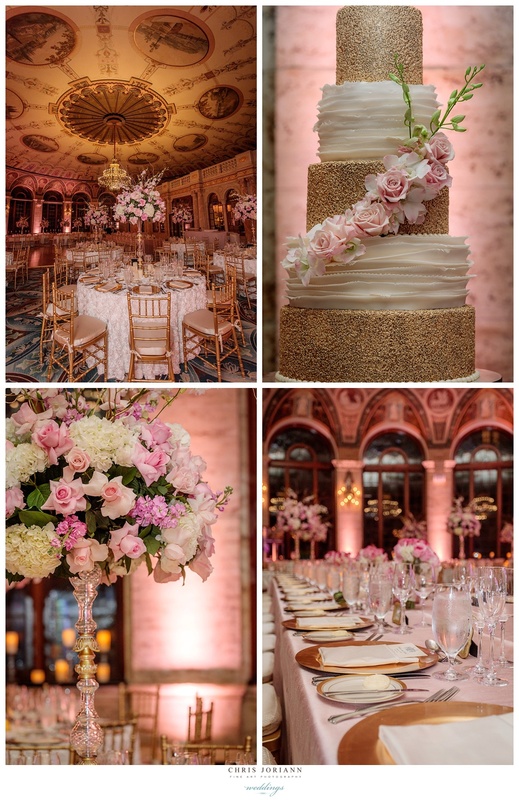 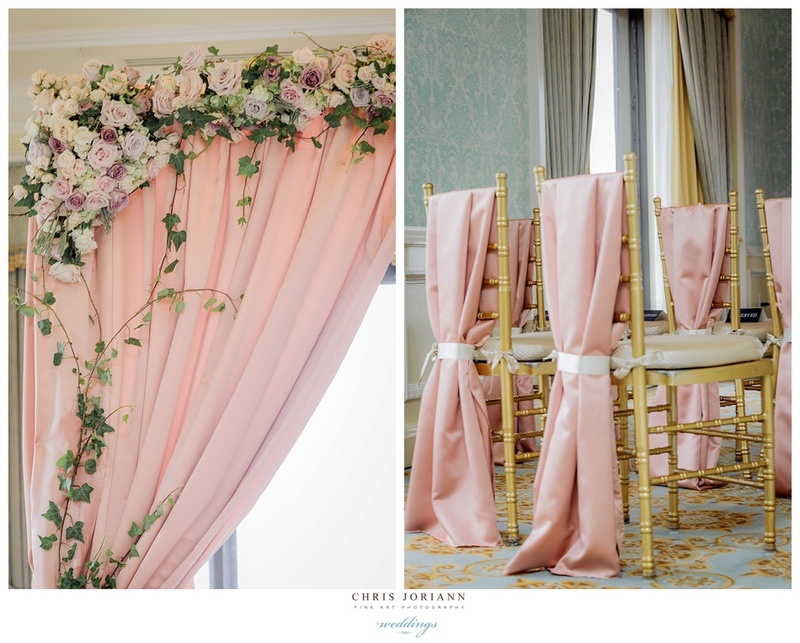 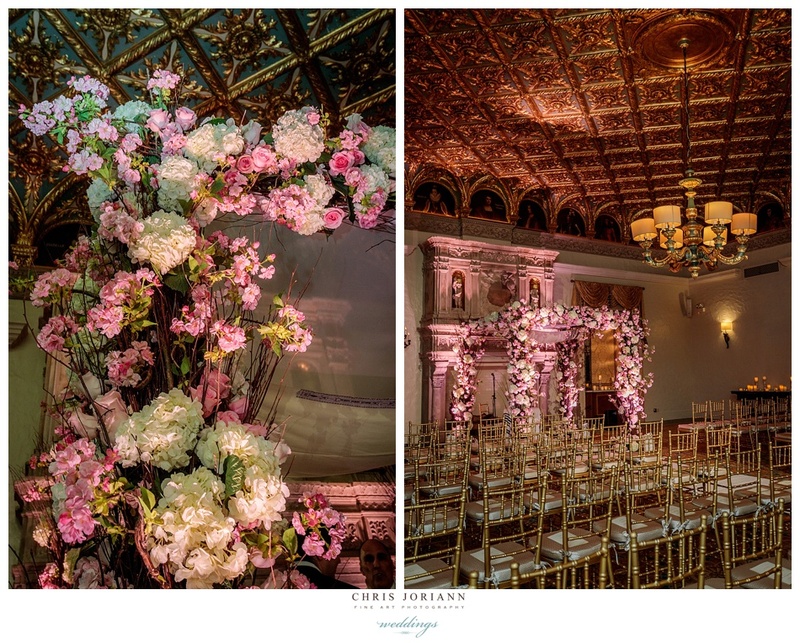 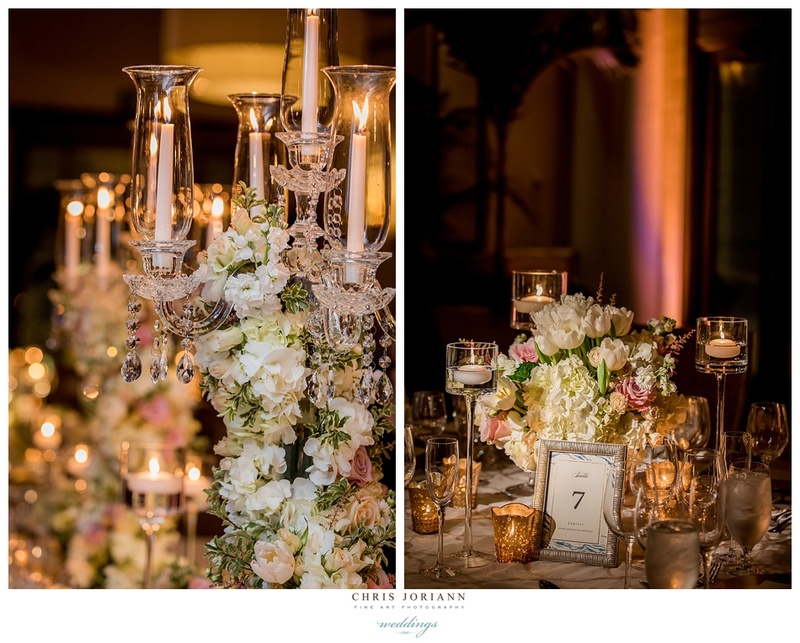 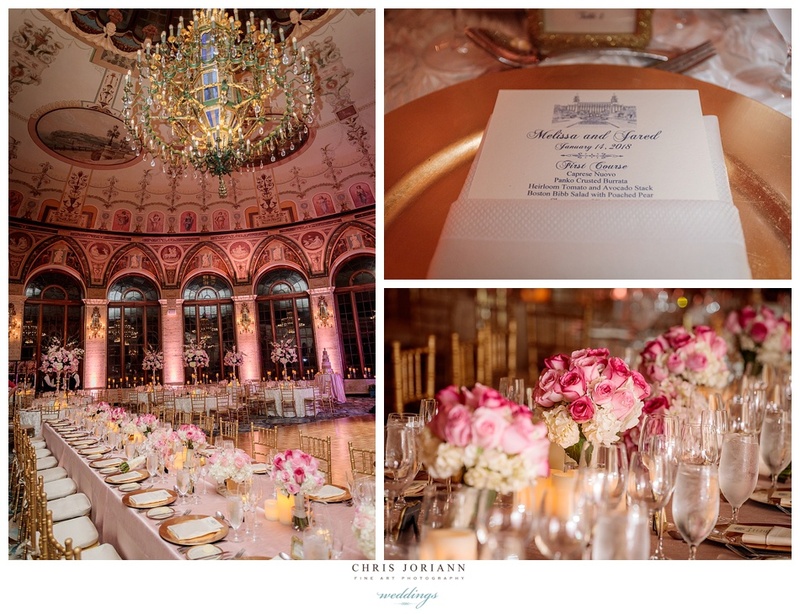 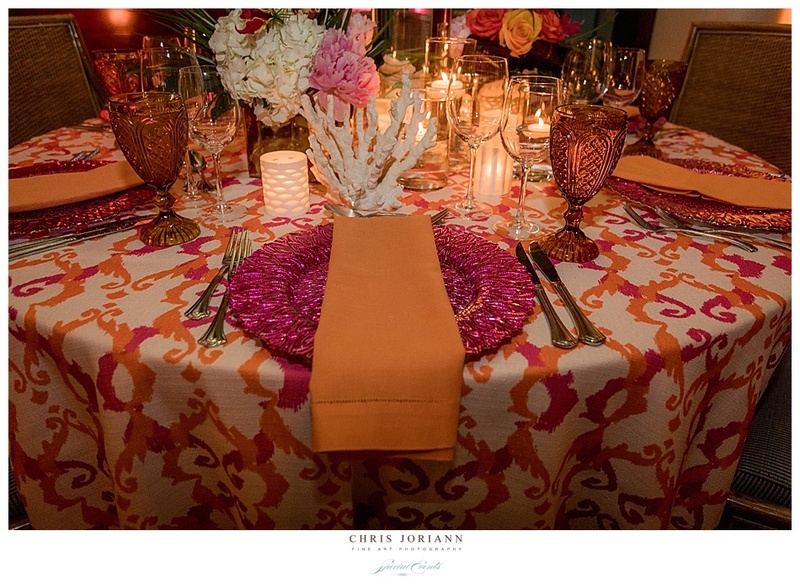 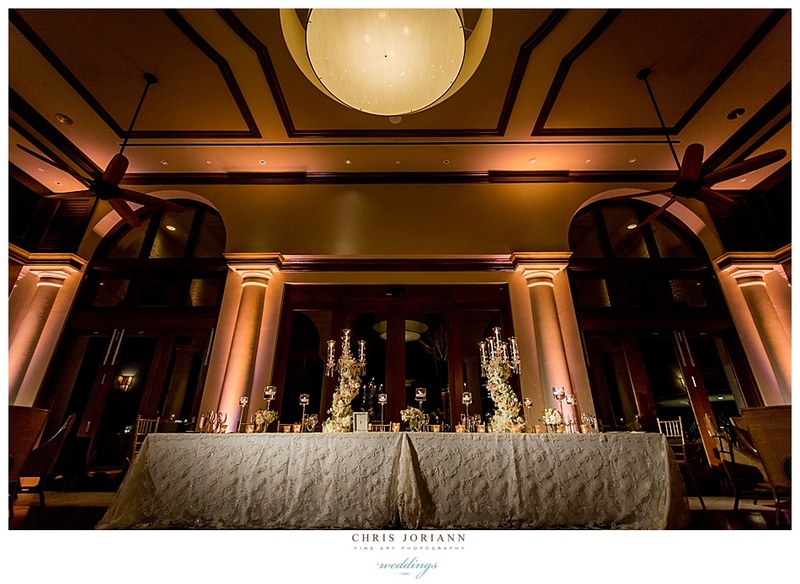 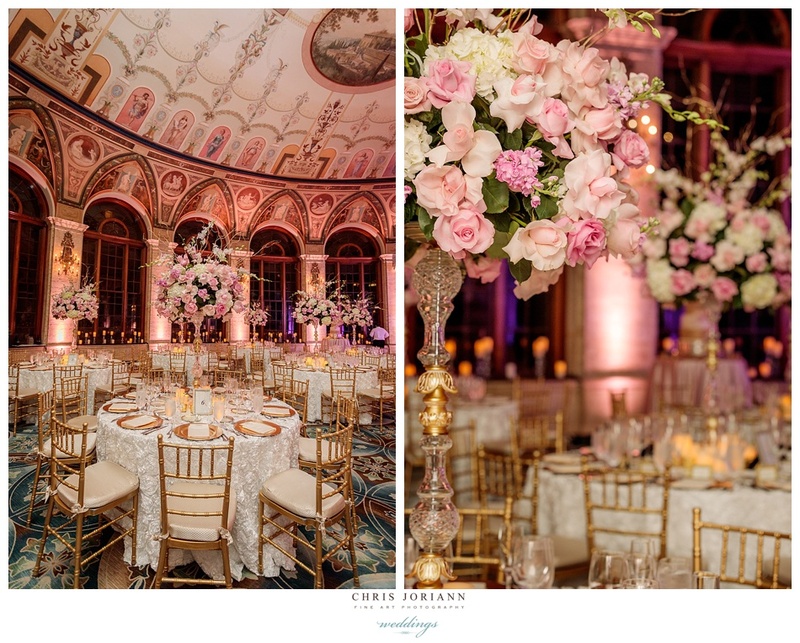 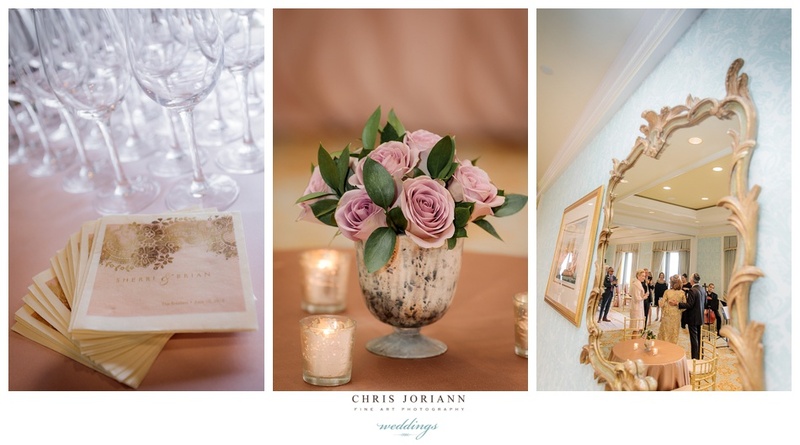 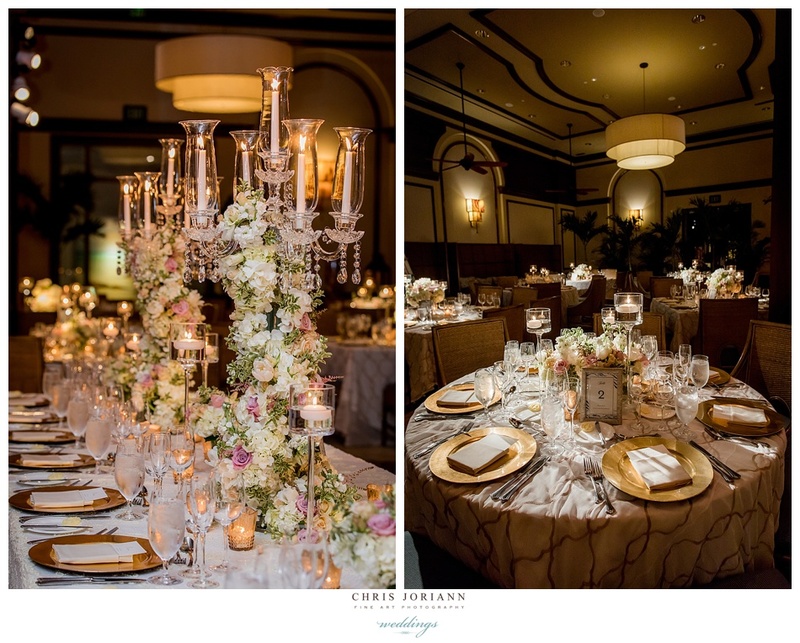 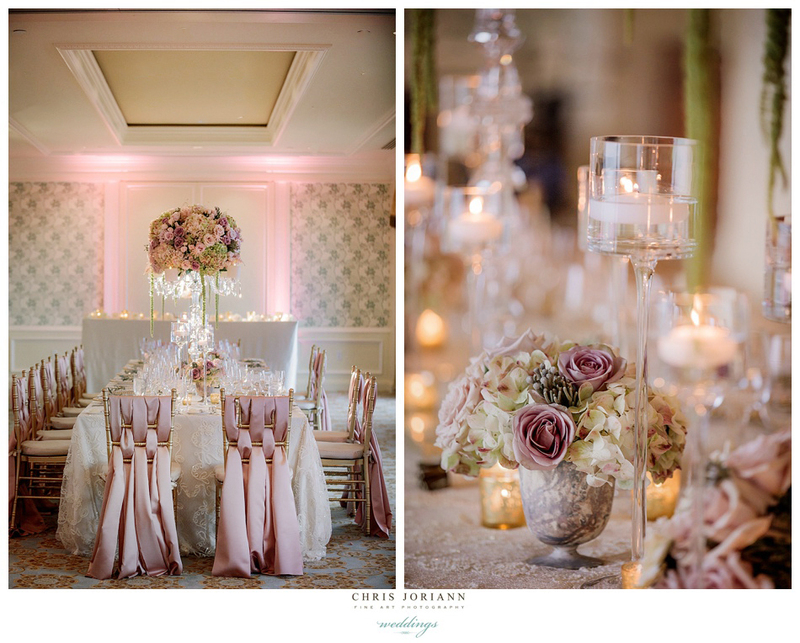 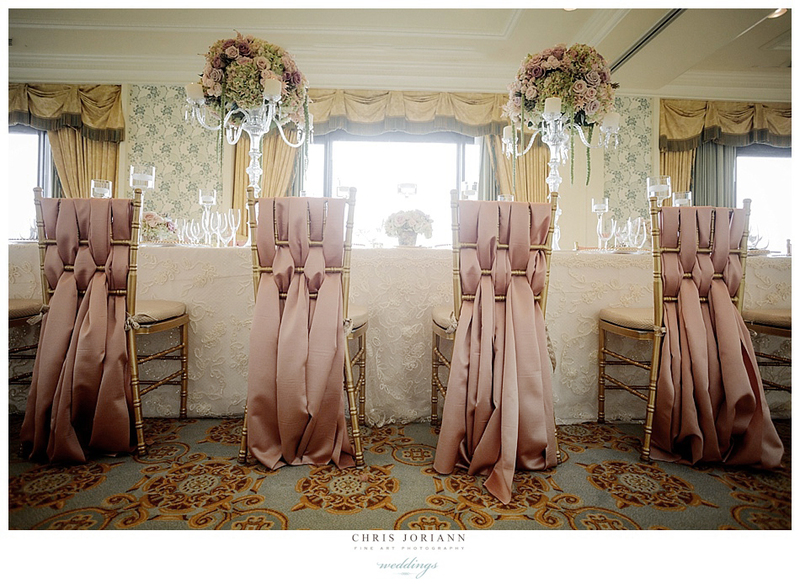 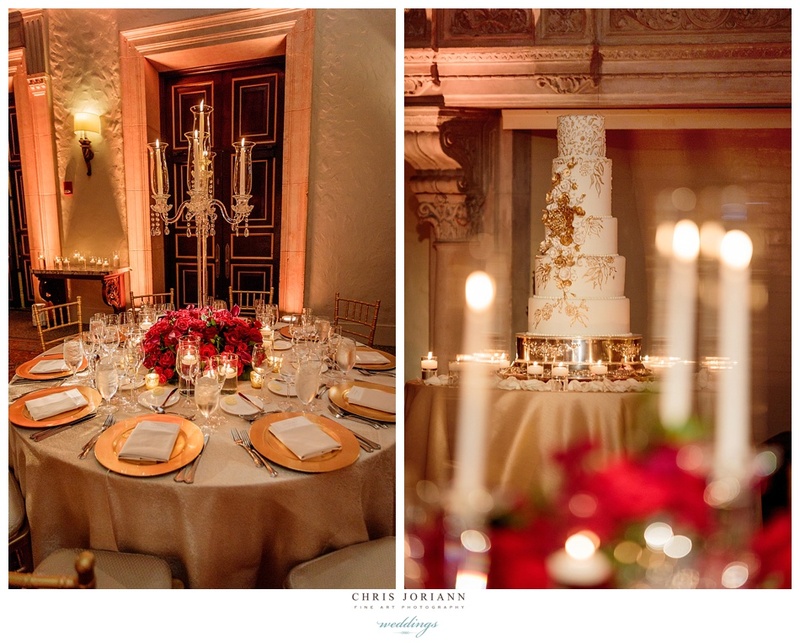 The candle-lit room was awash in blush and gold hues, with florals + décor created by The Design Studio at the Breakers. 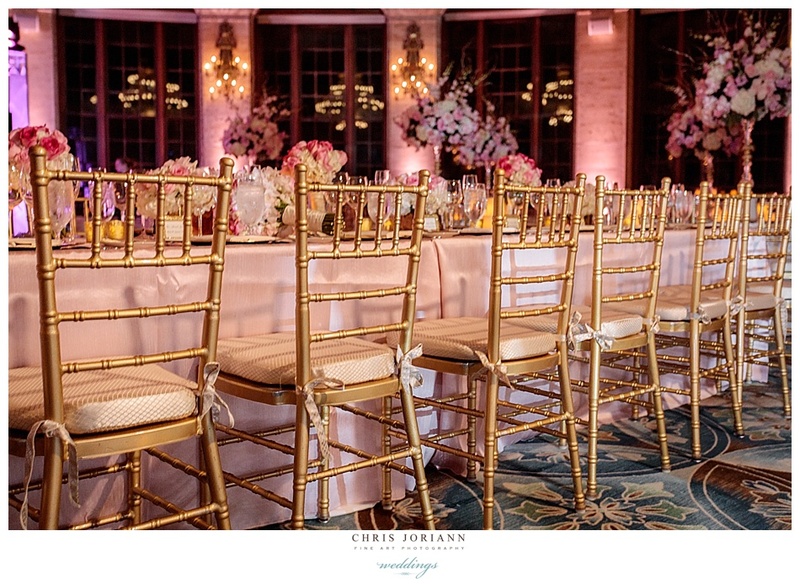 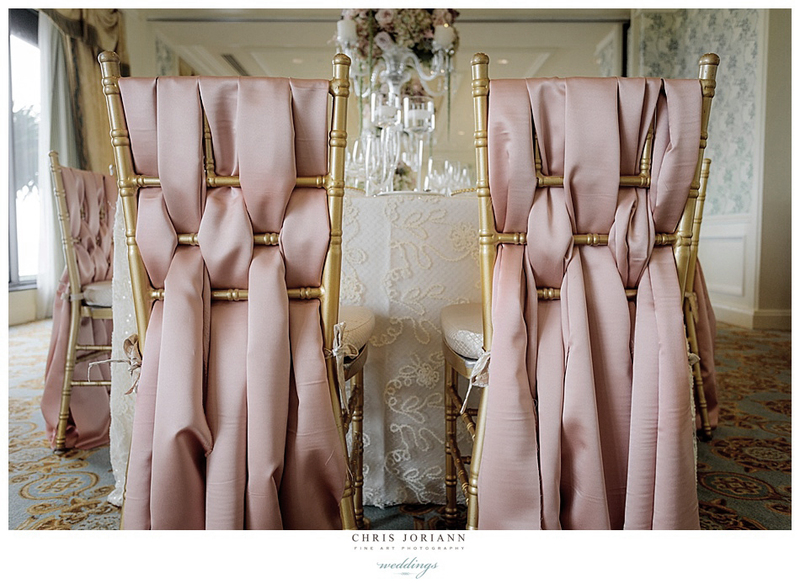 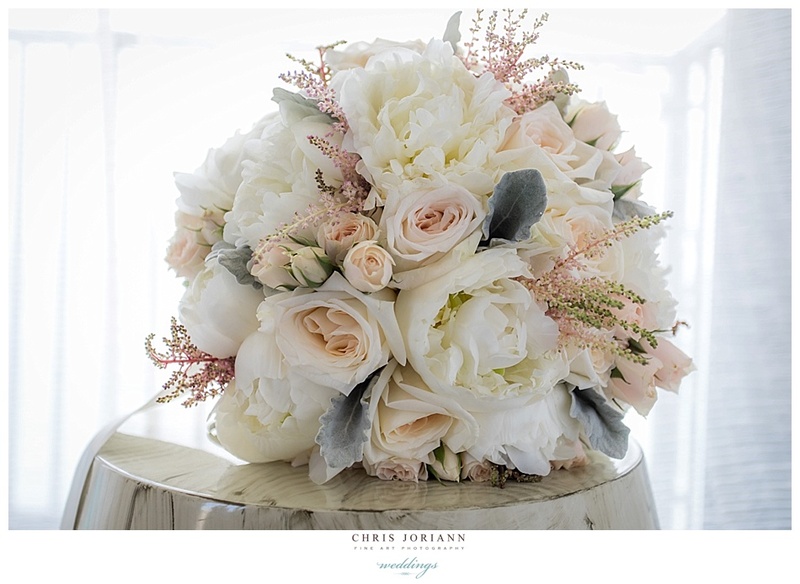 Blush silk covered tables featured crystal candelabras with cascading flowers, and assortment of blush and white roses and hydrangeas, surrounded by gold chiavari chairs. 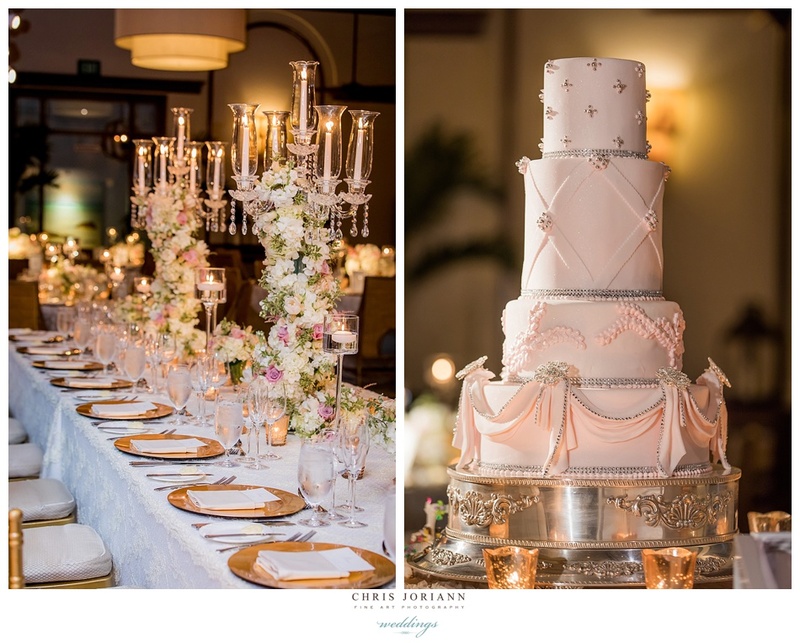 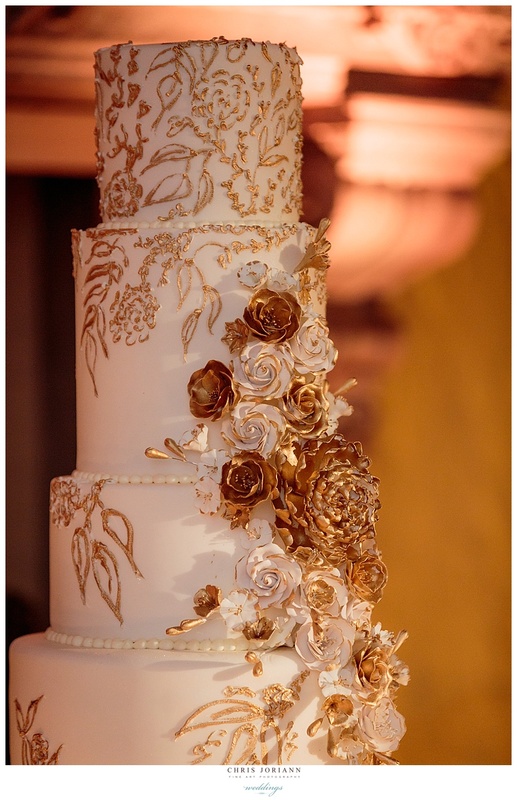 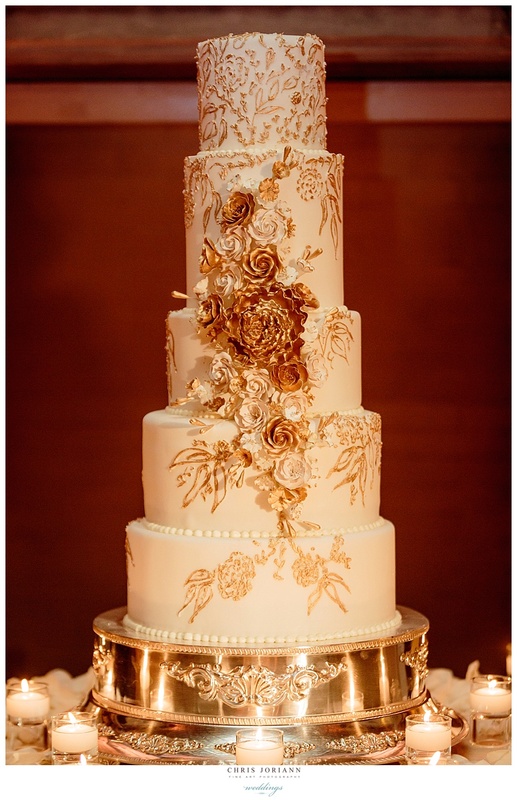 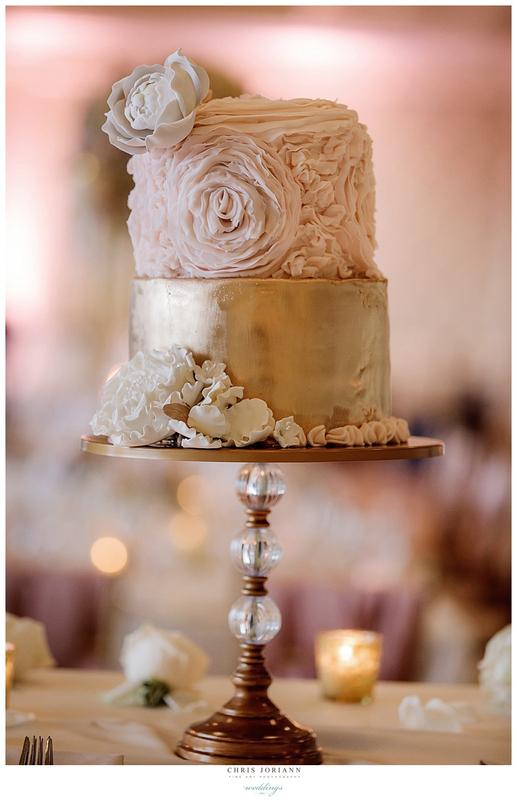 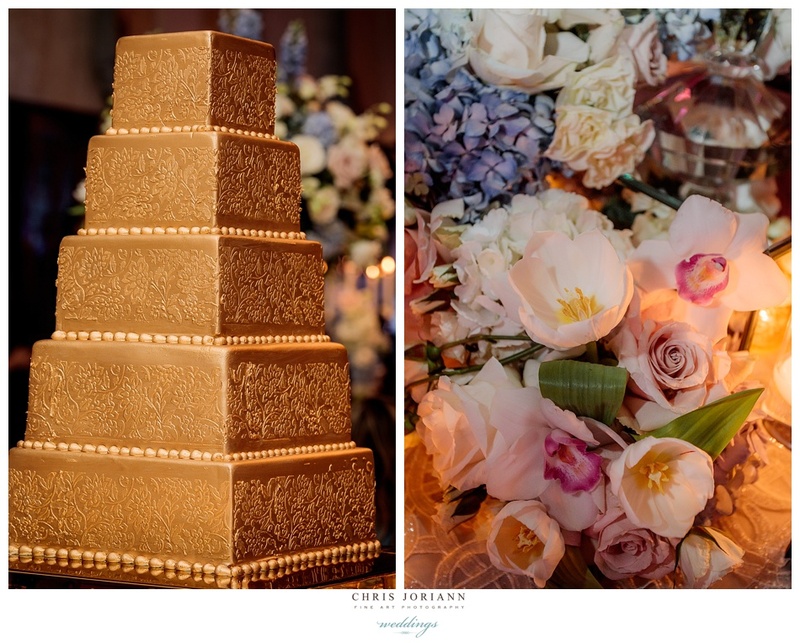 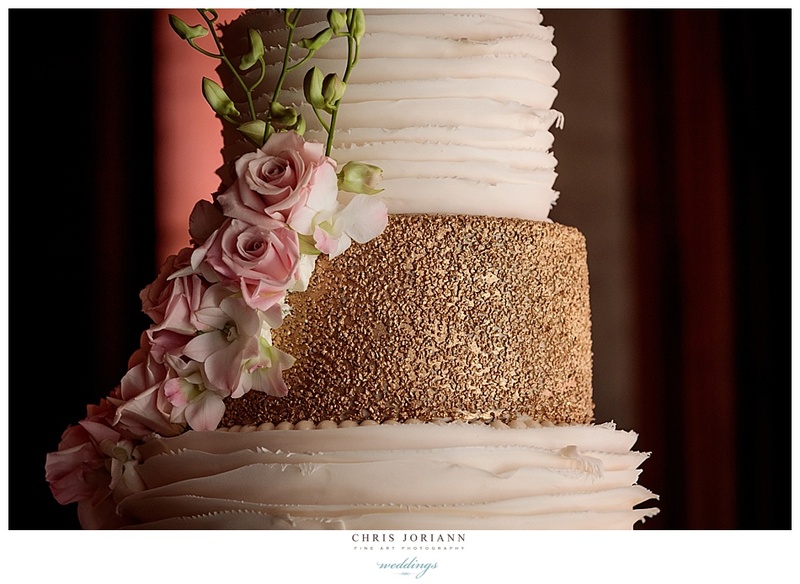 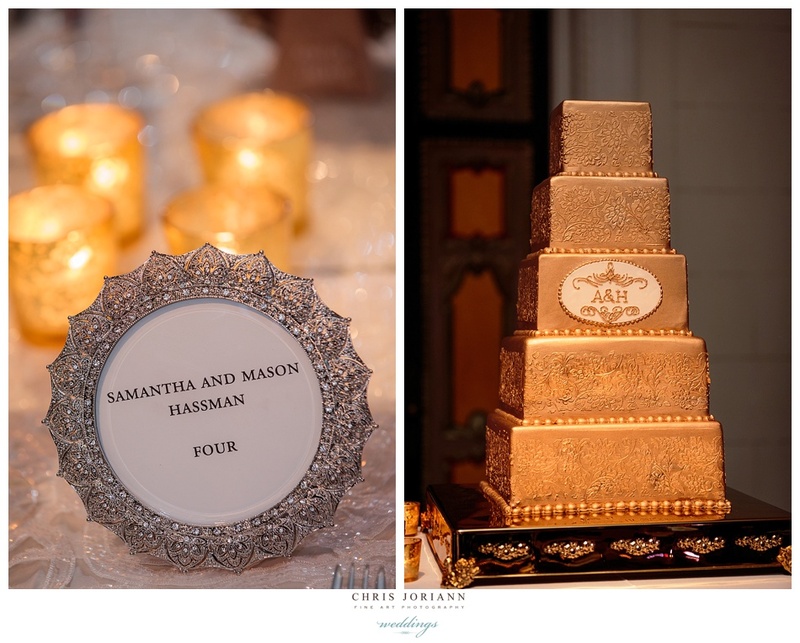 The 5-tier blush cake, was a confectionary dream with speckled gold layers alternating with white ribboned chiffon. 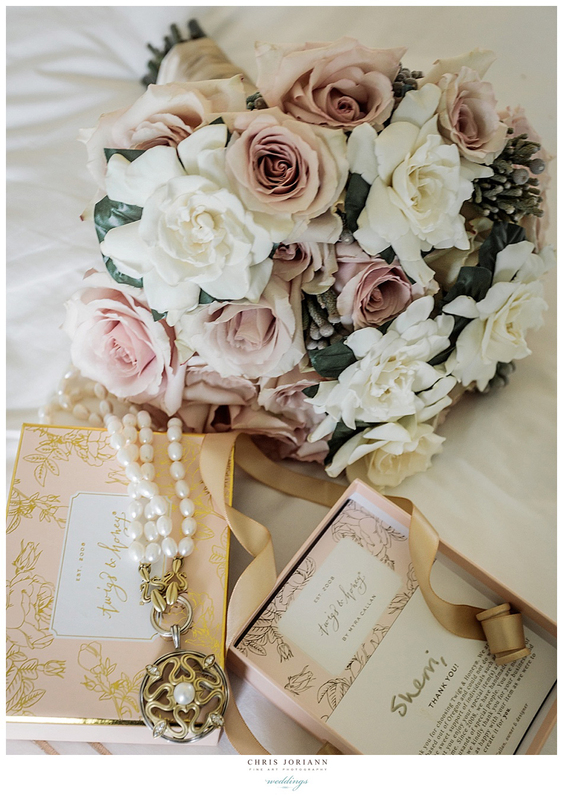 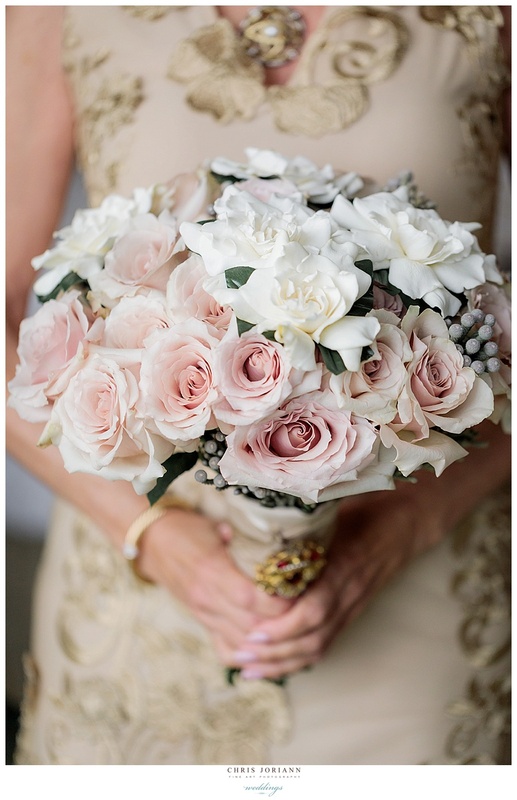 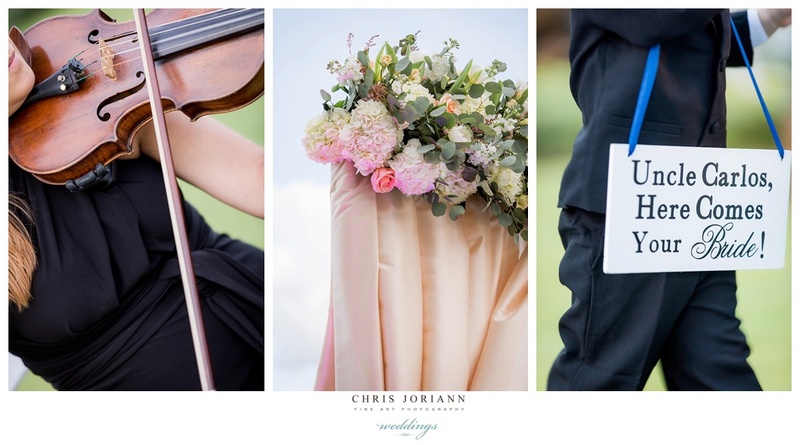 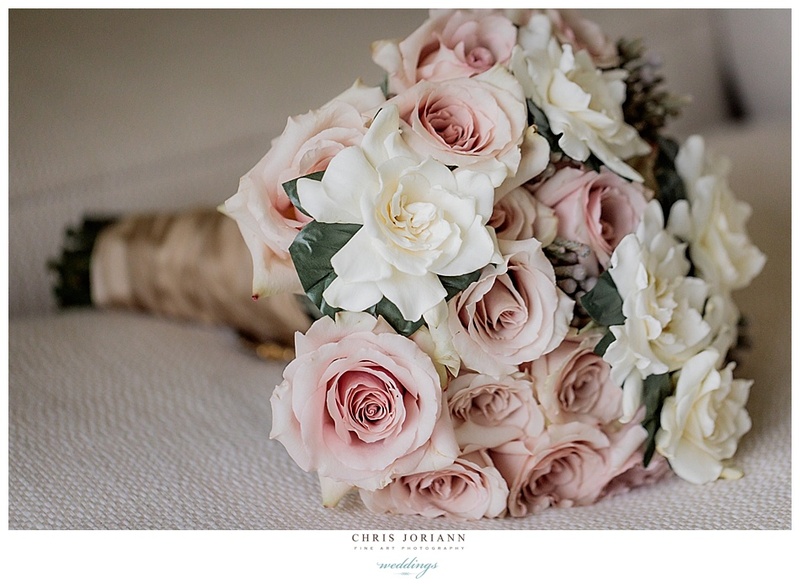 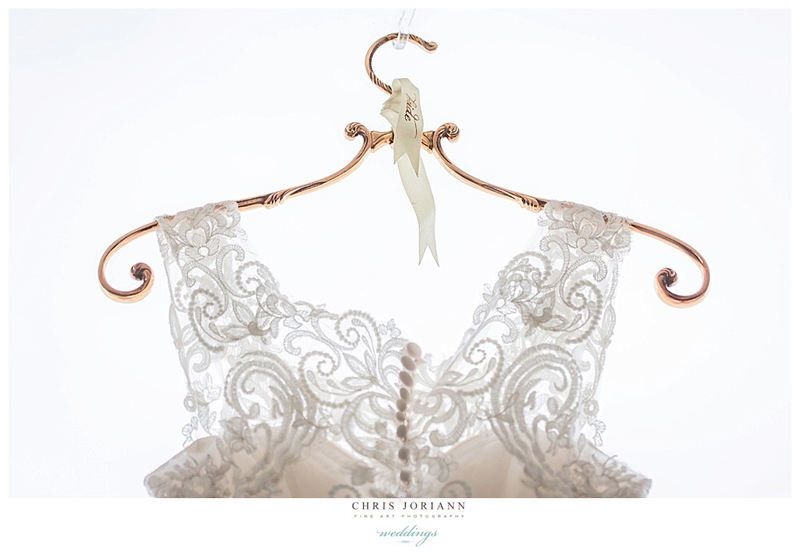 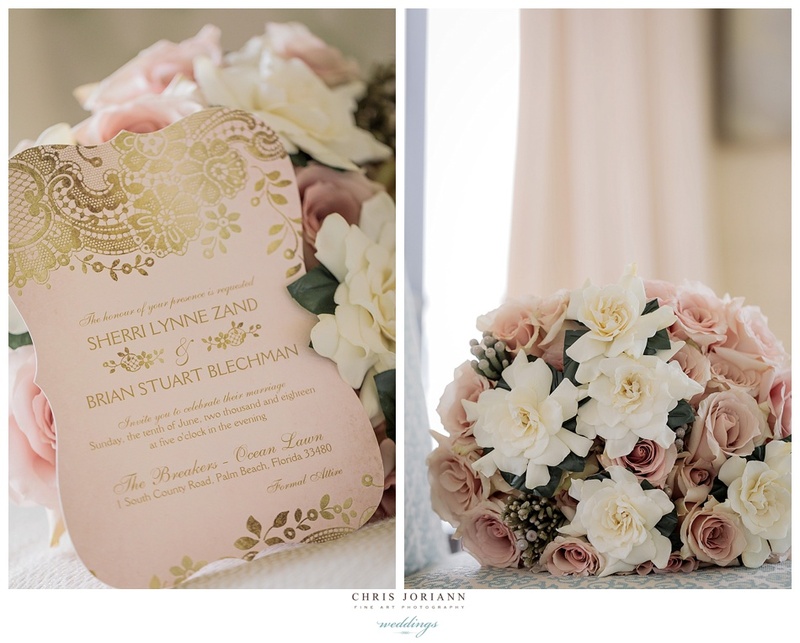 A sash of blush roses added a special touch of romance. 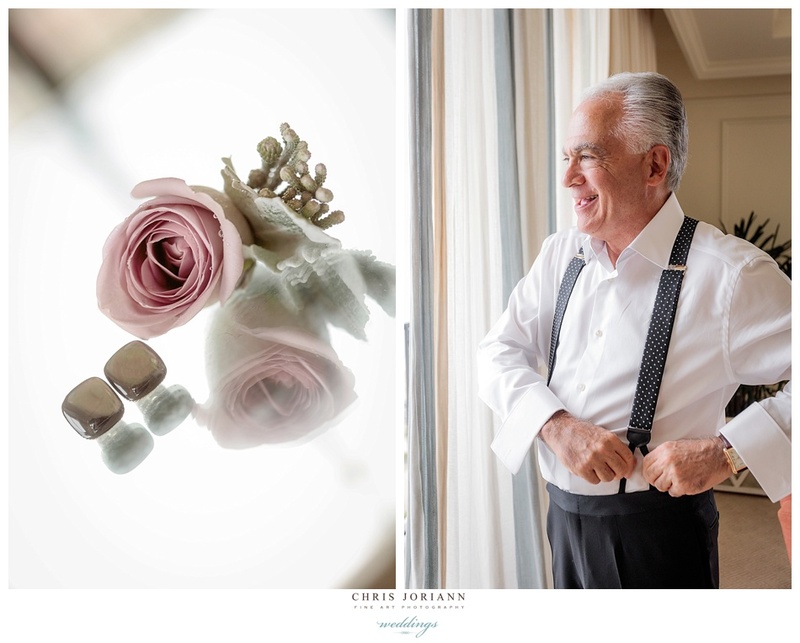 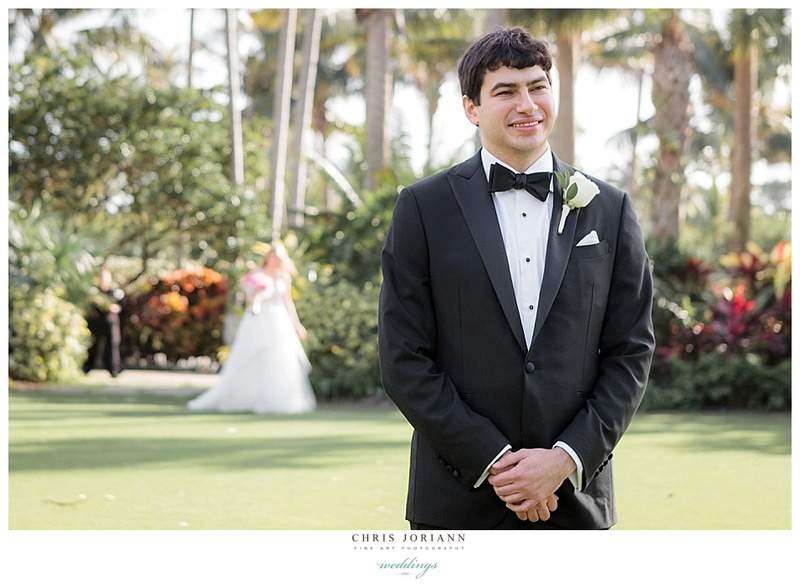 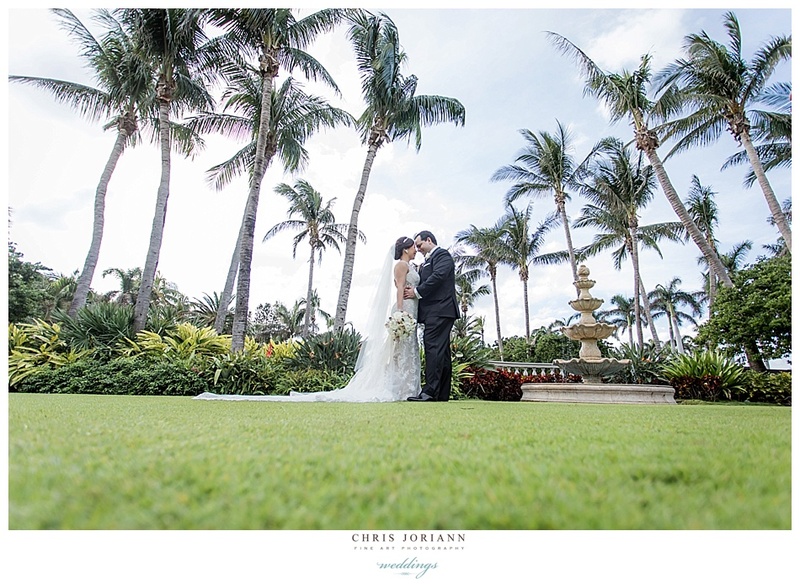 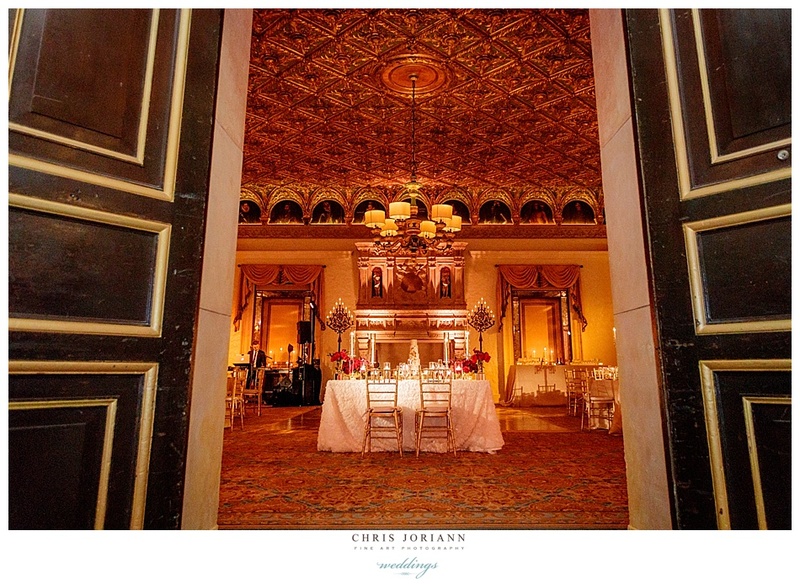 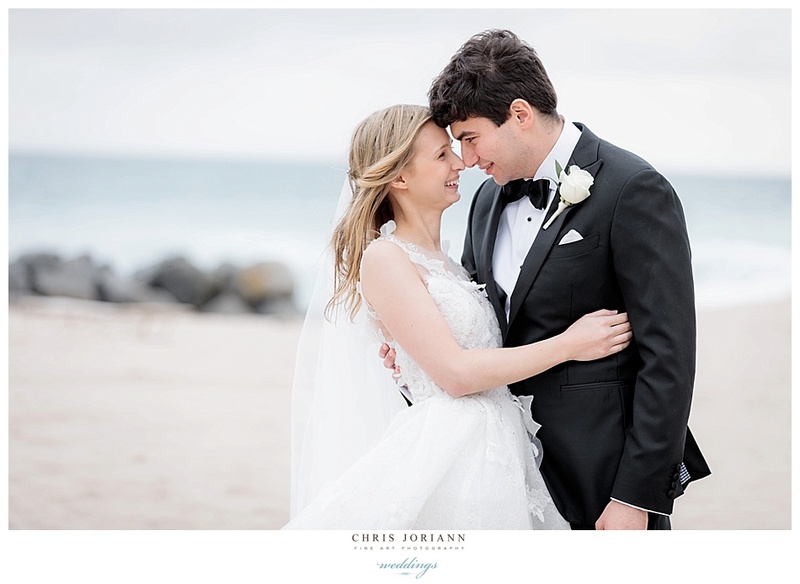 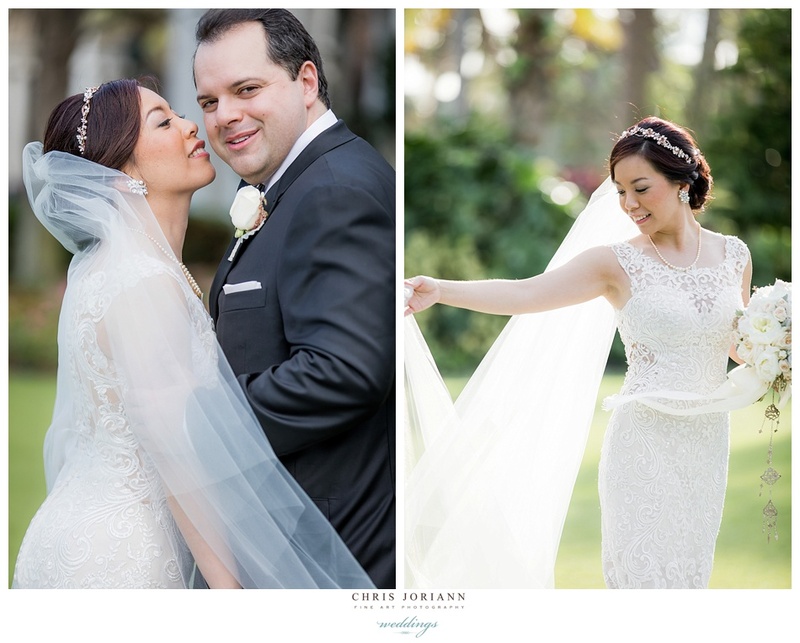 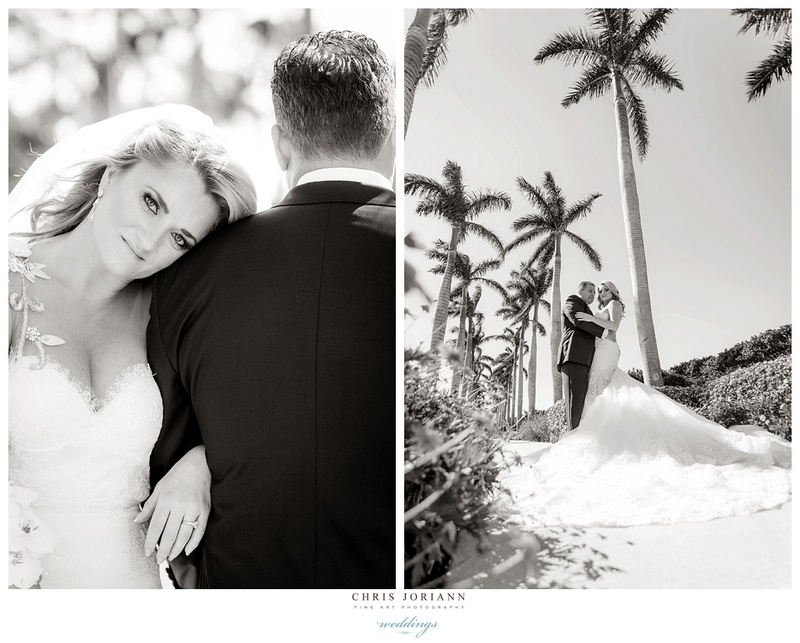 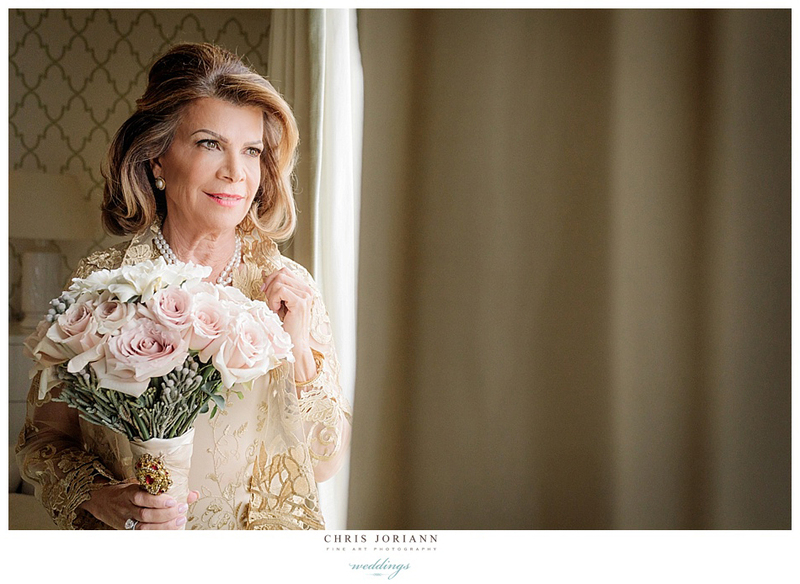 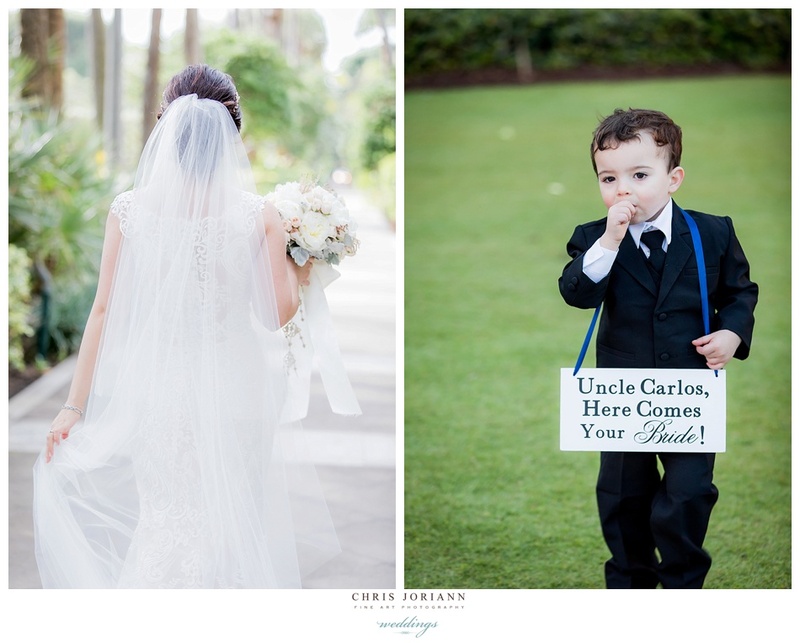 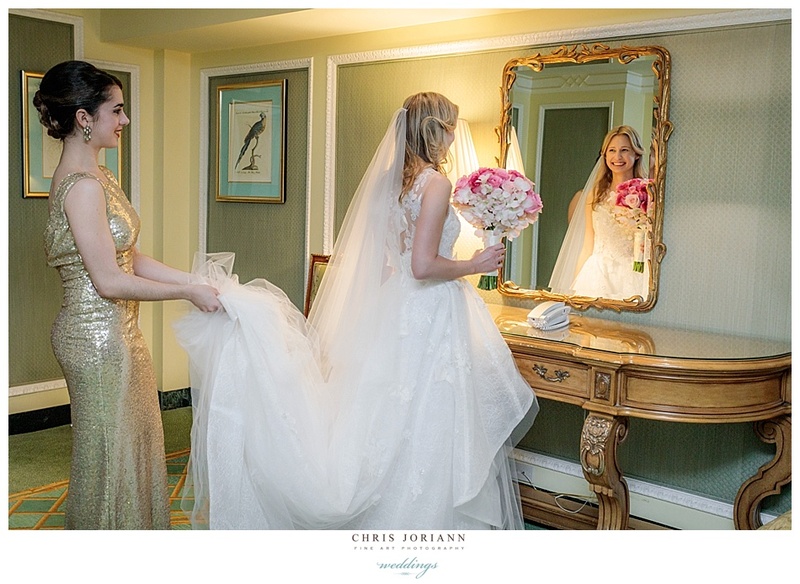 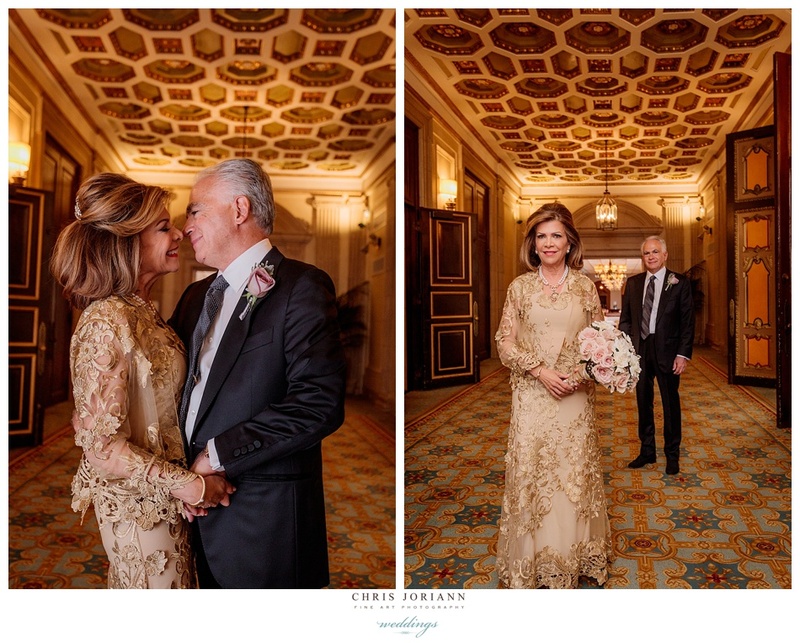 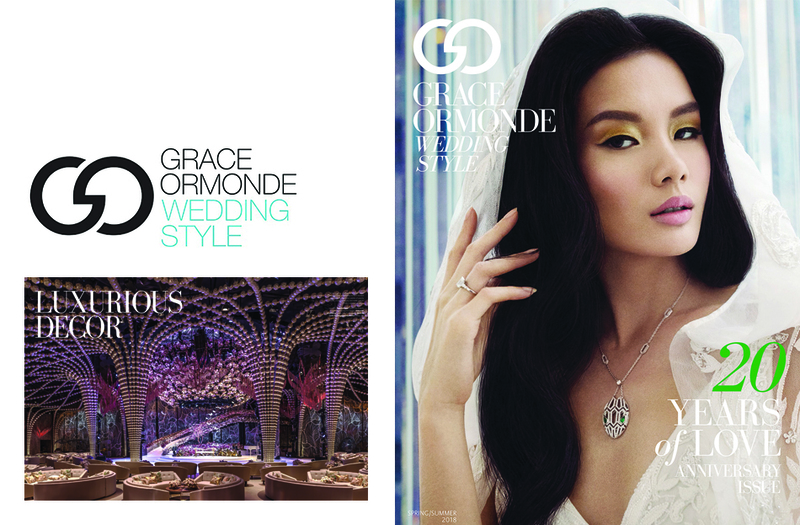 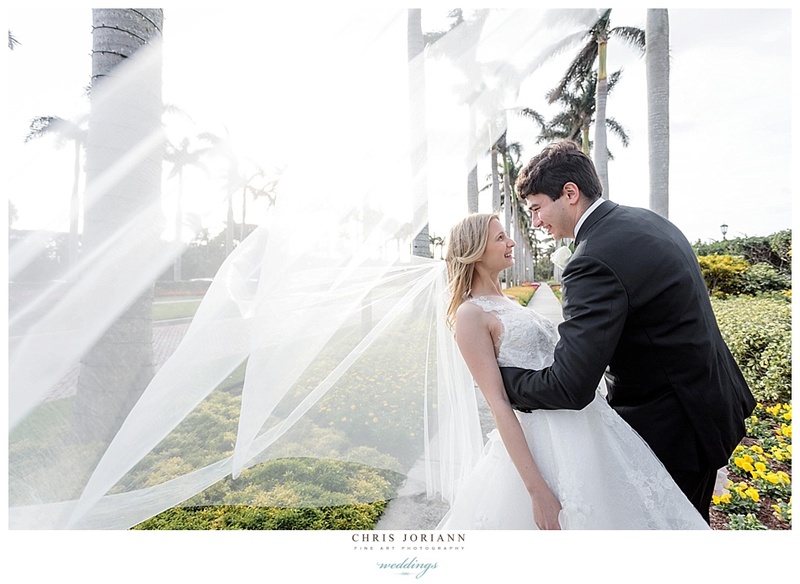 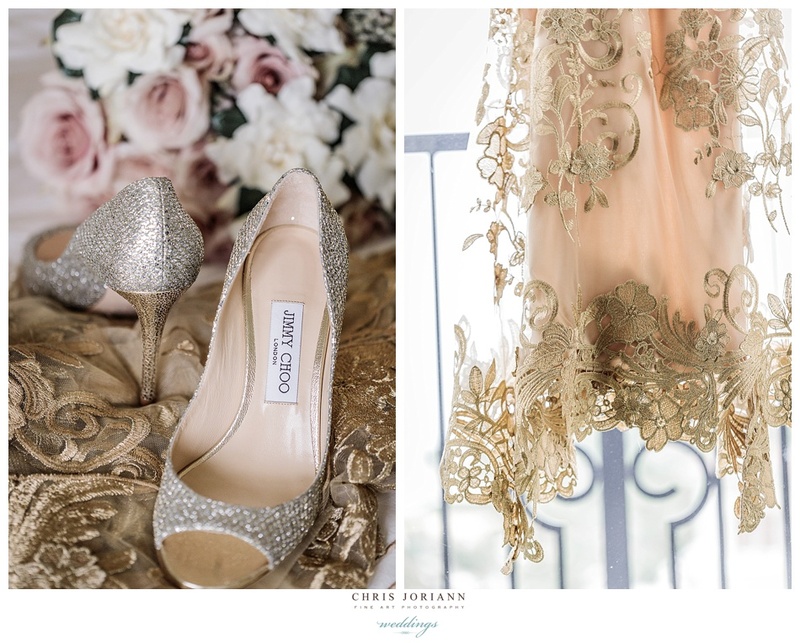 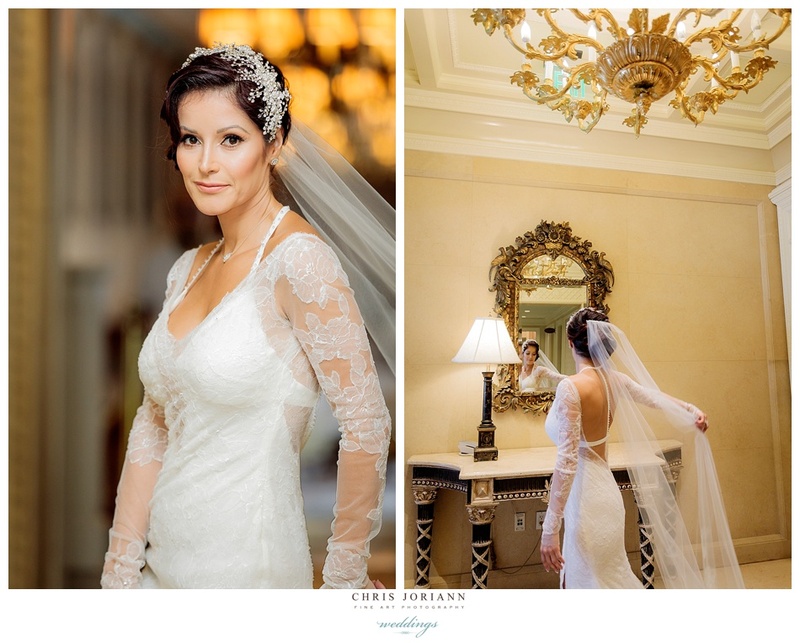 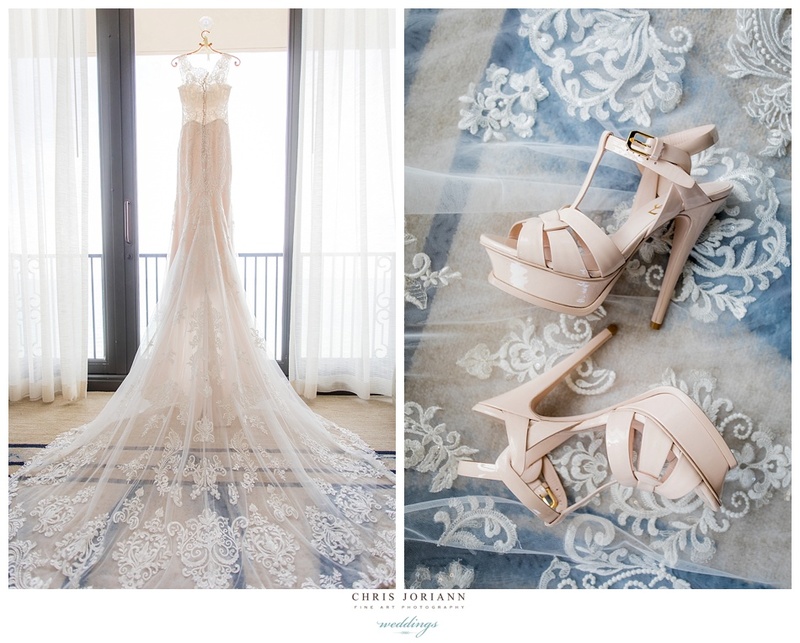 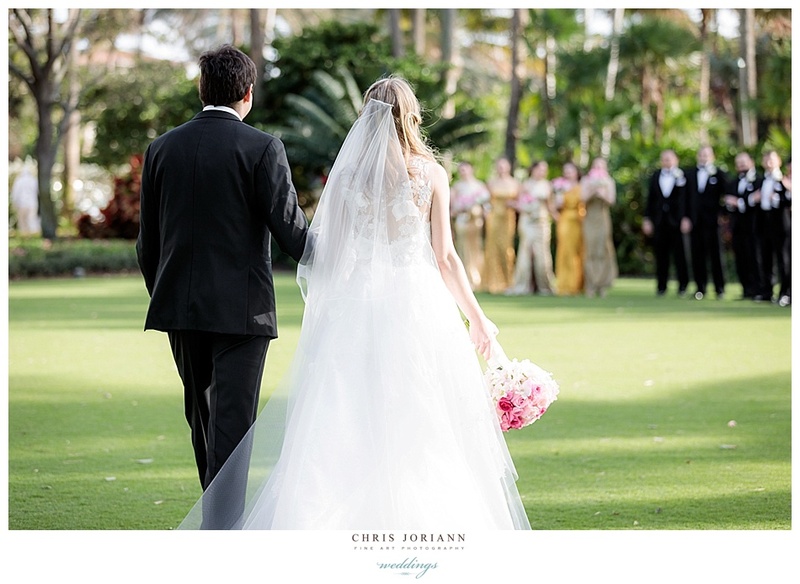 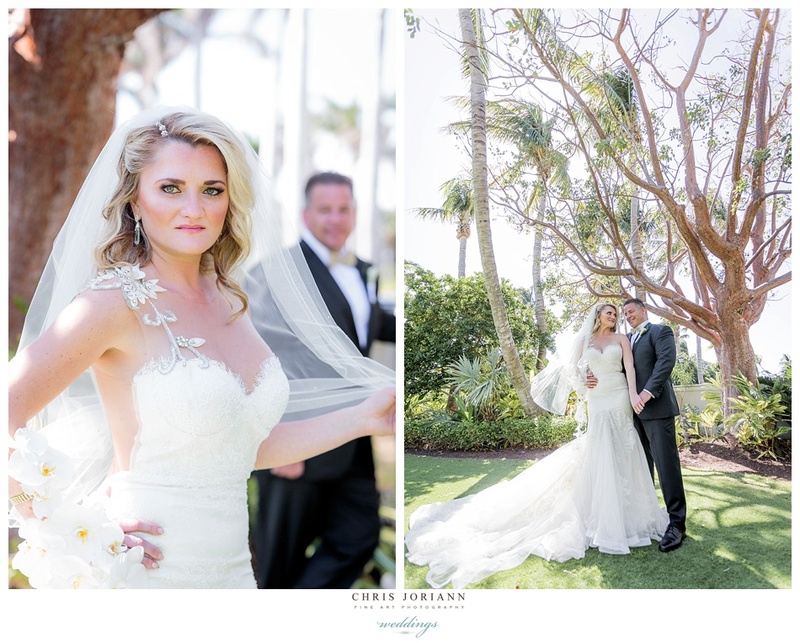 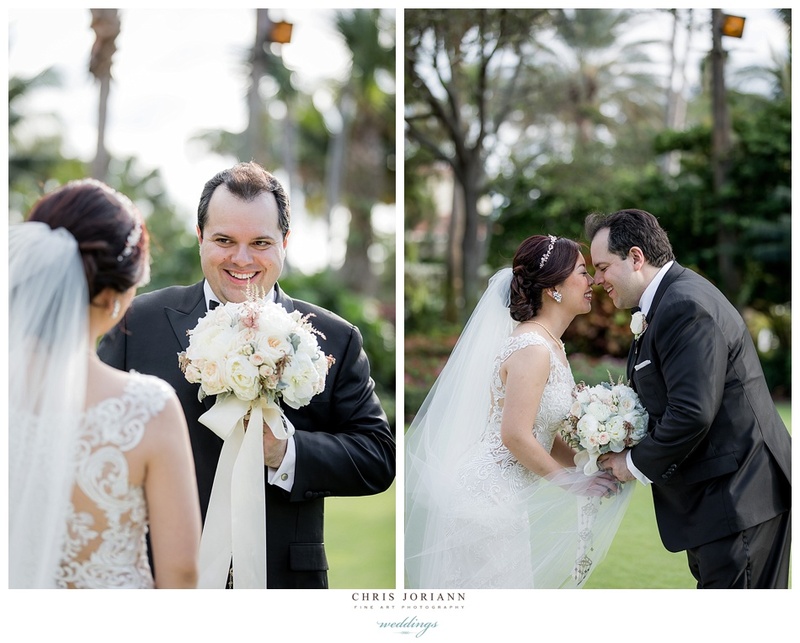 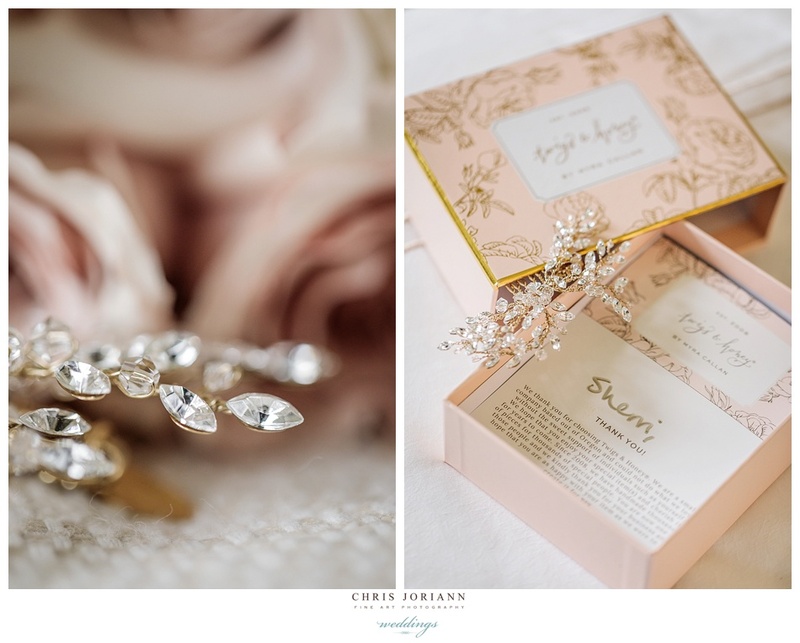 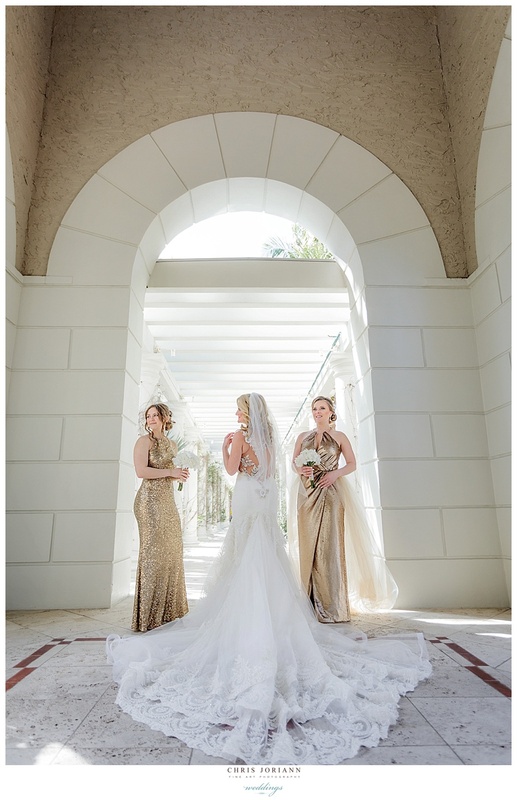 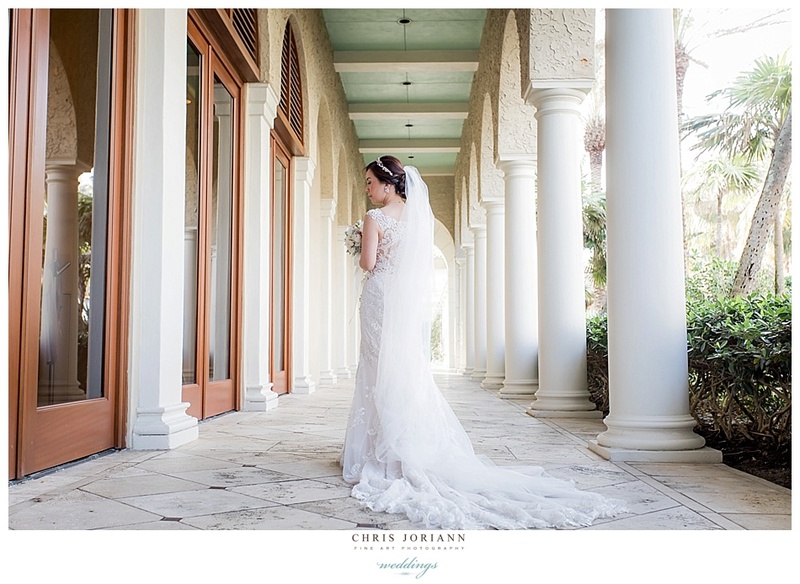 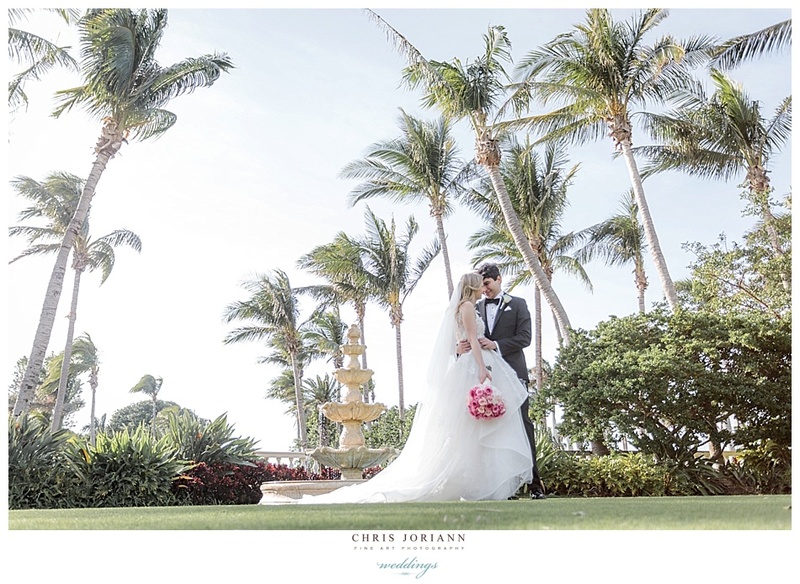 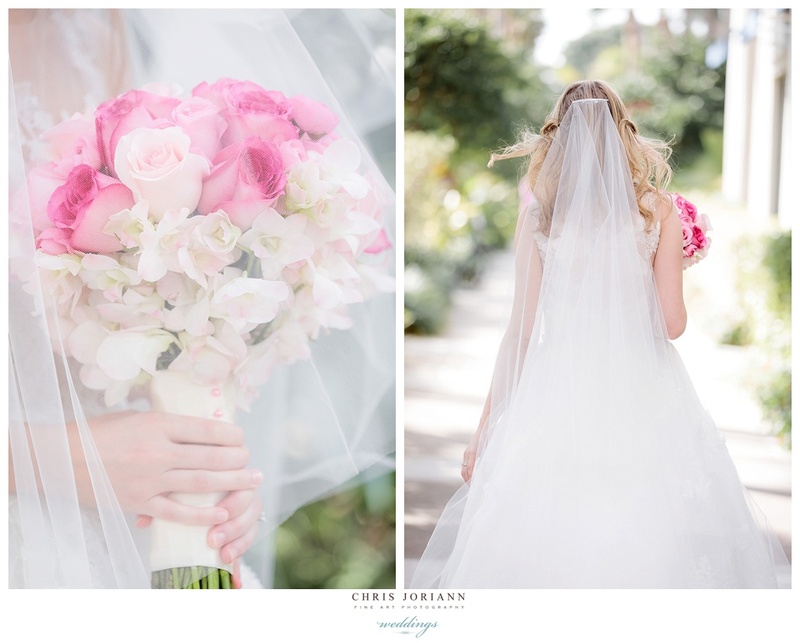 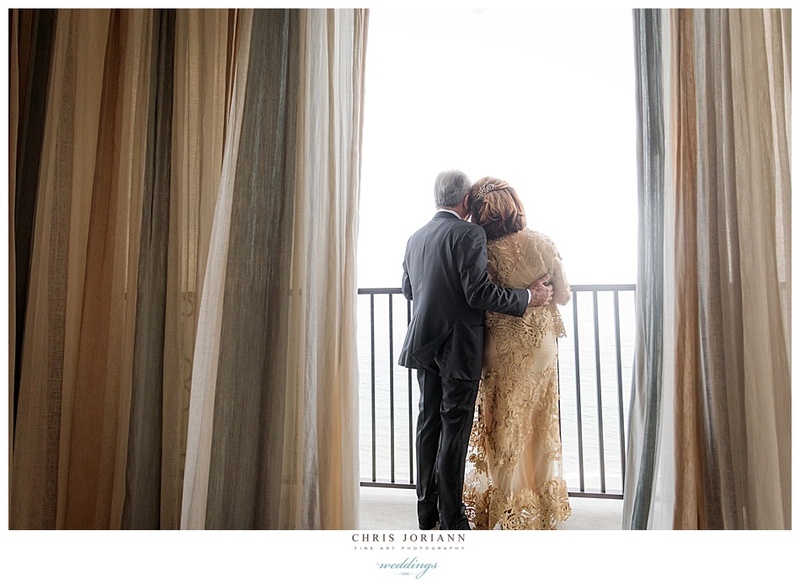 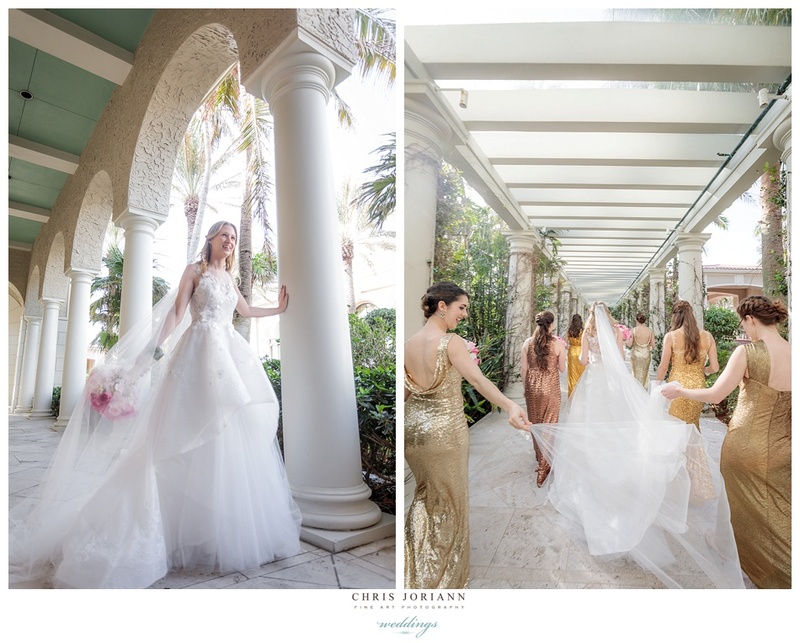 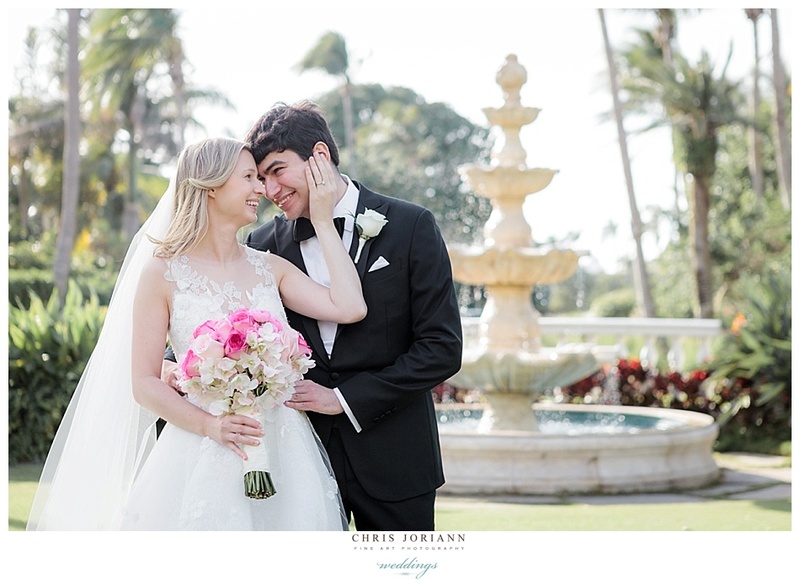 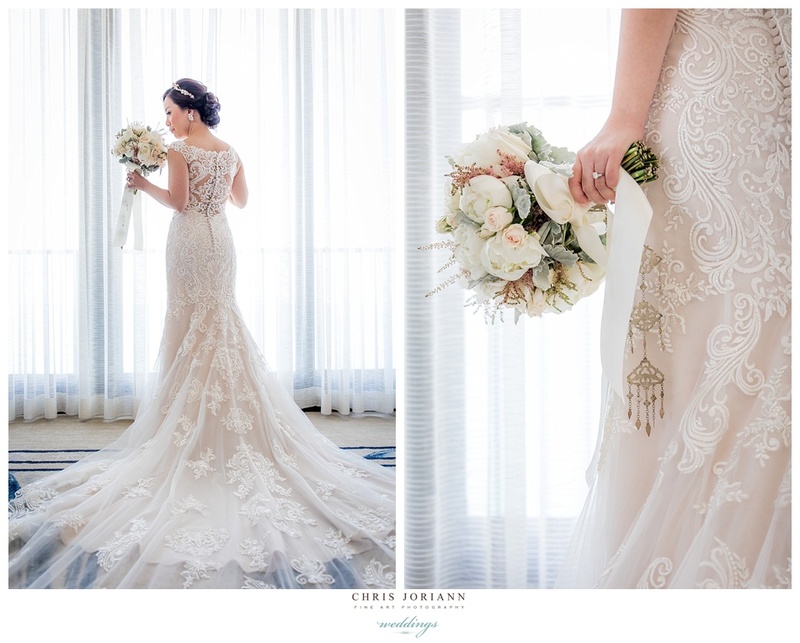 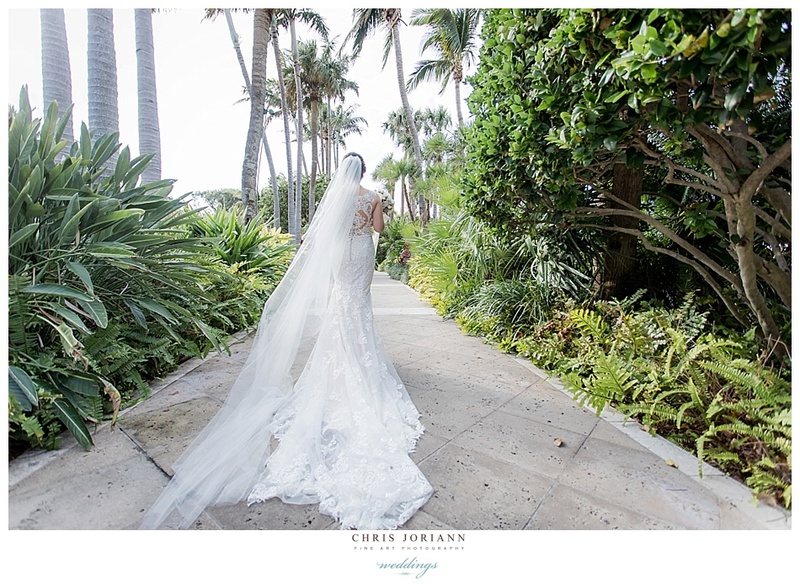 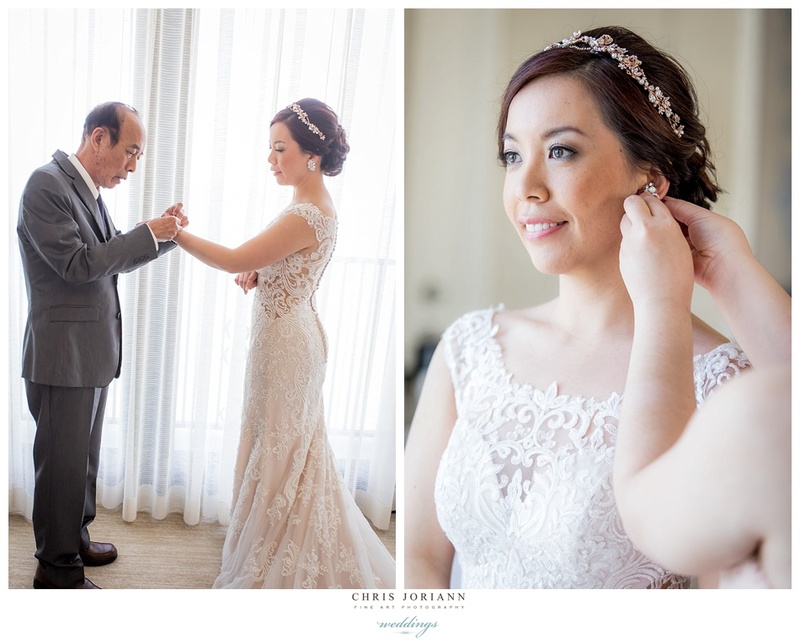 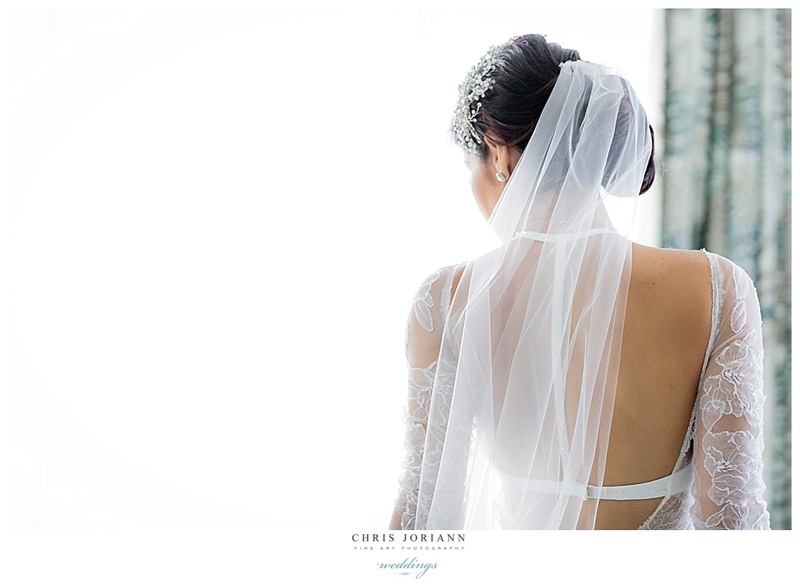 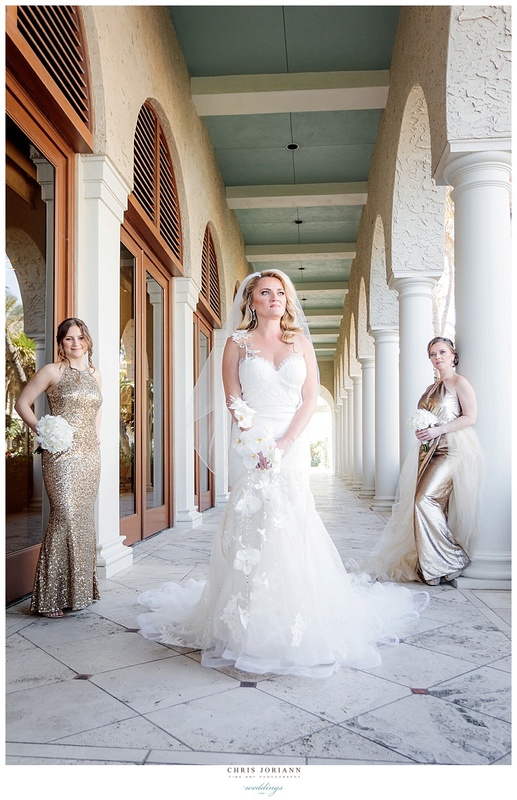 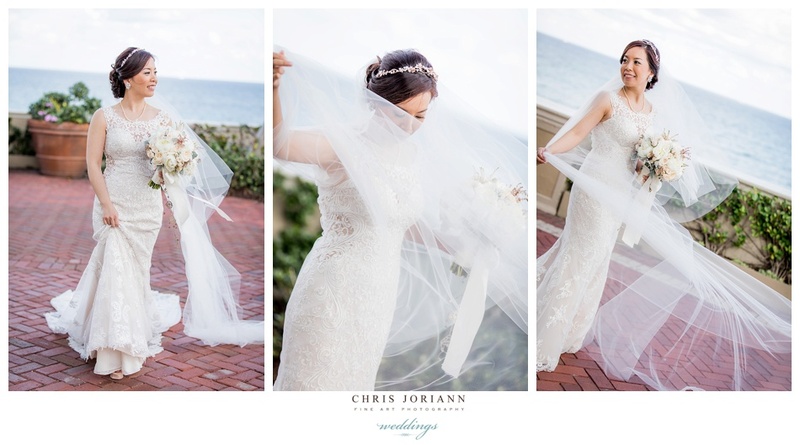 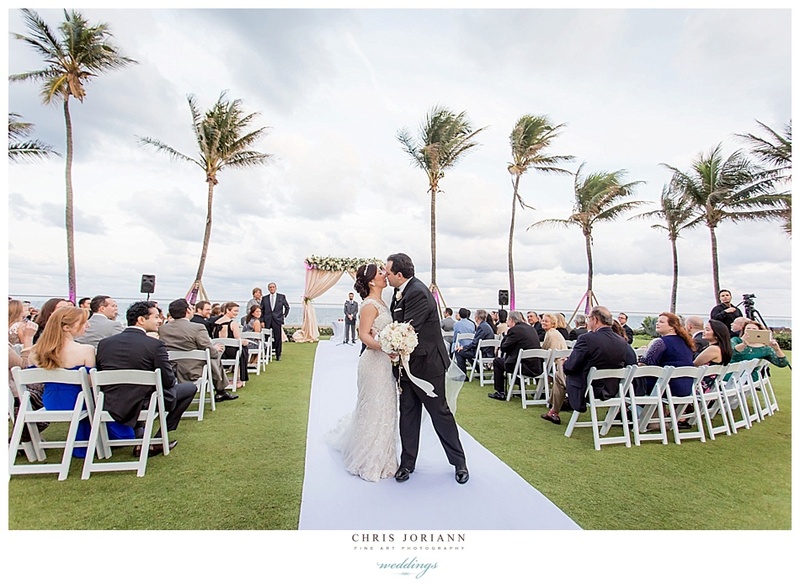 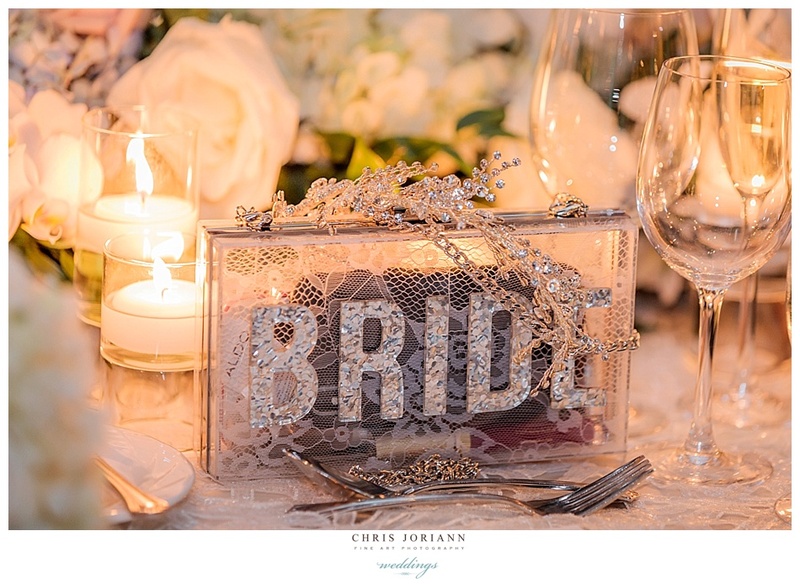 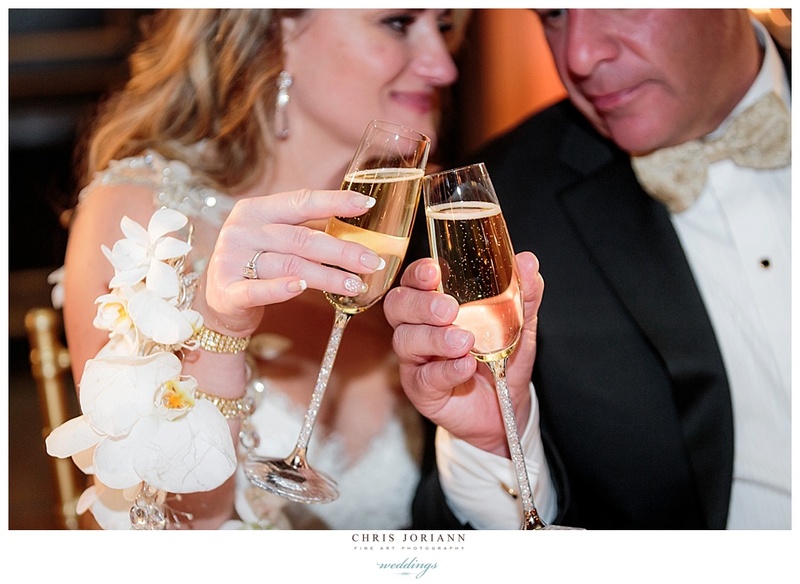 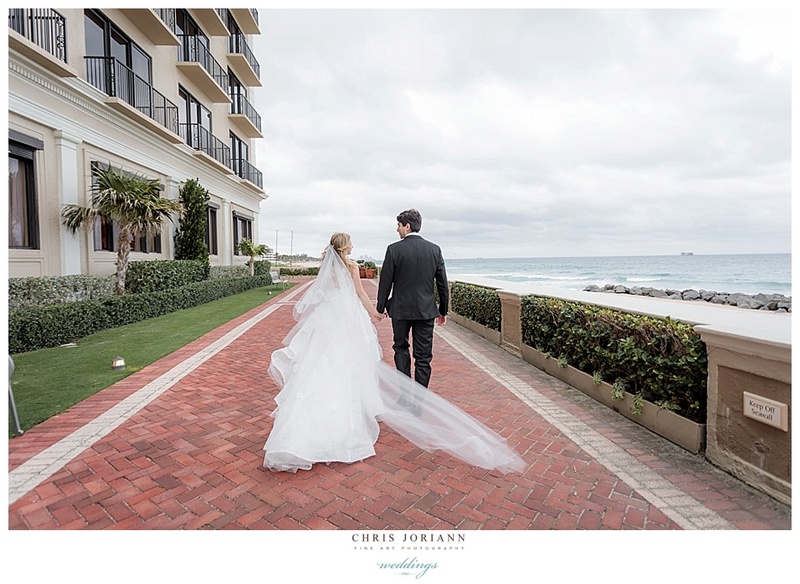 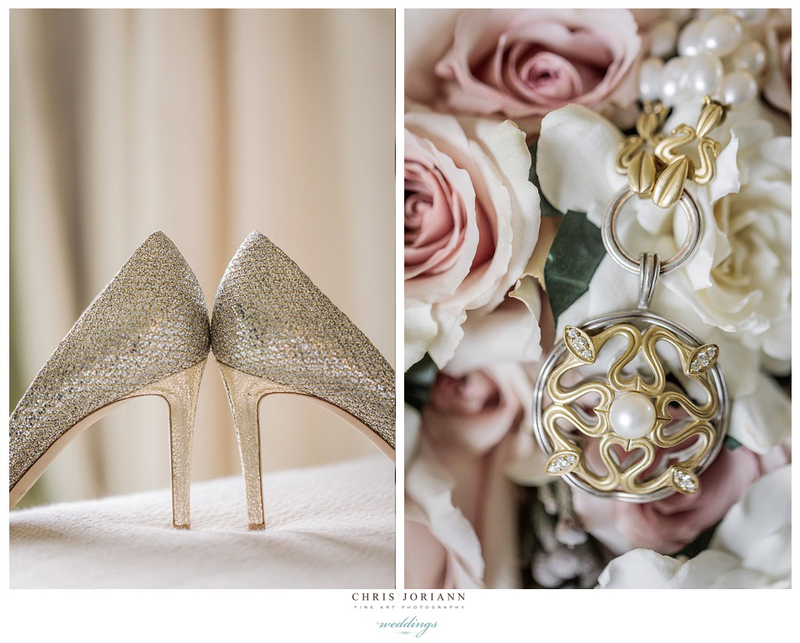 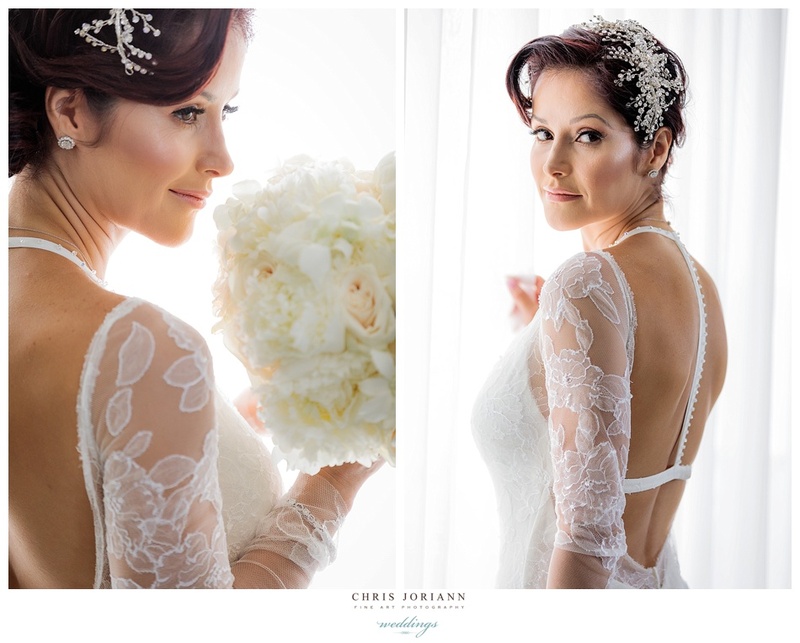 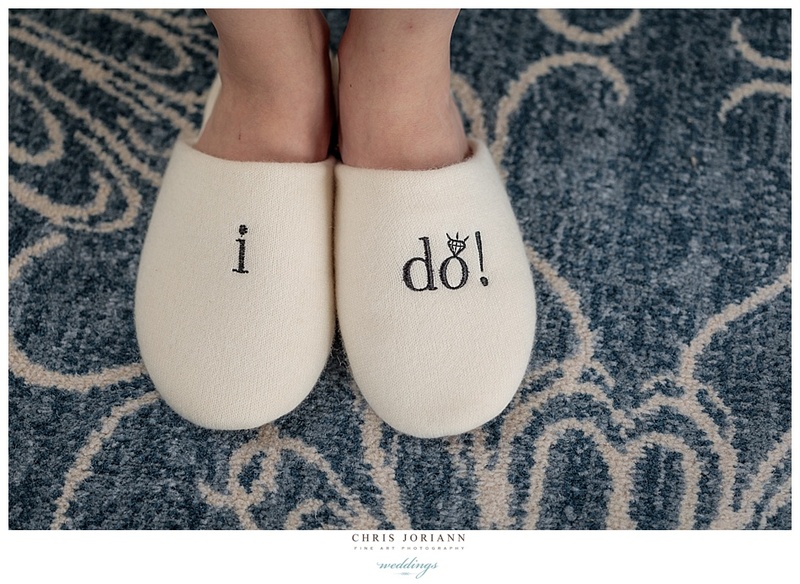 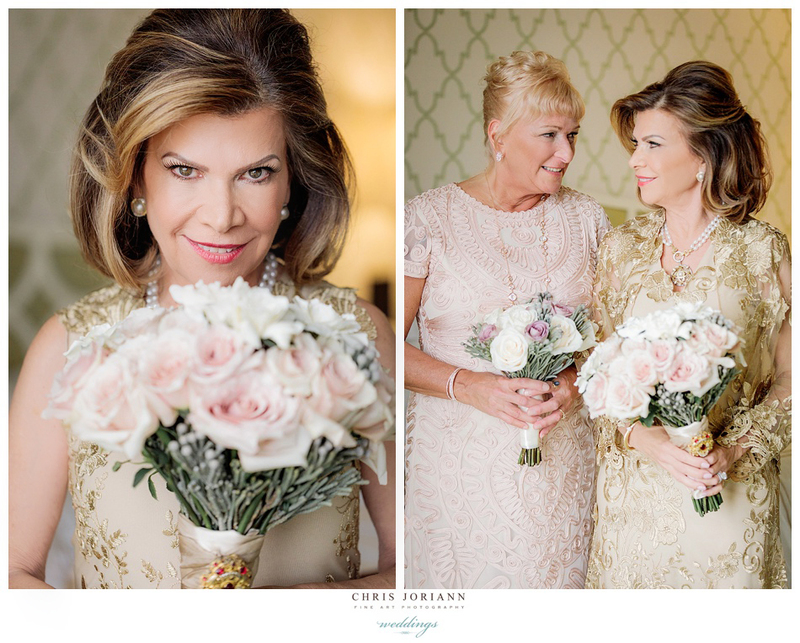 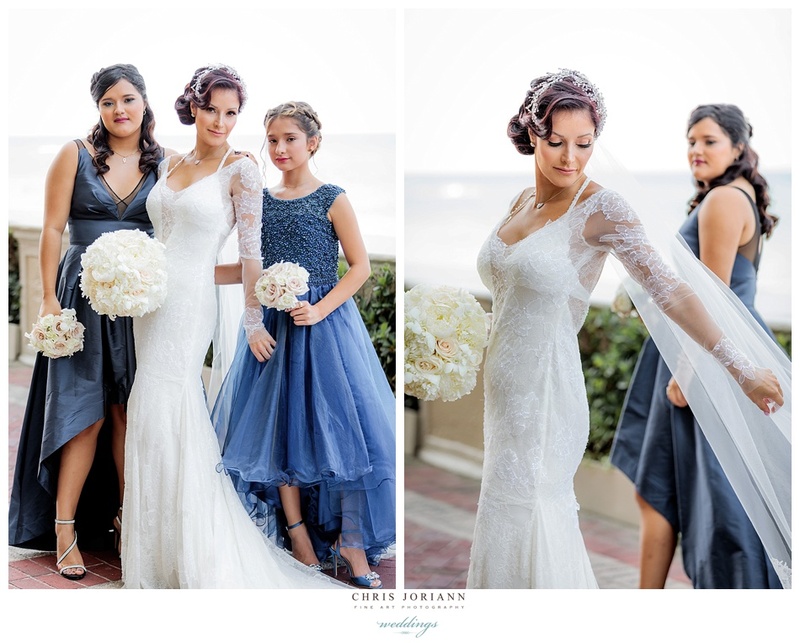 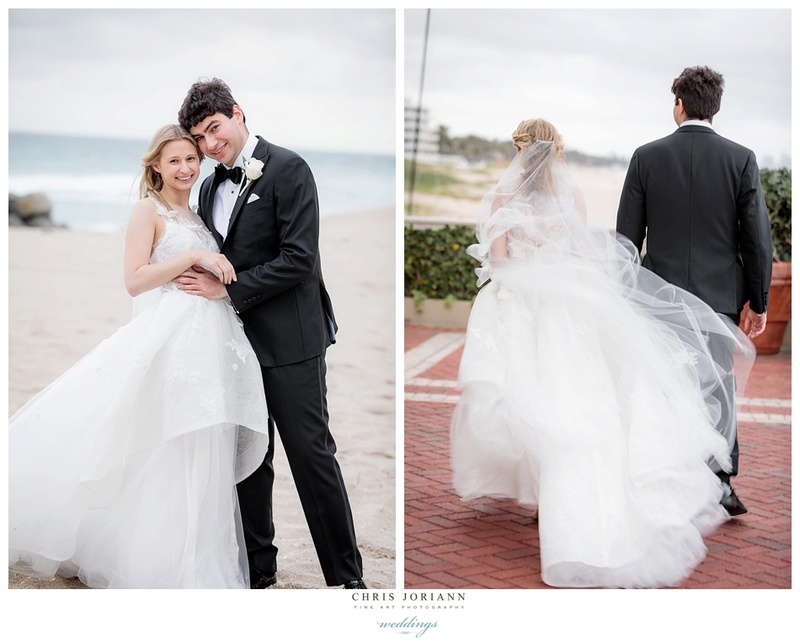 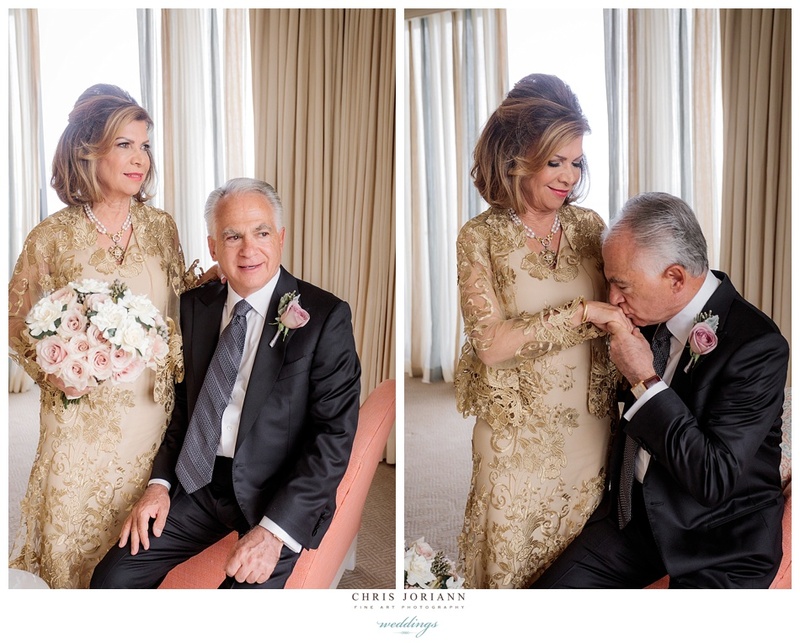 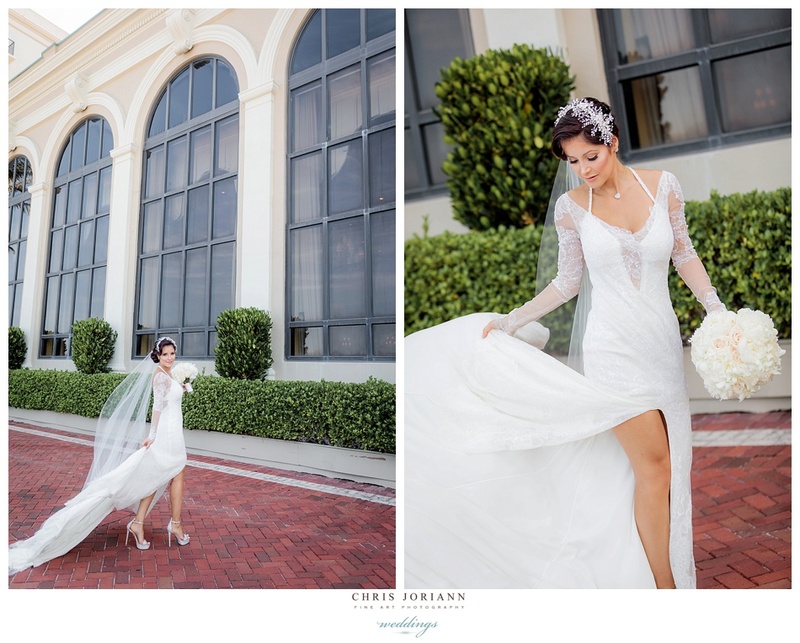 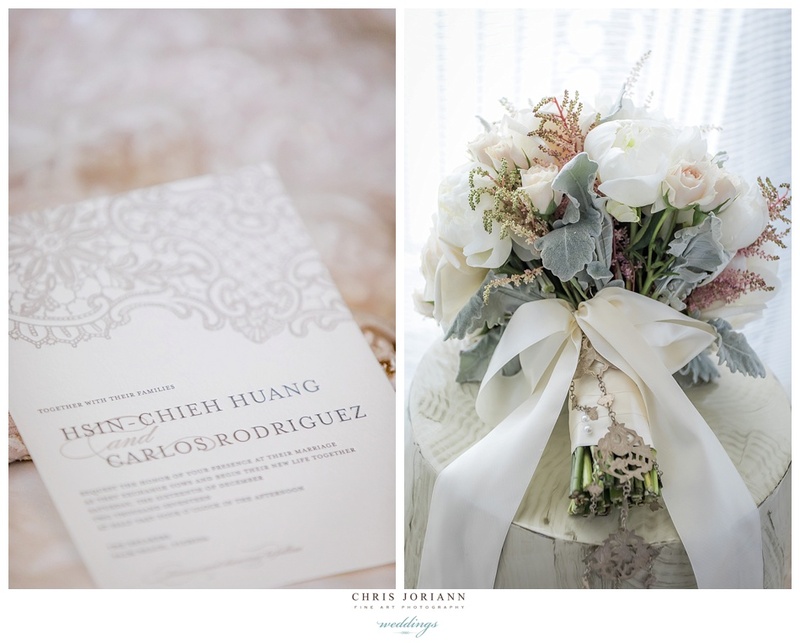 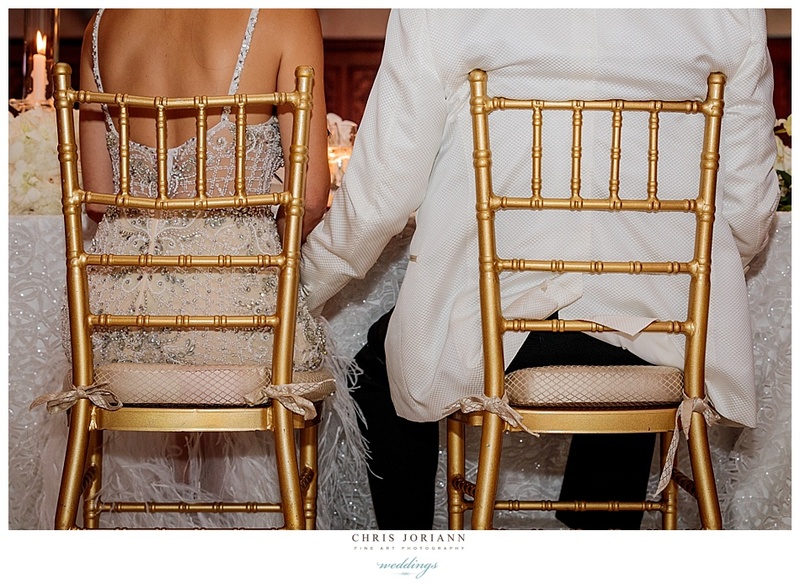 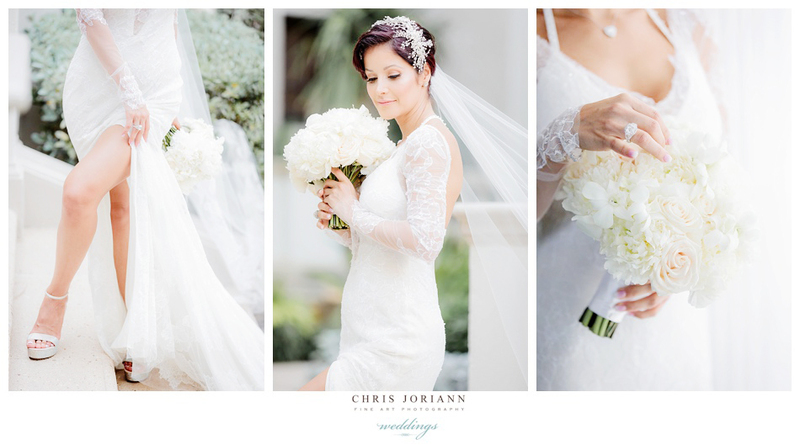 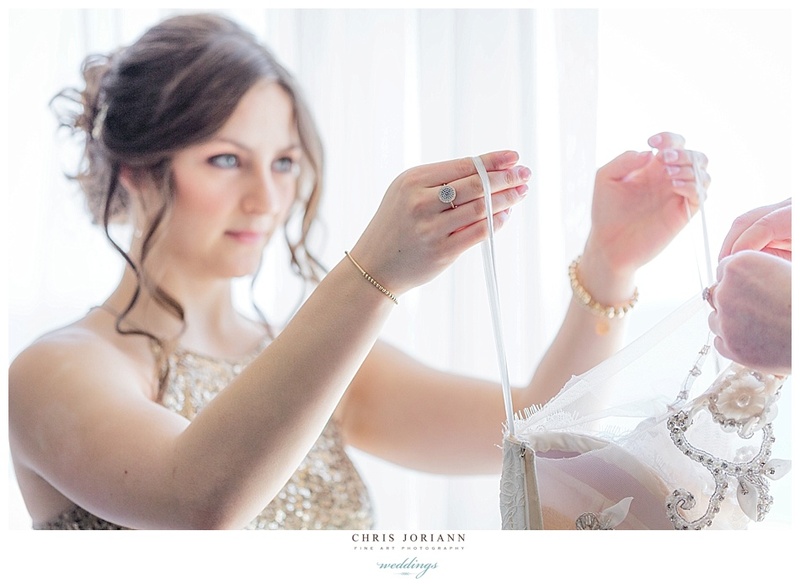 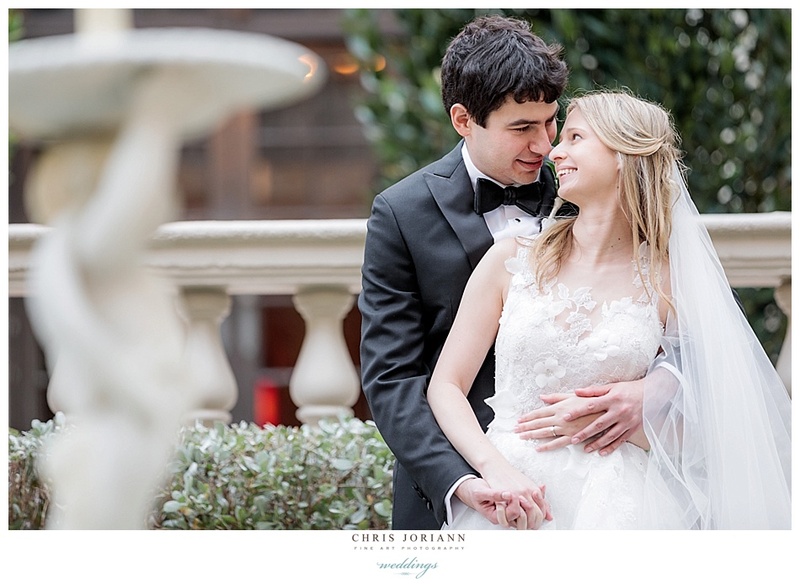 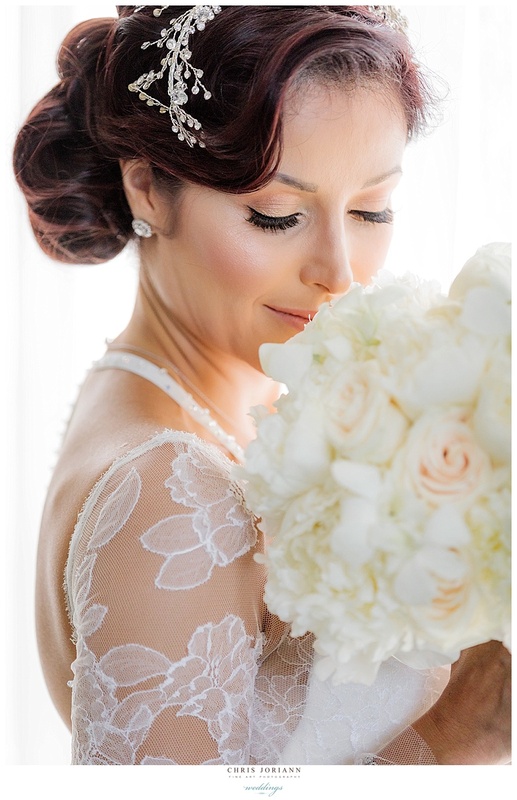 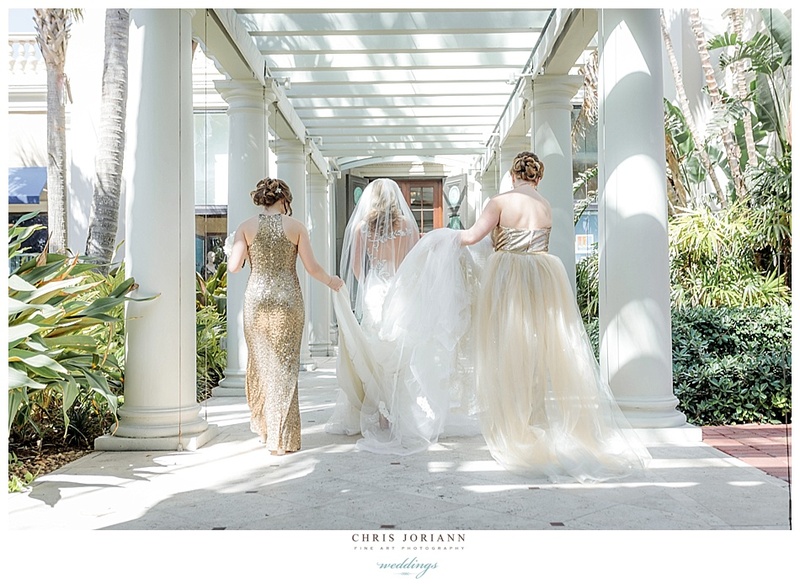 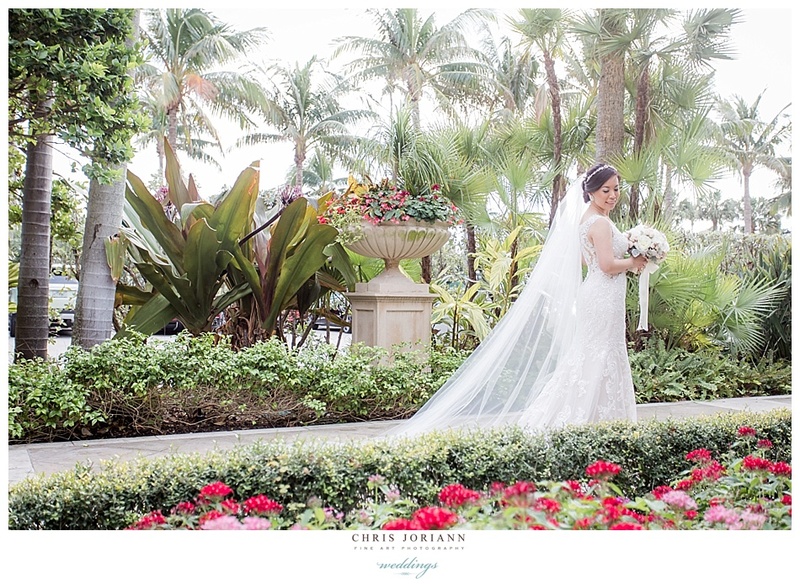 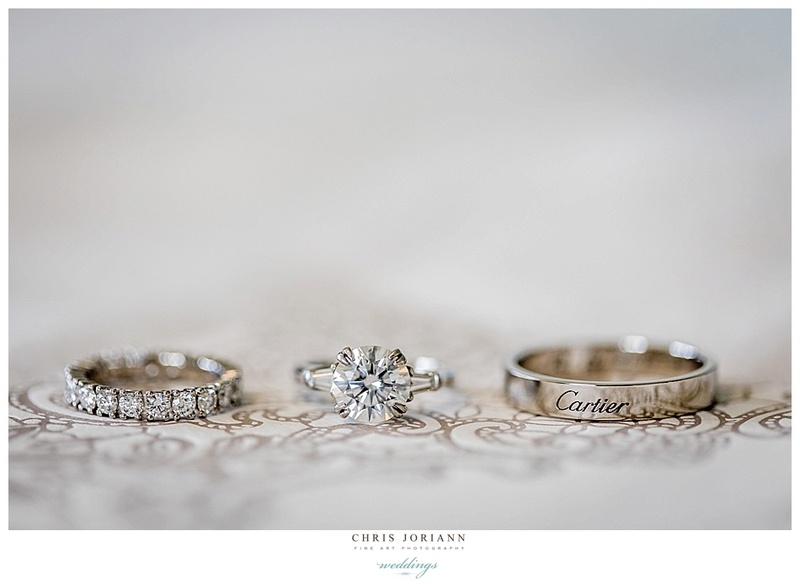 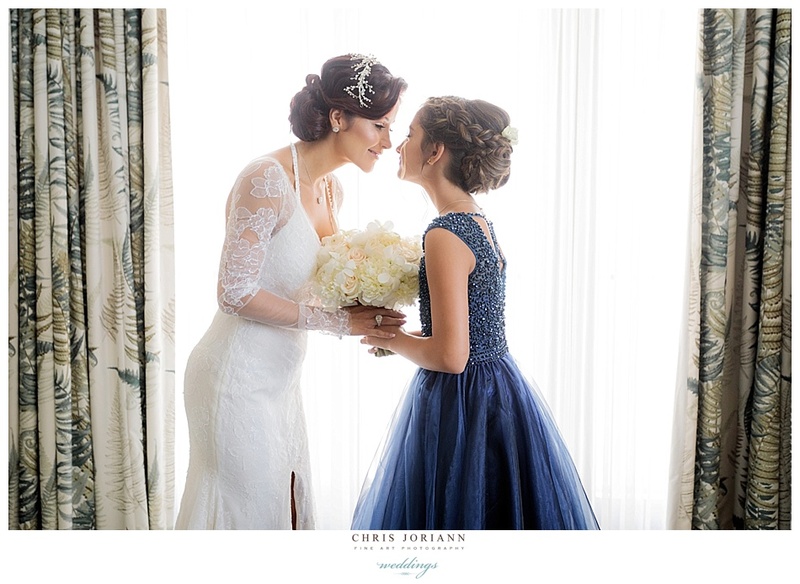 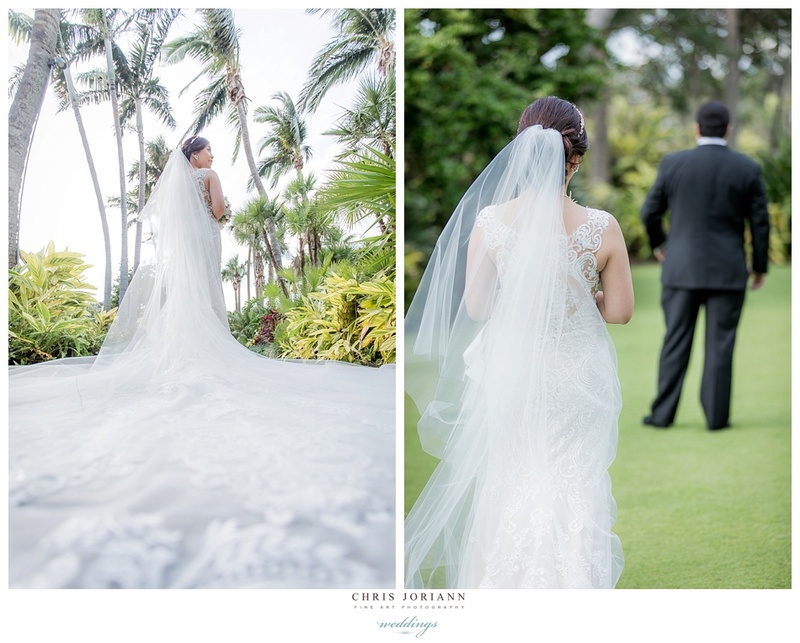 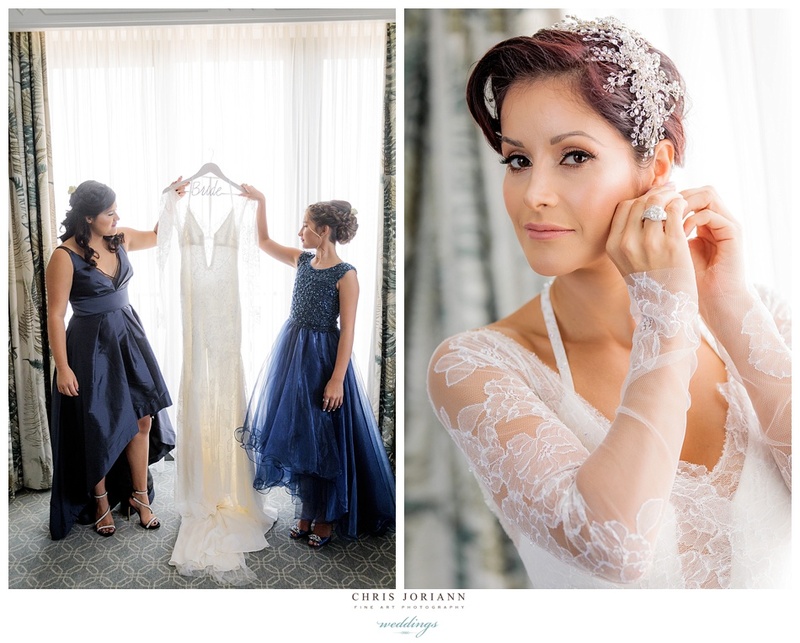 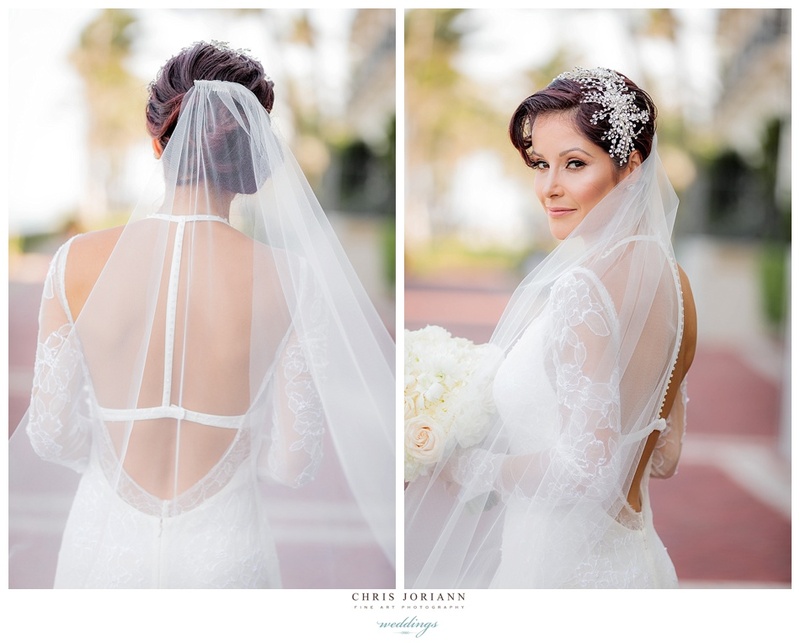 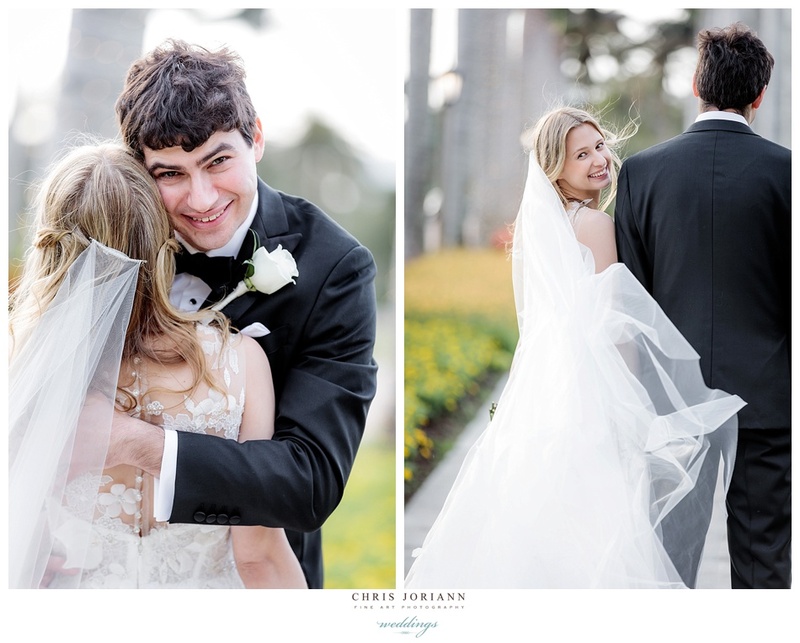 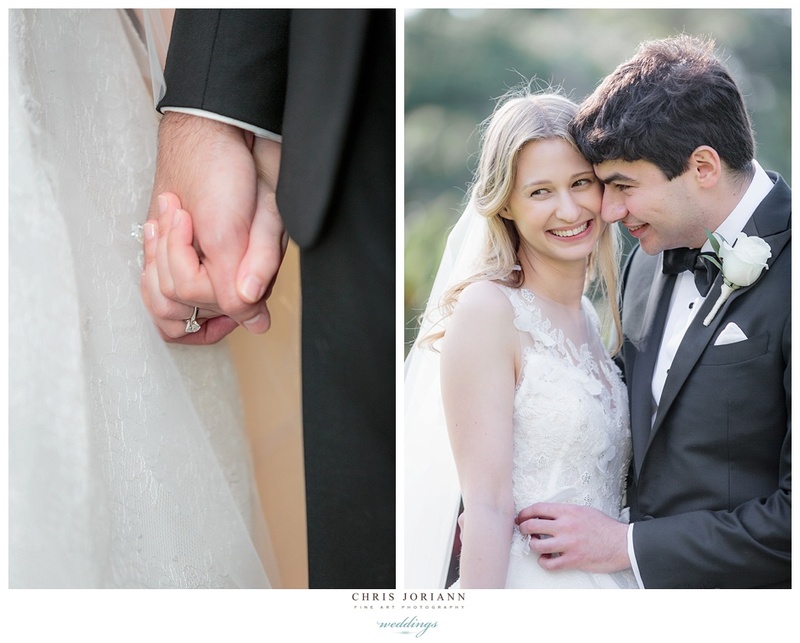 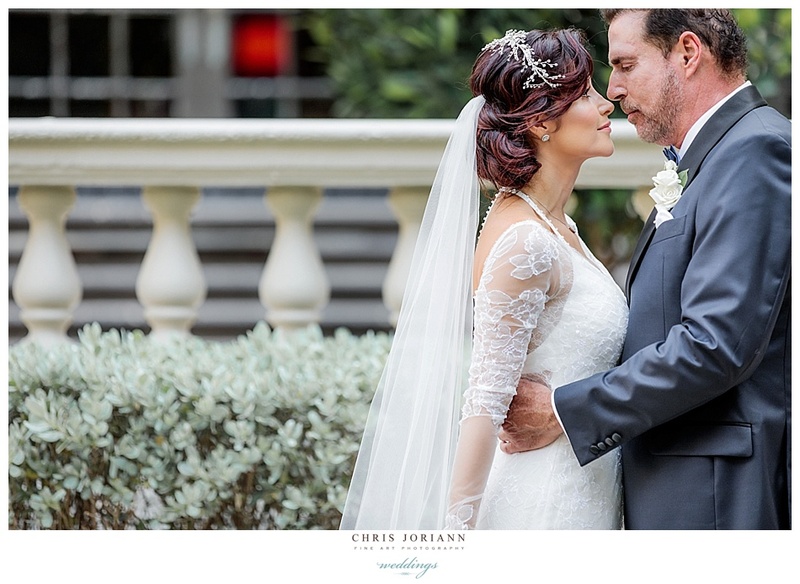 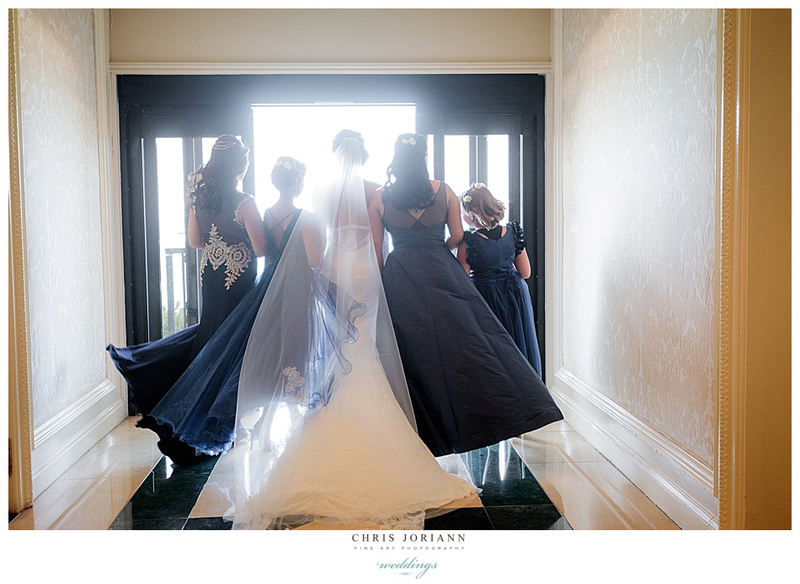 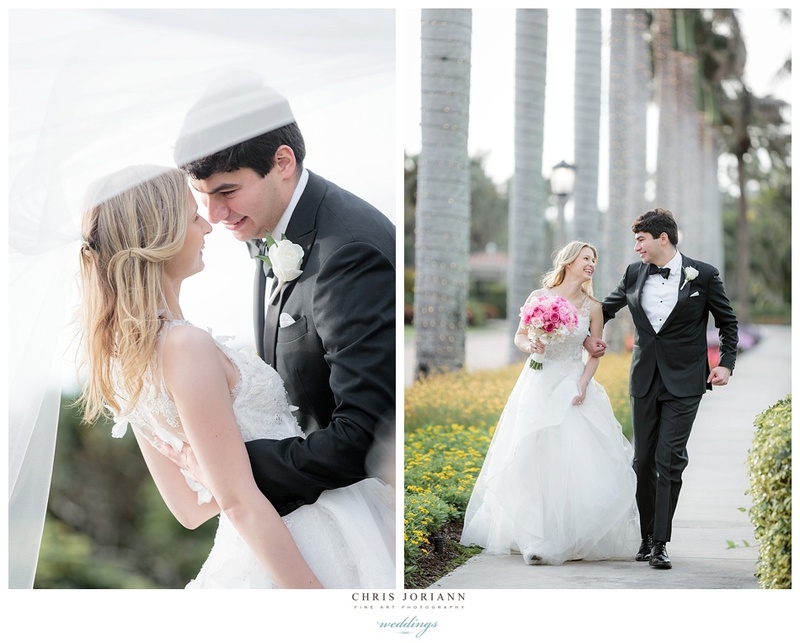 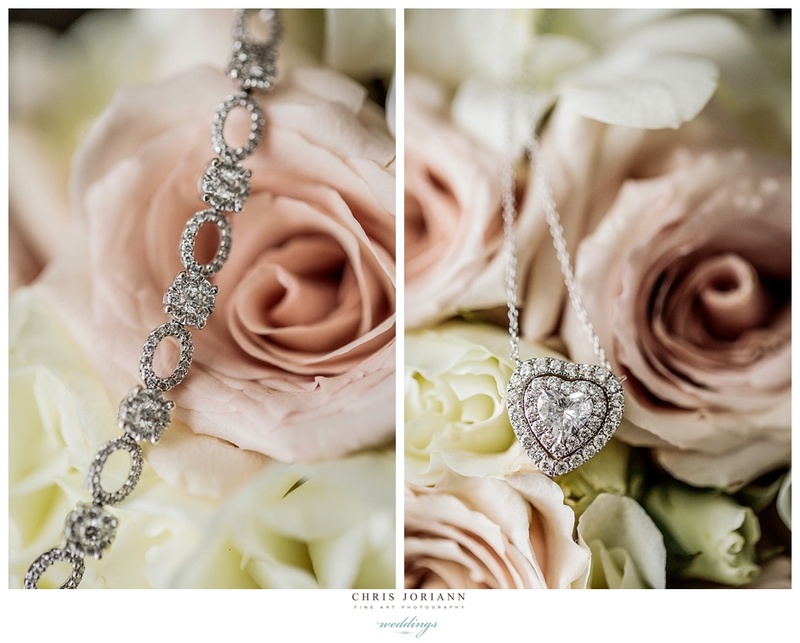 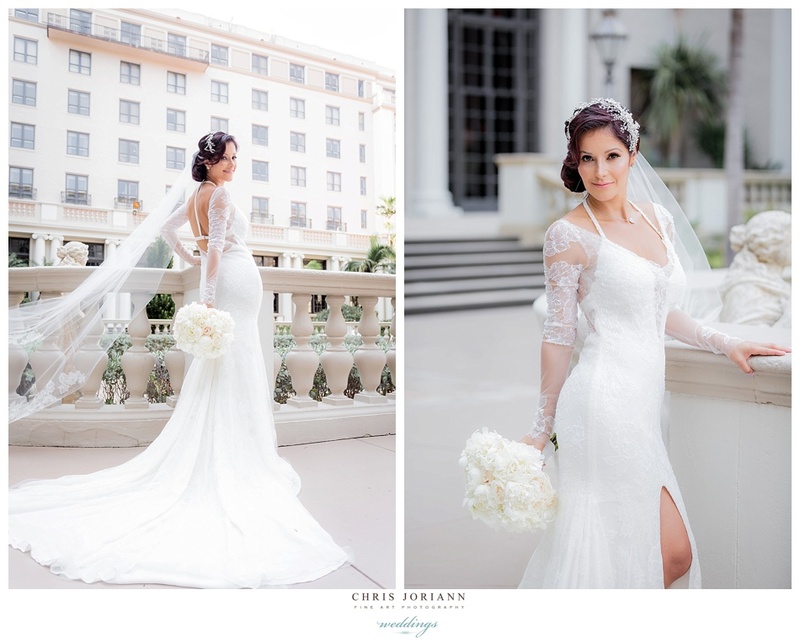 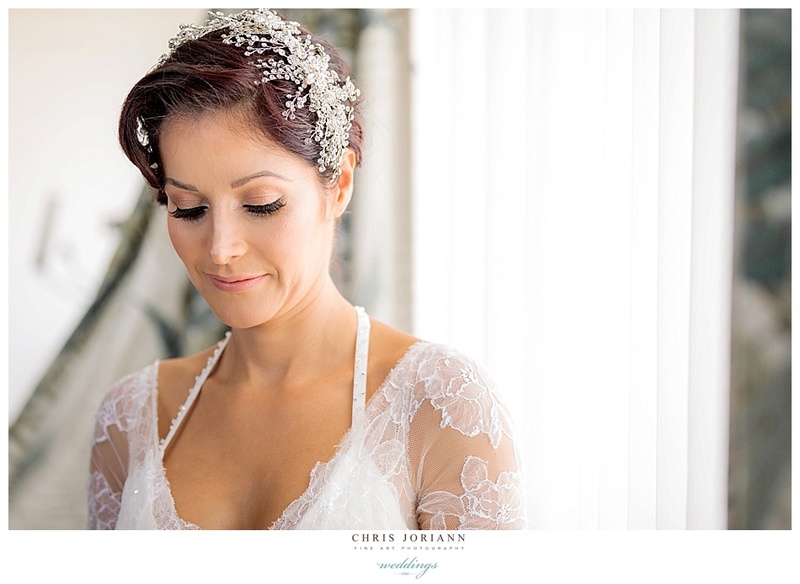 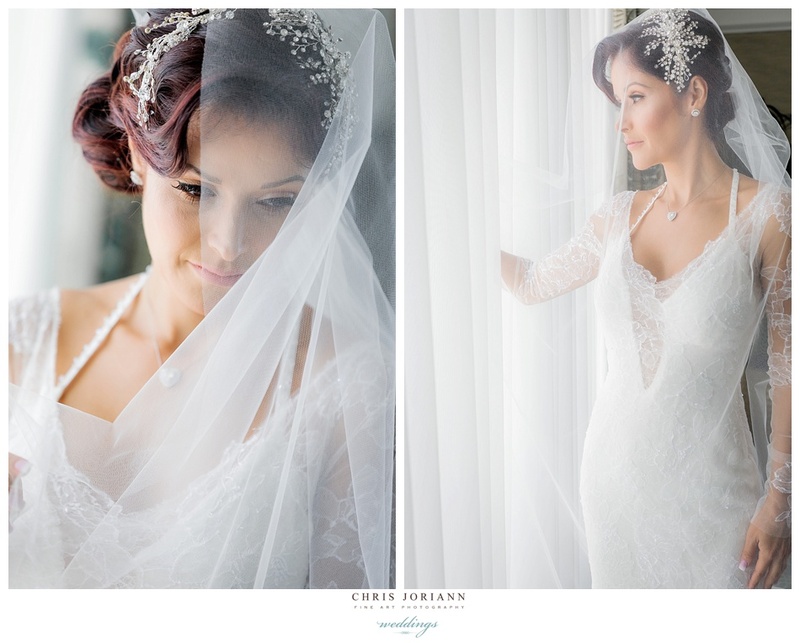 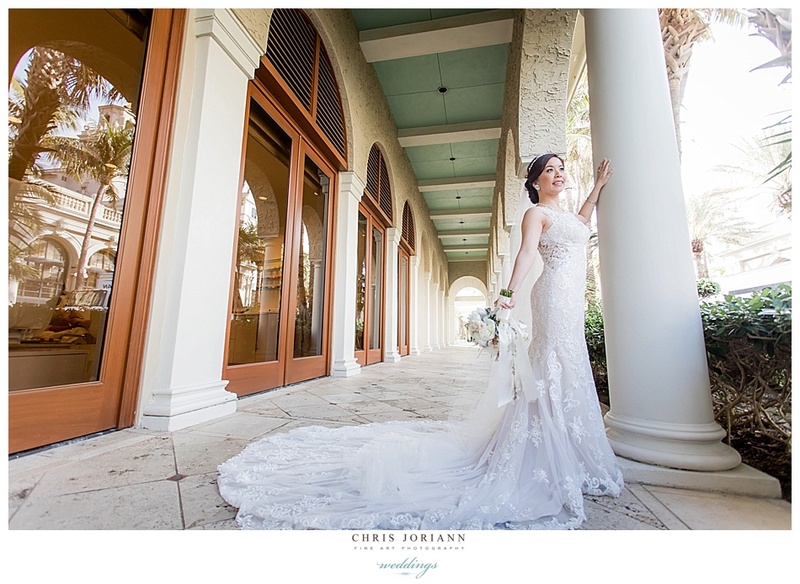 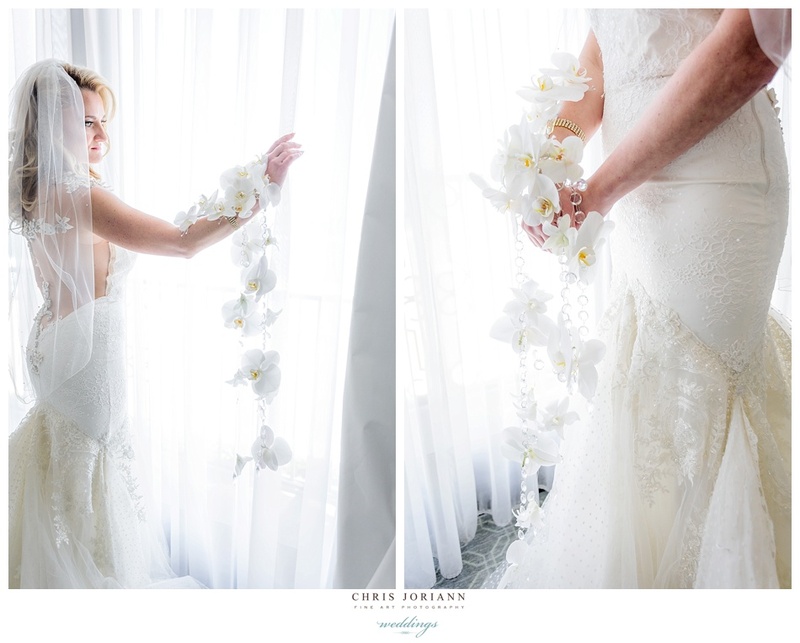 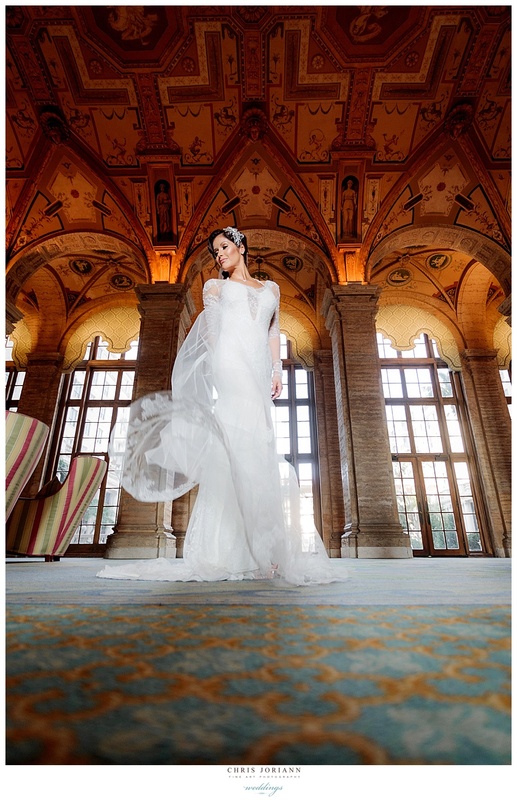 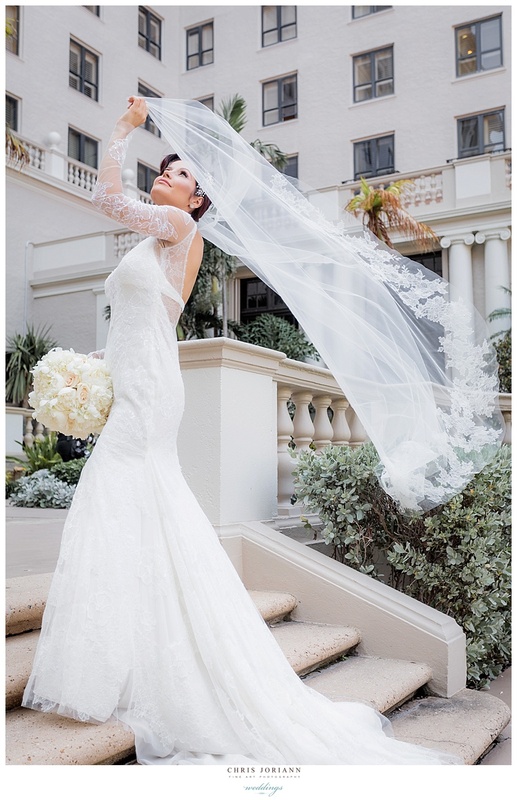 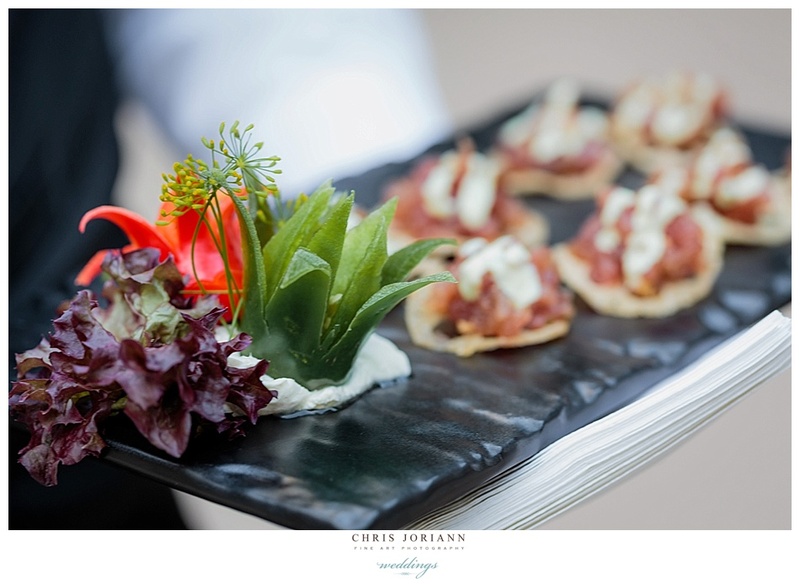 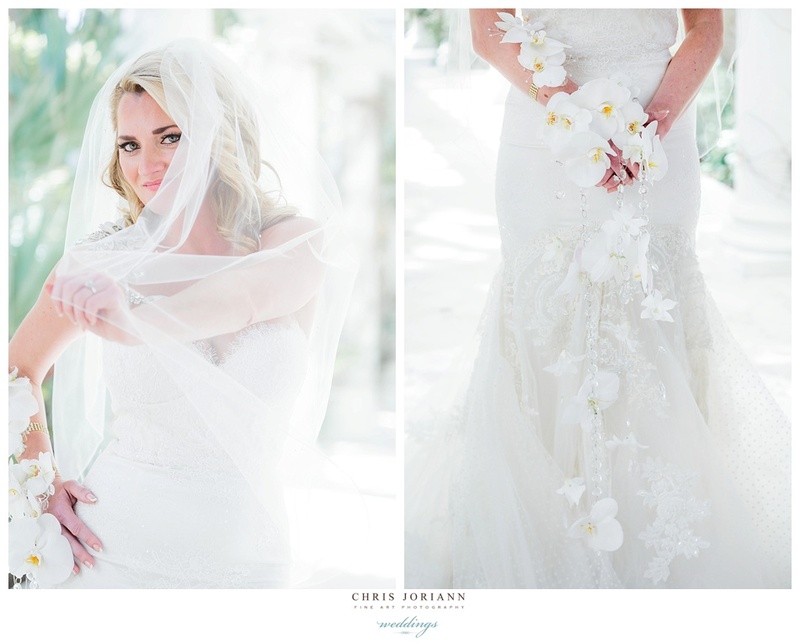 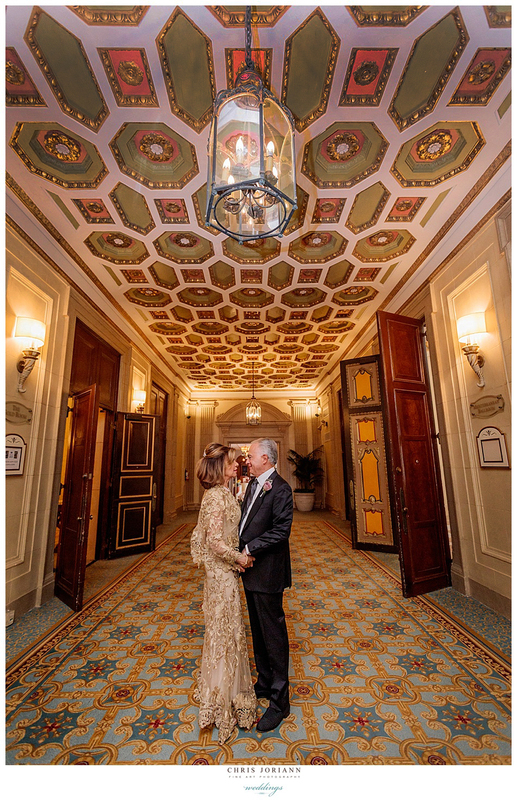 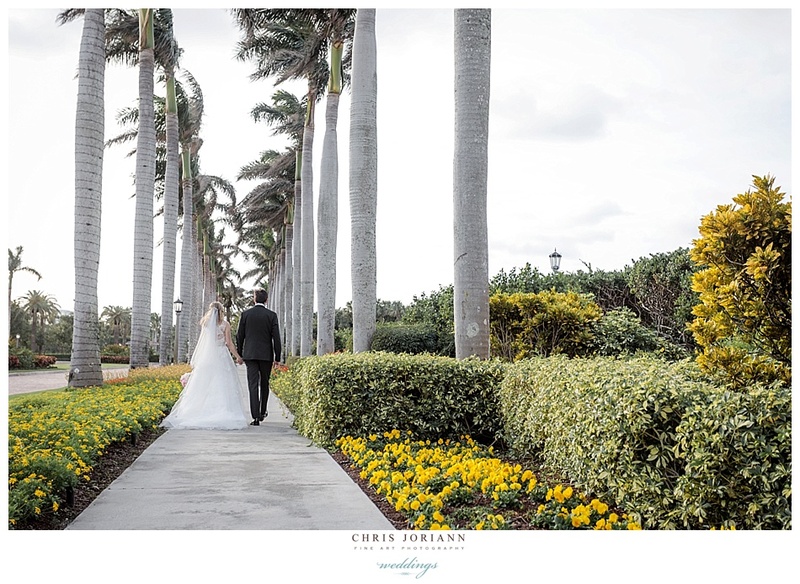 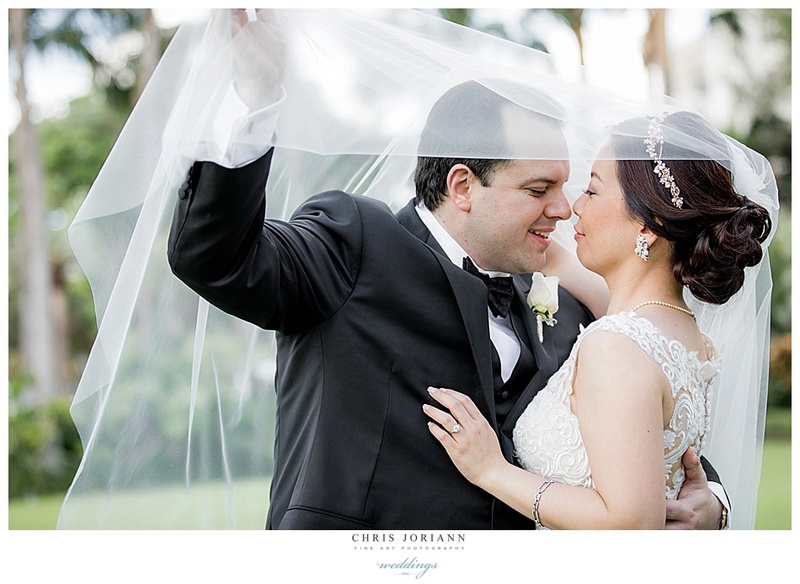 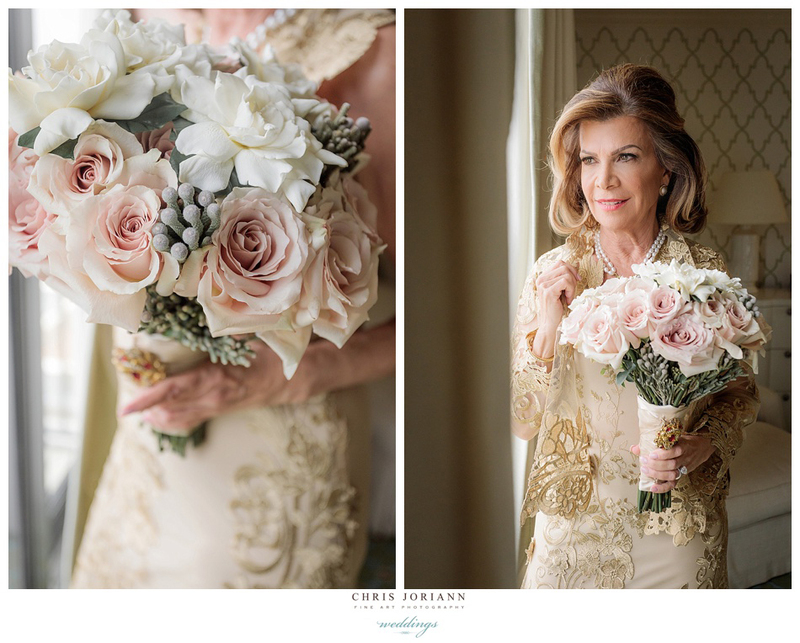 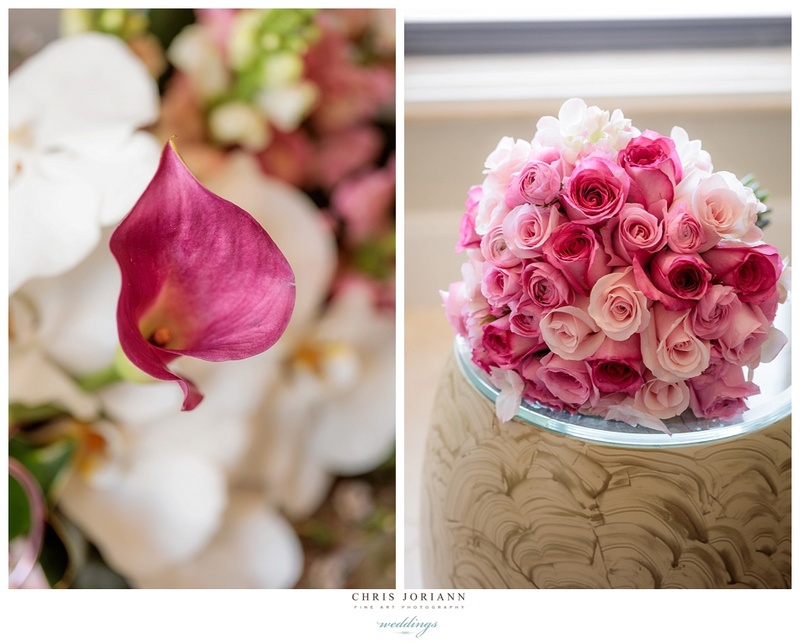 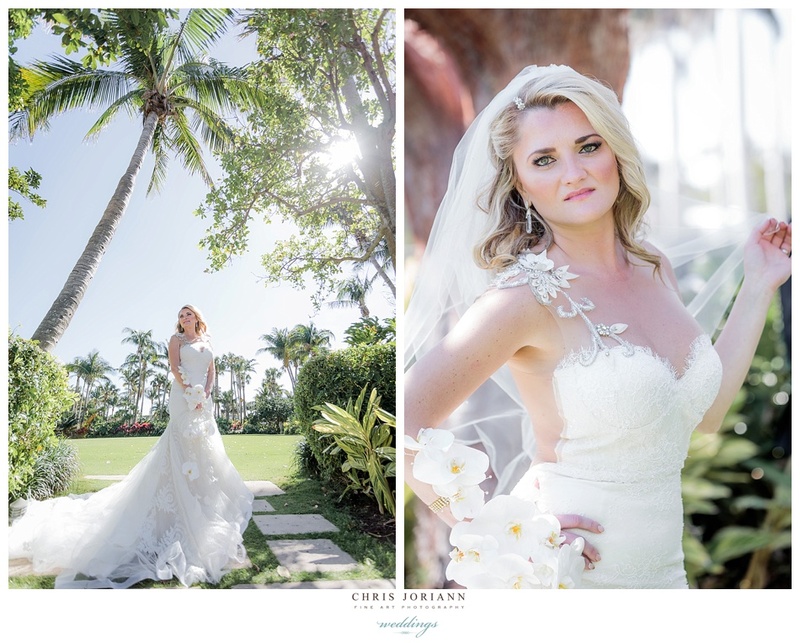 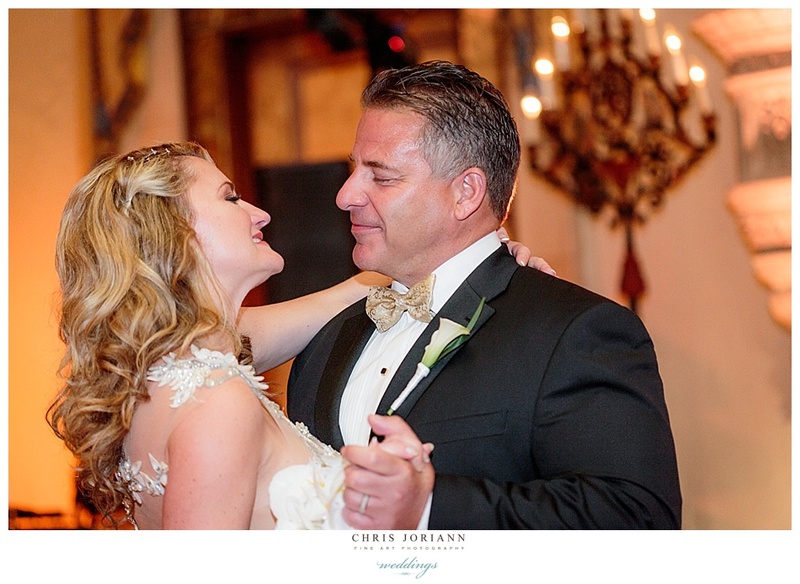 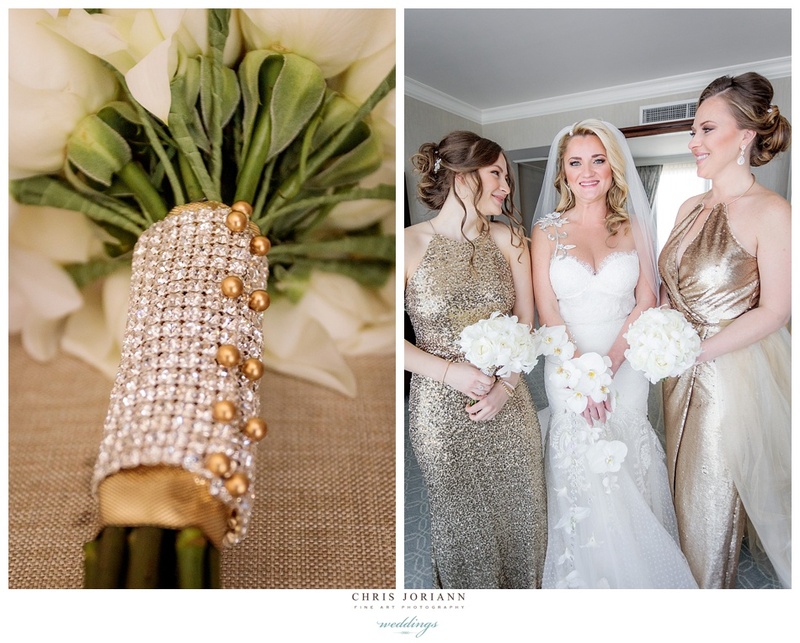 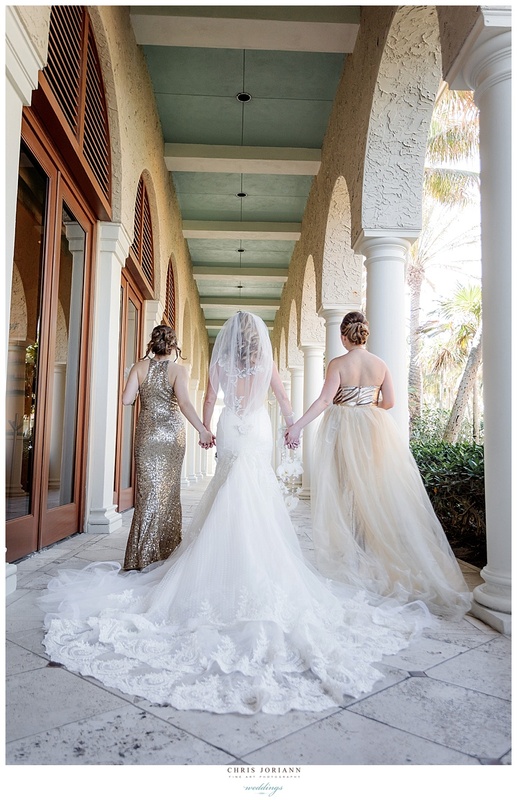 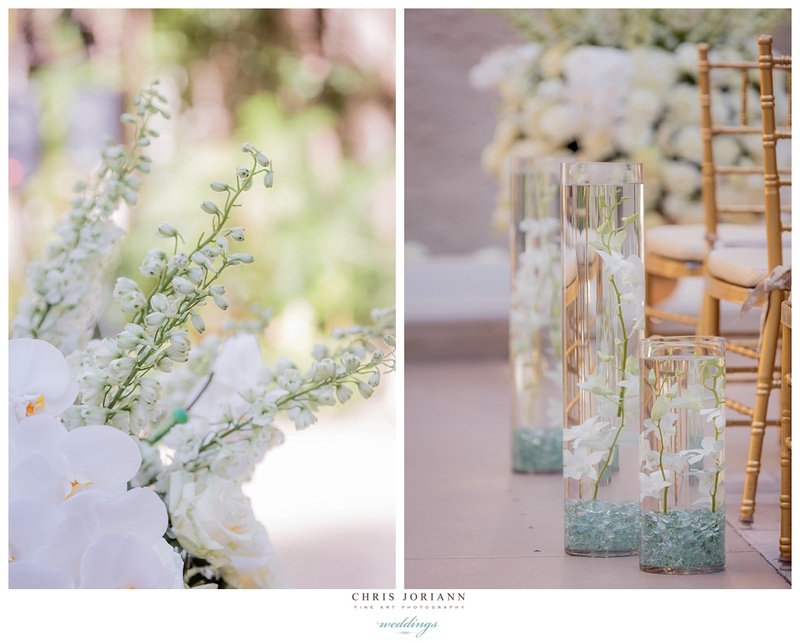 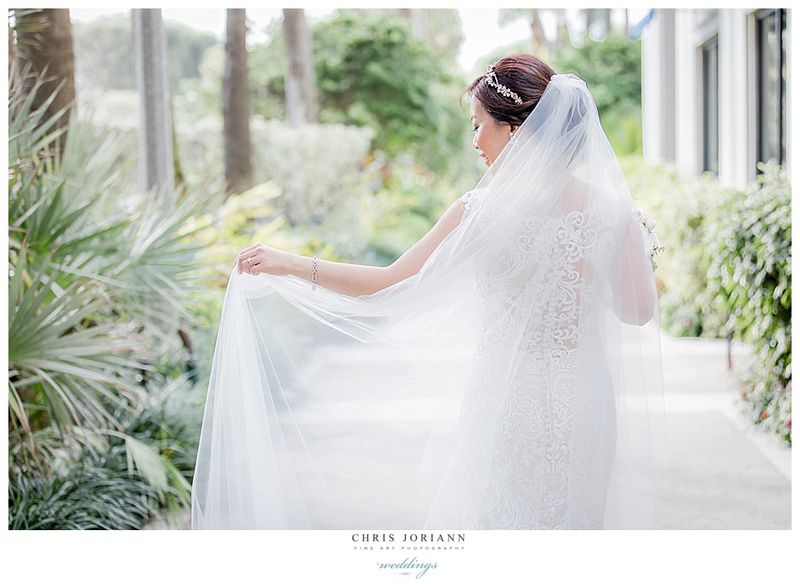 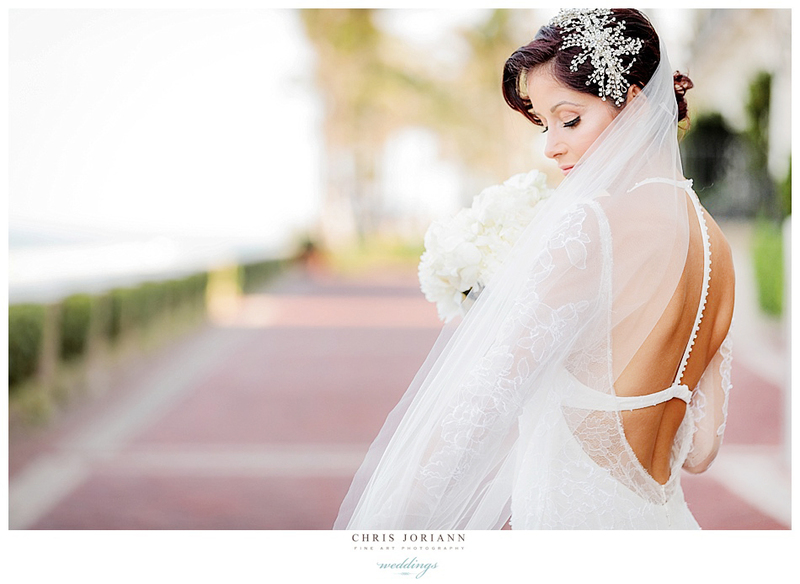 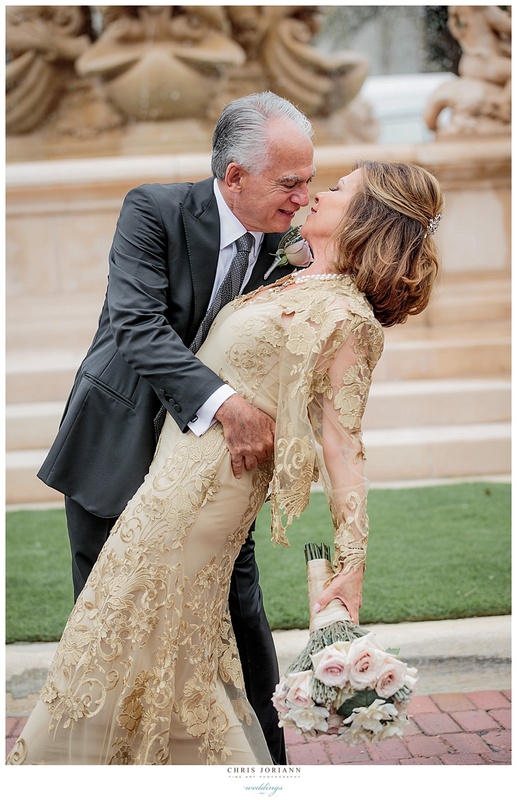 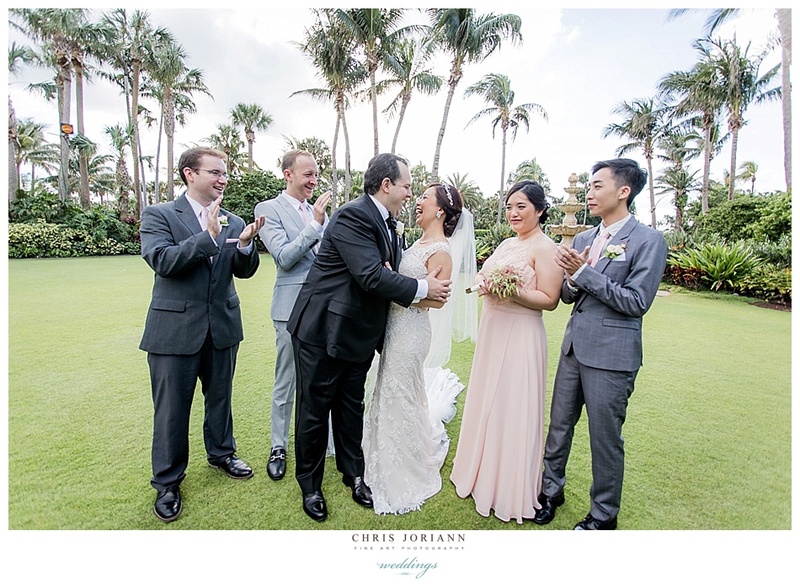 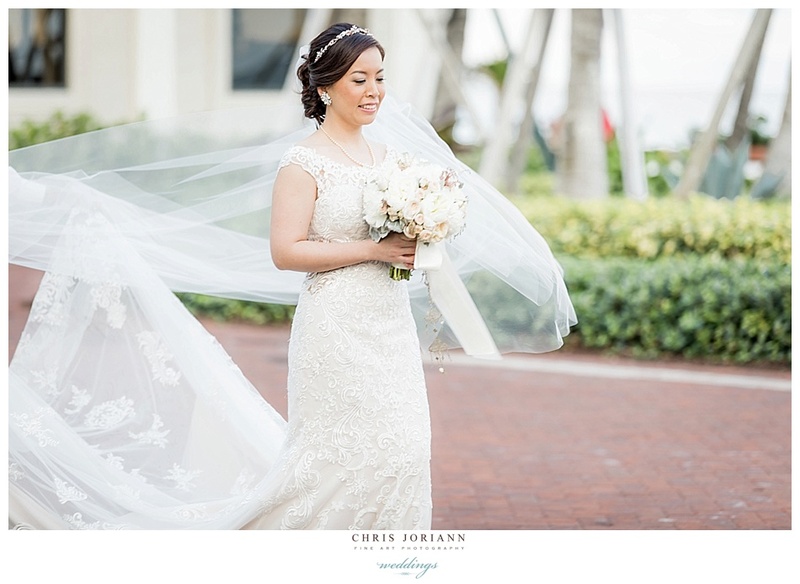 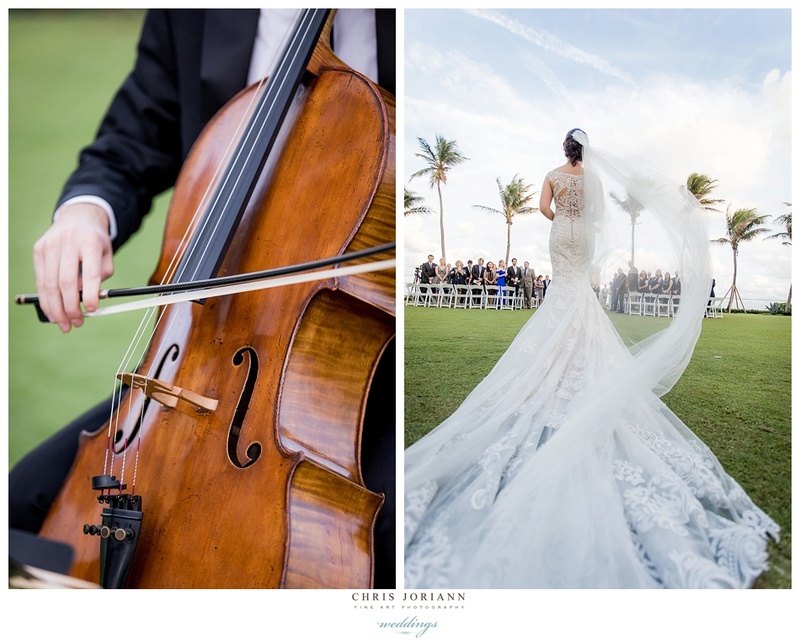 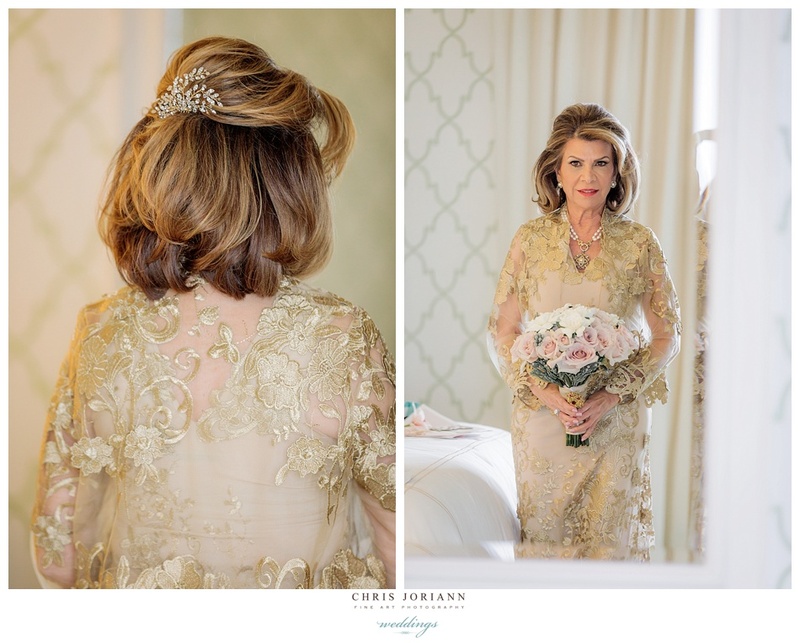 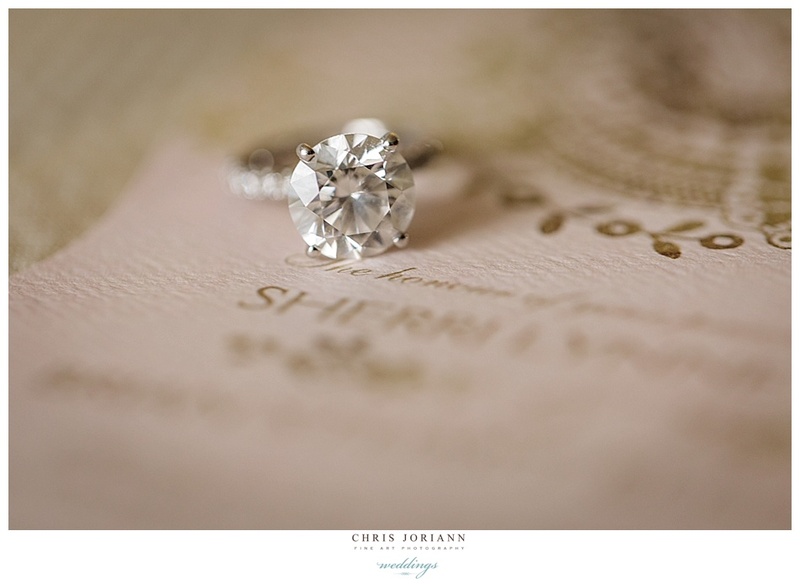 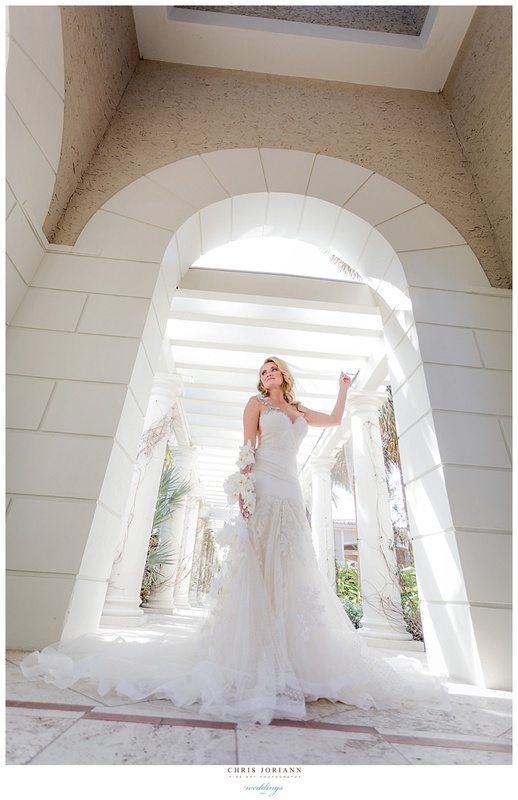 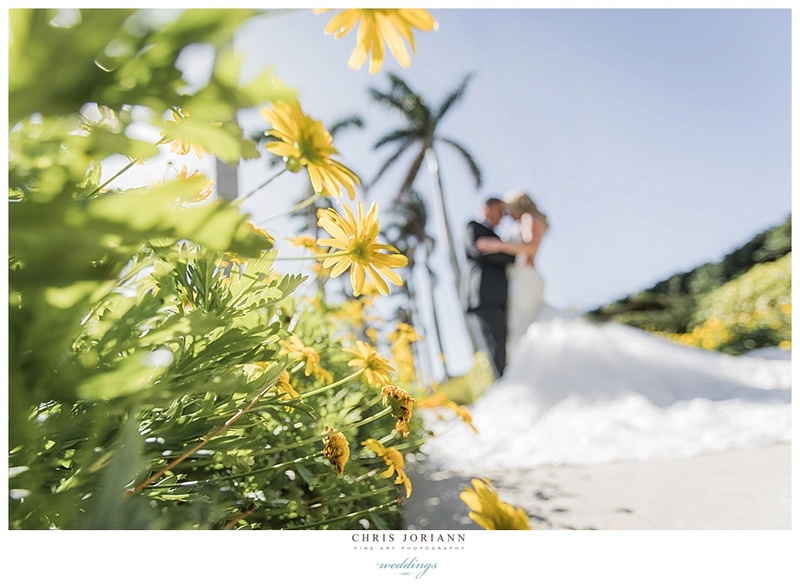 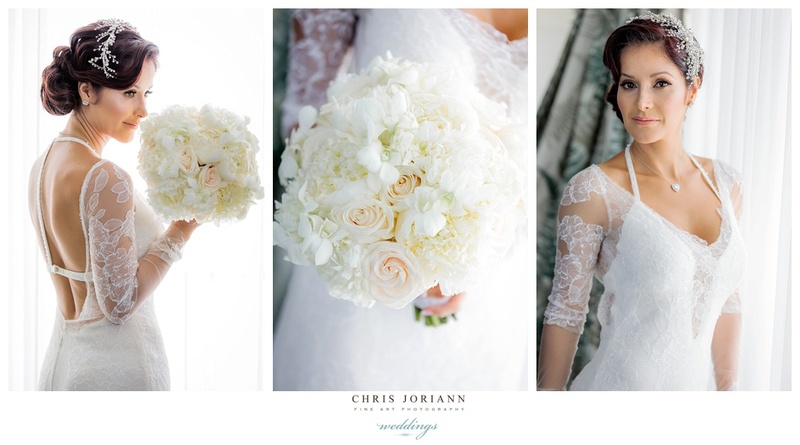 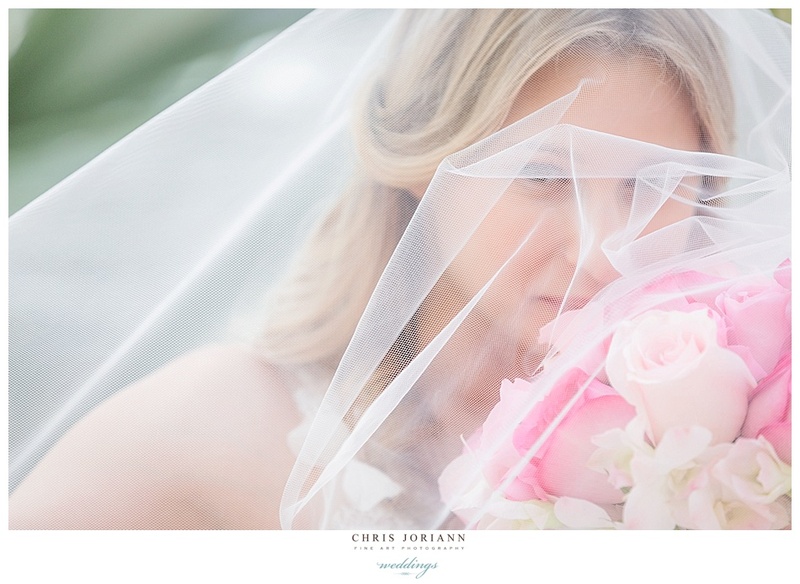 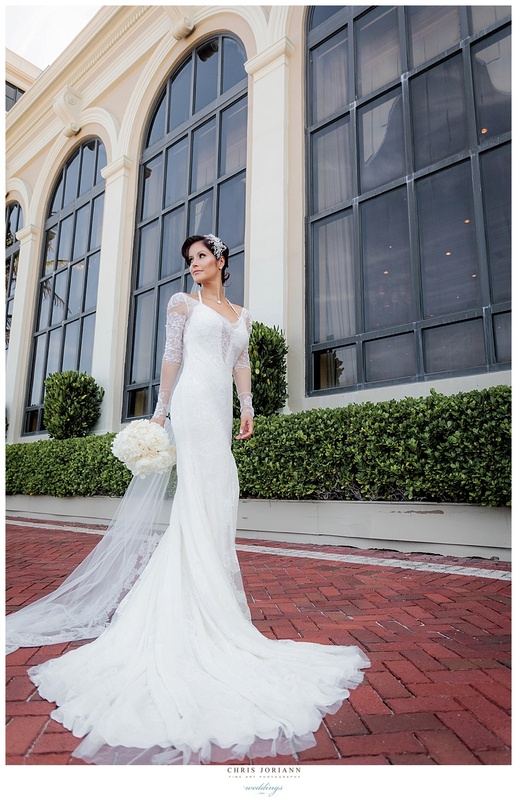 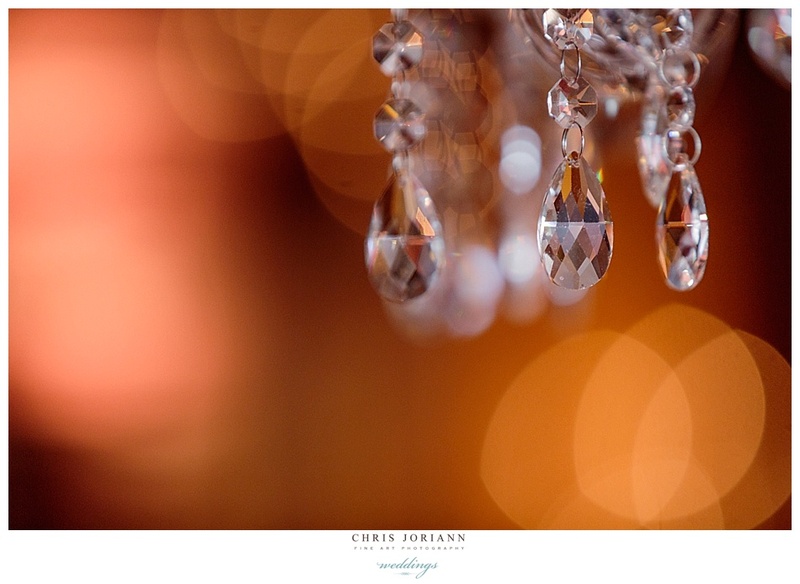 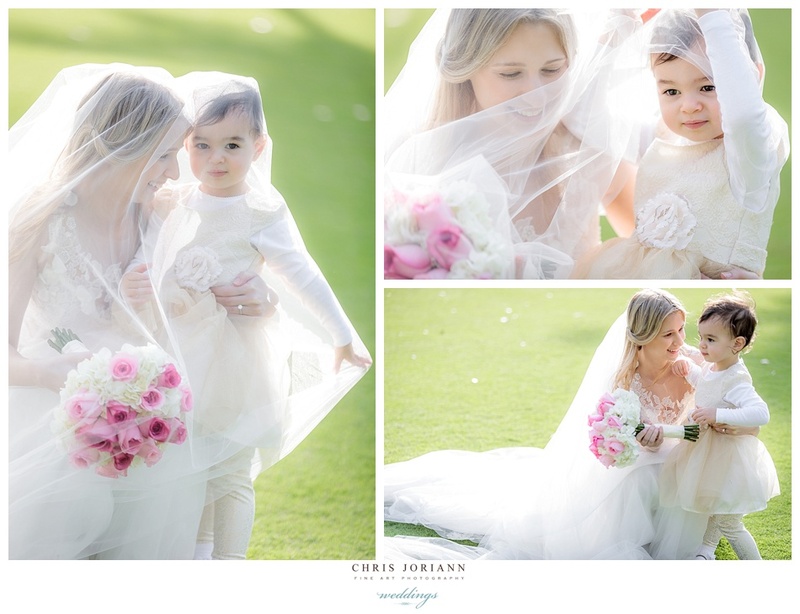 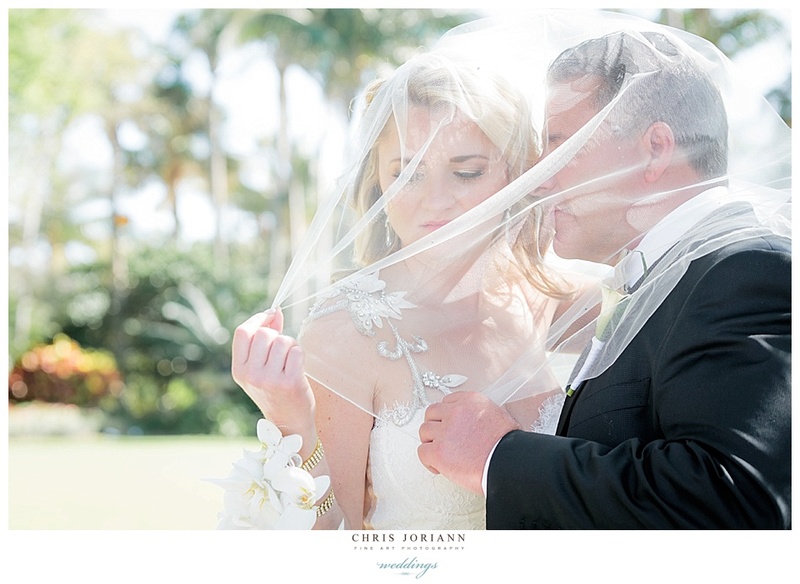 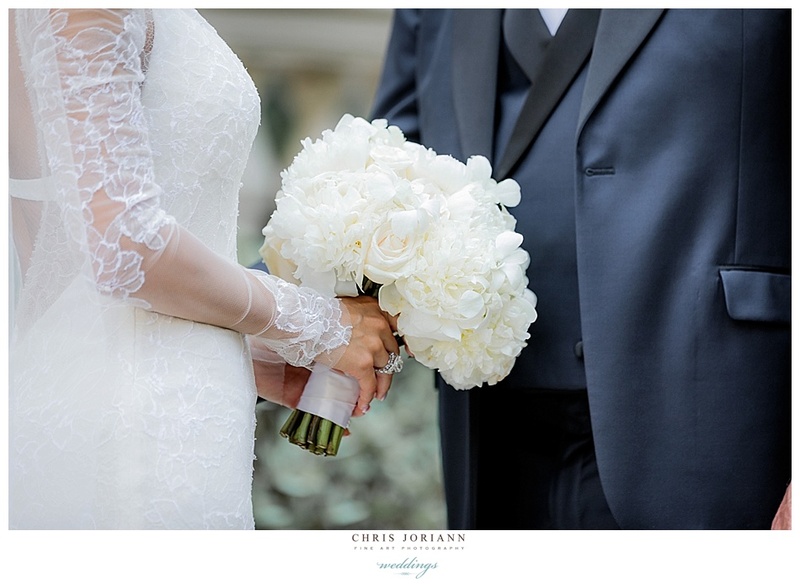 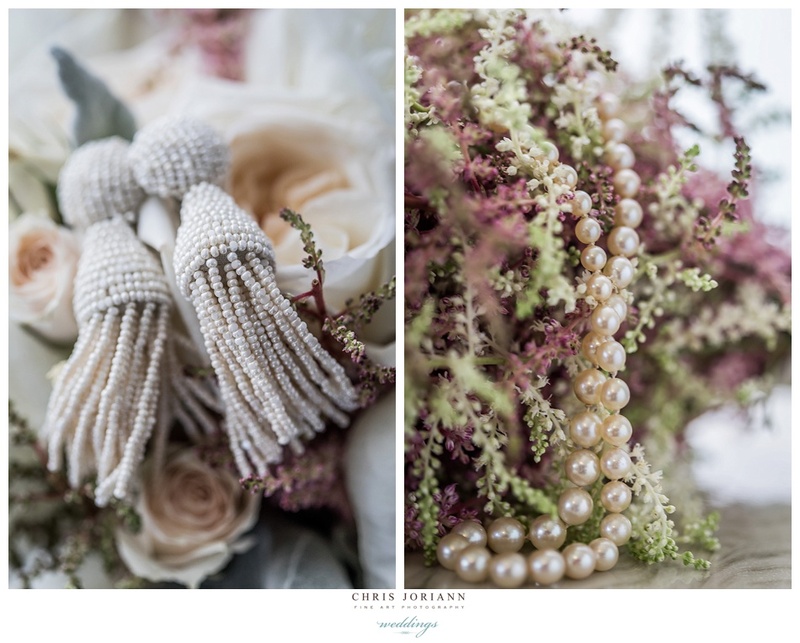 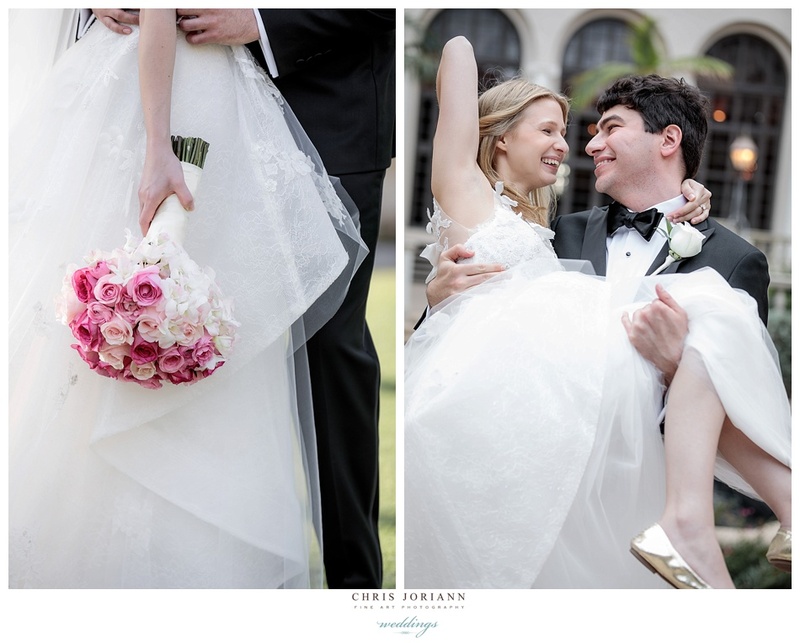 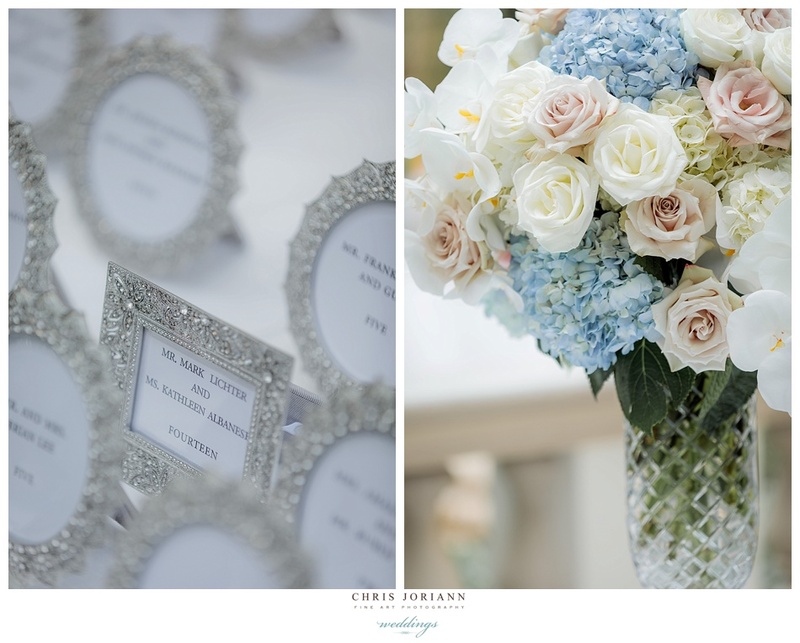 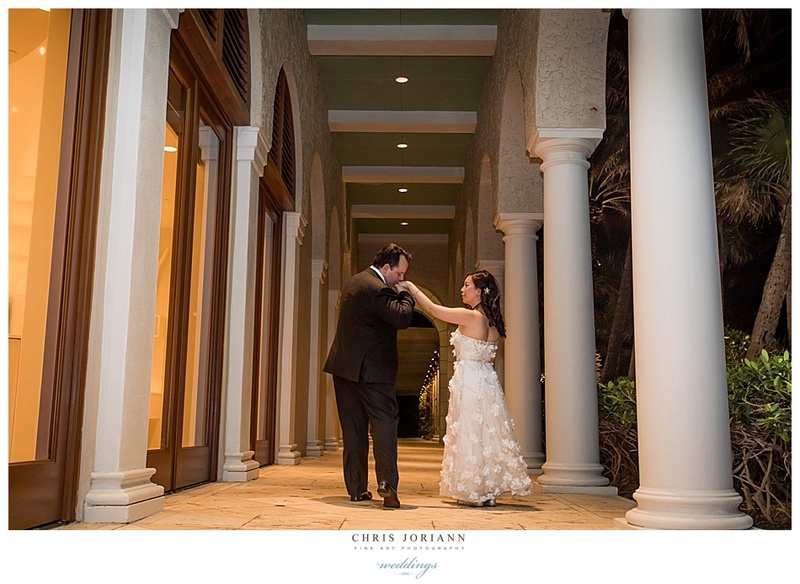 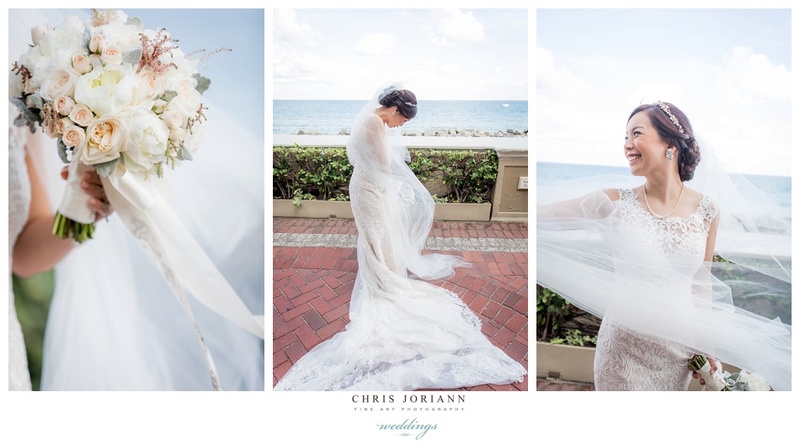 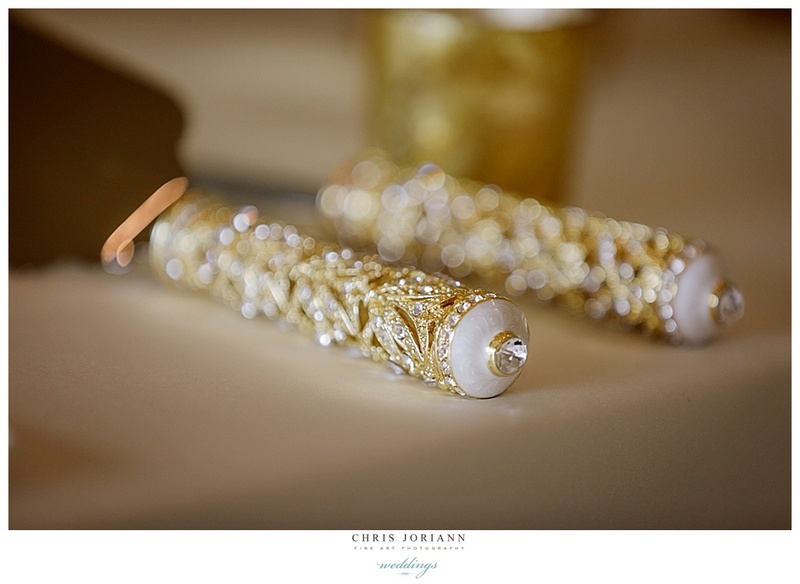 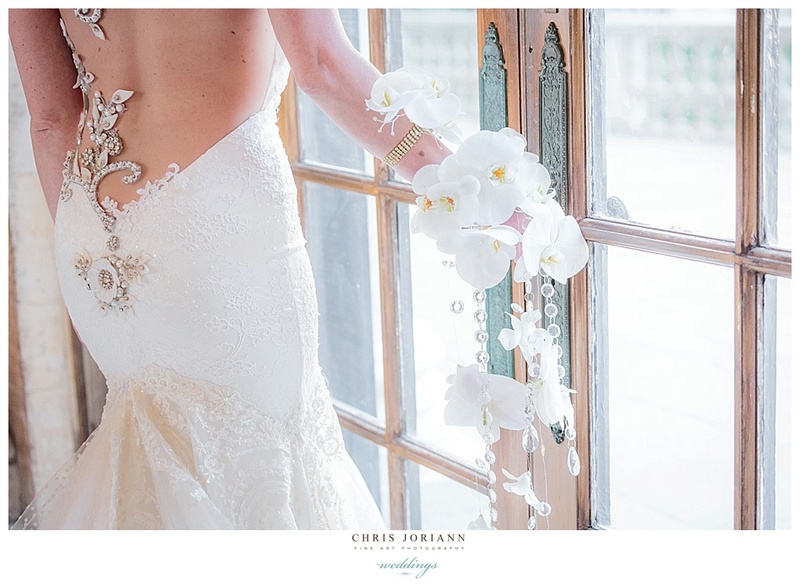 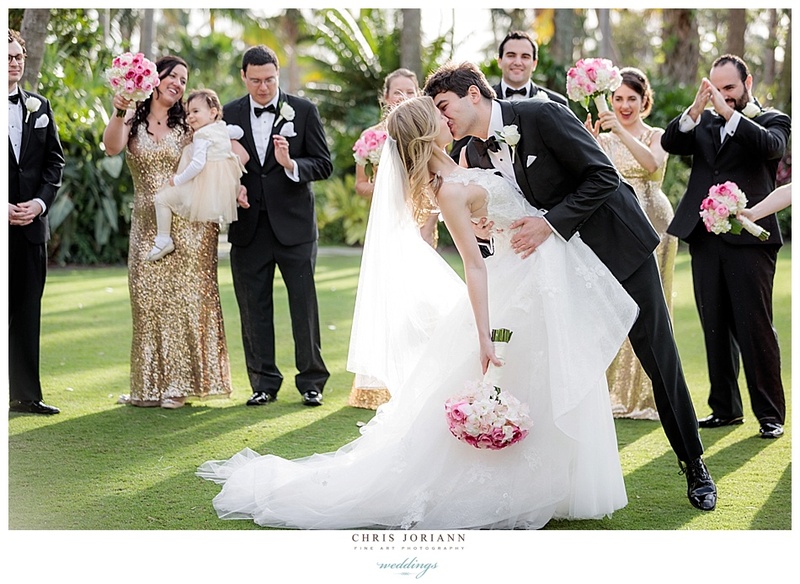 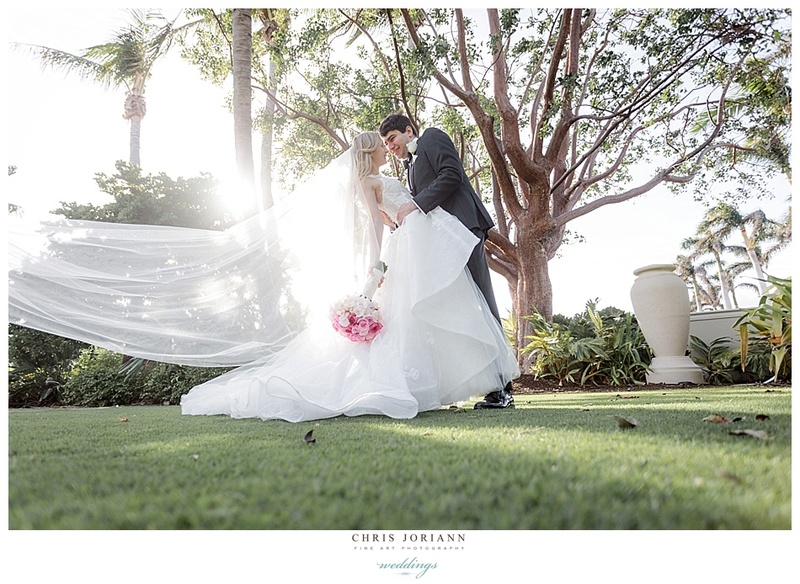 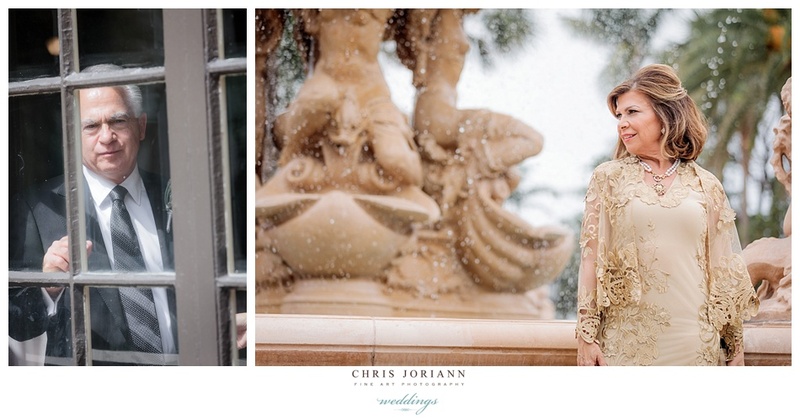 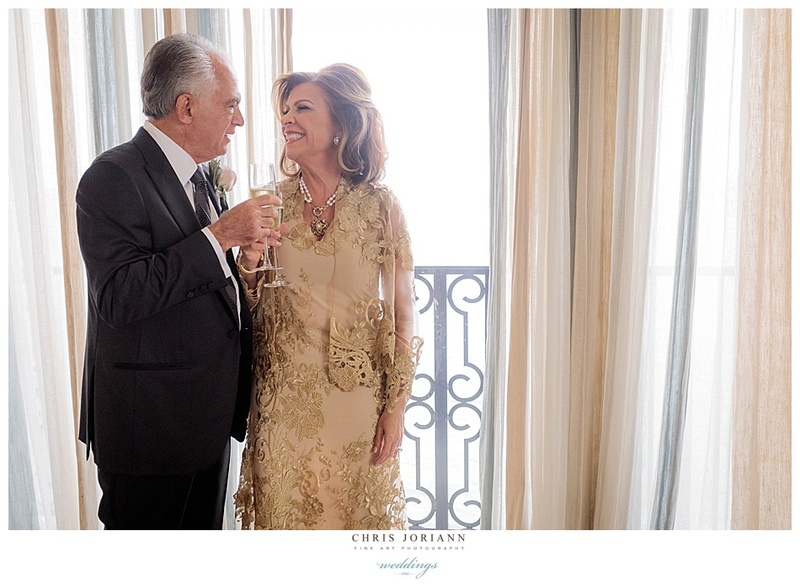 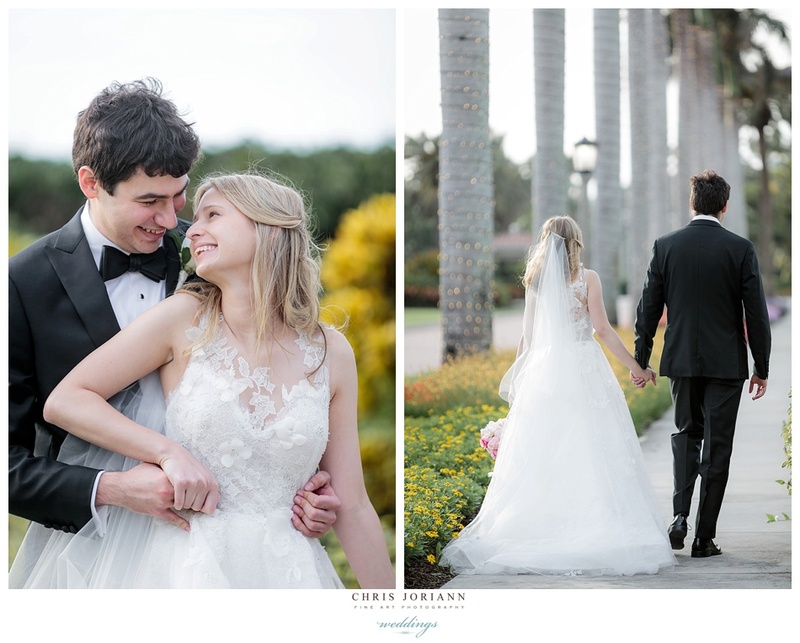 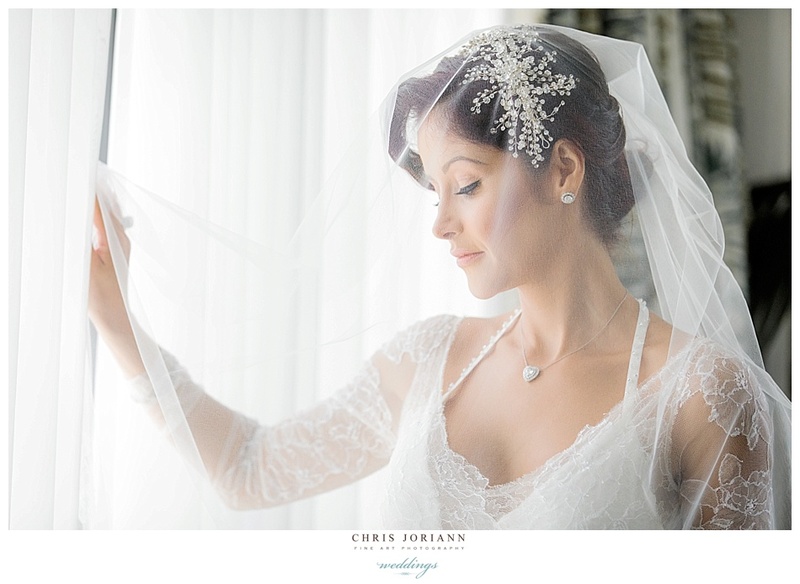 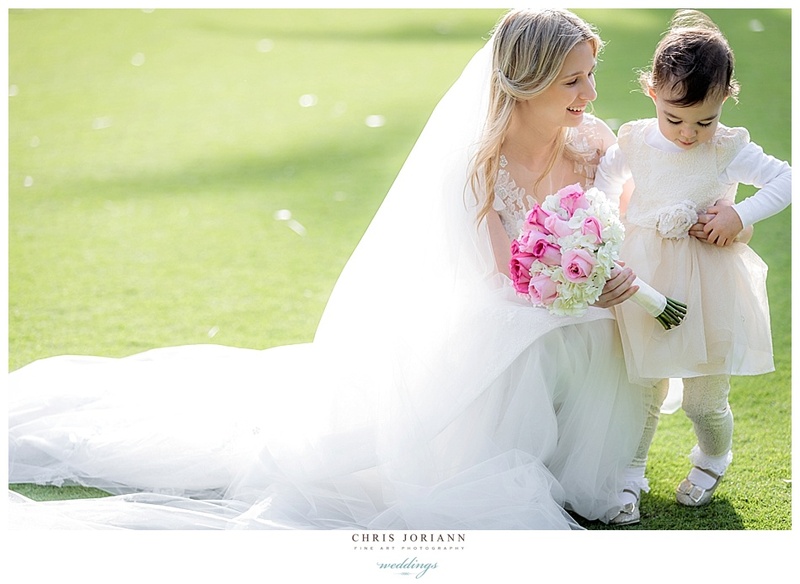 Kate + Carlos’ beautiful beachfront wedding took place at the The Breakers Palm Beach. 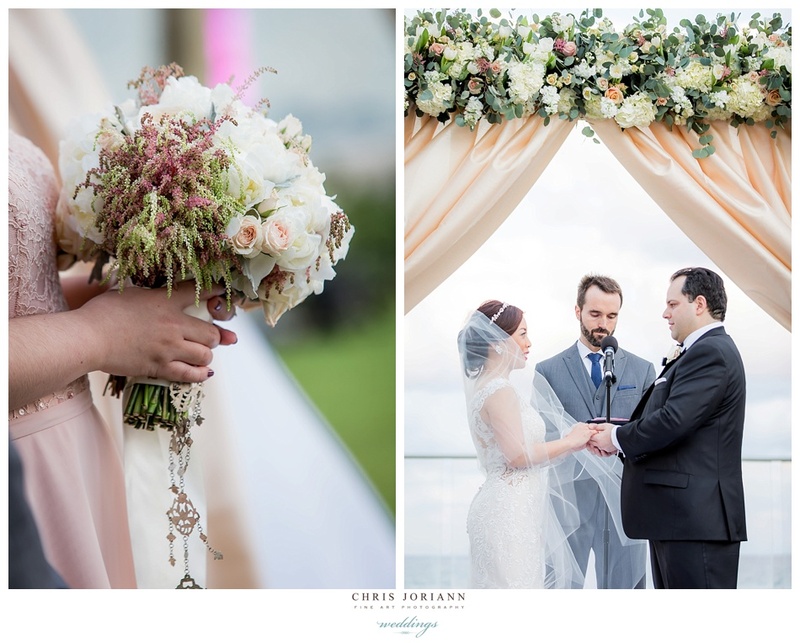 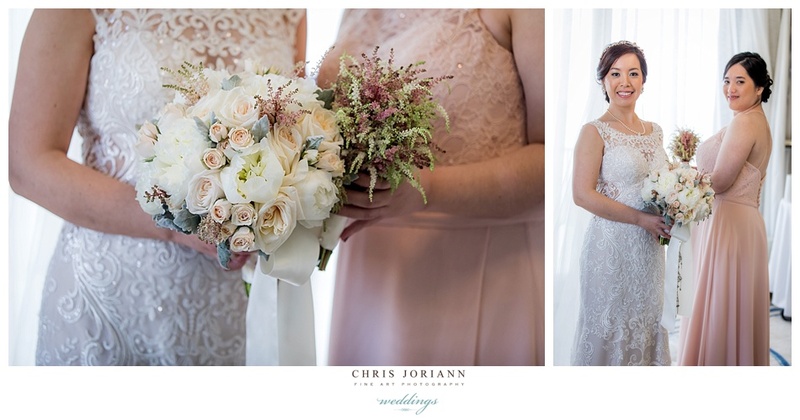 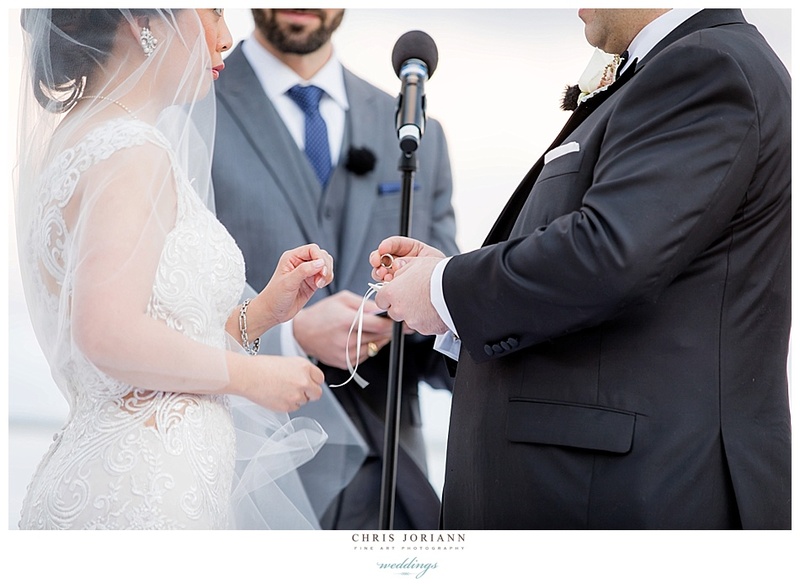 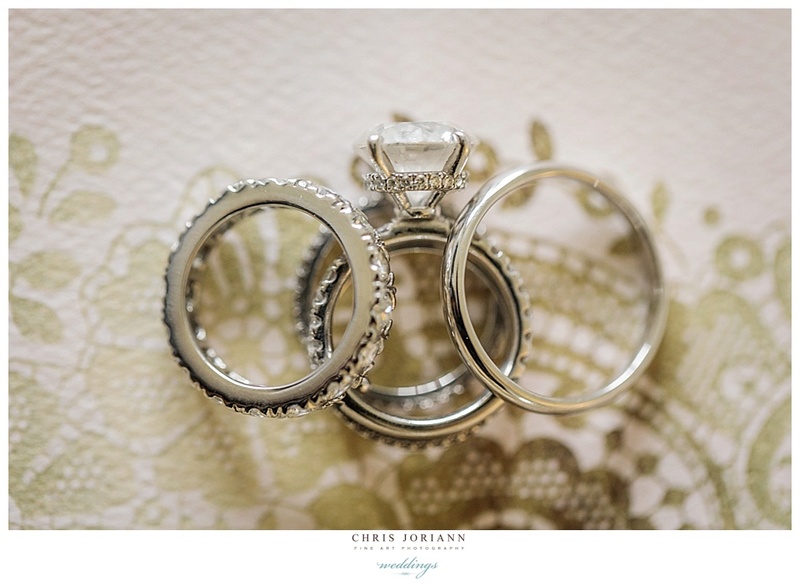 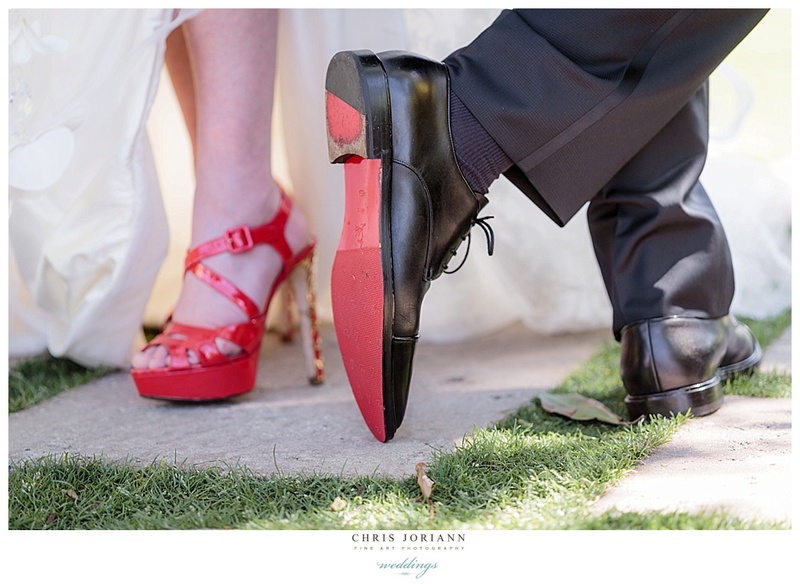 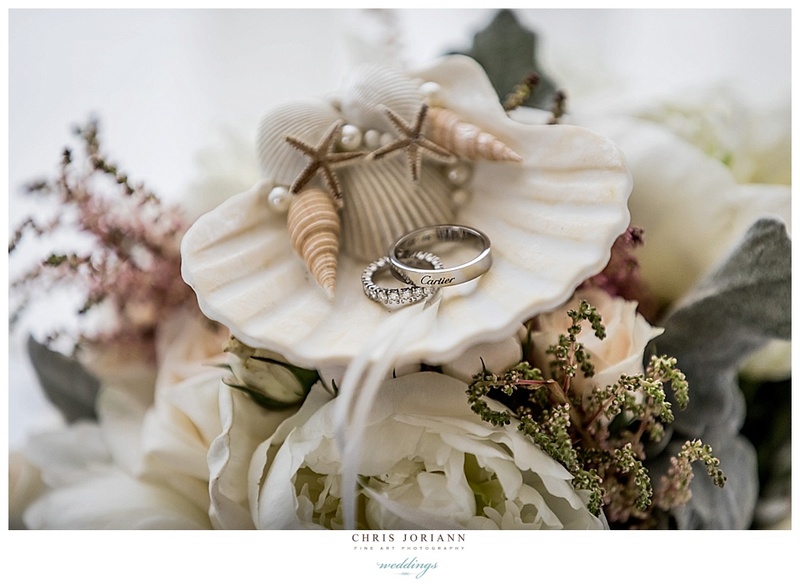 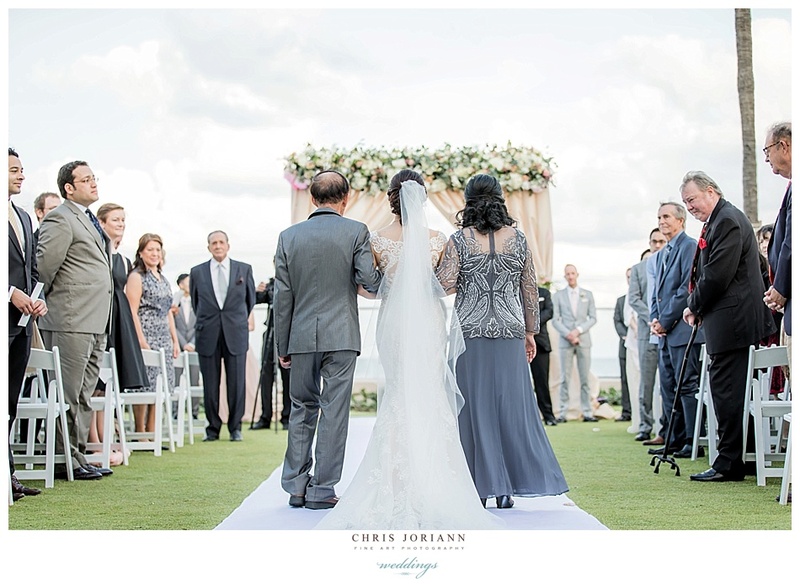 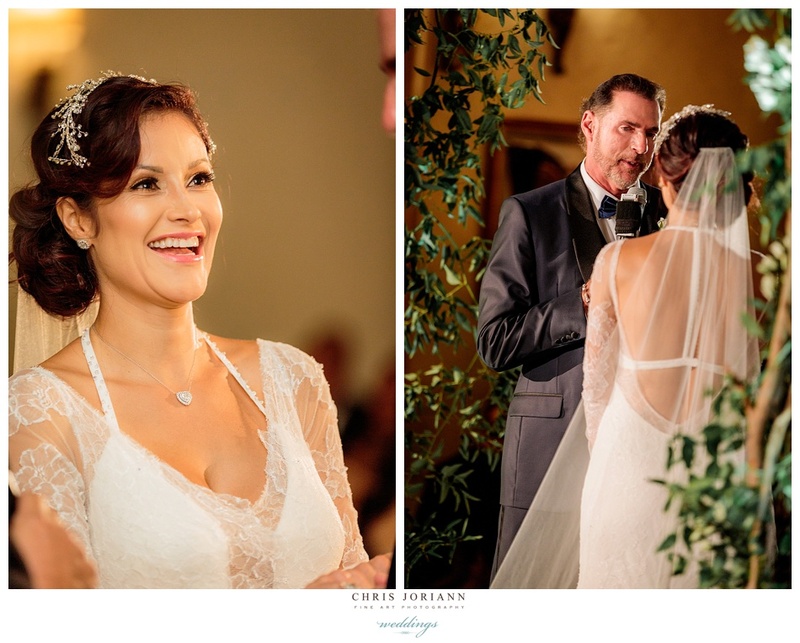 They exchanged vows in a ceremony overlooking the ocean. 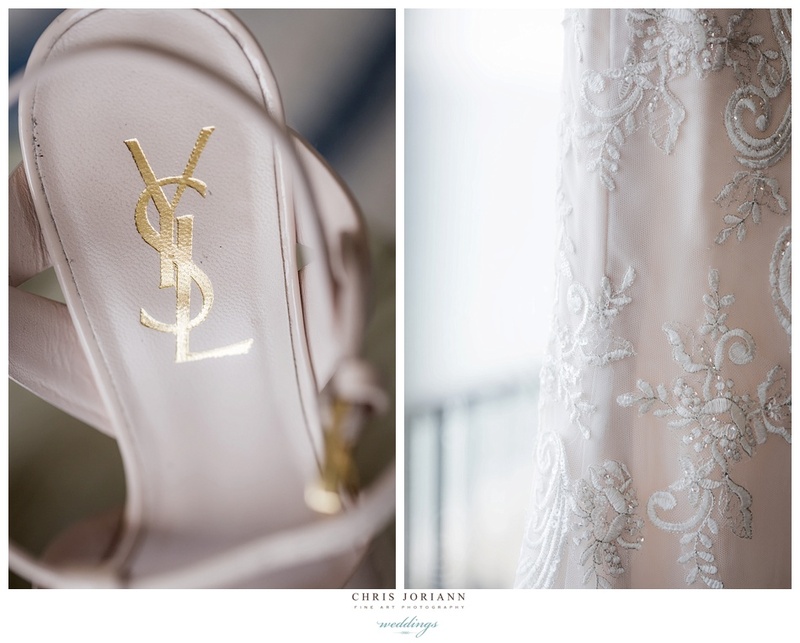 The bride glided down the aisle in to die for YSL blush shoes, matched with a lace couture gown with a blush underlay by Essense of Australia. 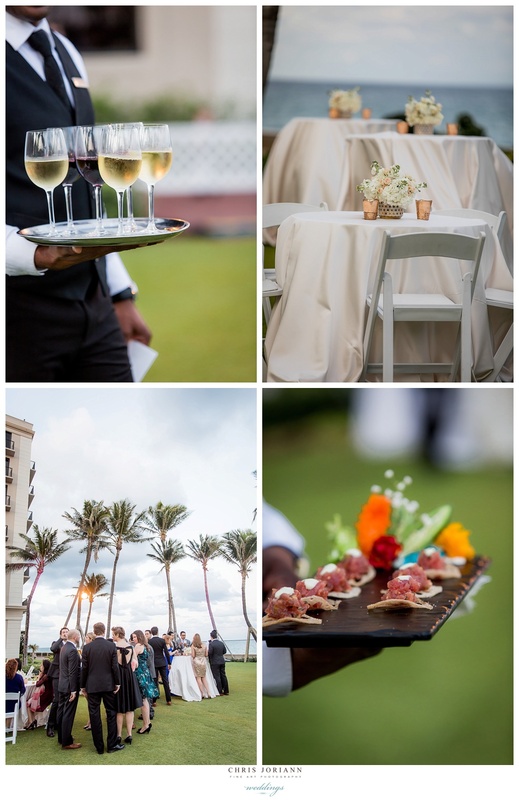 The Beach Club, was host to a romantic reception managed by Katie Gillespie for The Breakers. 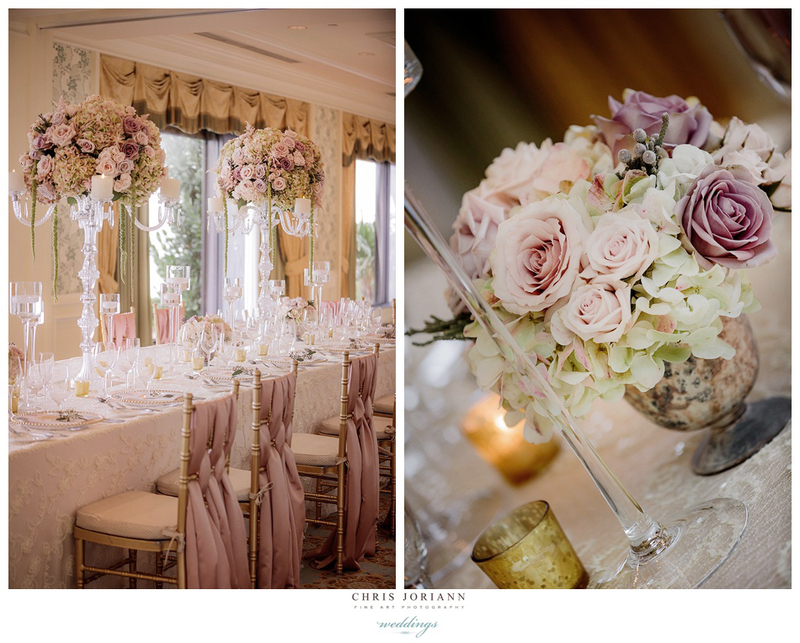 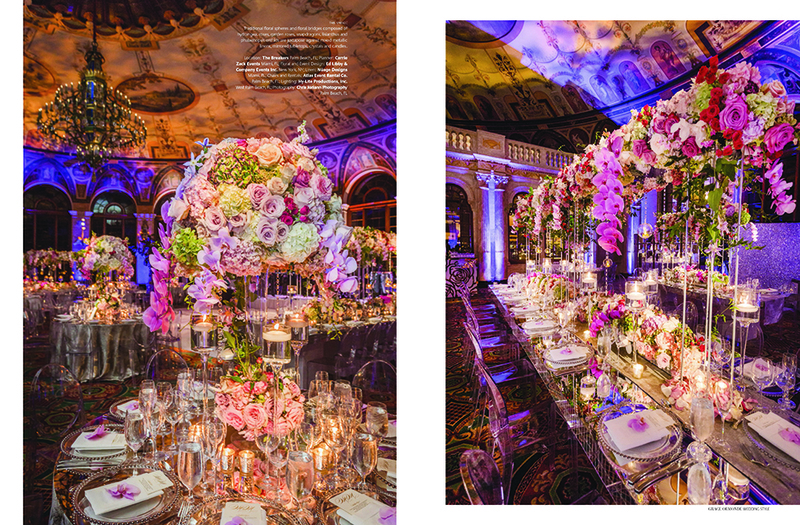 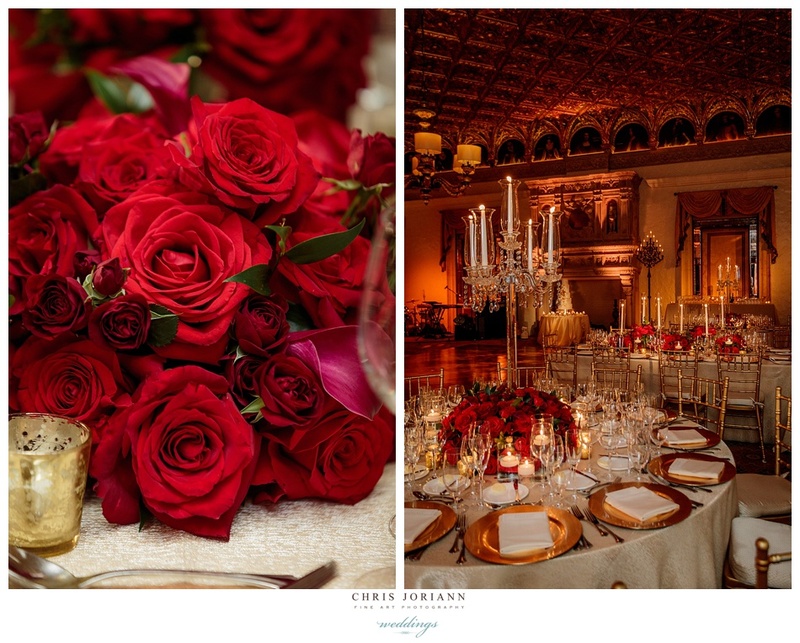 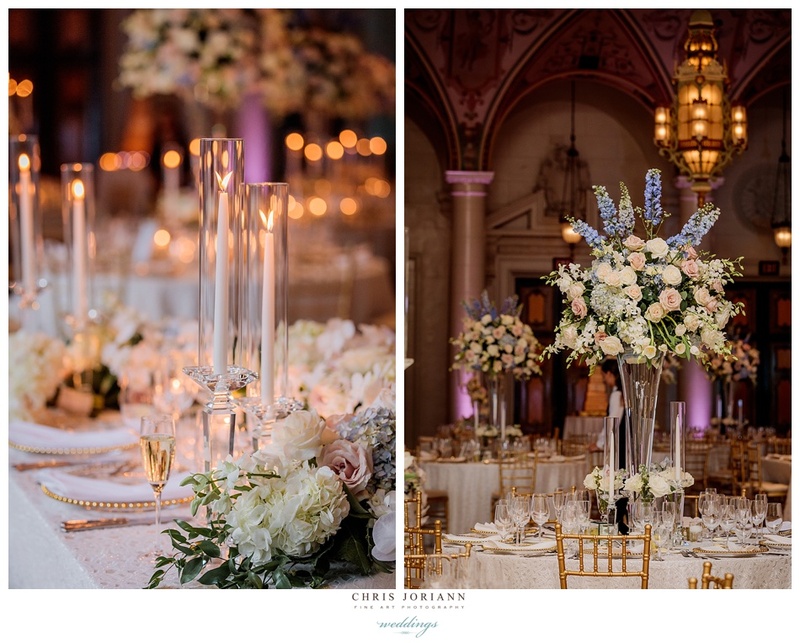 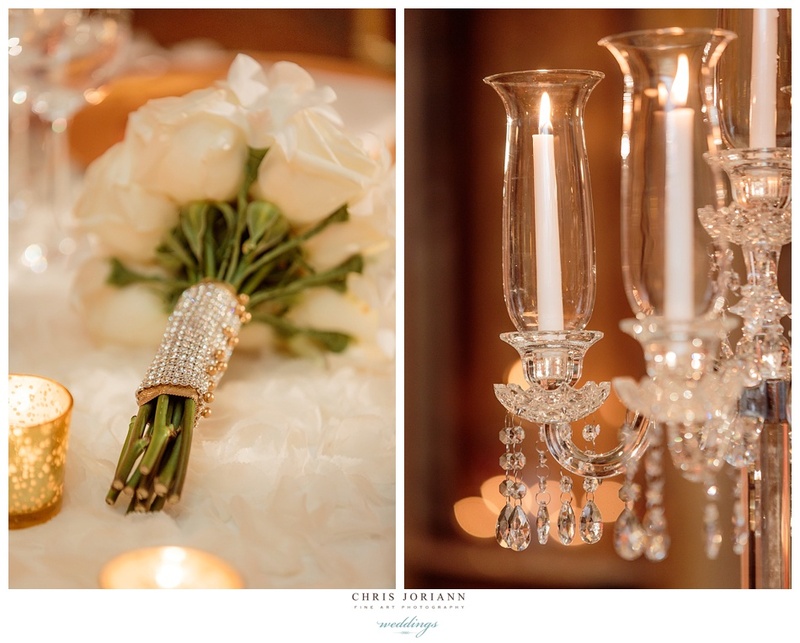 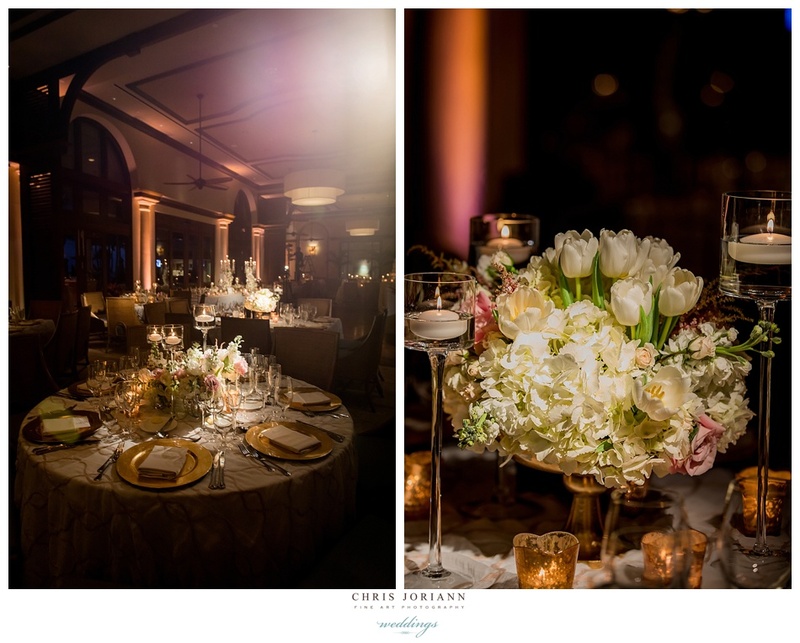 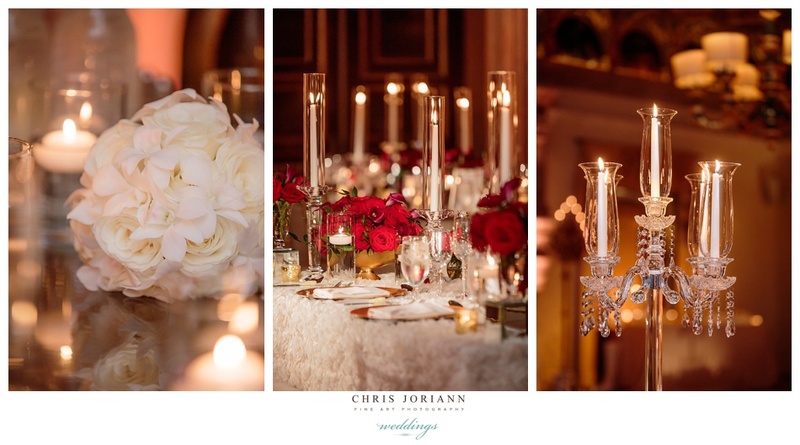 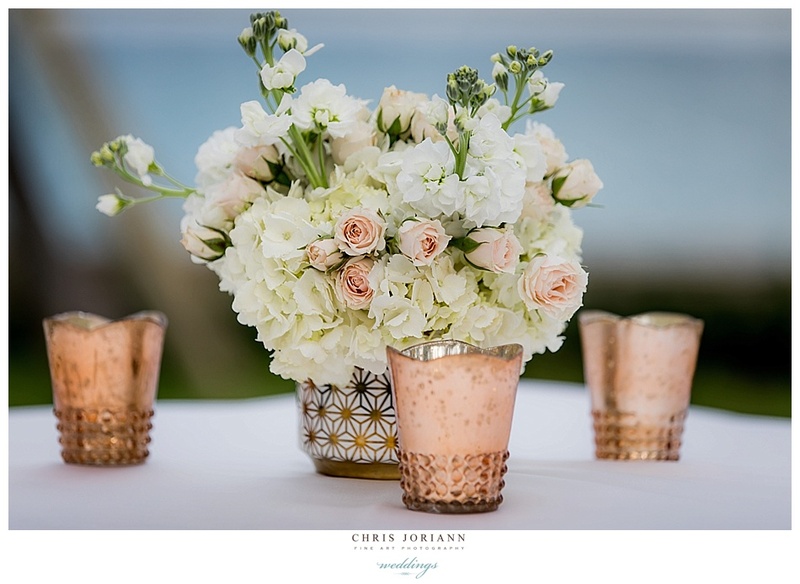 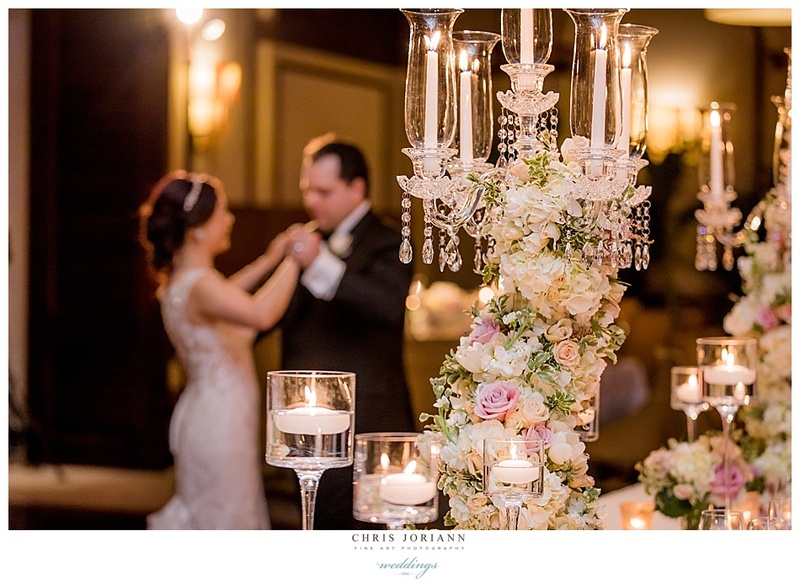 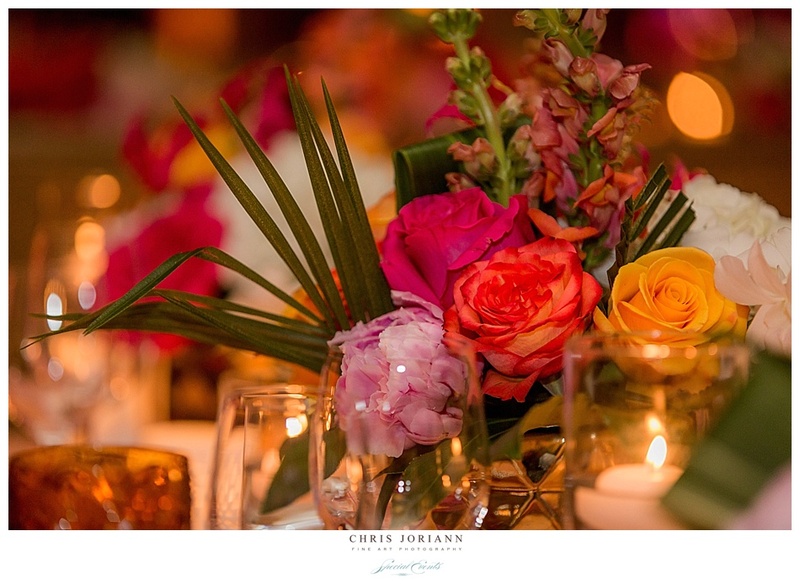 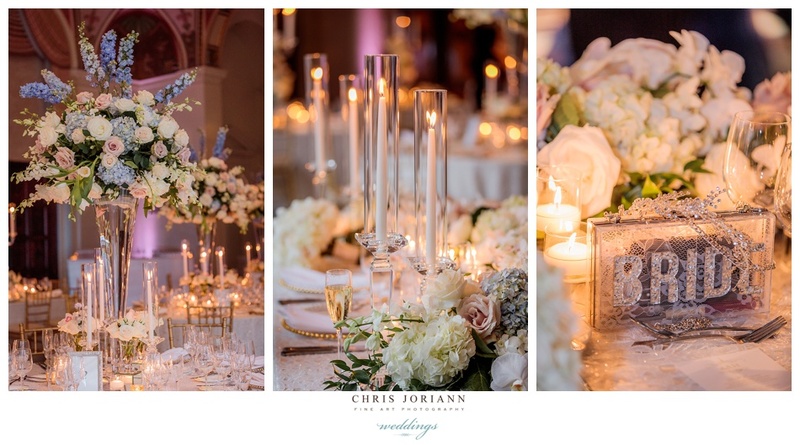 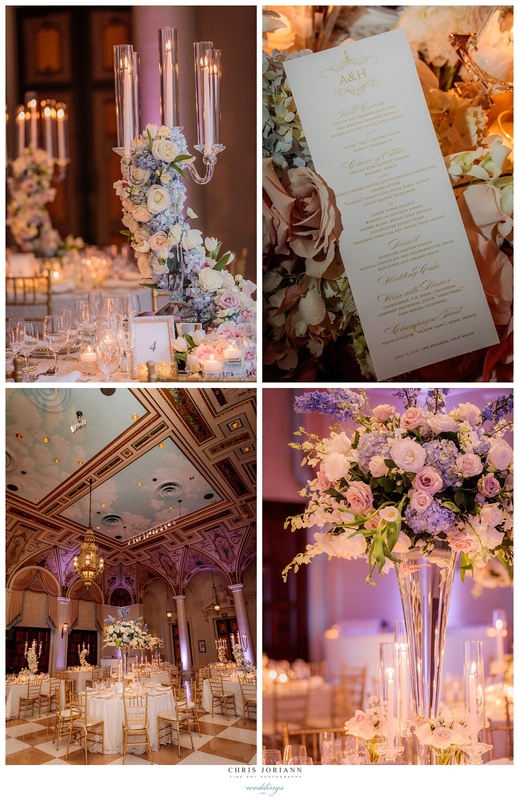 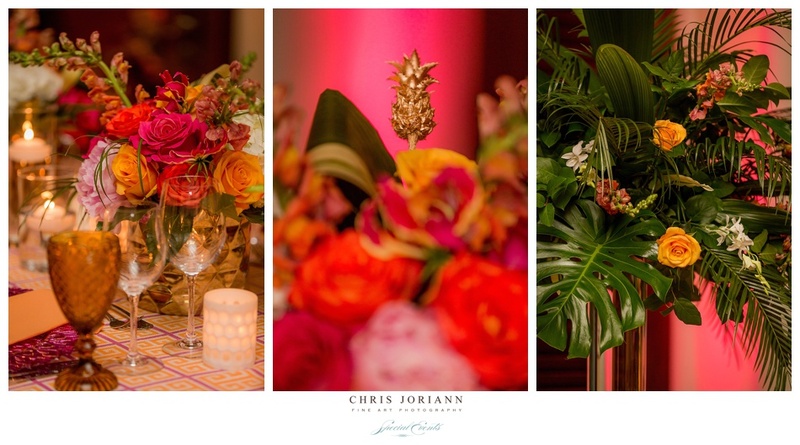 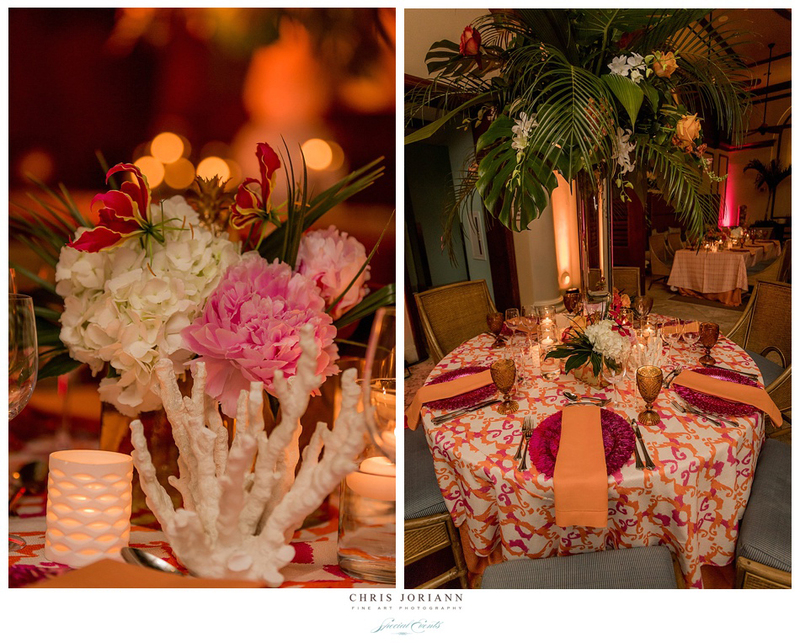 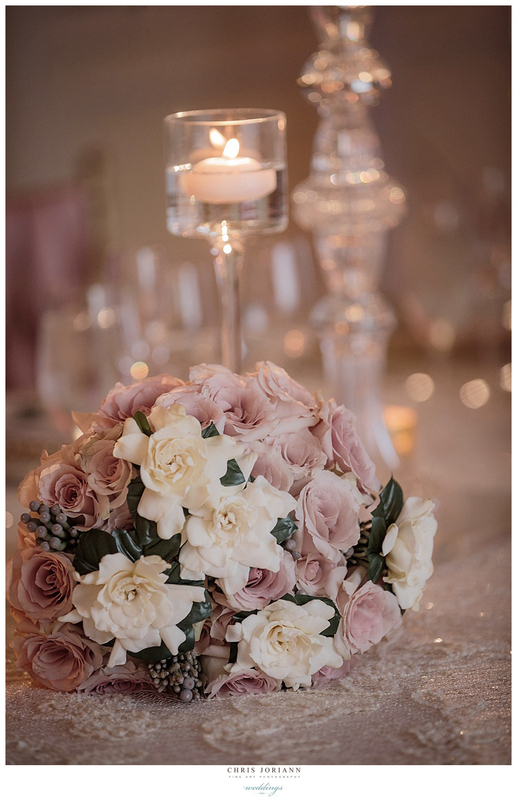 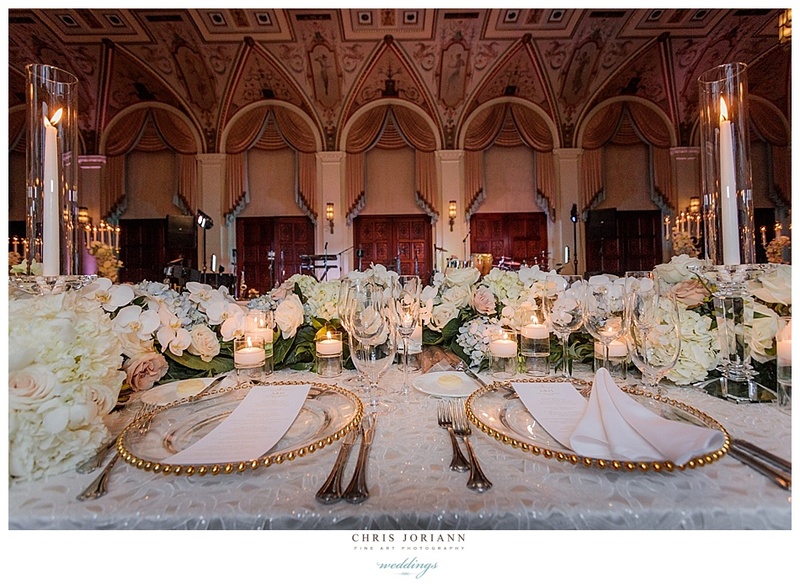 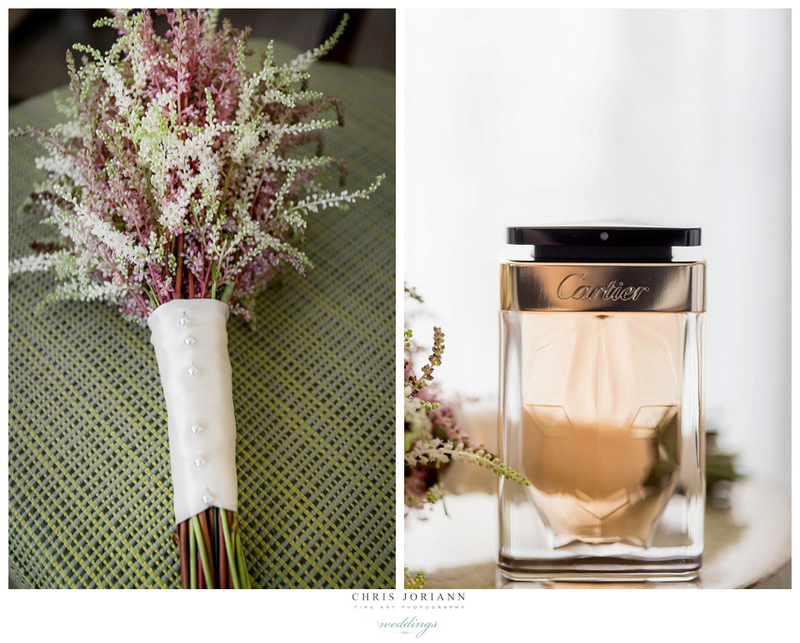 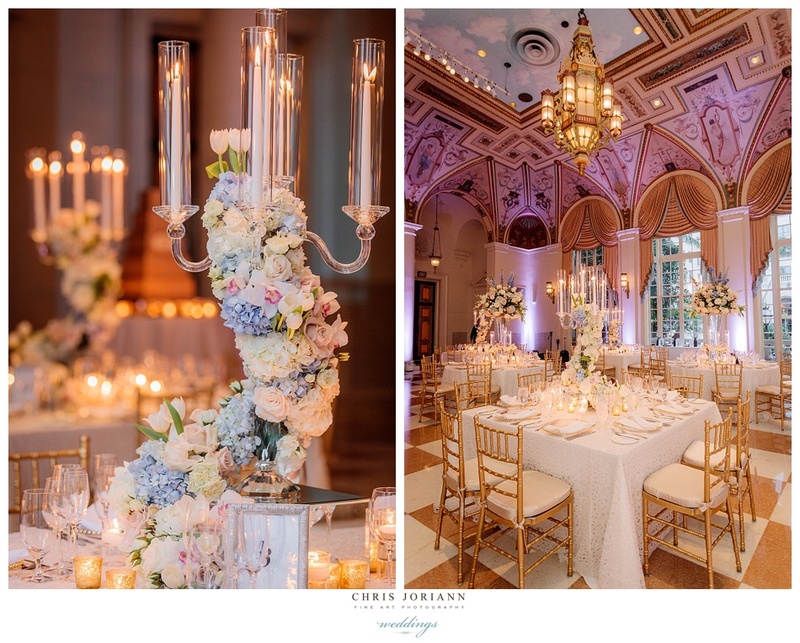 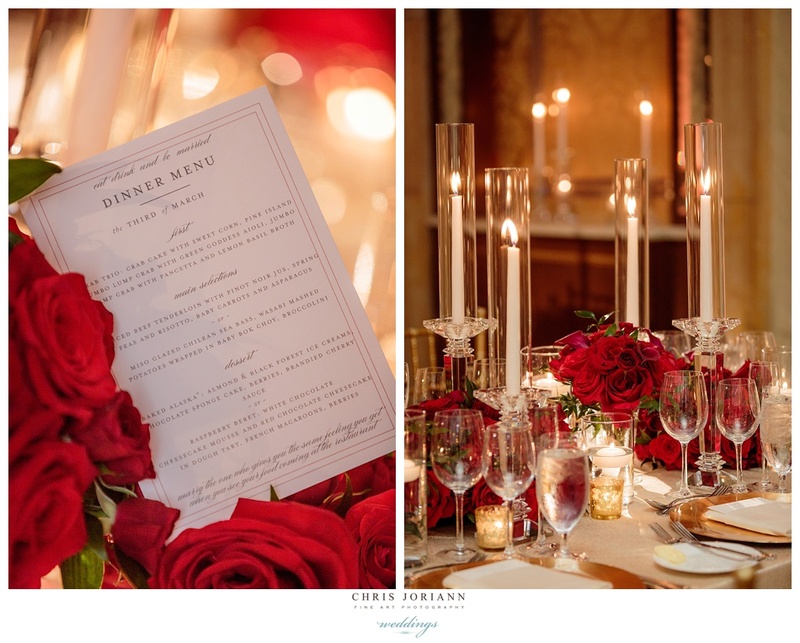 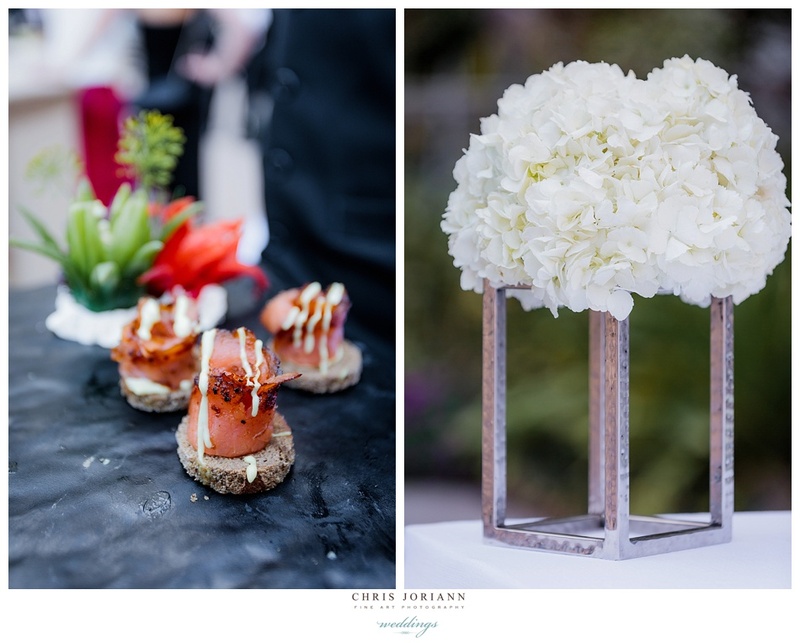 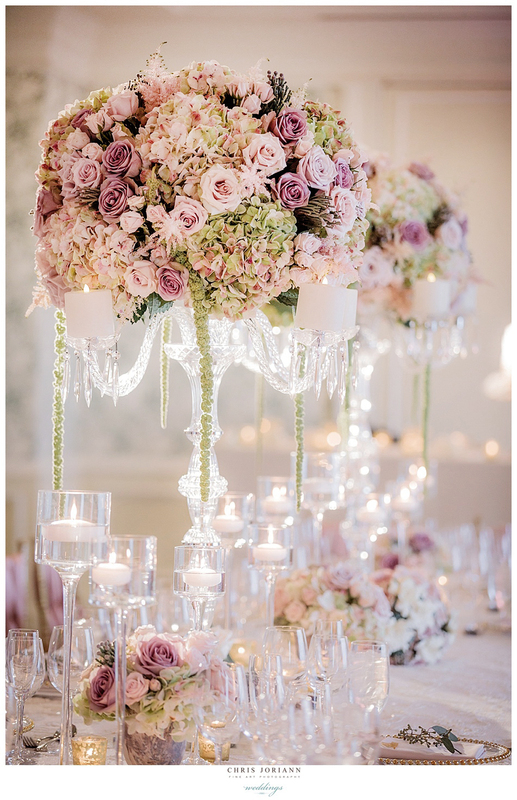 The candle-lit room was awash in champagne hues, with florals + décor created by The Design Studio at the Breakers. 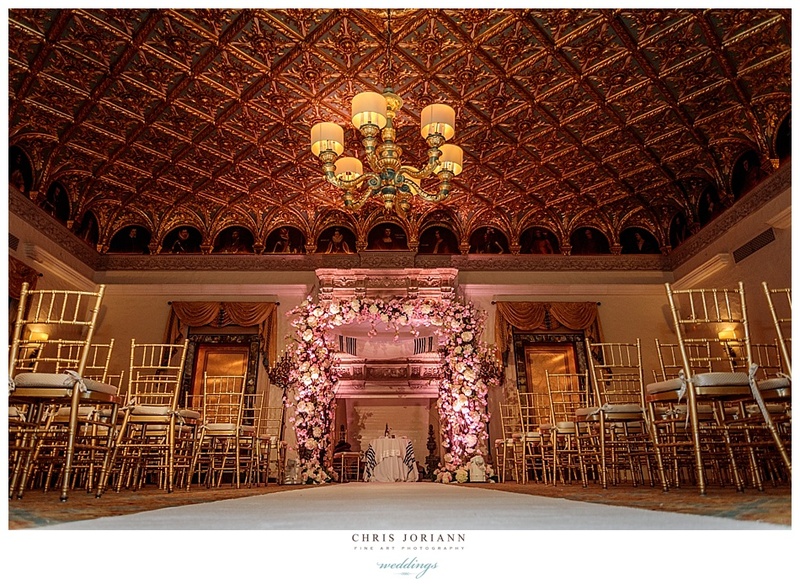 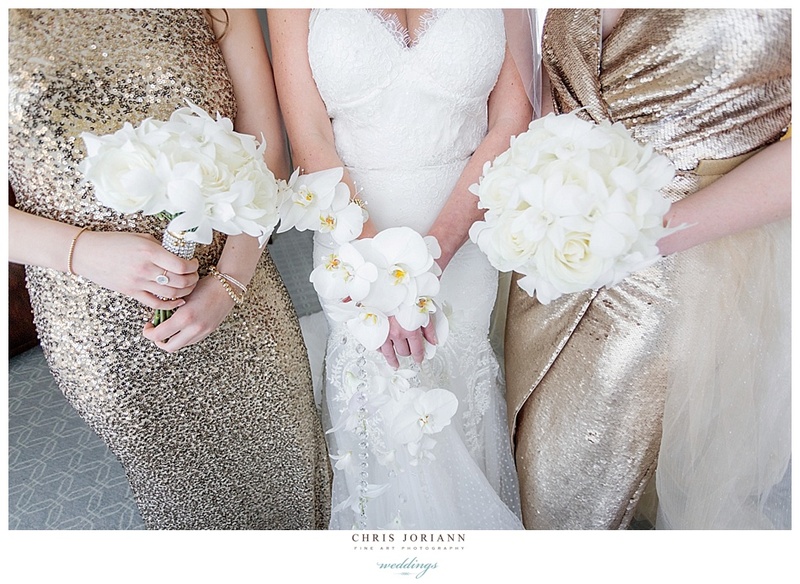 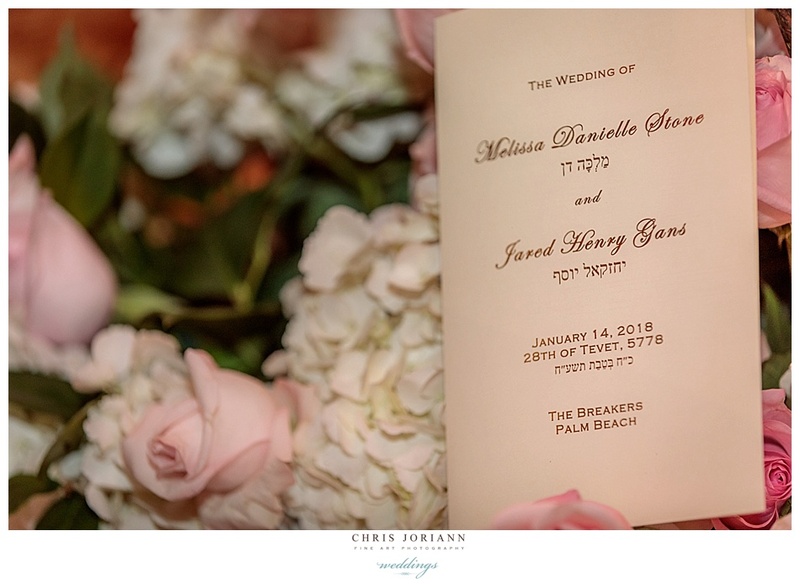 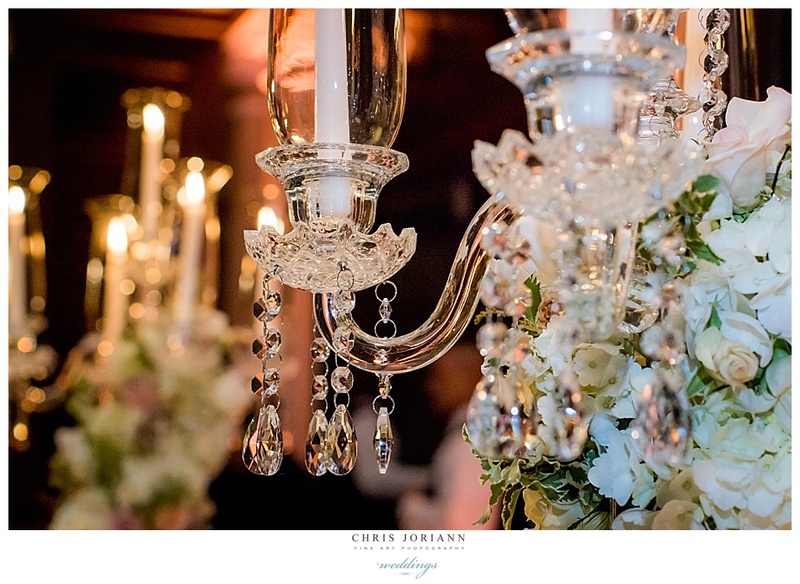 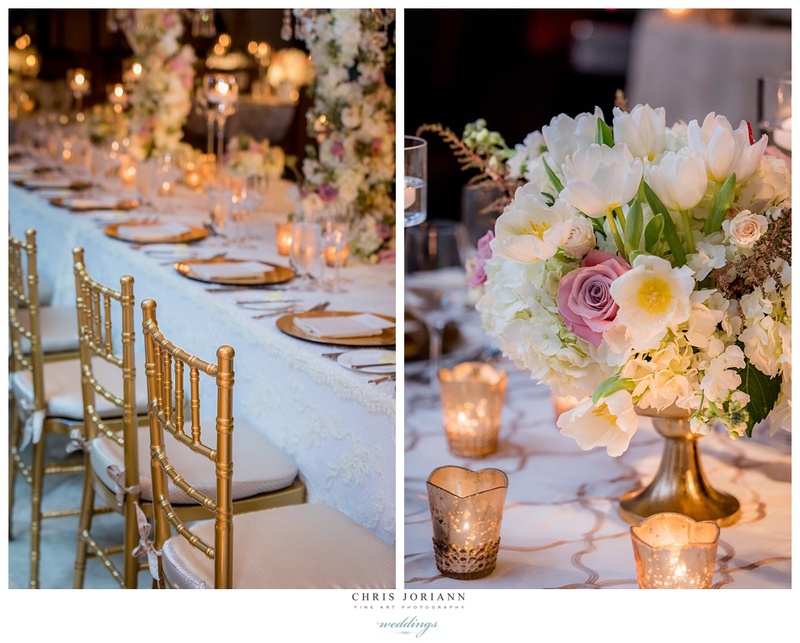 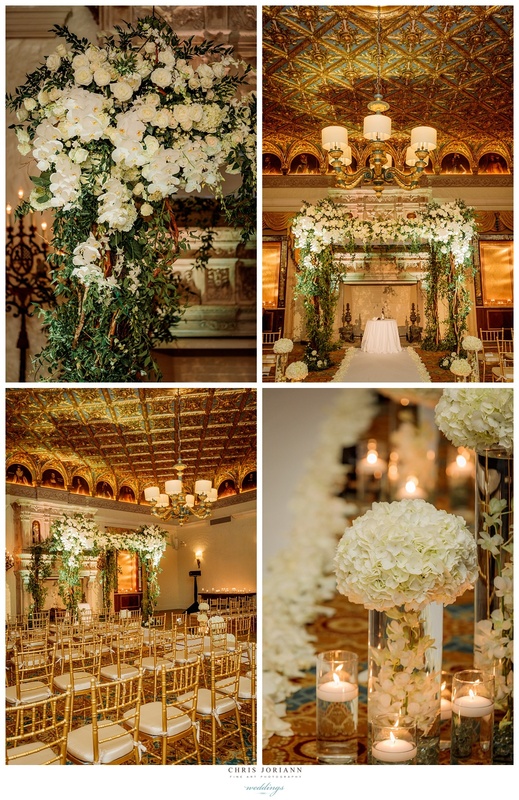 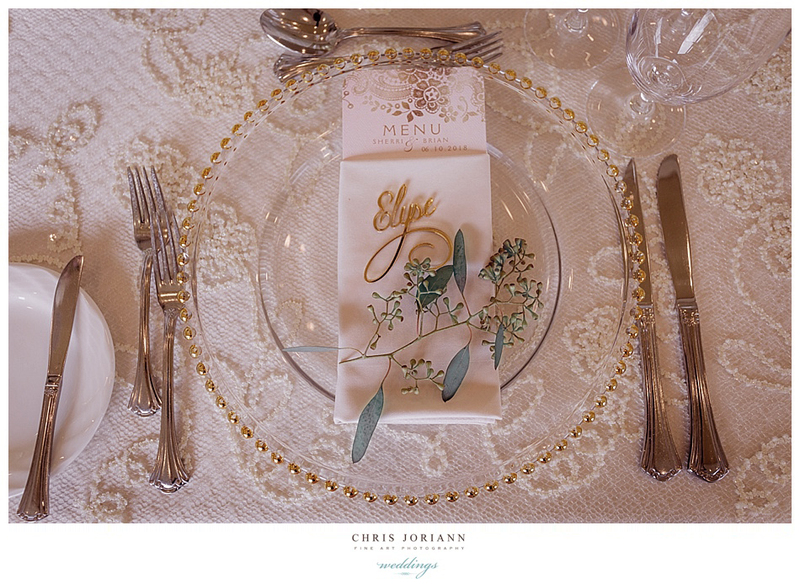 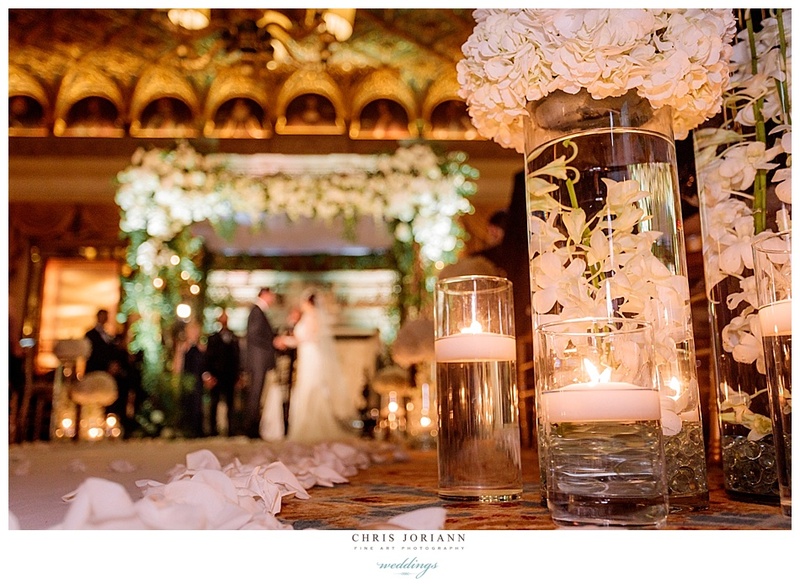 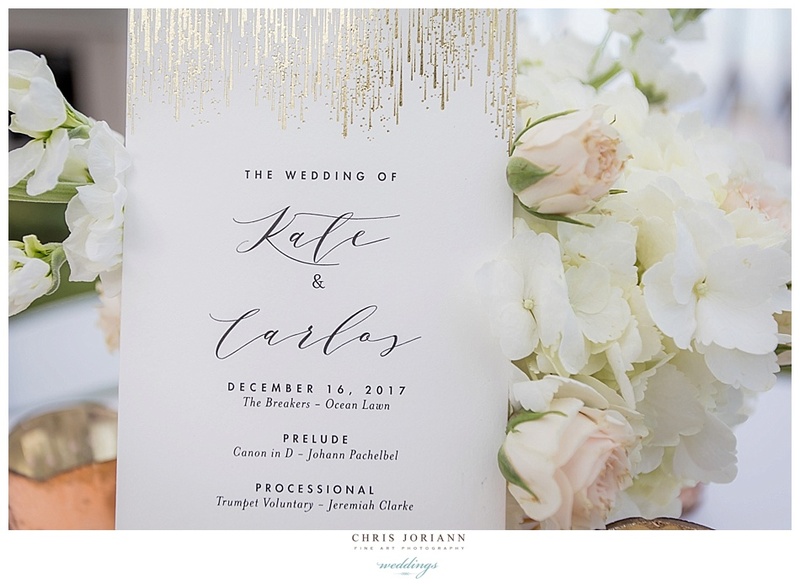 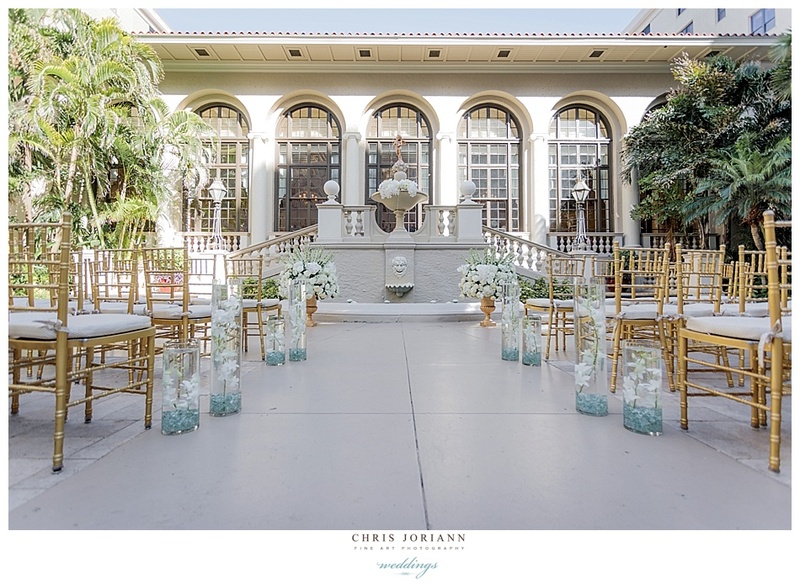 Gold brocade covered tables featured crystal candelabras with cascading flowers, and assortment of blush and white roses and hydrangeas, surrounded by gold chiavari chairs. 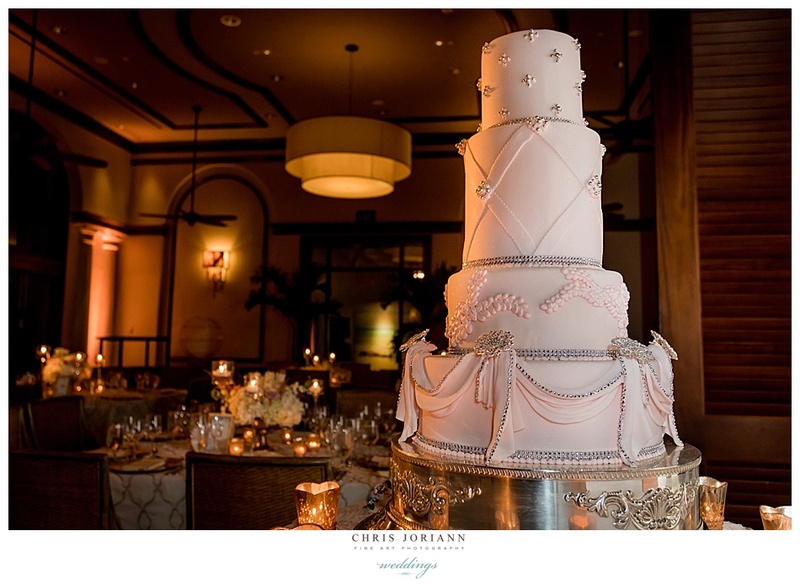 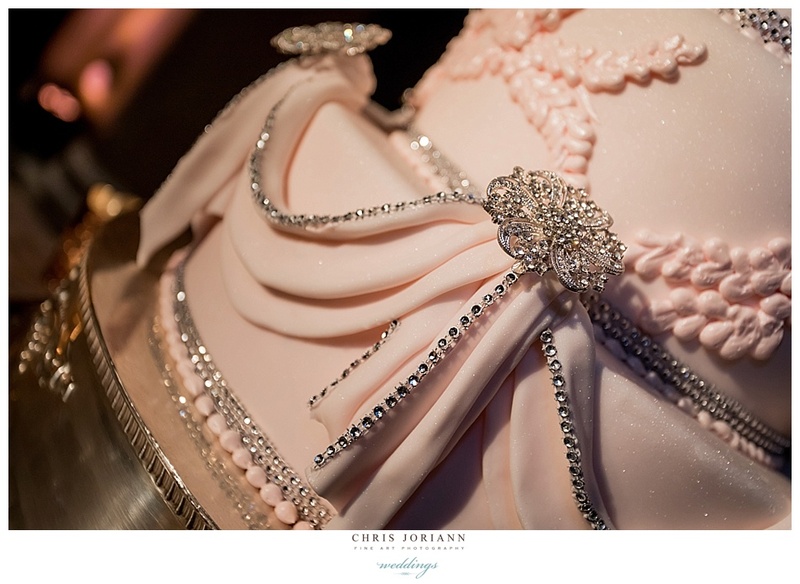 The 4-tier blush cake, was gorgeous a vision in fondant, complete with sparkling antique brooches. 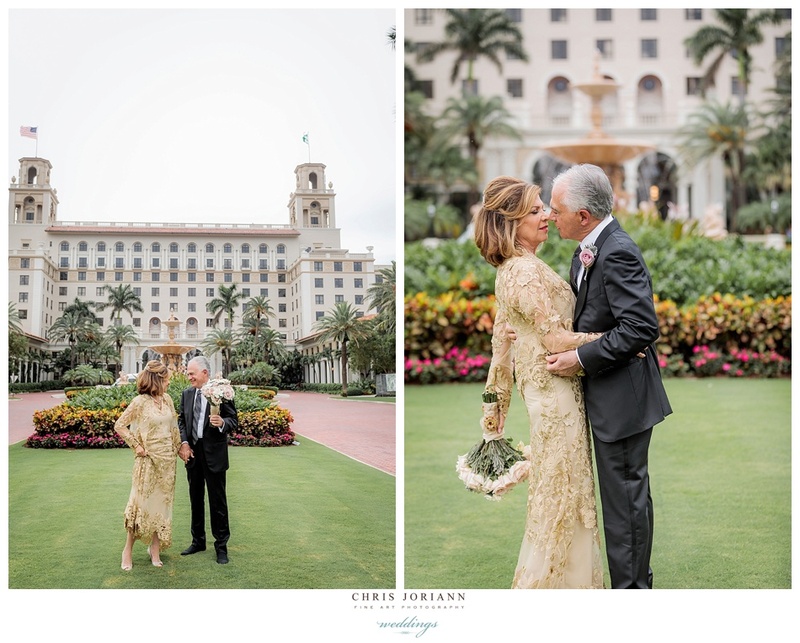 What better location than The Breakers Palm Beach, to celebrate the beginning of one’s sixth decade on earth. 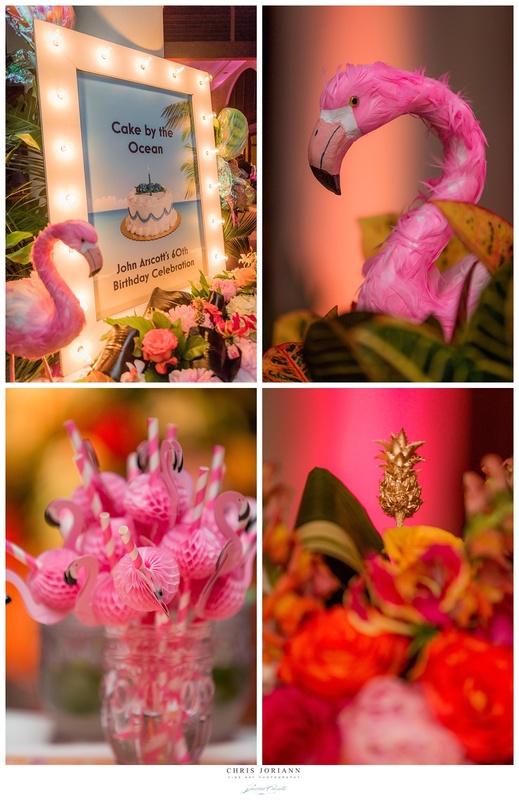 This “Cake by The Ocean” themed Beach Club birthday event featured lily-pulitzer inspired colors and décor, The Design Studio at the Breakers, came complete with Flamingos. 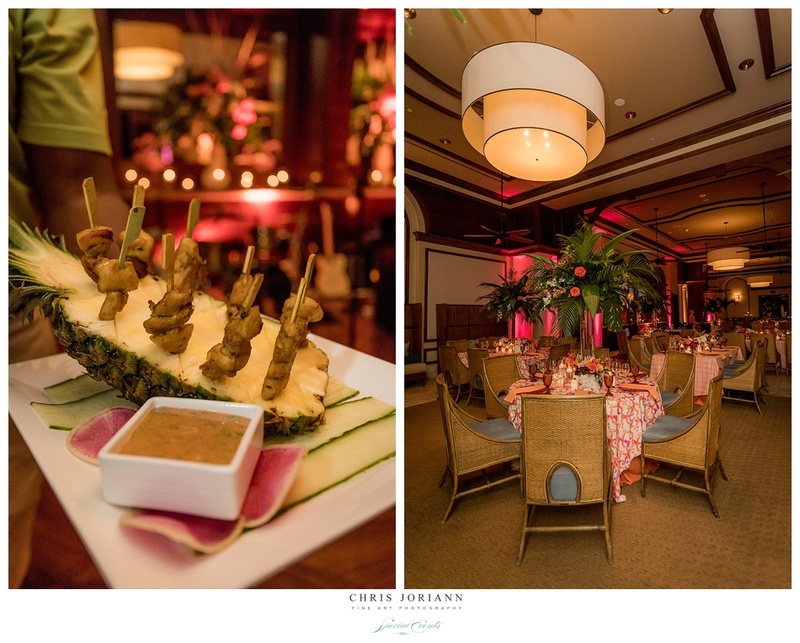 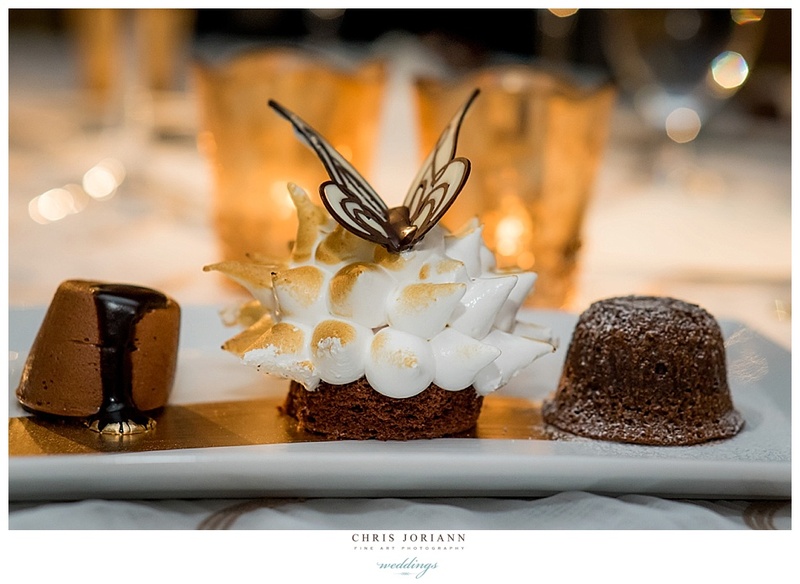 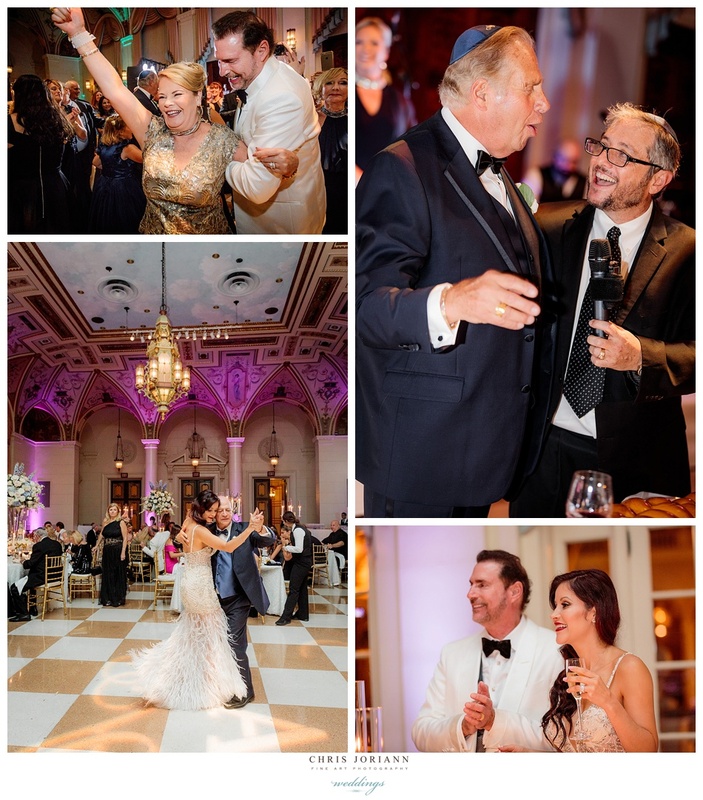 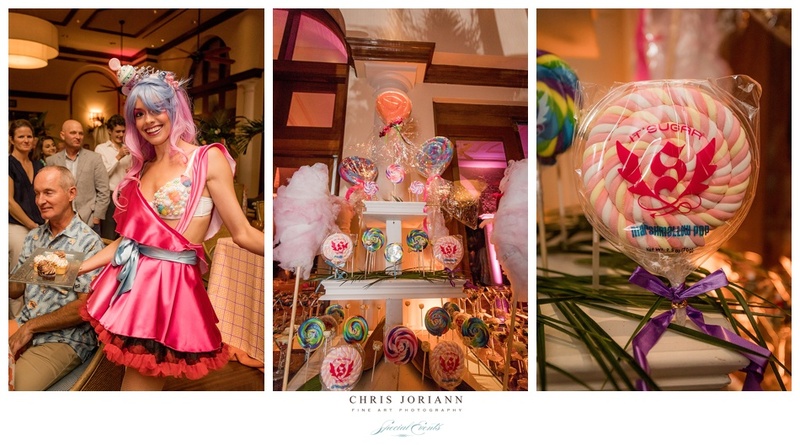 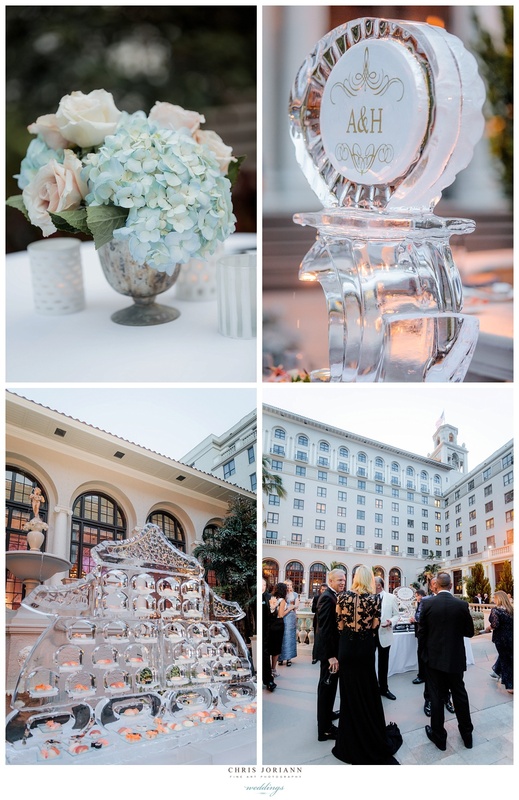 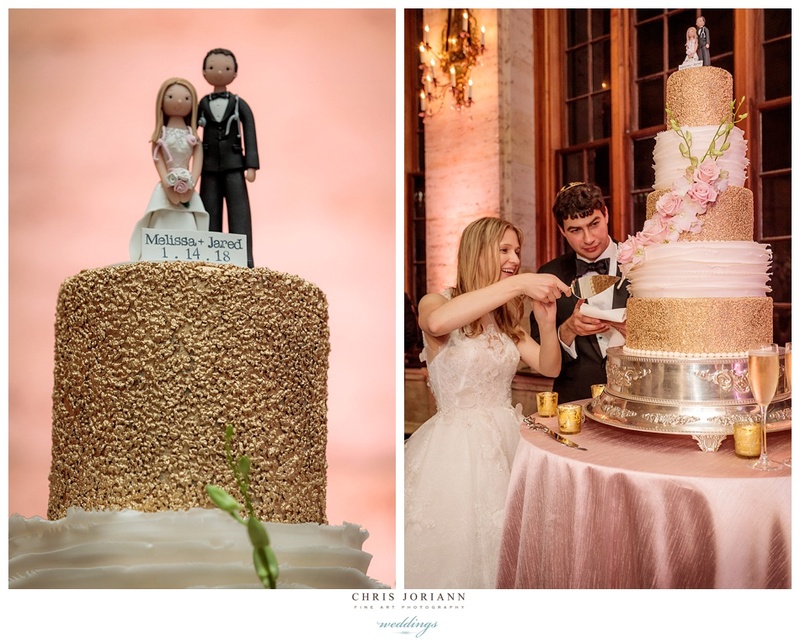 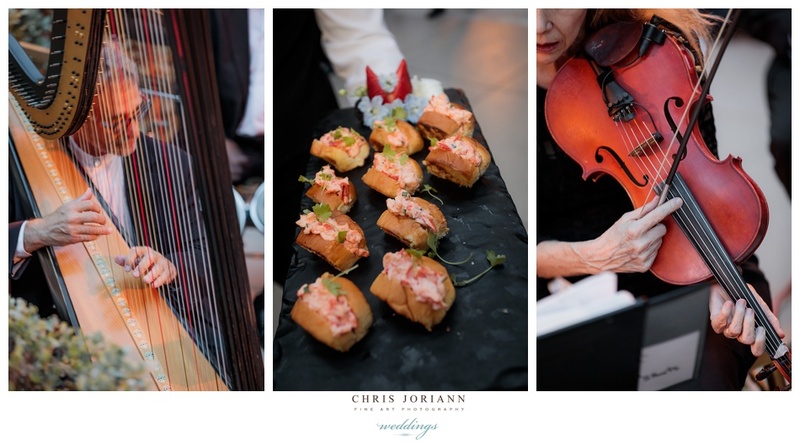 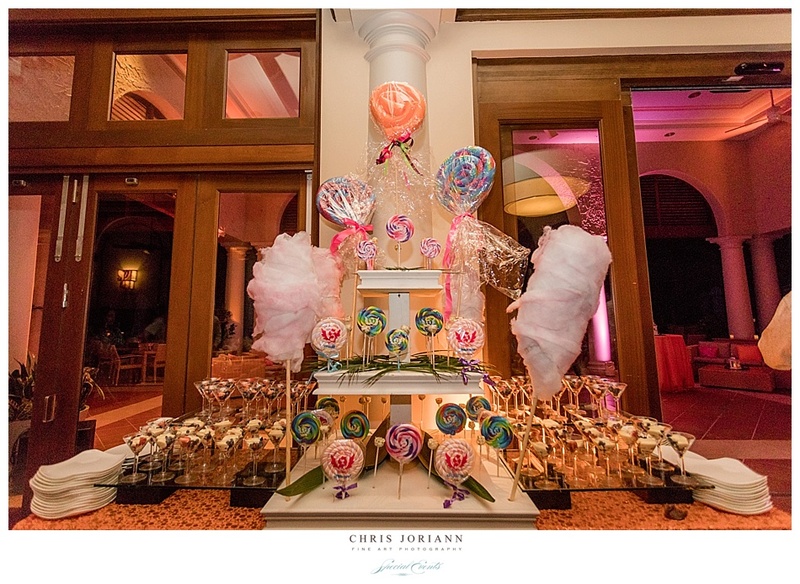 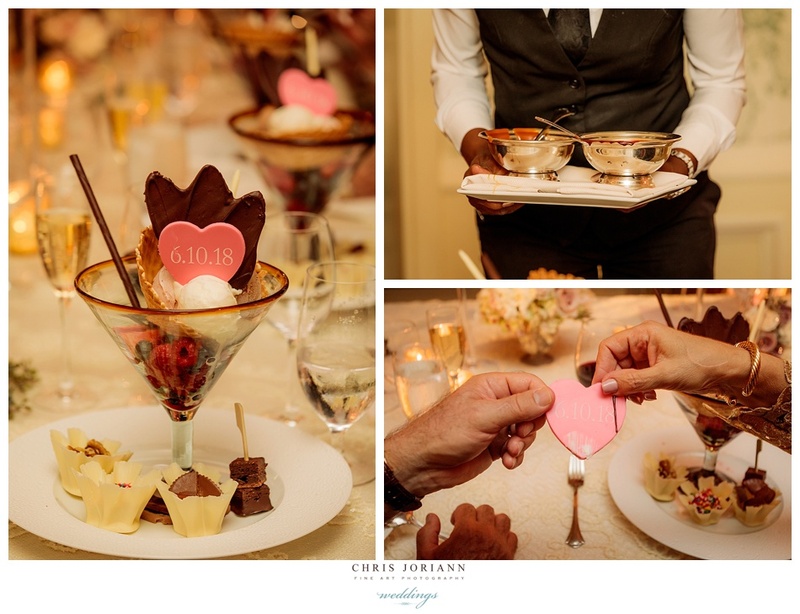 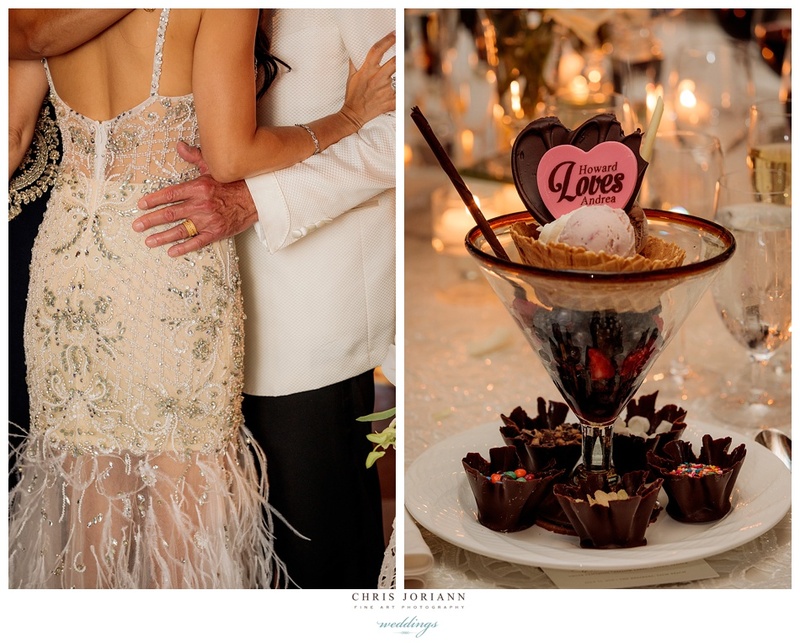 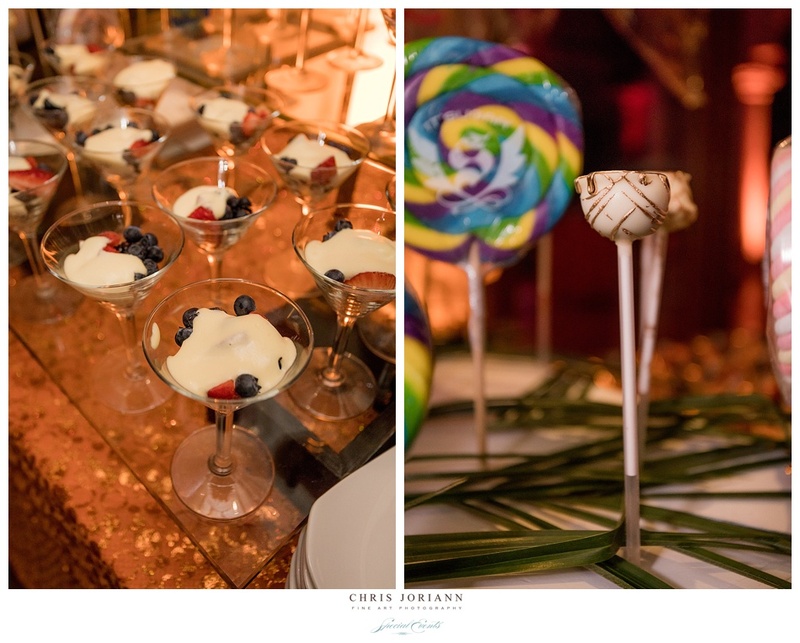 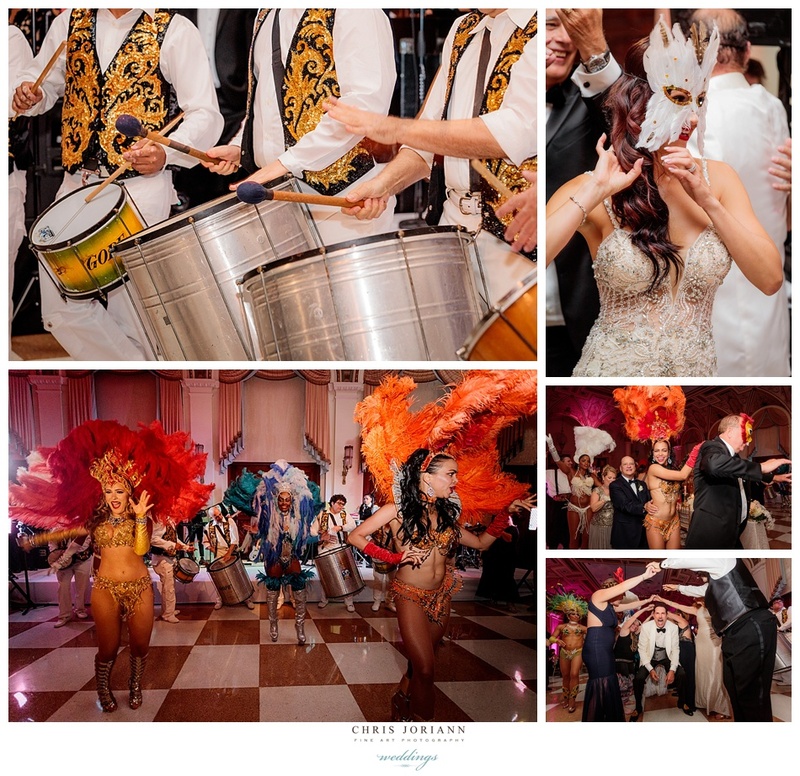 Since the cake contained a dessert clad dancers, vs. sugar, the confectionary delights were an it’sugar lollipop bar, and select gourmet desserts created by the Breakers pastry chefs. 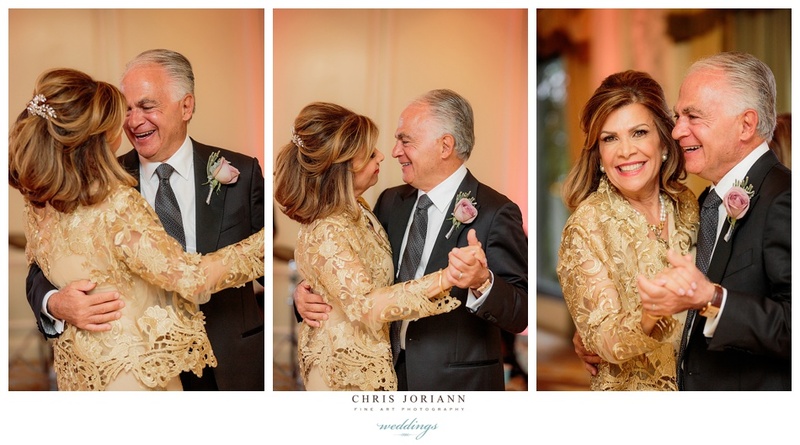 Happy 60th Birthday John! 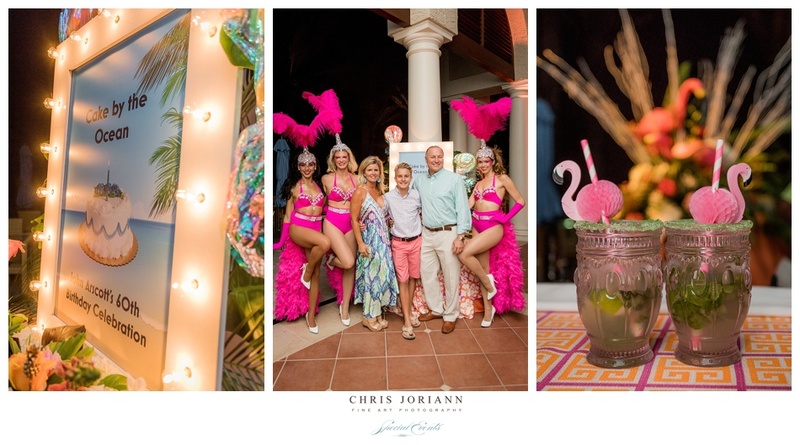 But this is just the beginning, stay tuned for part 2 of this fabulous birthday weekend, hosted by his lovely wife Cherie… to be continued in the next post, where we follow the guests to the Brazilian Court for another special evening.